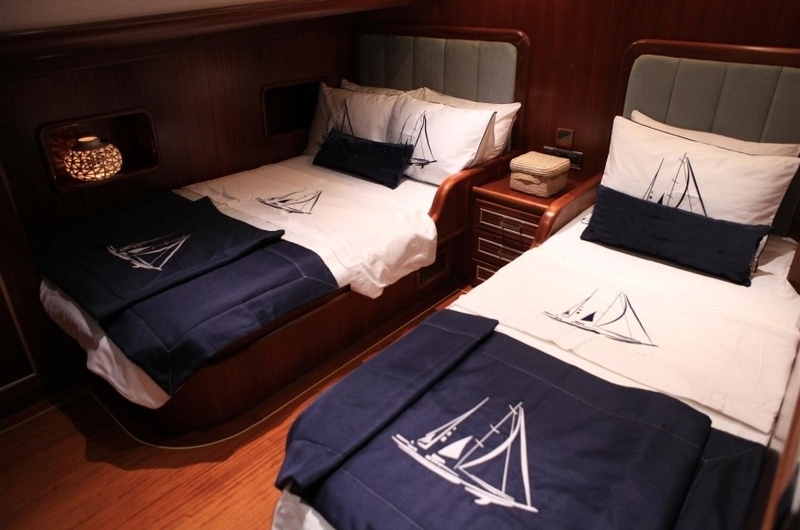 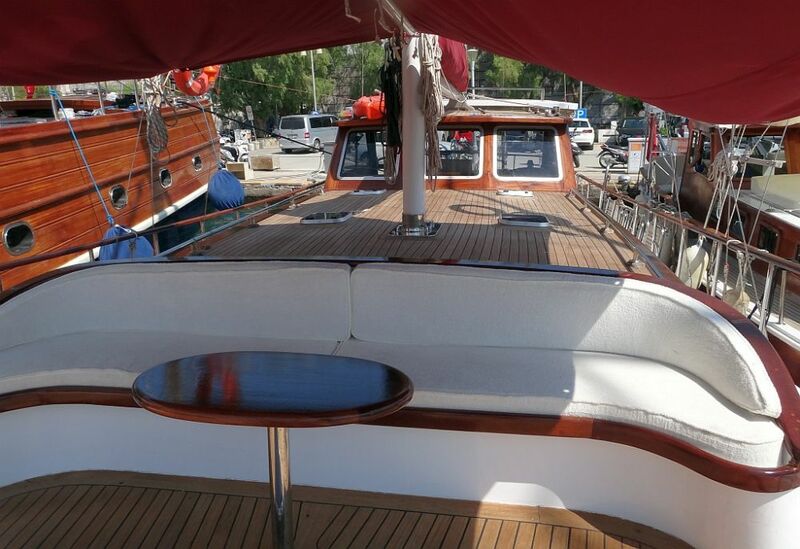 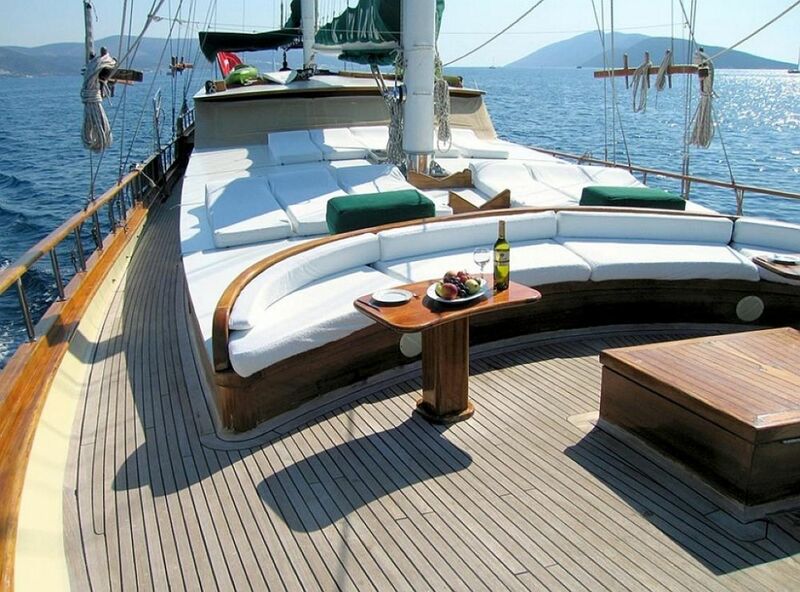 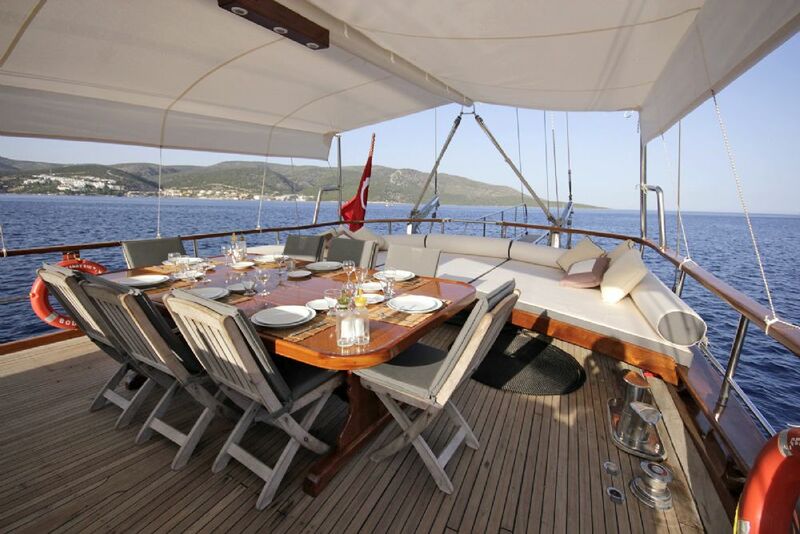 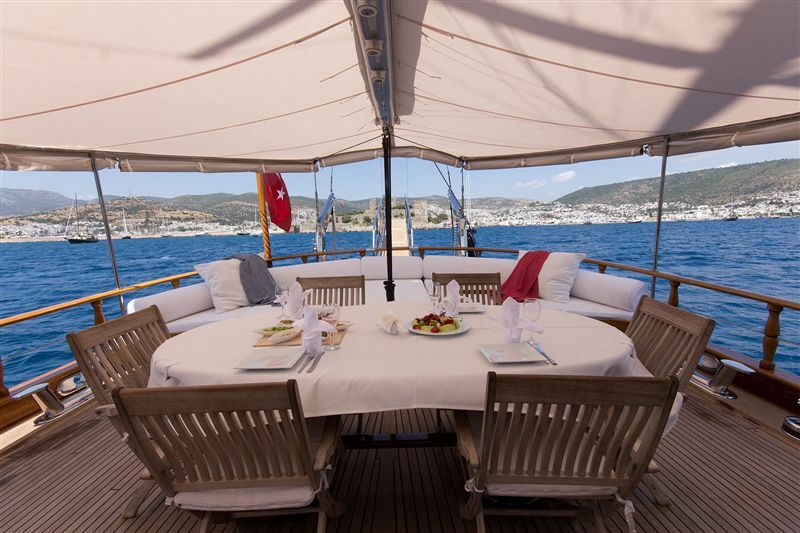 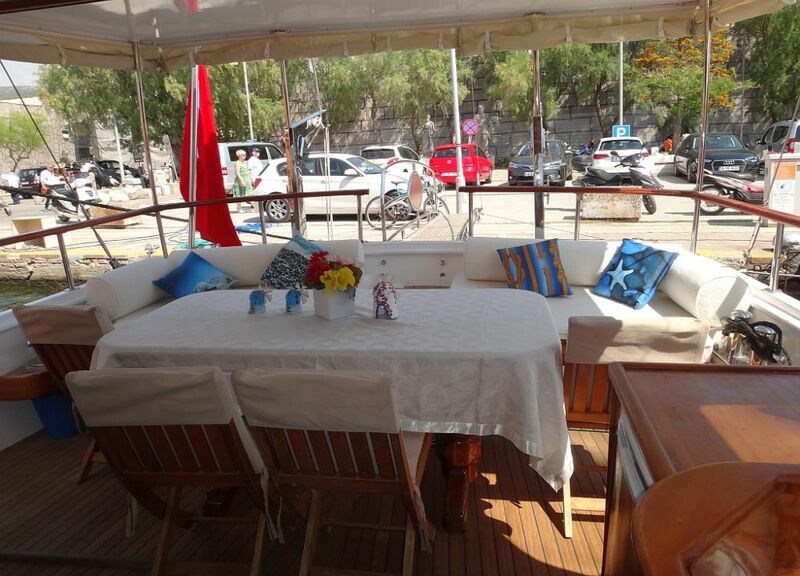 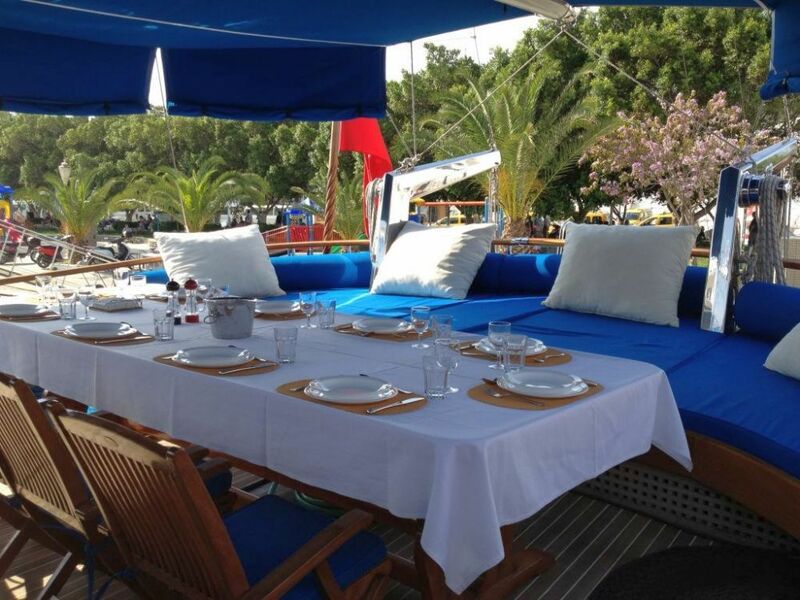 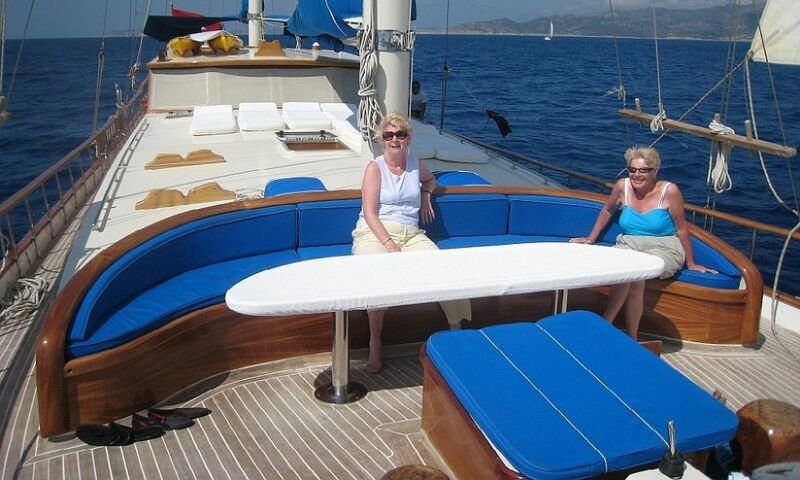 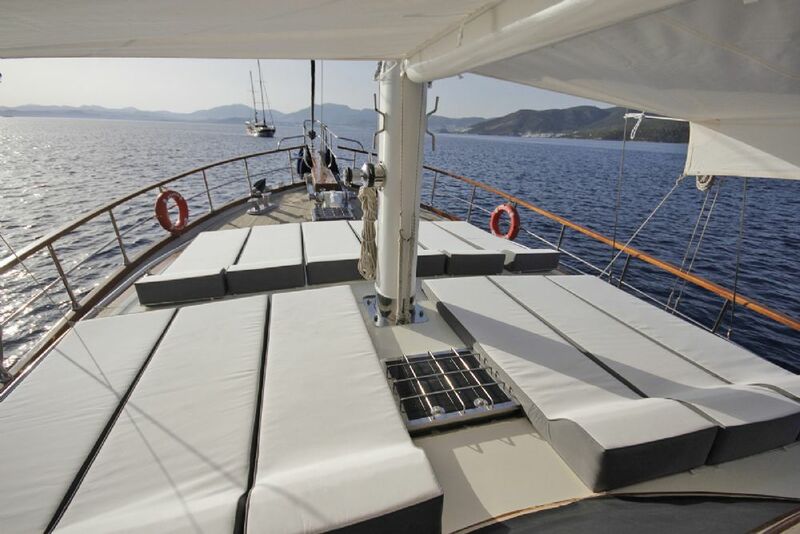 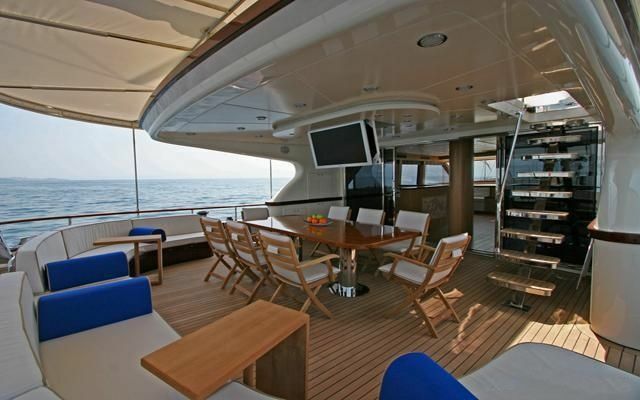 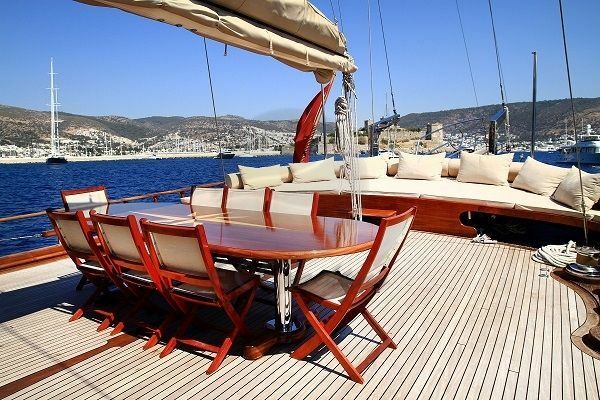 Sunbathing mattrasses, Outdoor dining table, Dining table in saloon, Separate crew cabin, Crew area. 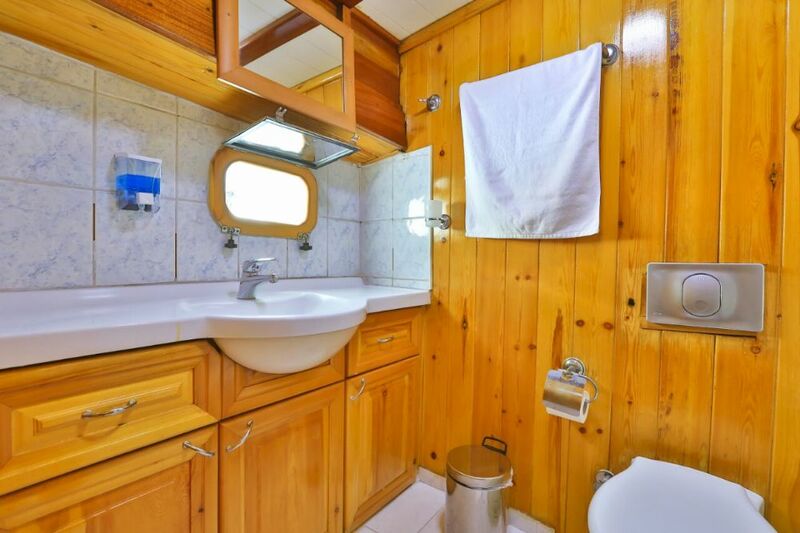 Each cabins : Cash-box in cabins. 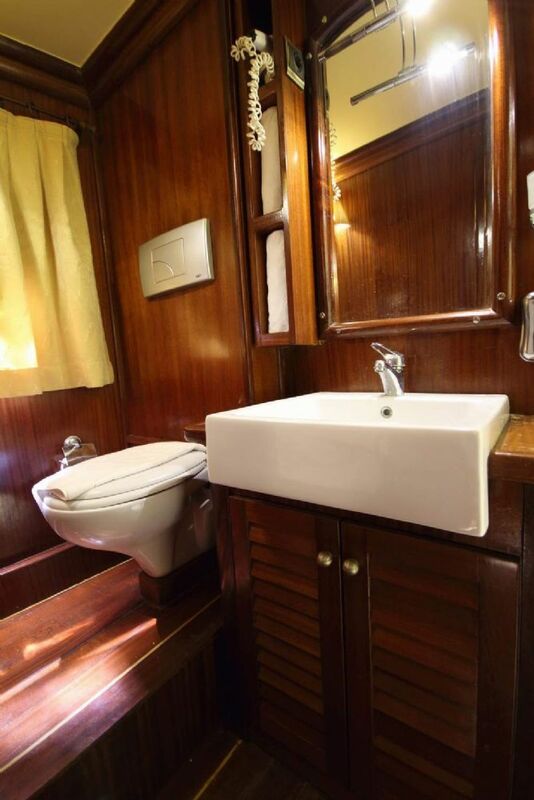 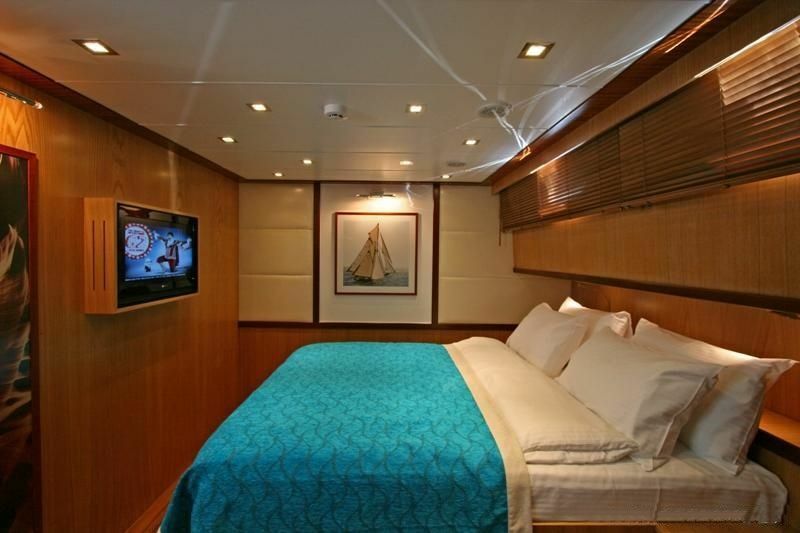 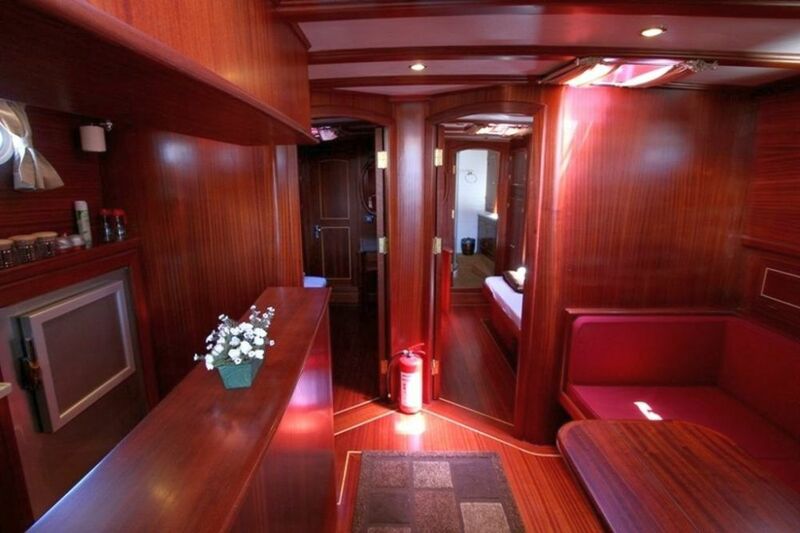 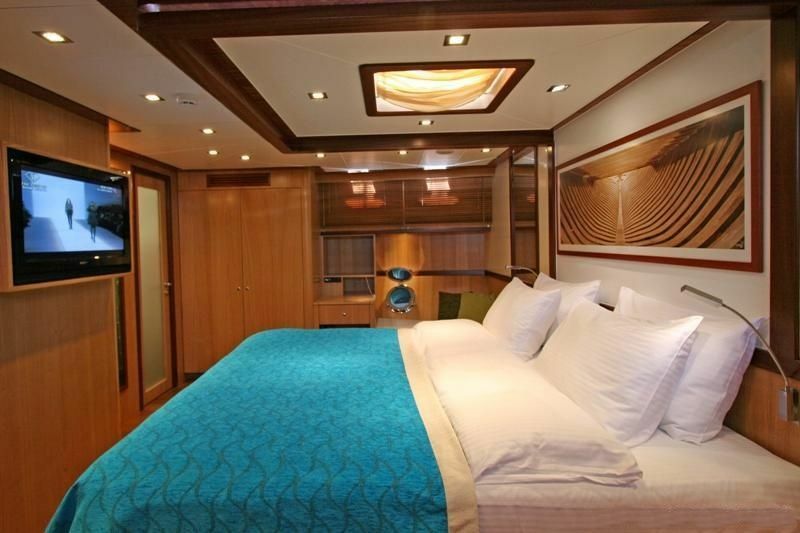 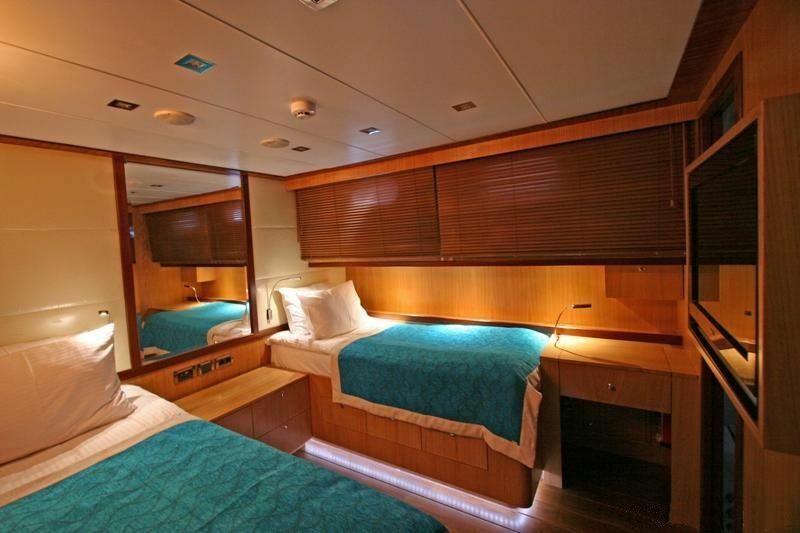 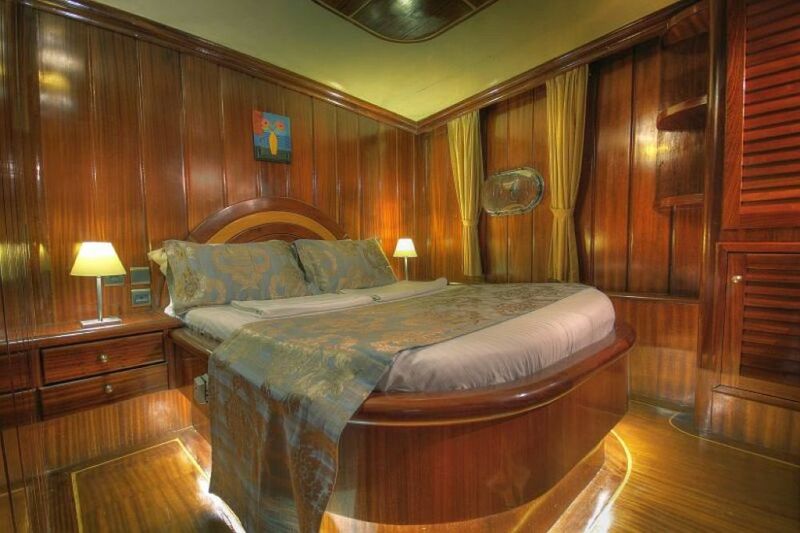 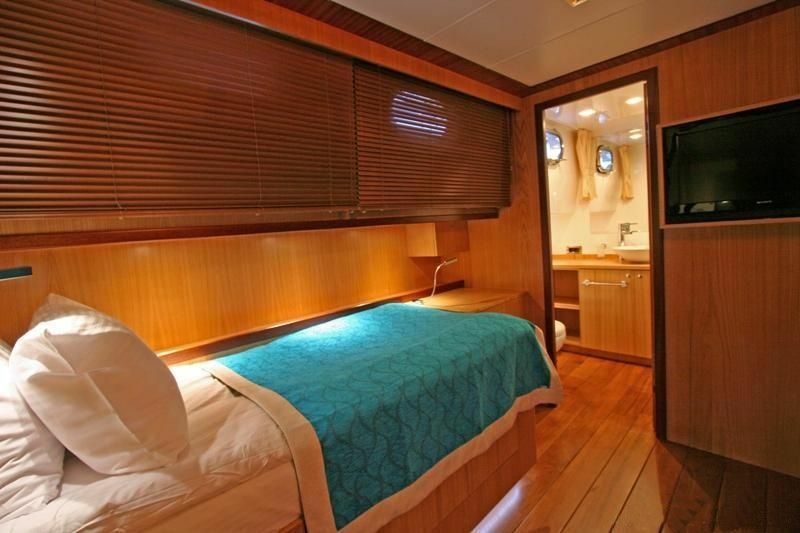 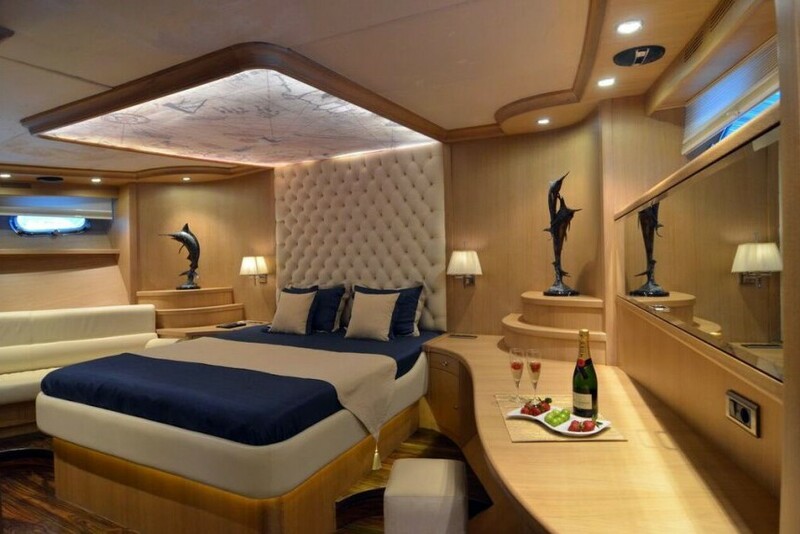 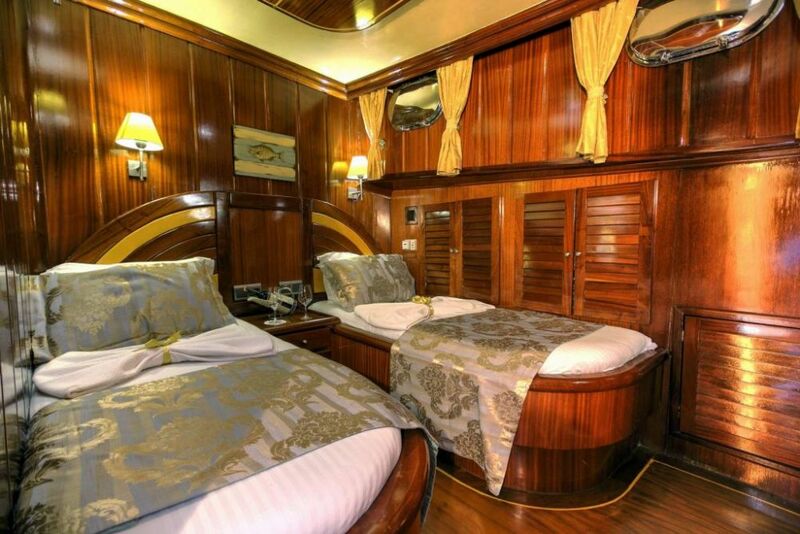 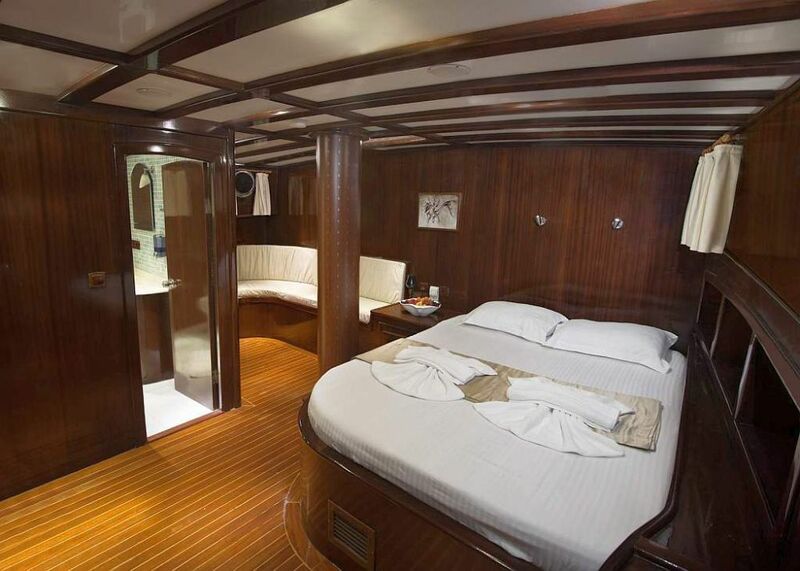 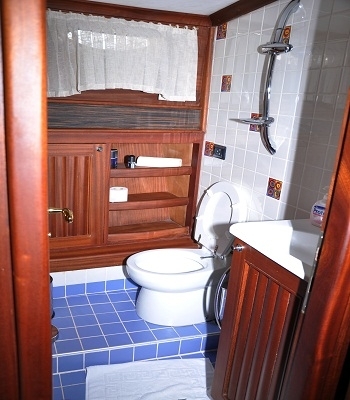 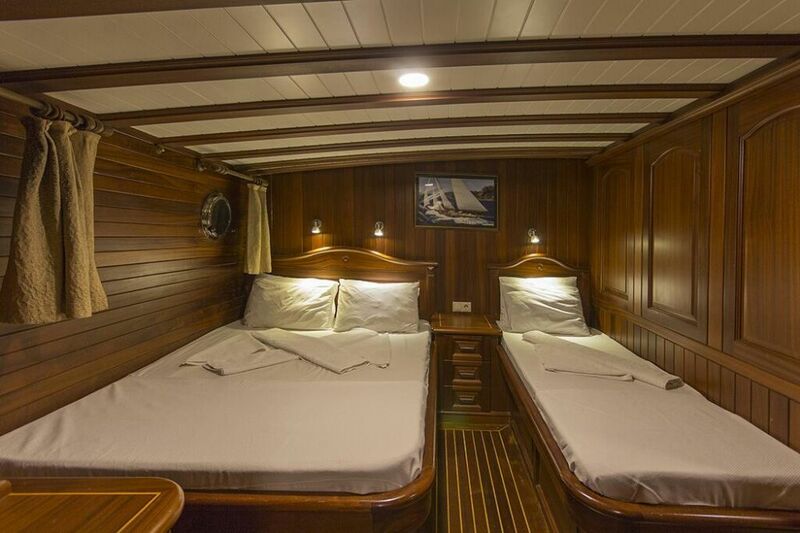 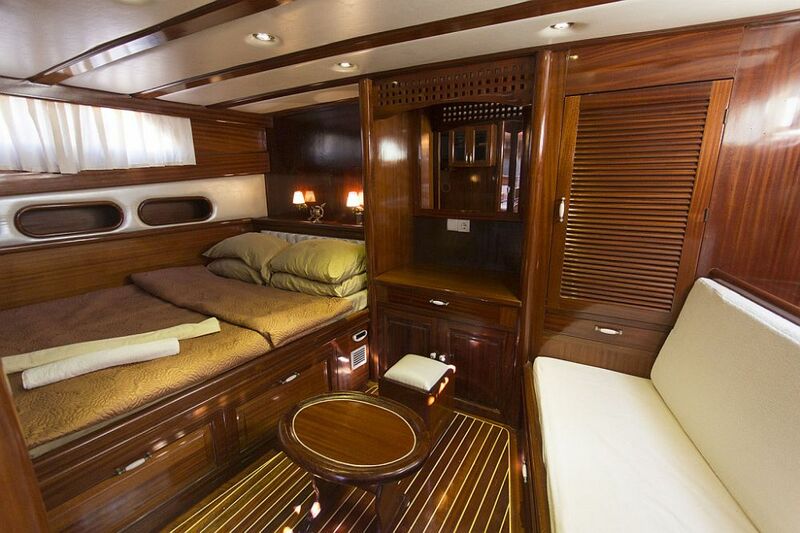 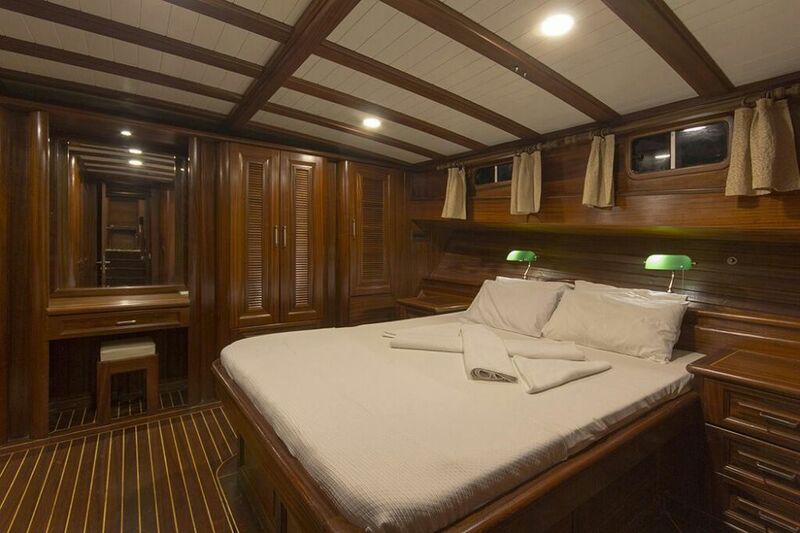 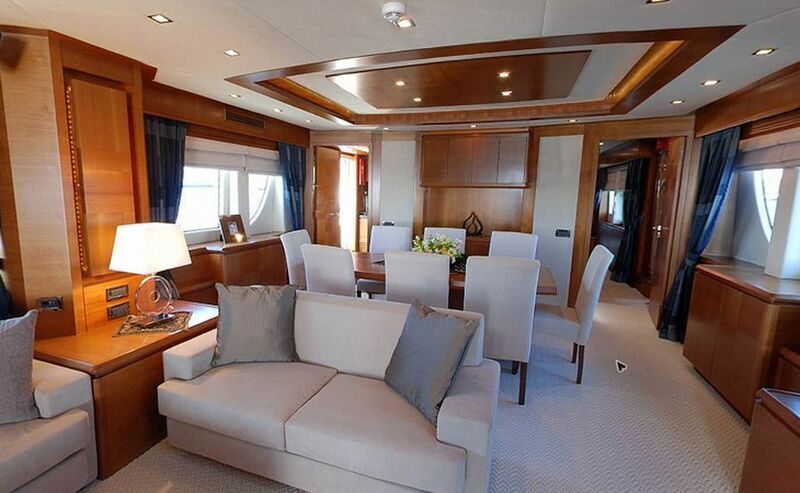 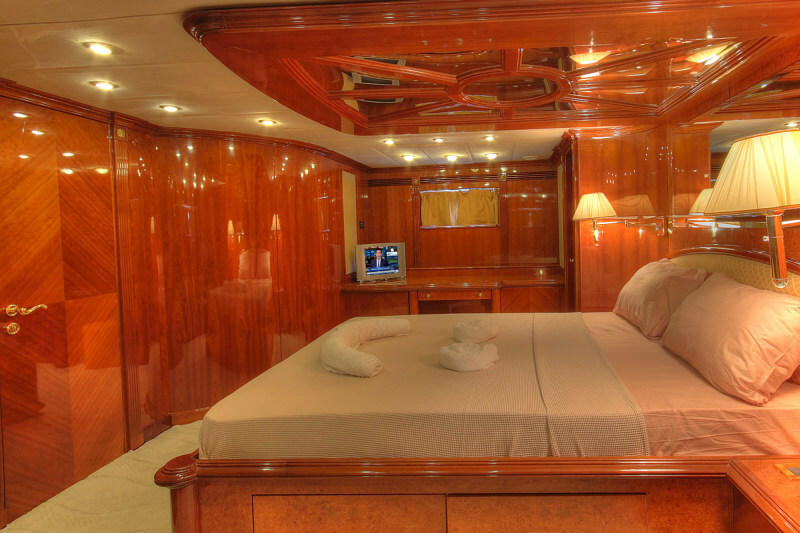 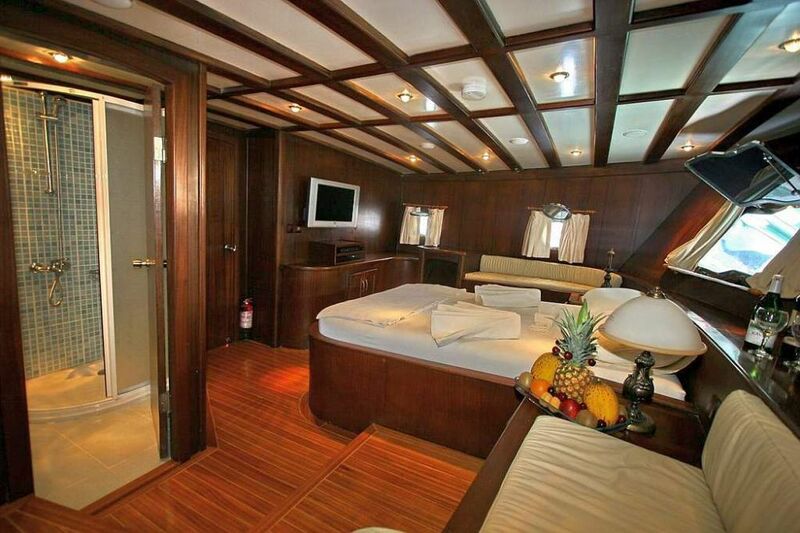 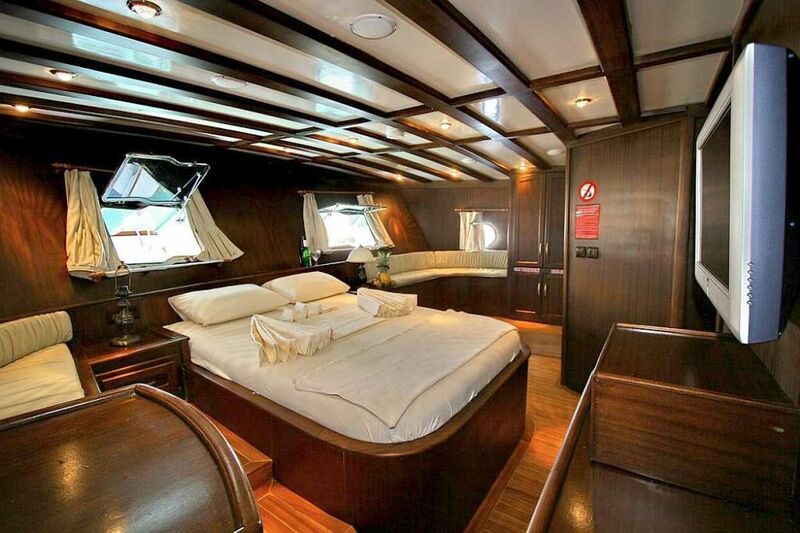 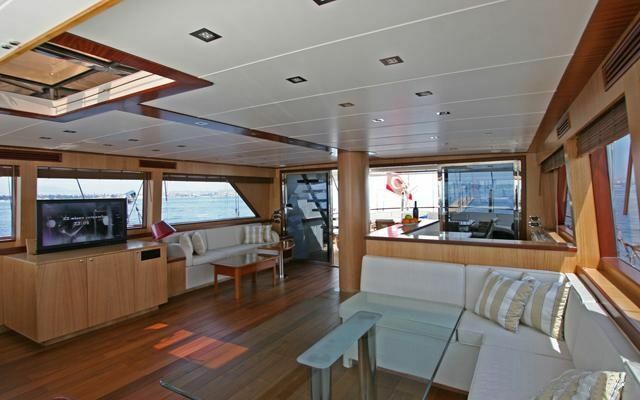 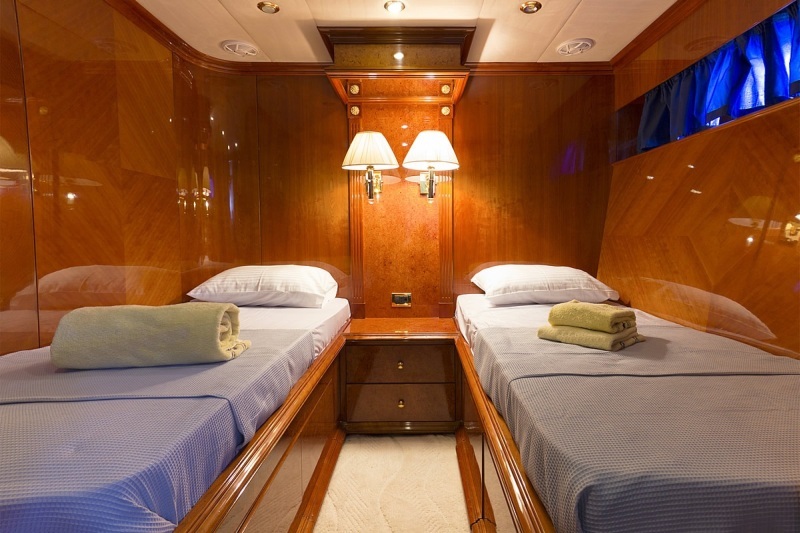 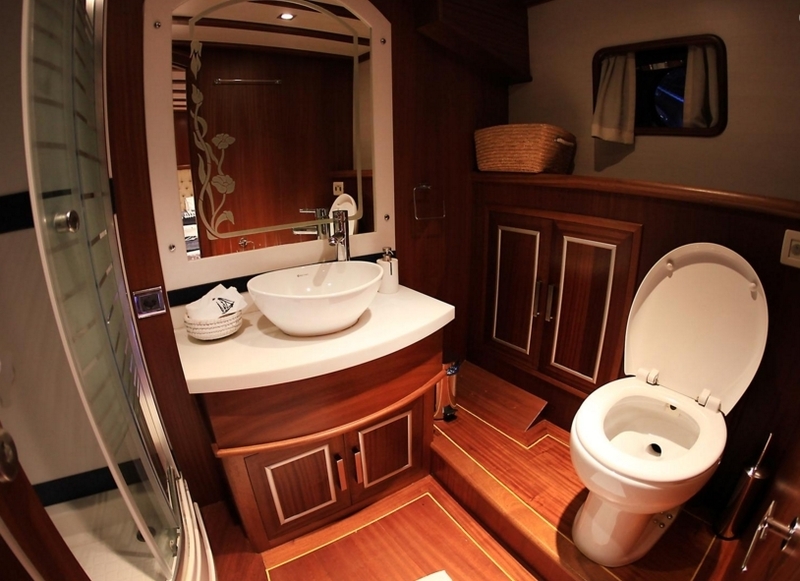 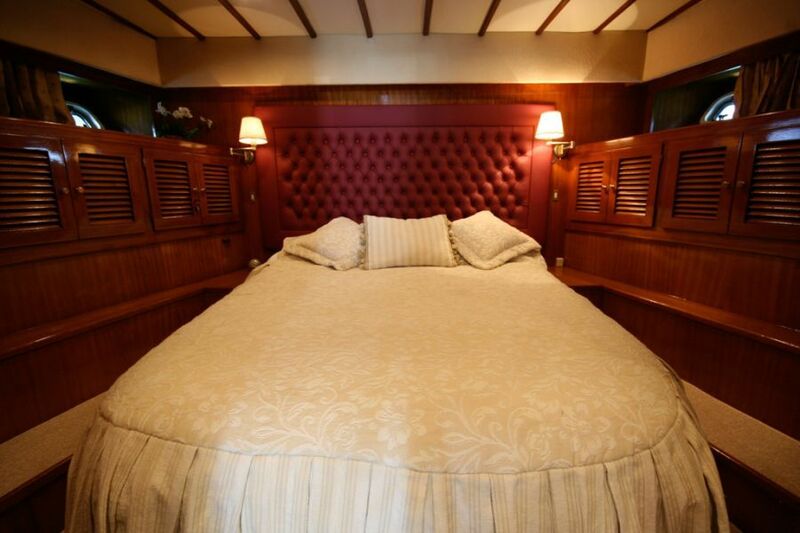 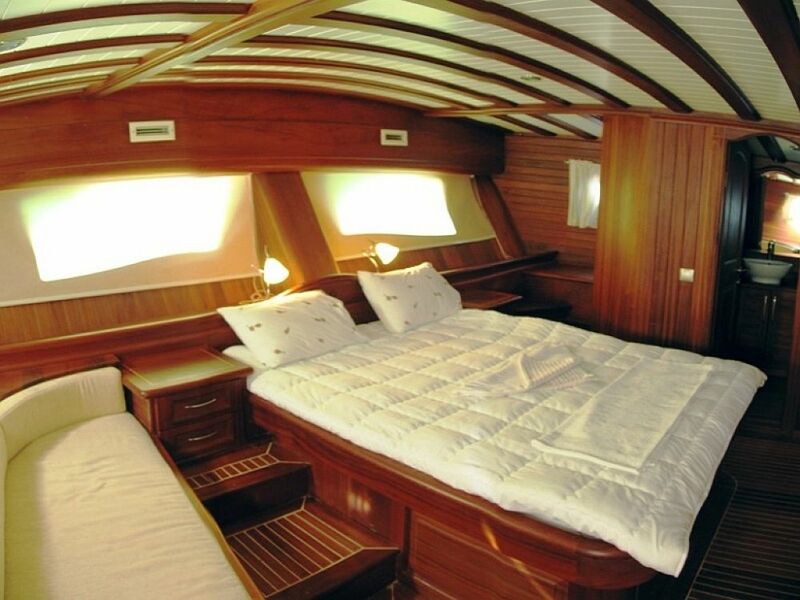 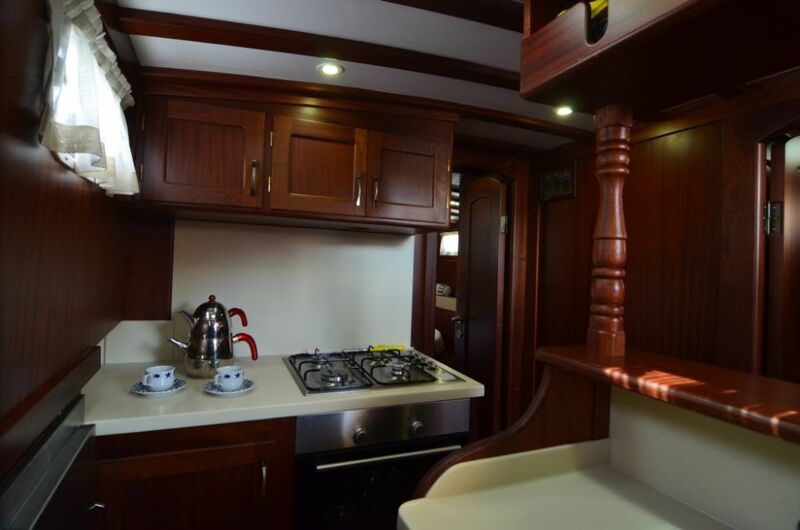 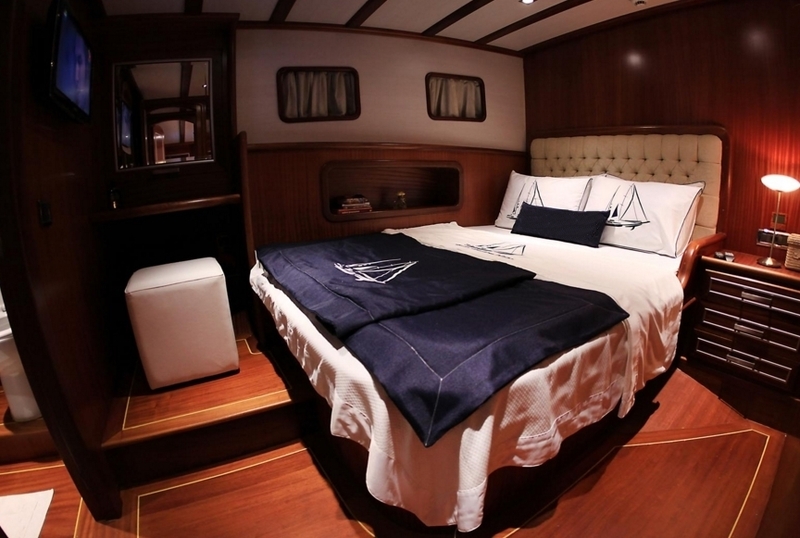 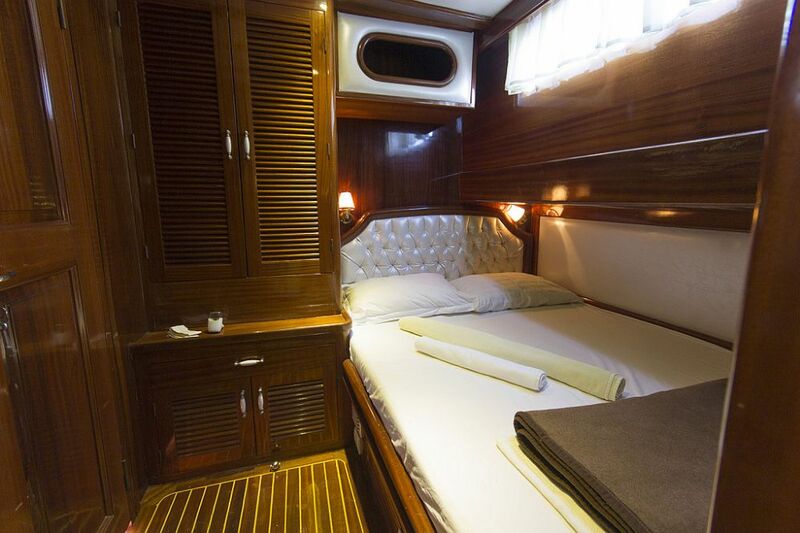 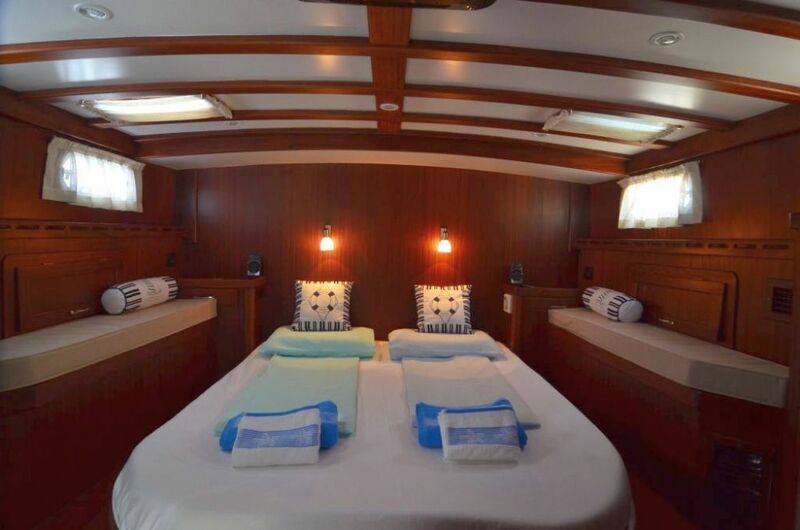 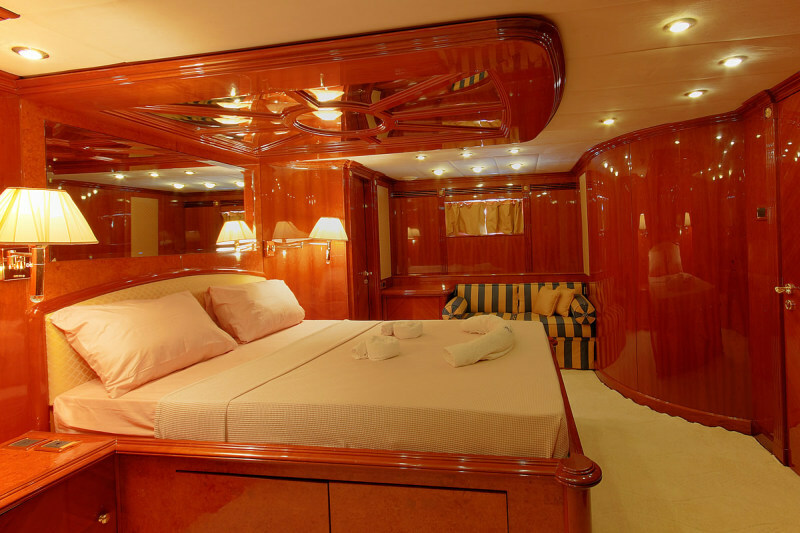 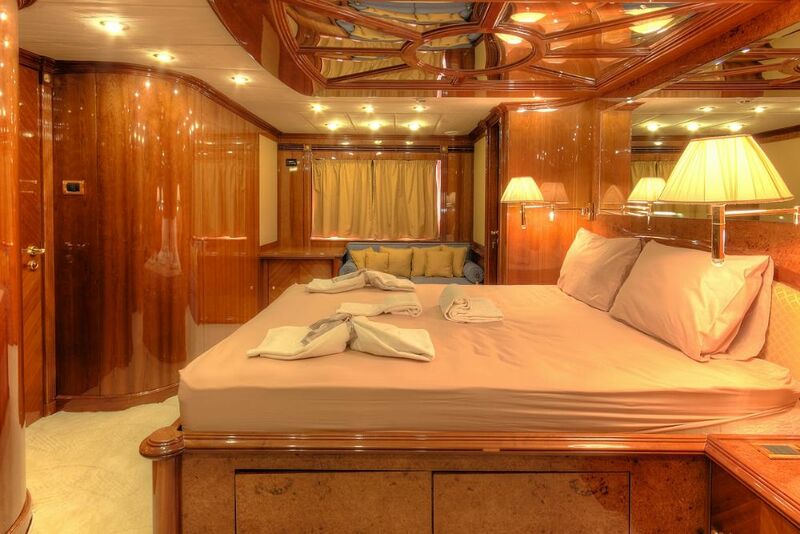 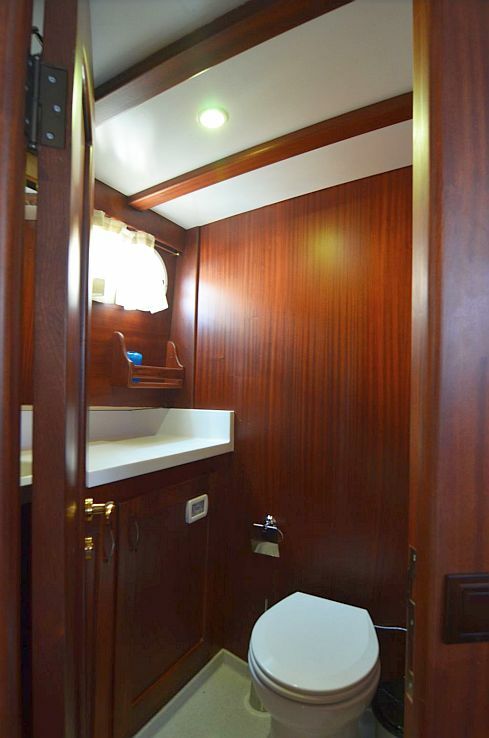 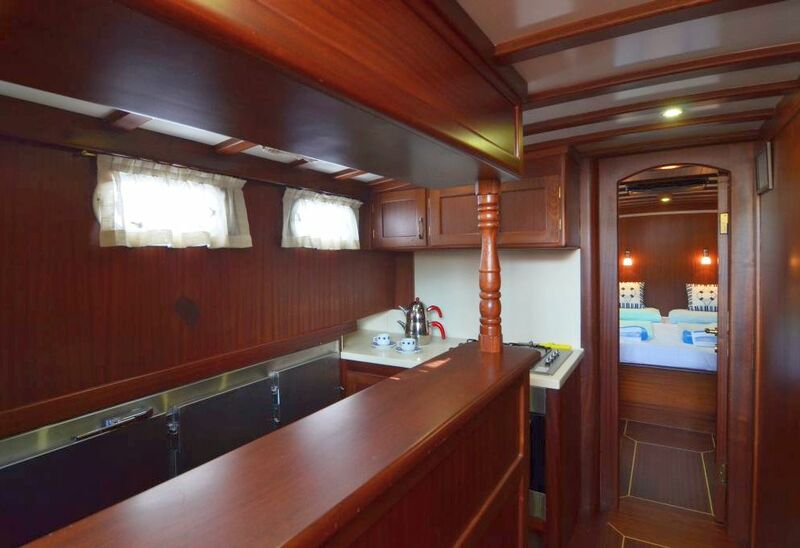 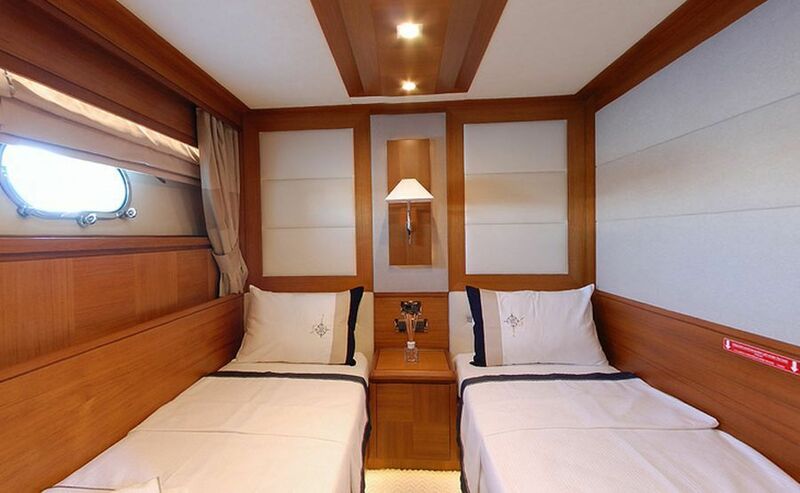 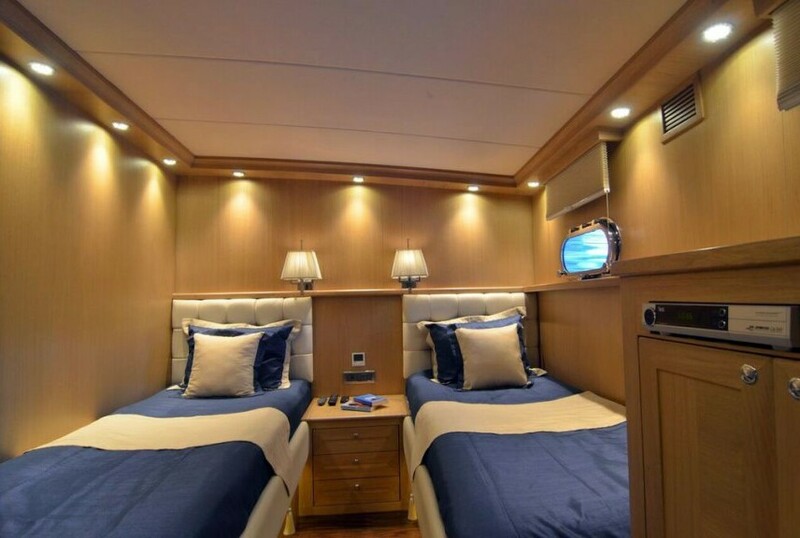 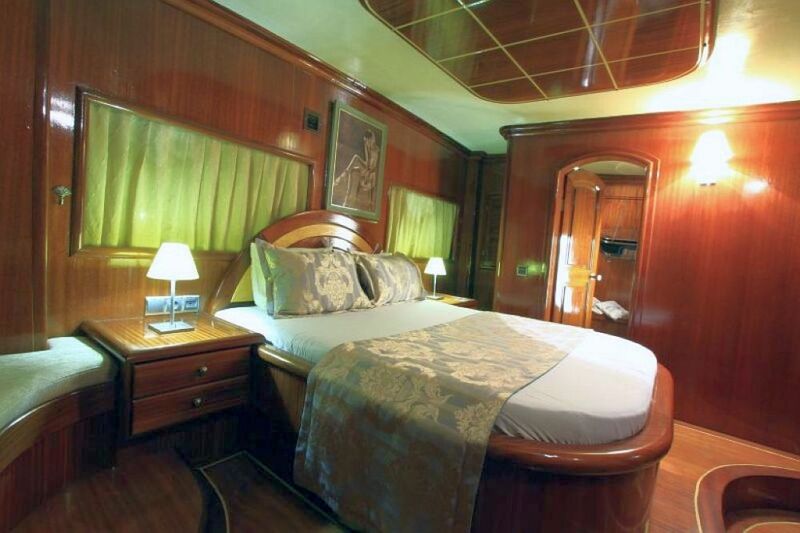 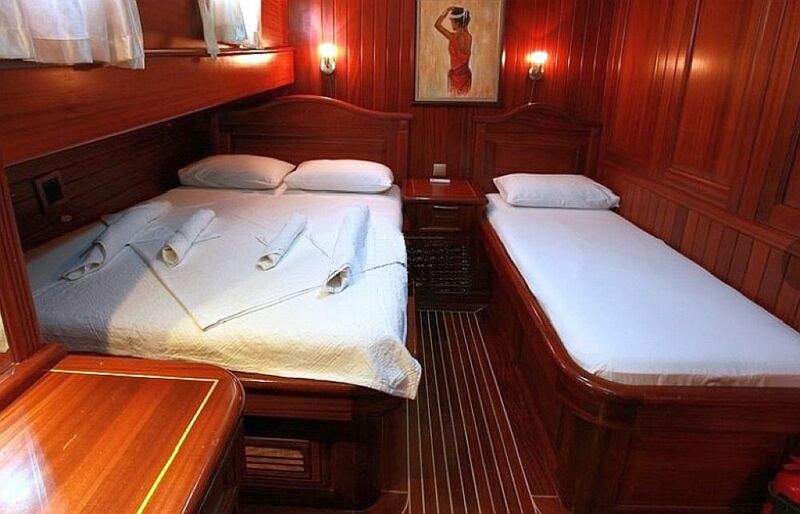 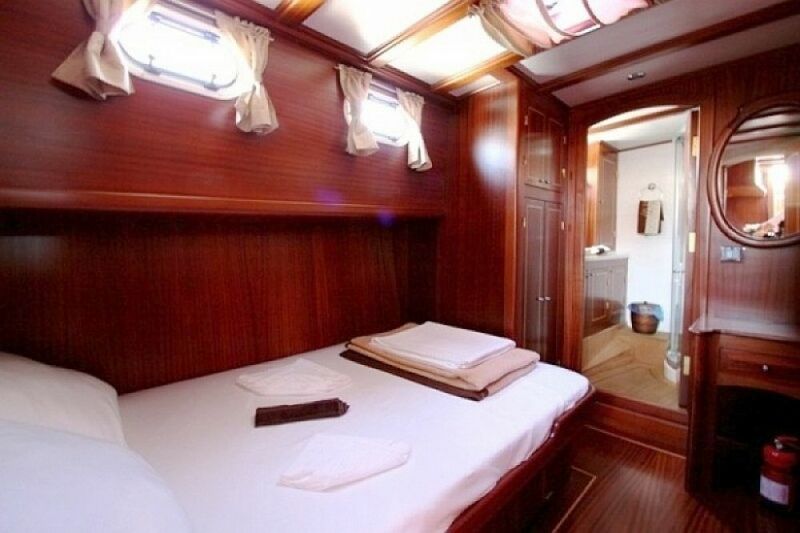 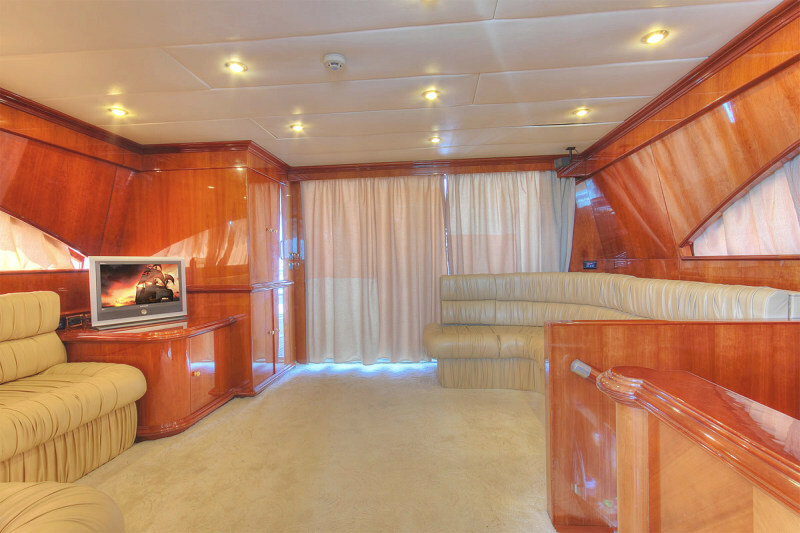 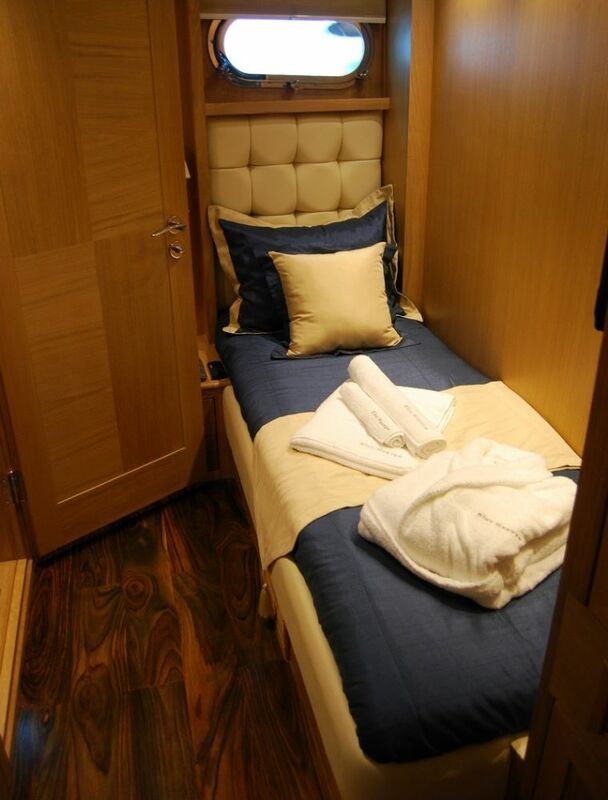 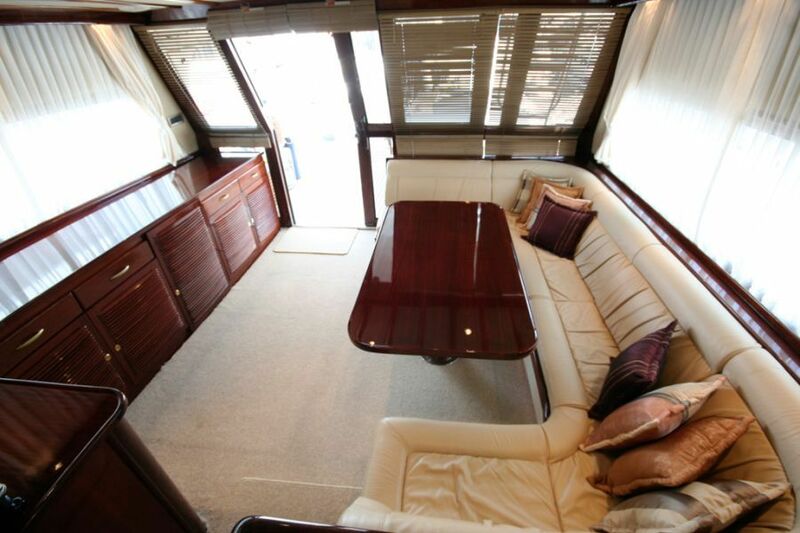 Sunbathing mattrasses, Outdoor dining table, Dining table in saloon, Music system in saloon, Separate crew cabin. 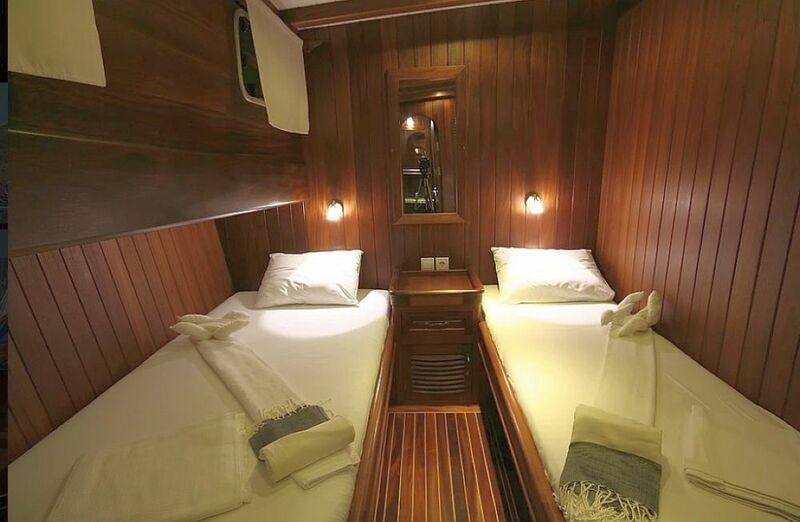 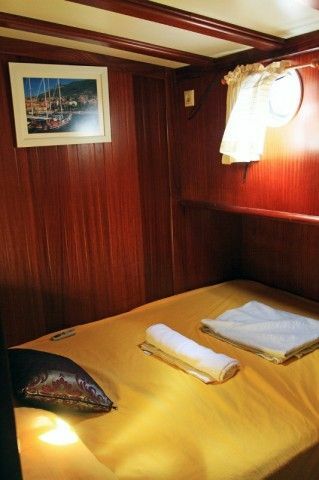 Each cabins : Air condition in cabins. 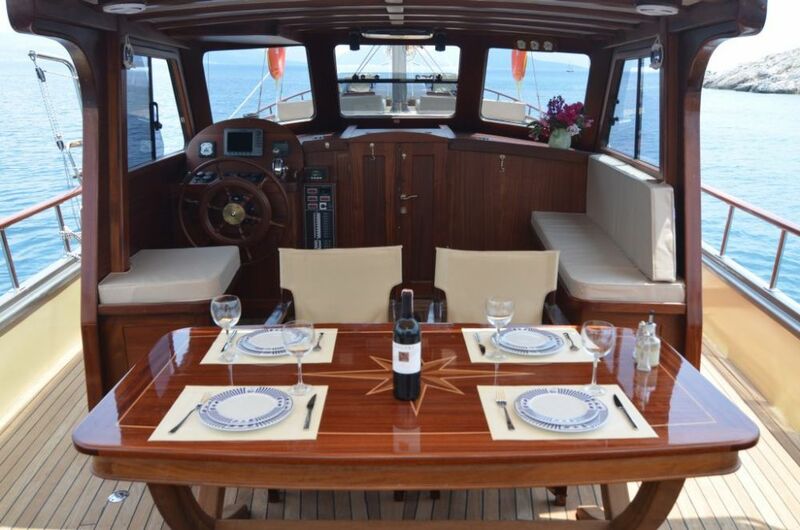 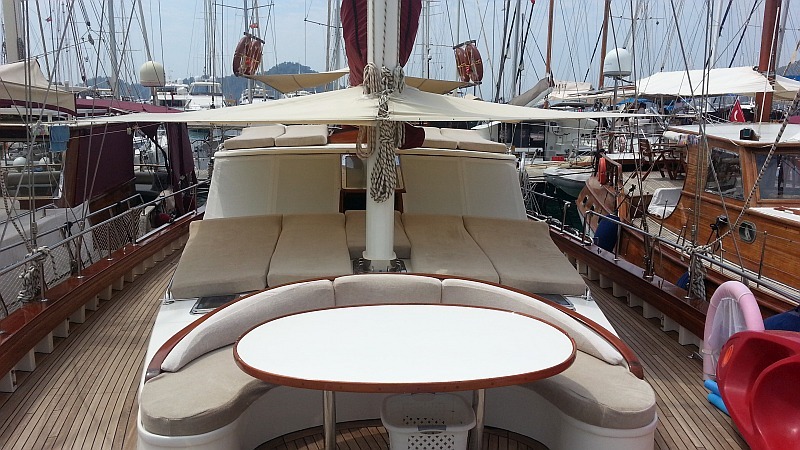 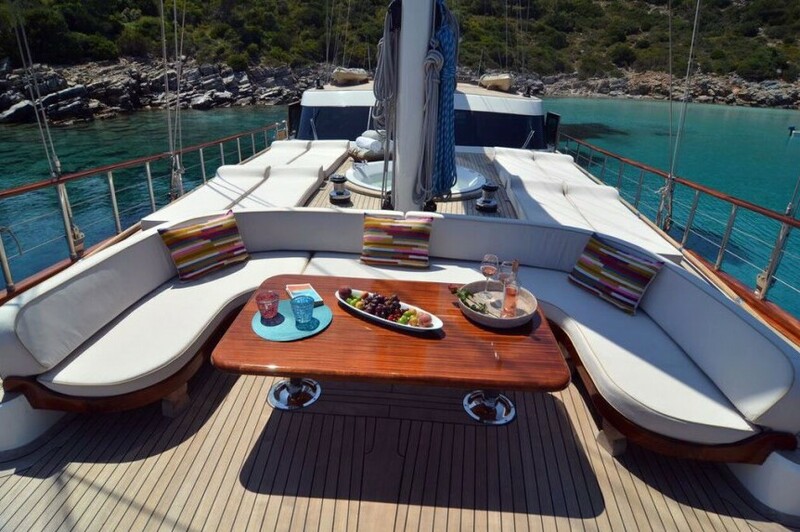 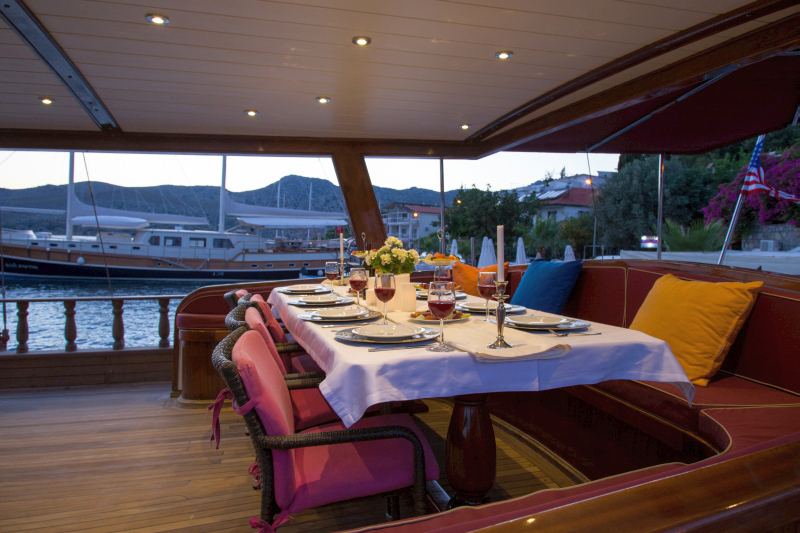 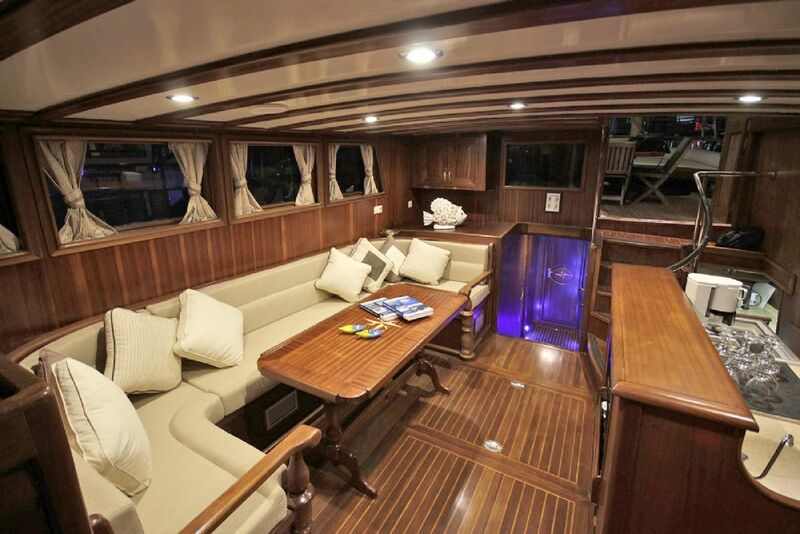 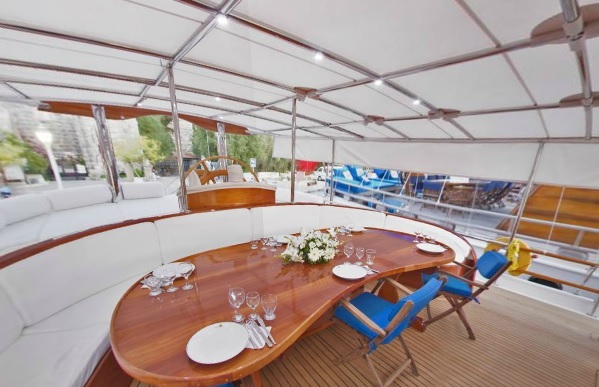 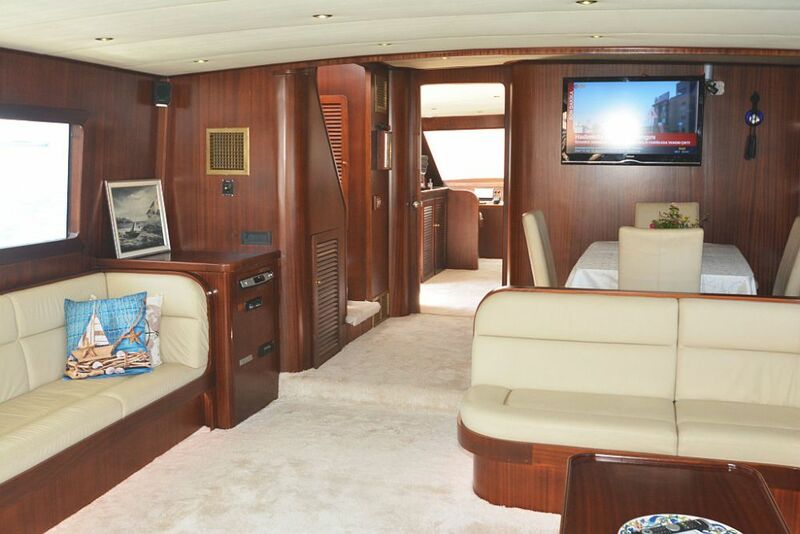 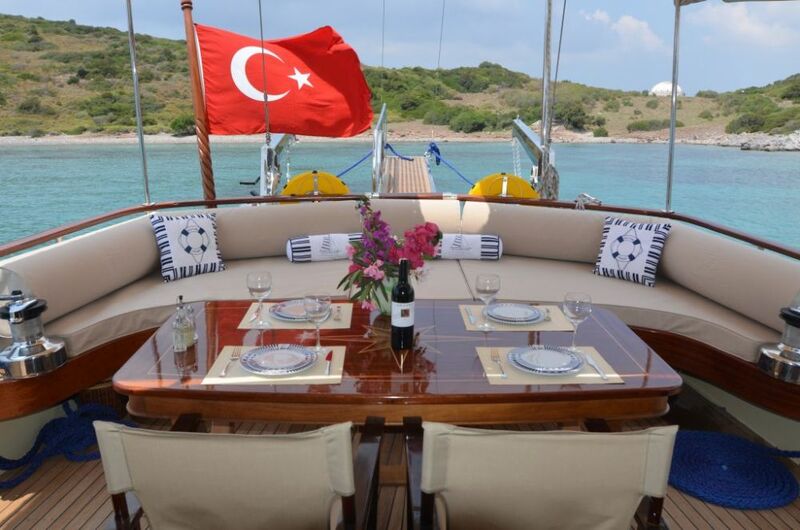 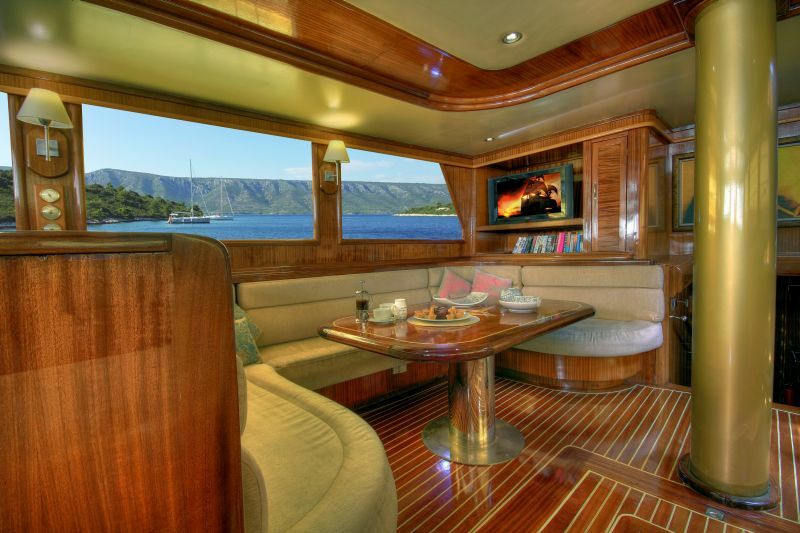 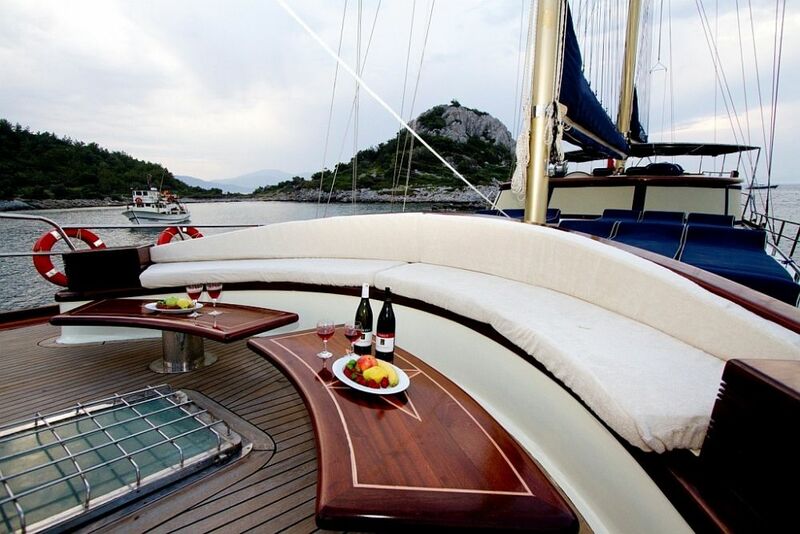 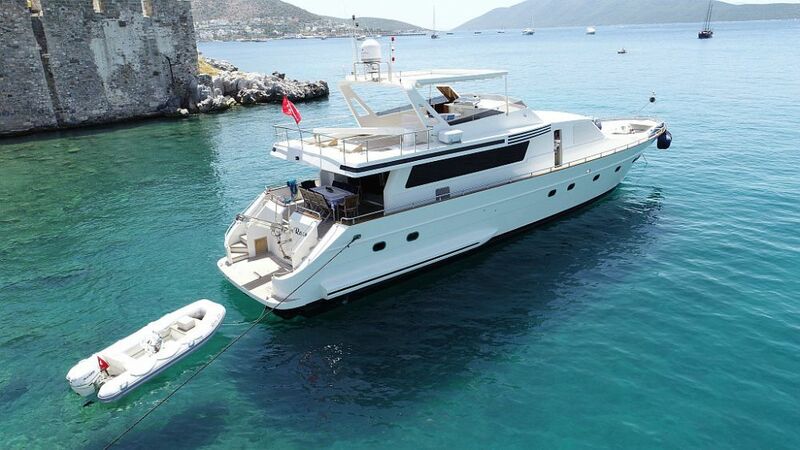 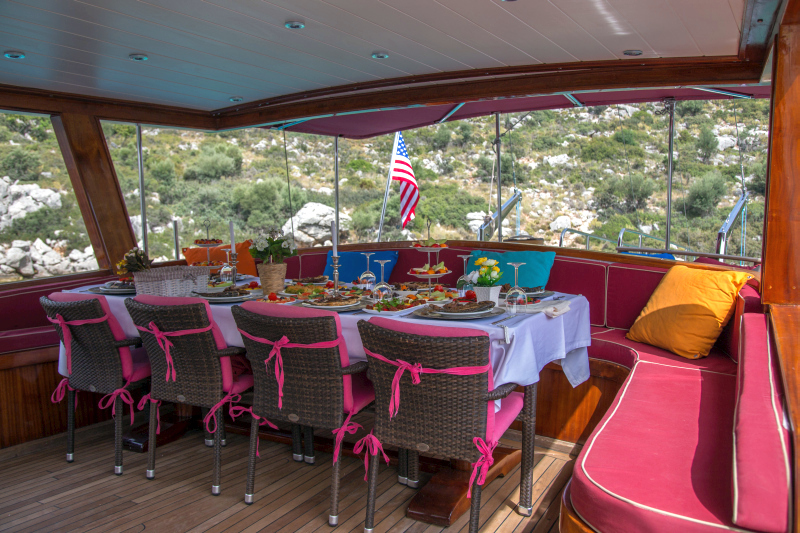 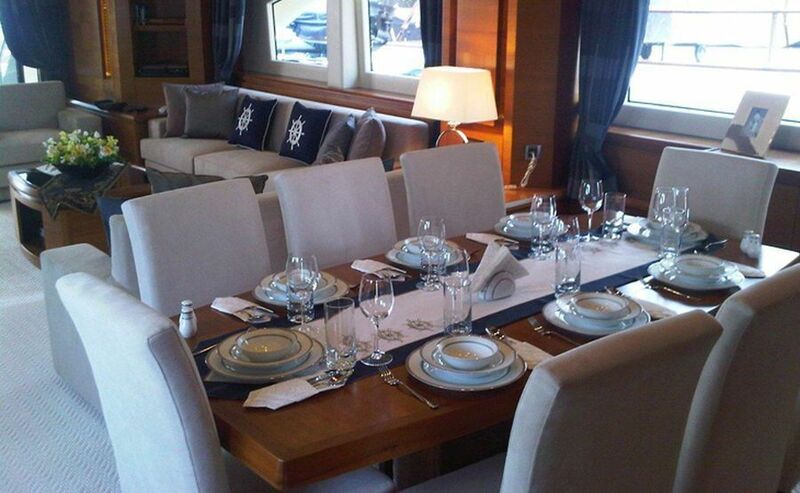 Flybridge, Sunbathing mattrasses, Outdoor dining table, Dining table in saloon, Separate crew cabin, Crew area. 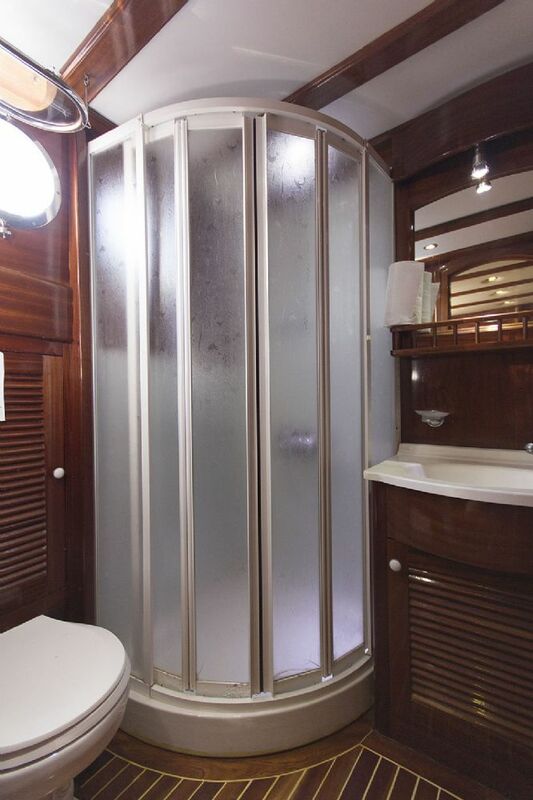 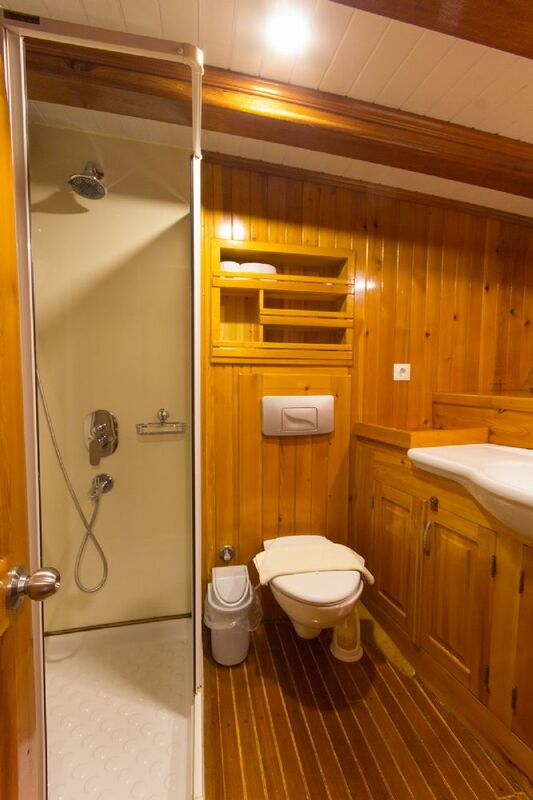 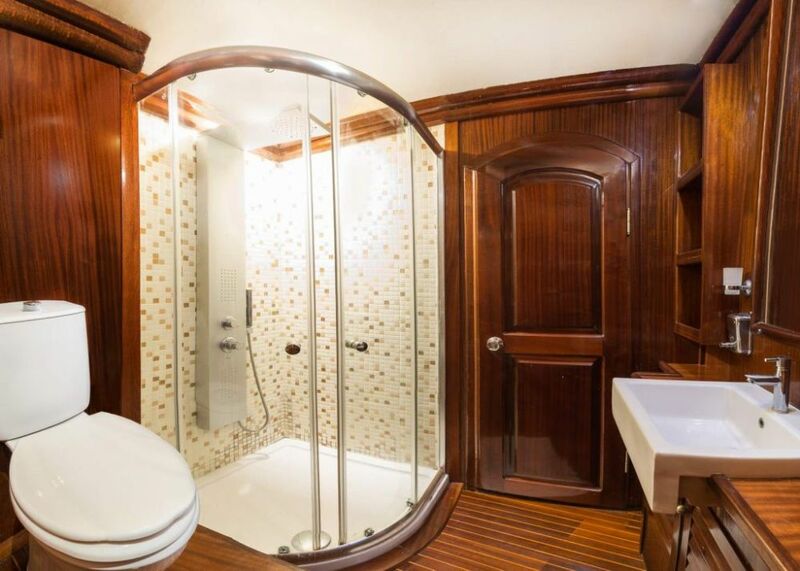 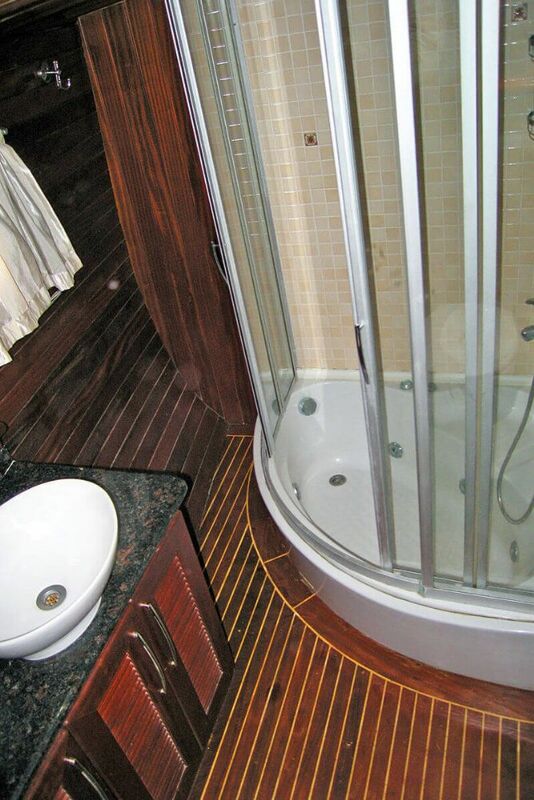 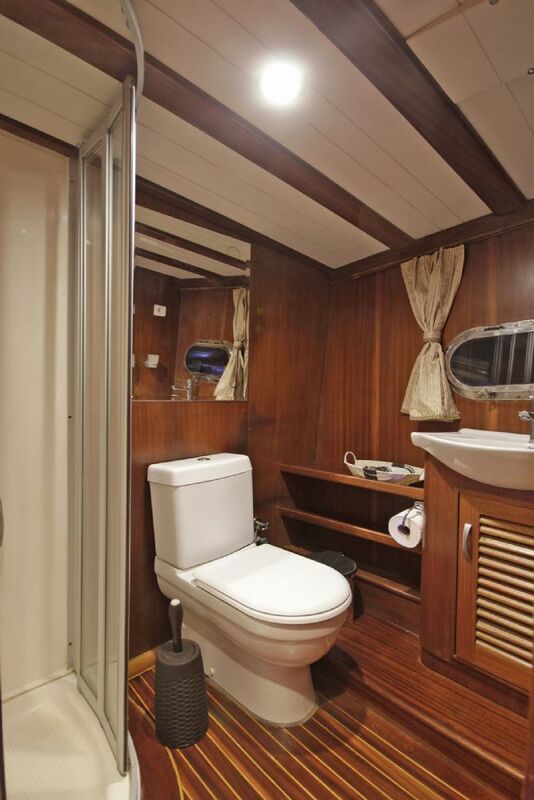 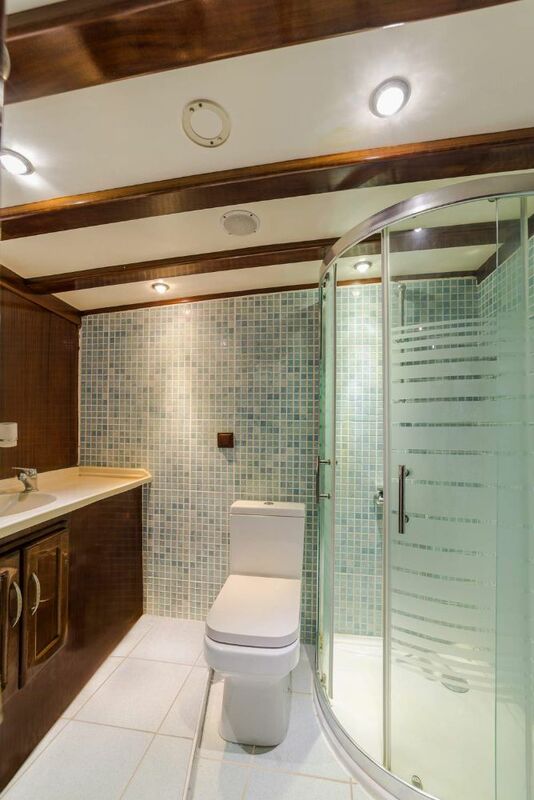 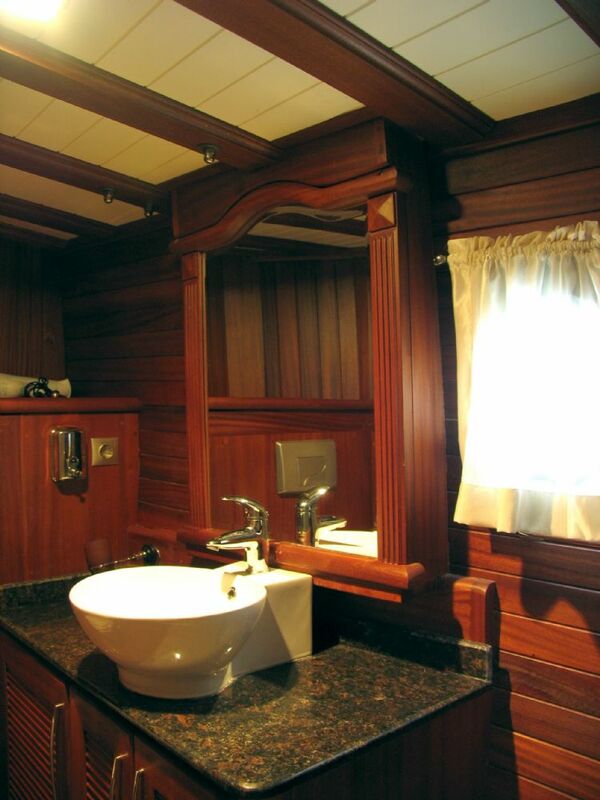 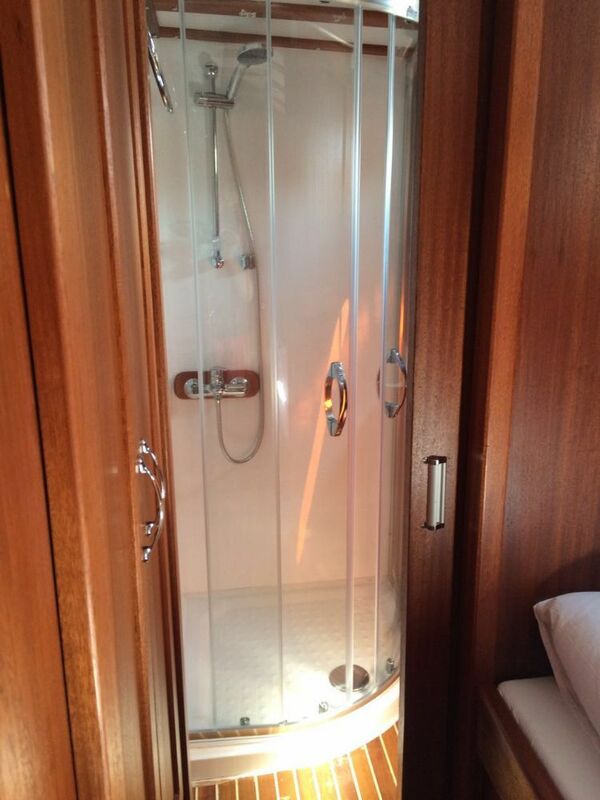 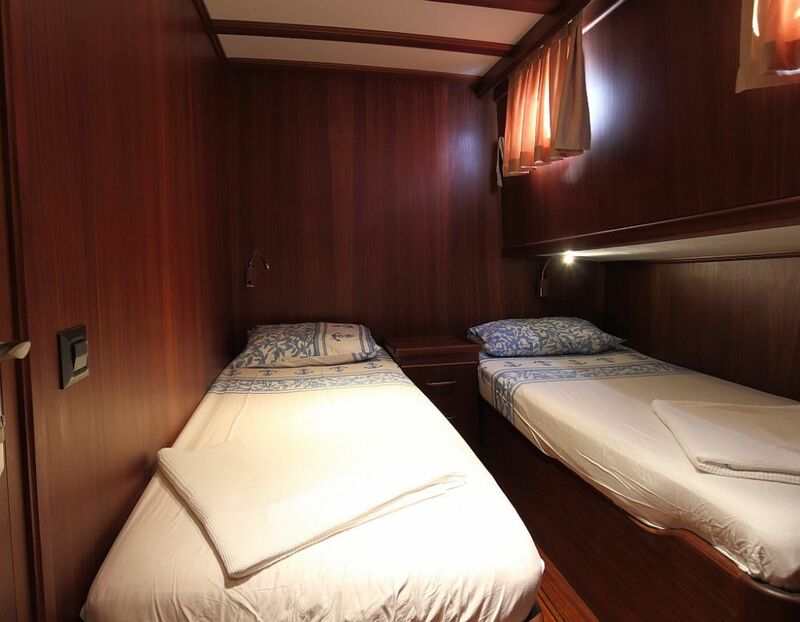 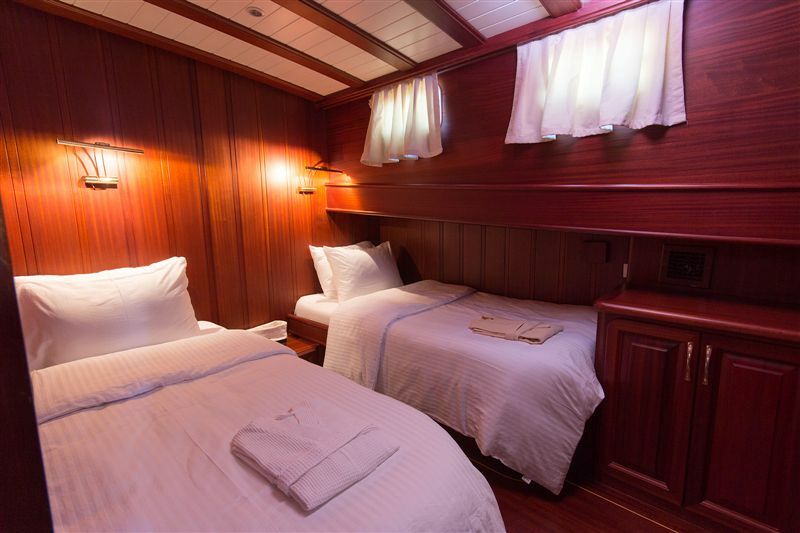 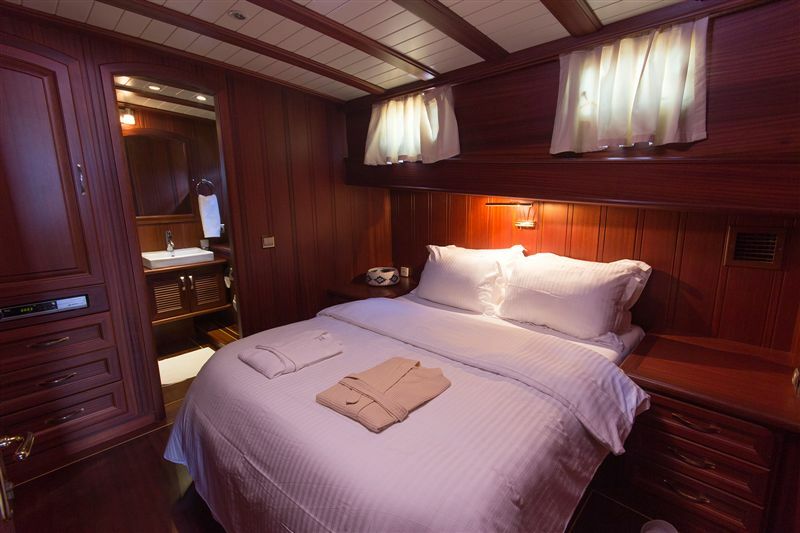 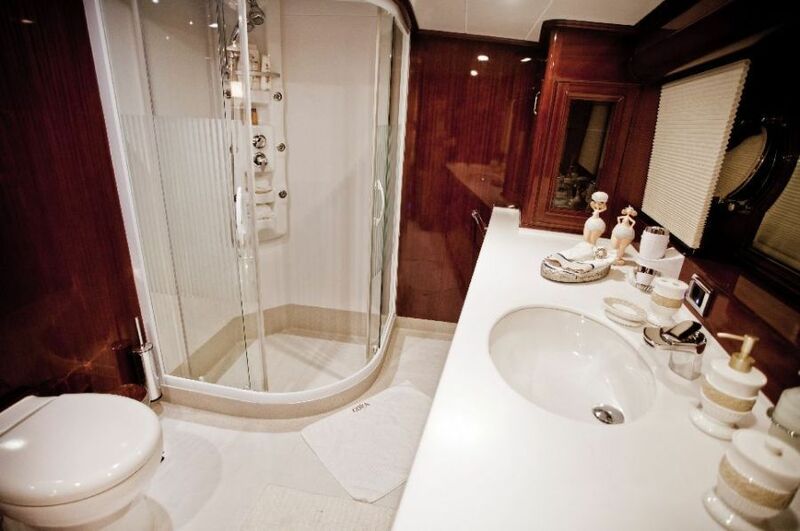 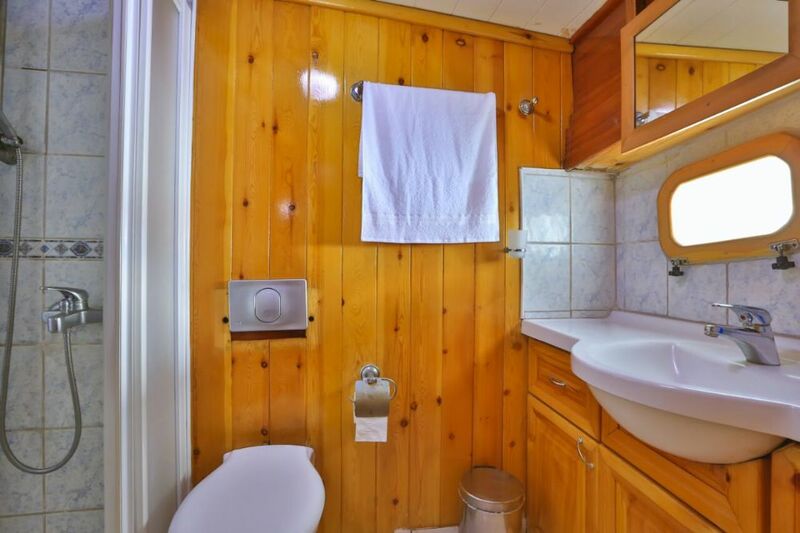 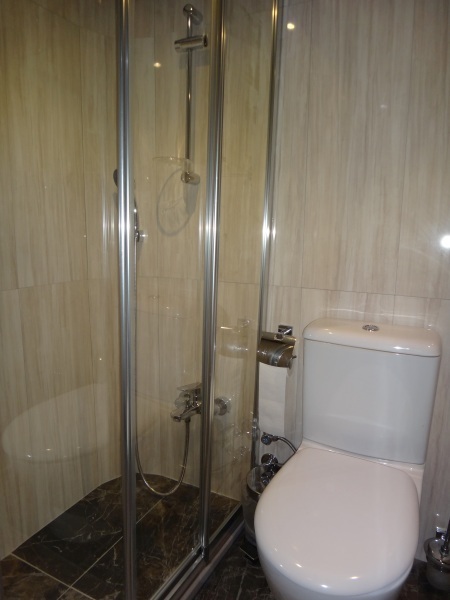 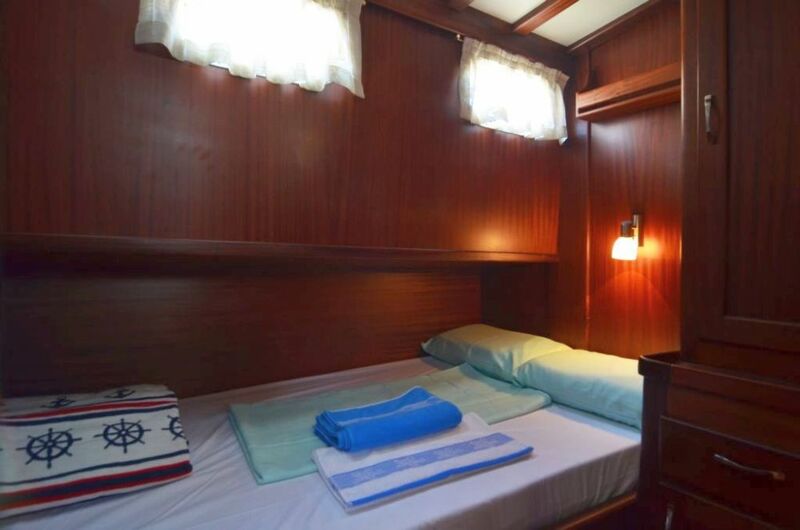 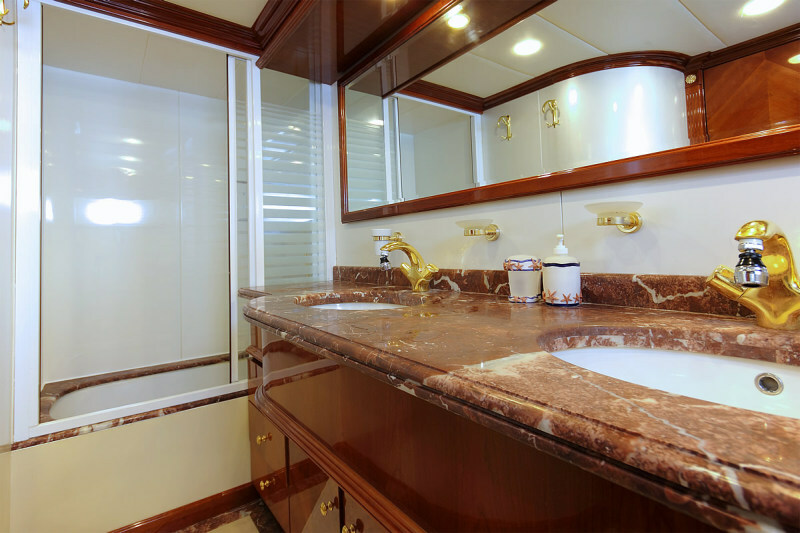 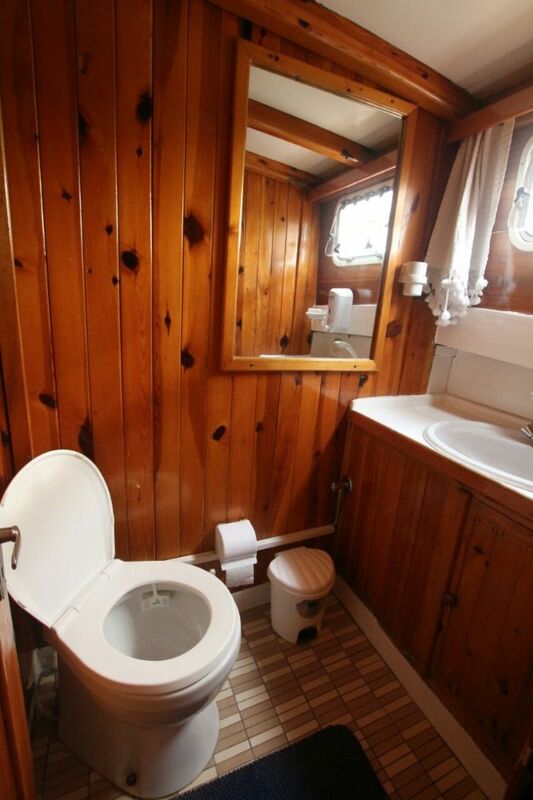 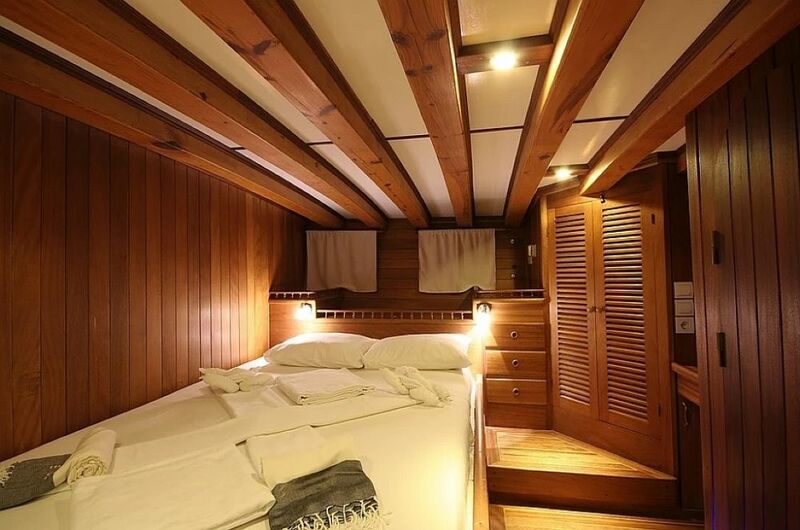 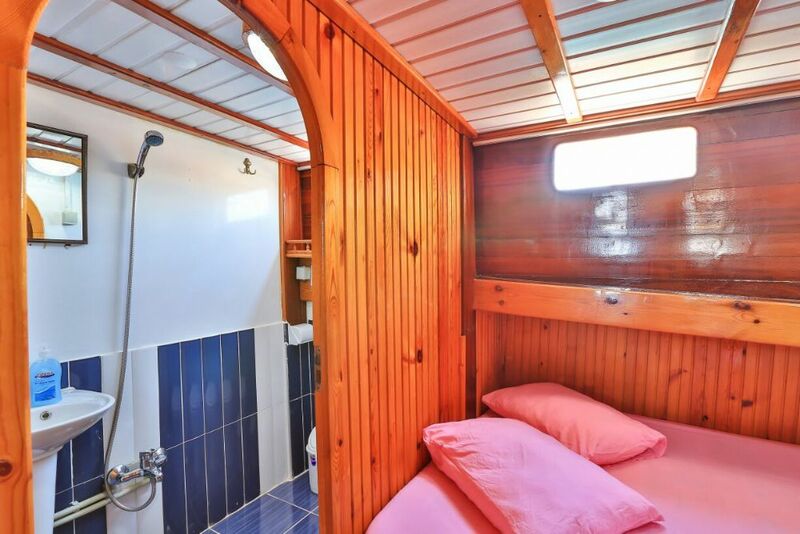 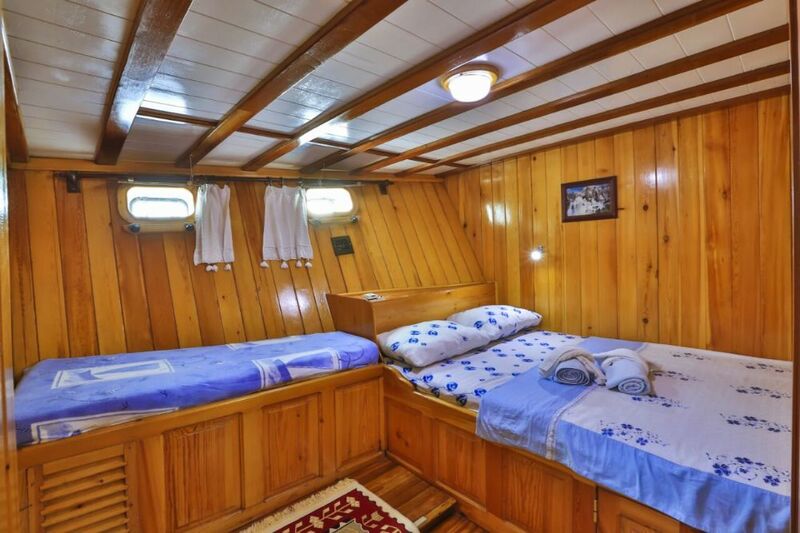 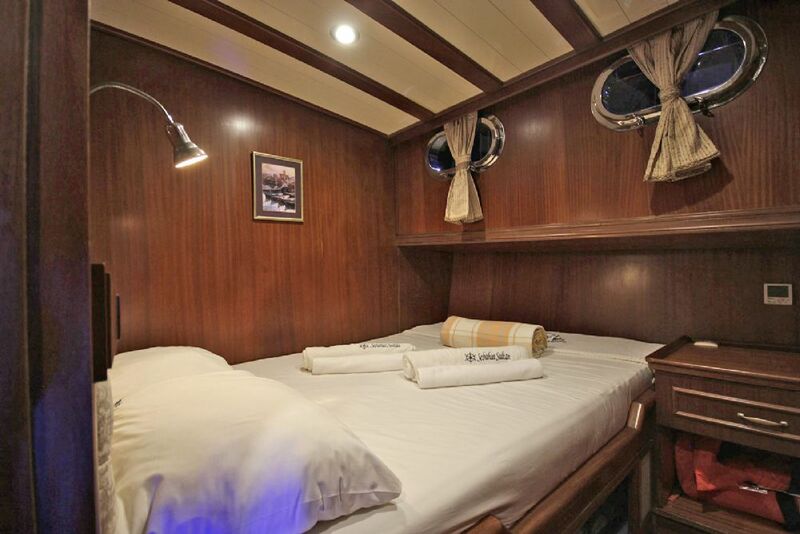 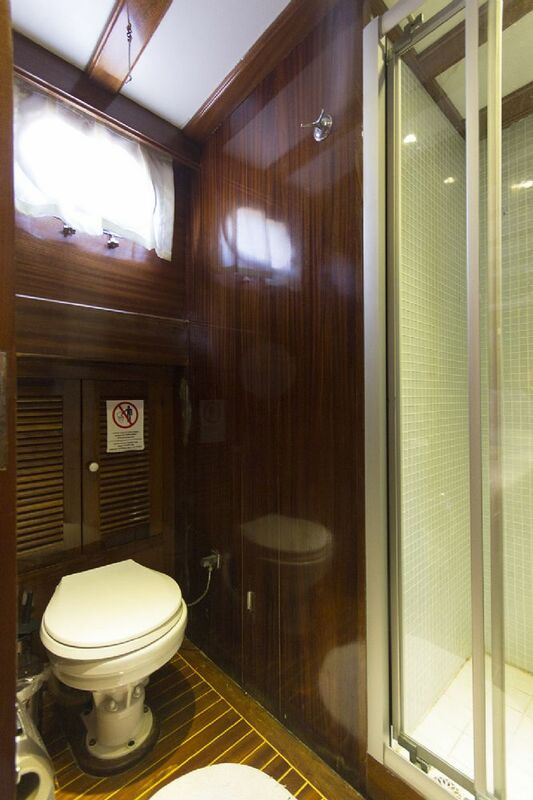 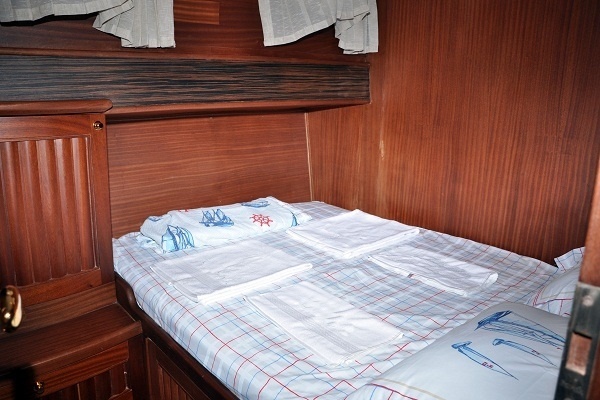 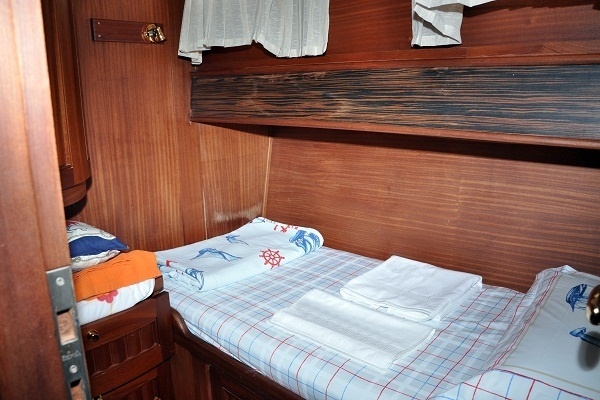 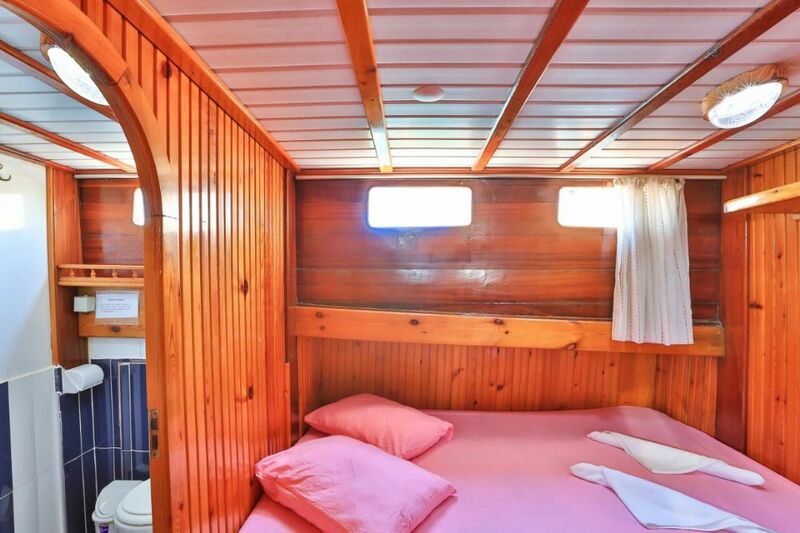 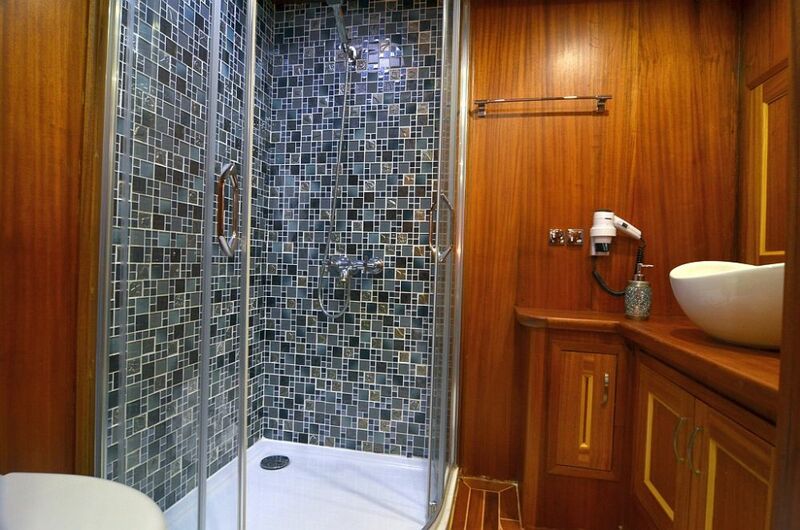 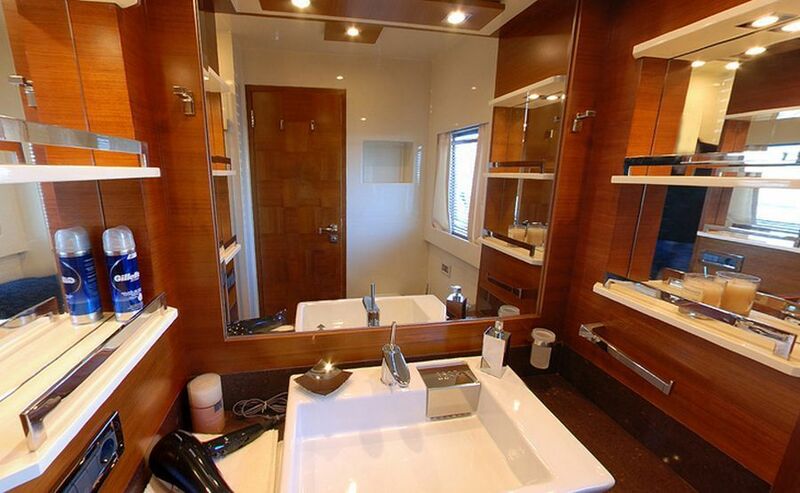 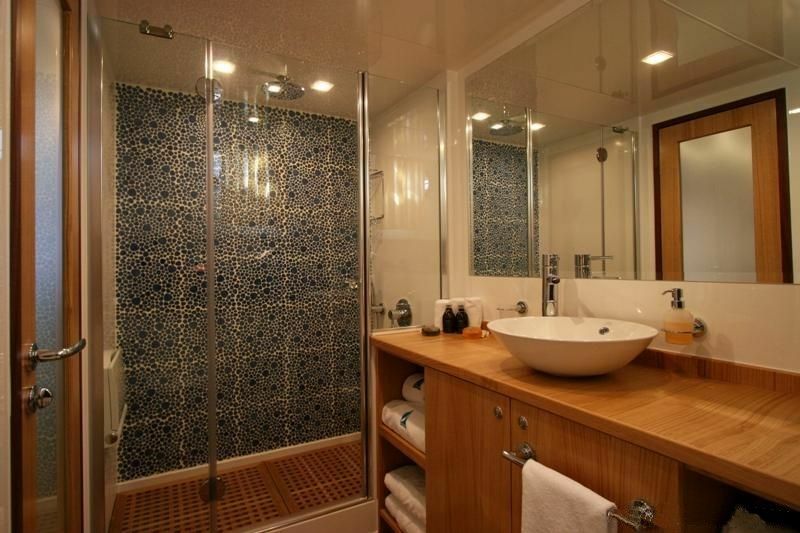 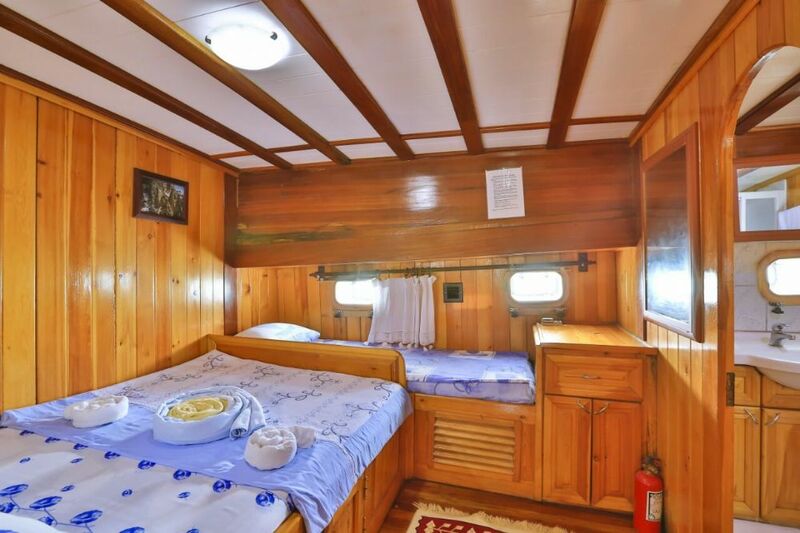 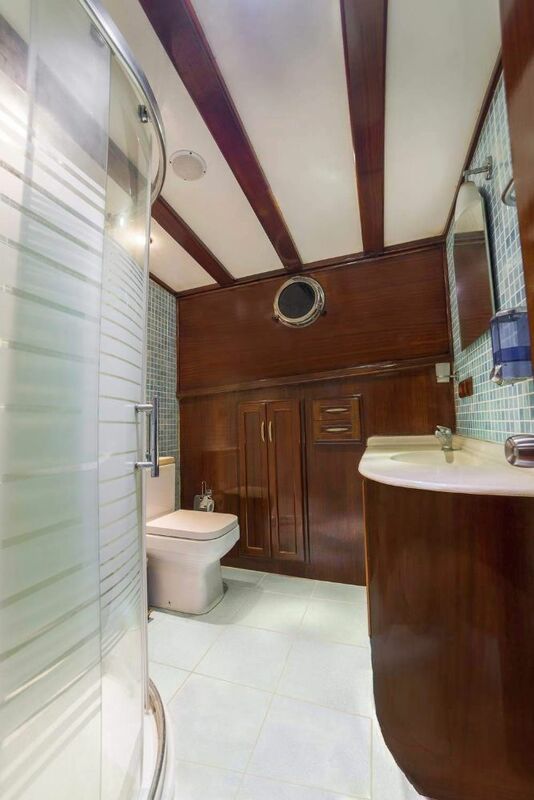 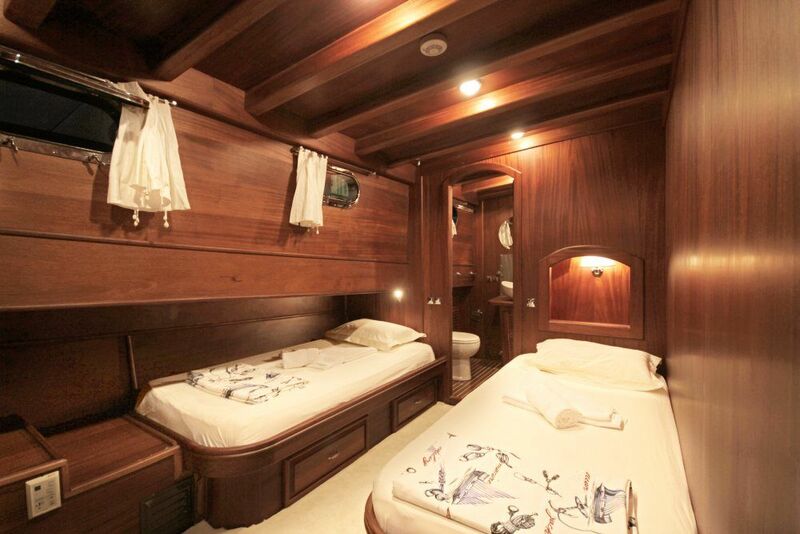 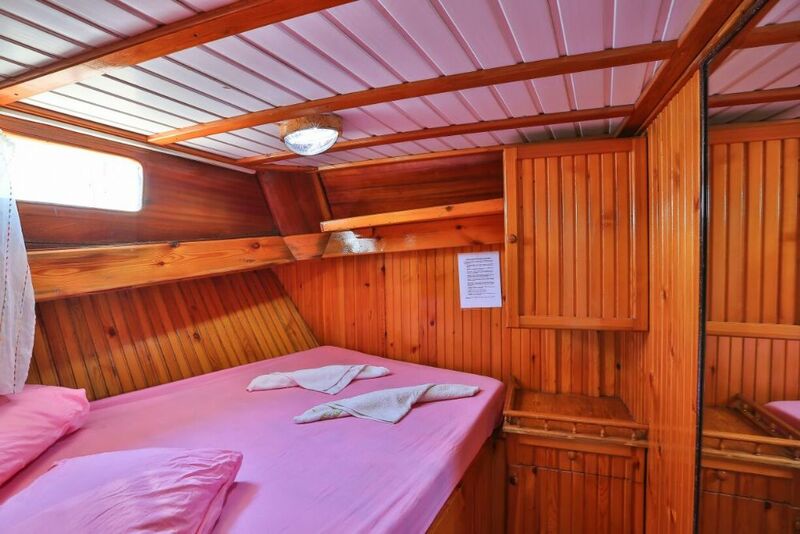 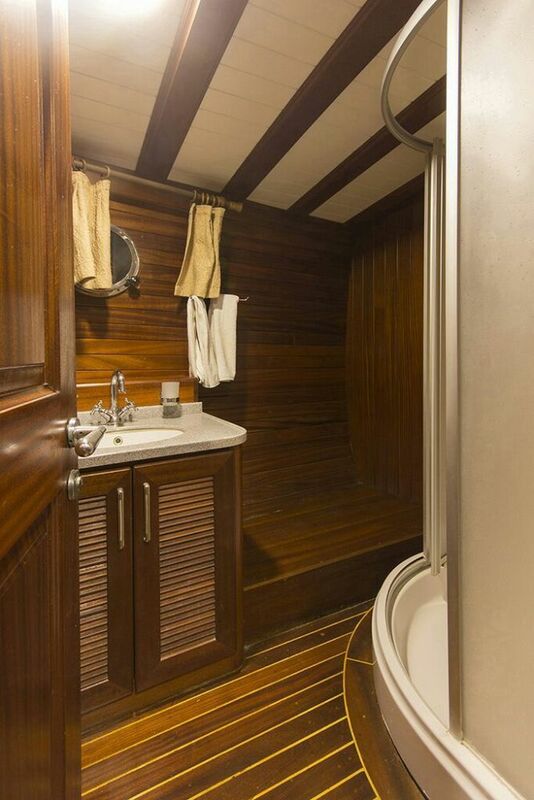 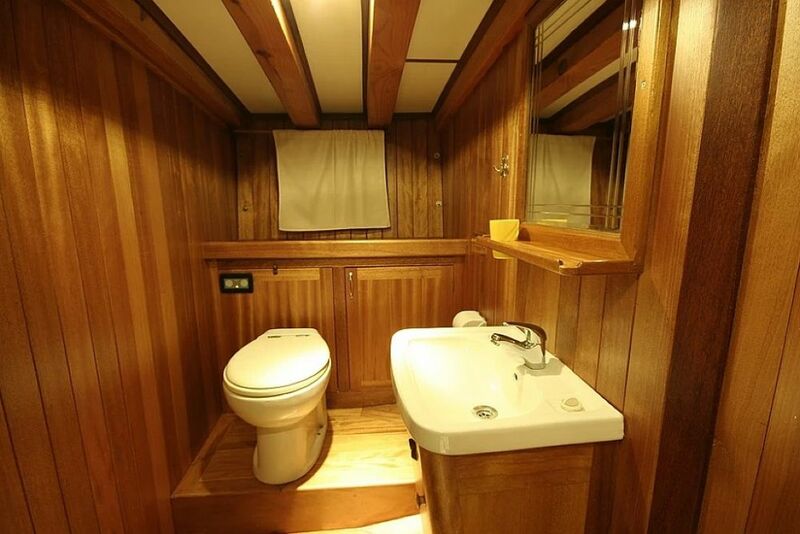 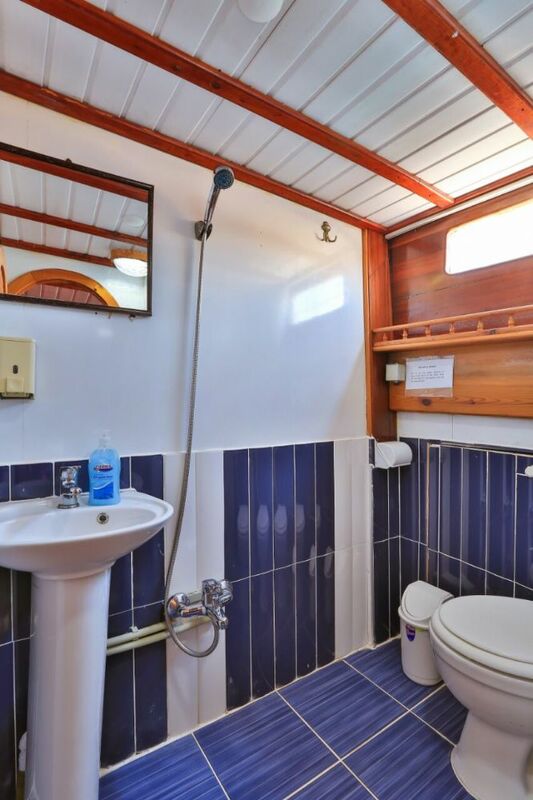 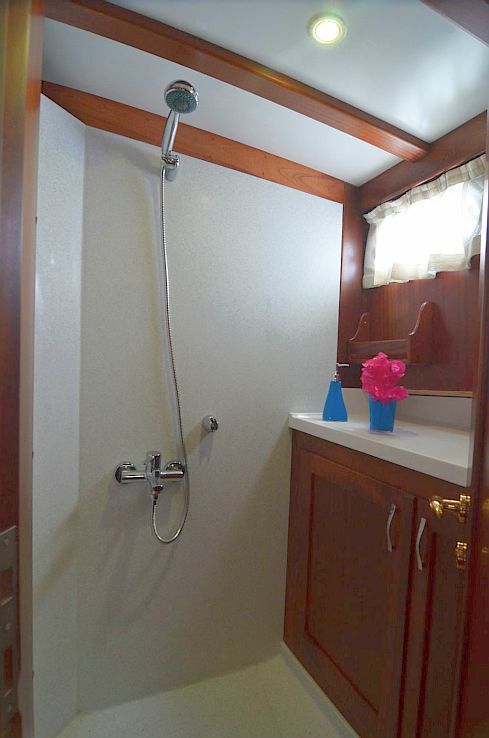 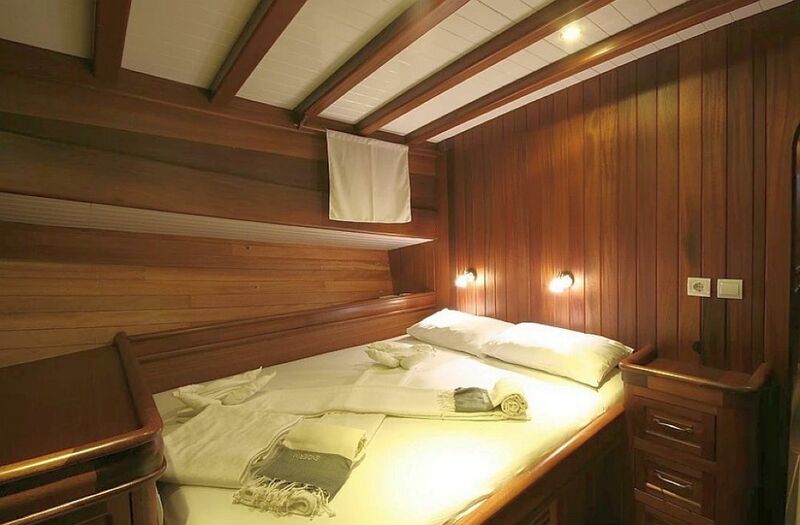 Each cabins : Hair dryer, Air condition in cabins. 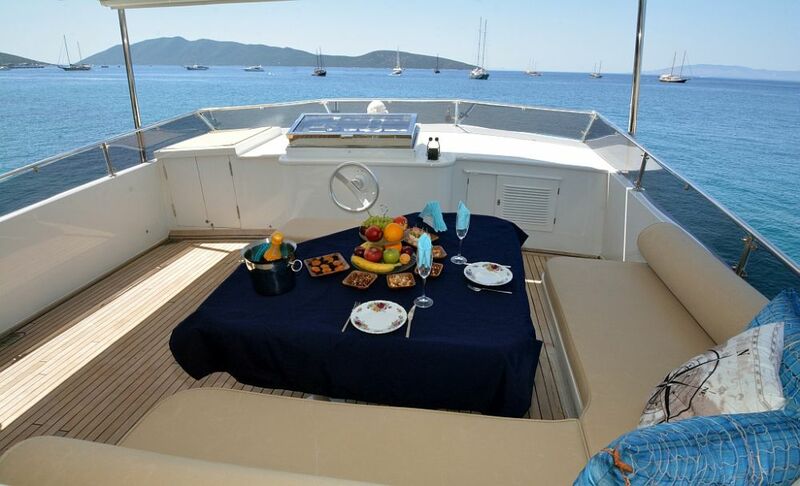 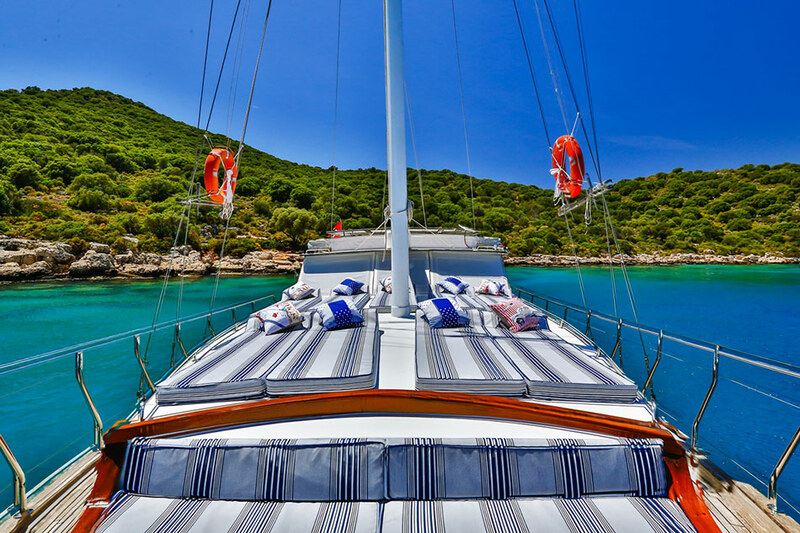 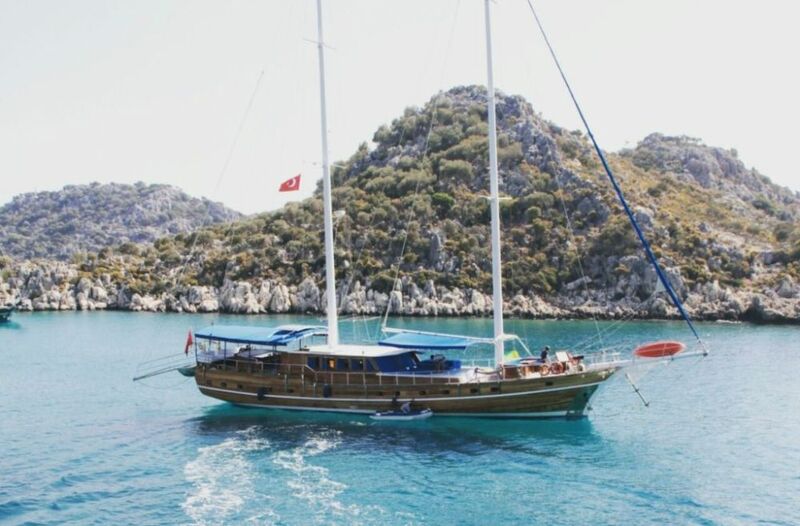 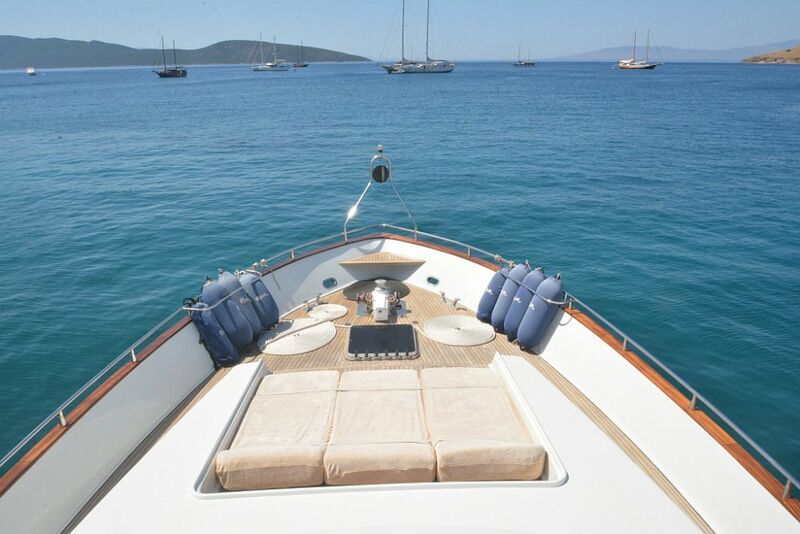 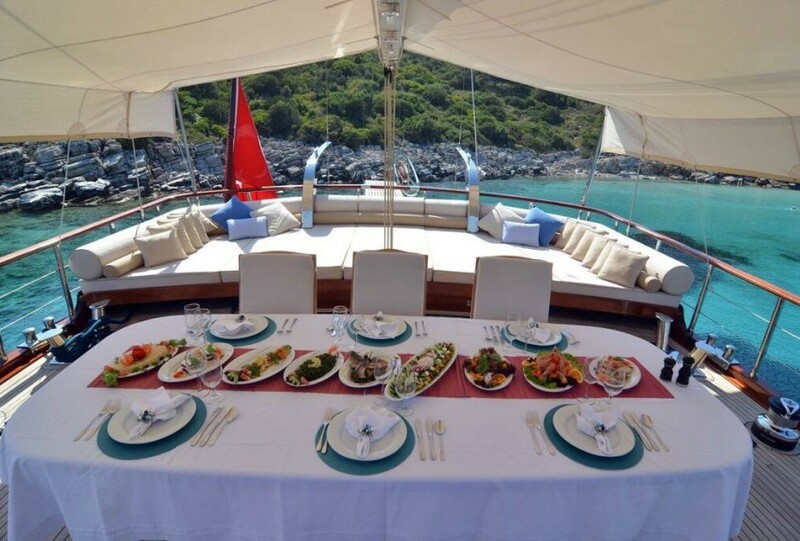 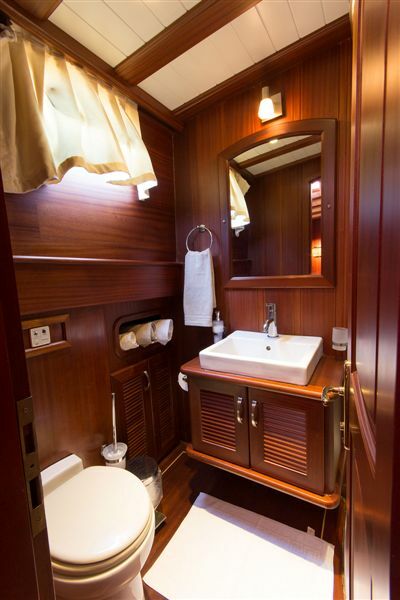 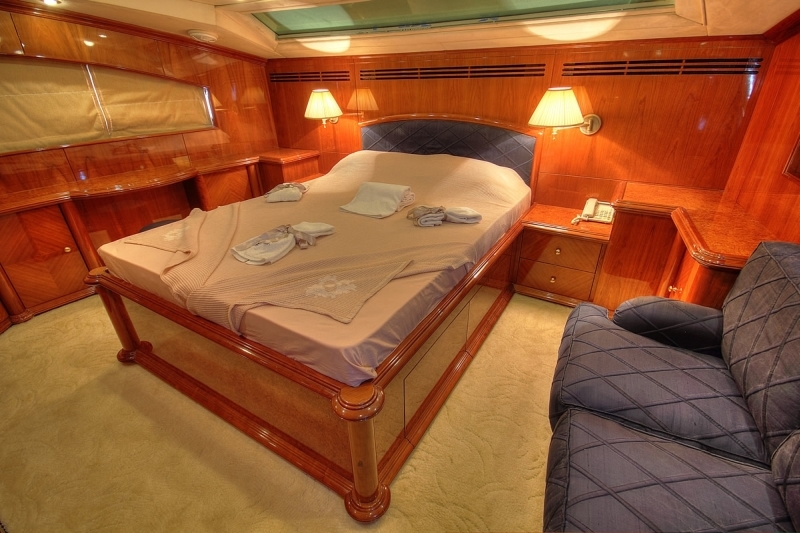 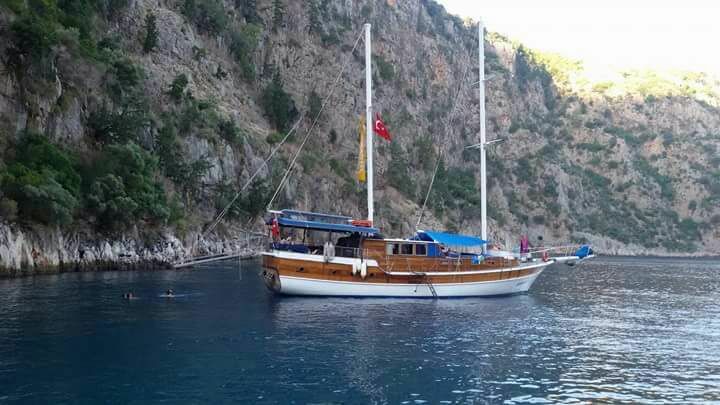 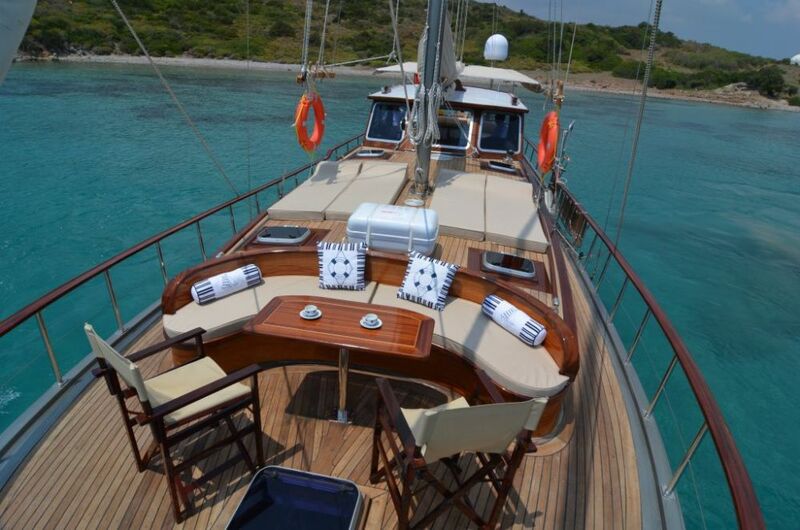 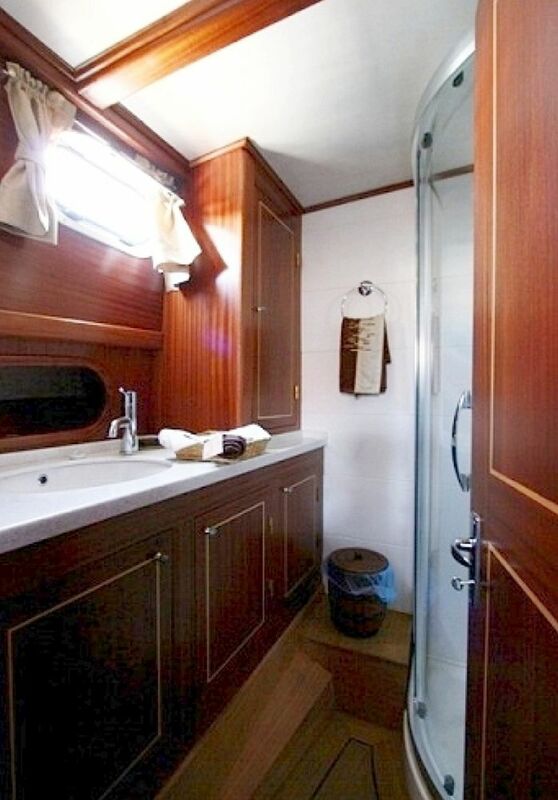 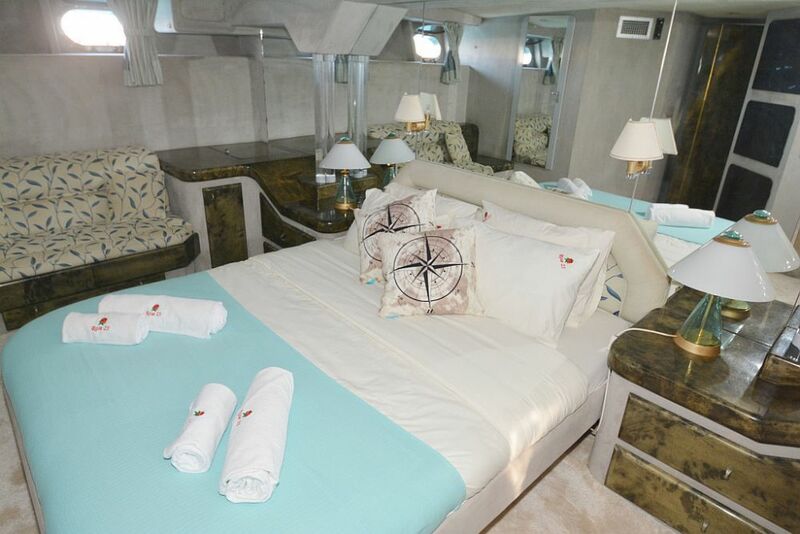 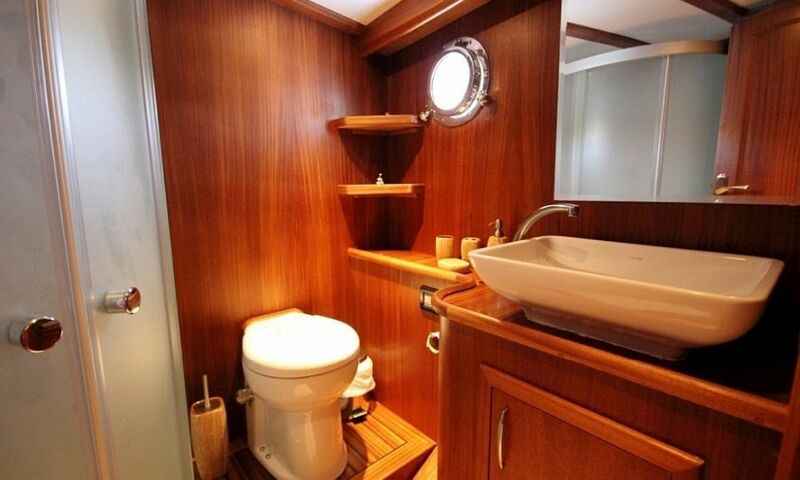 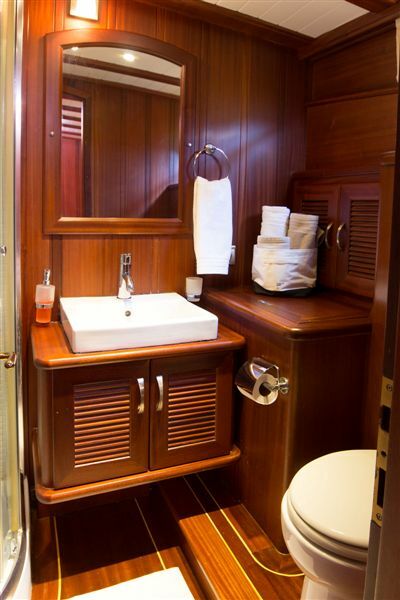 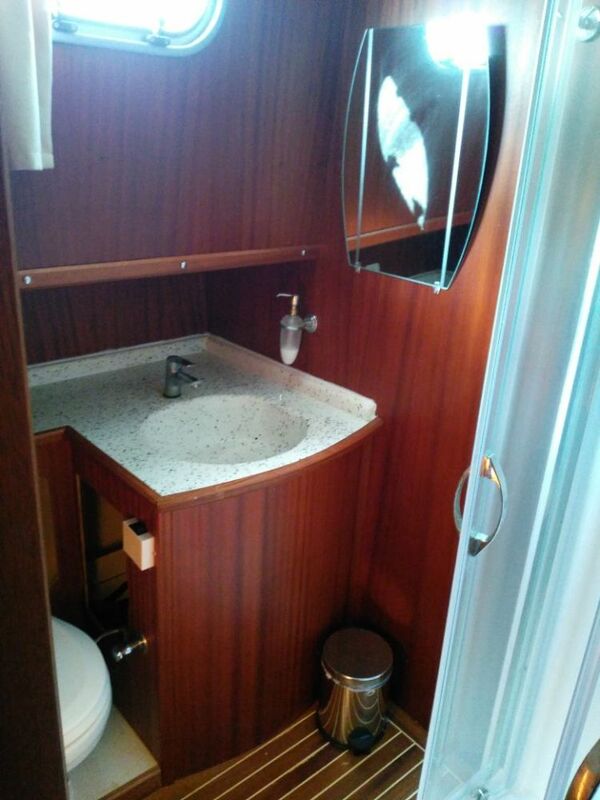 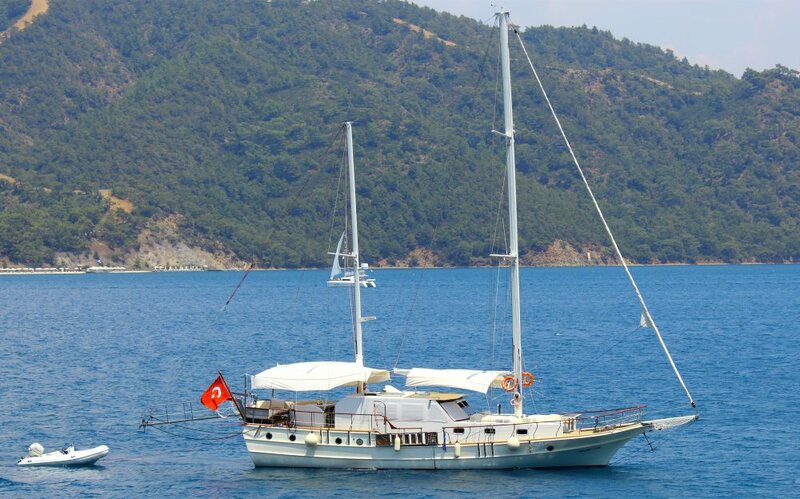 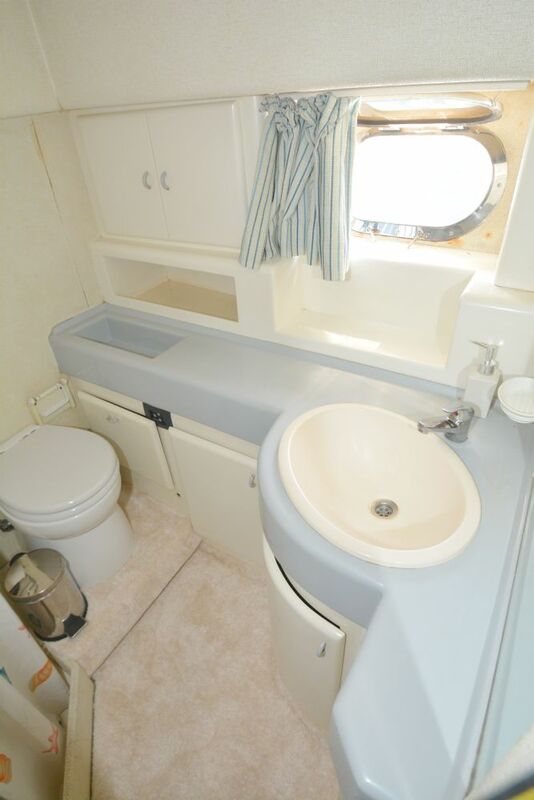 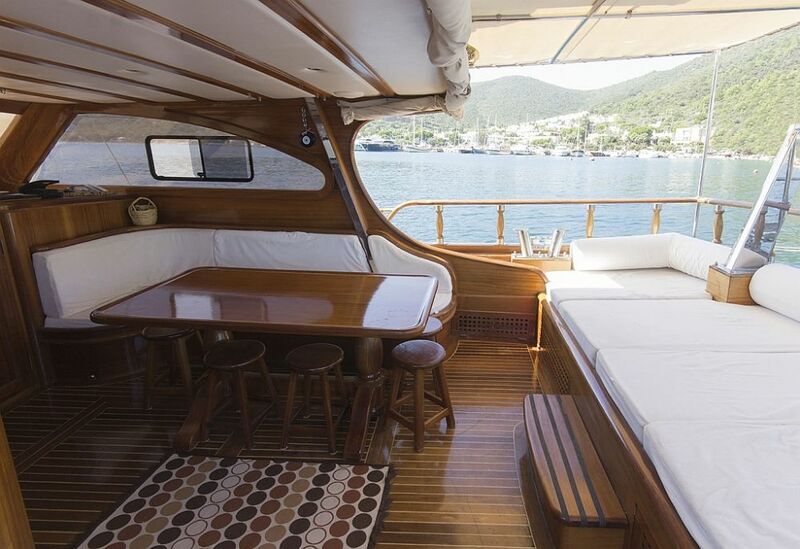 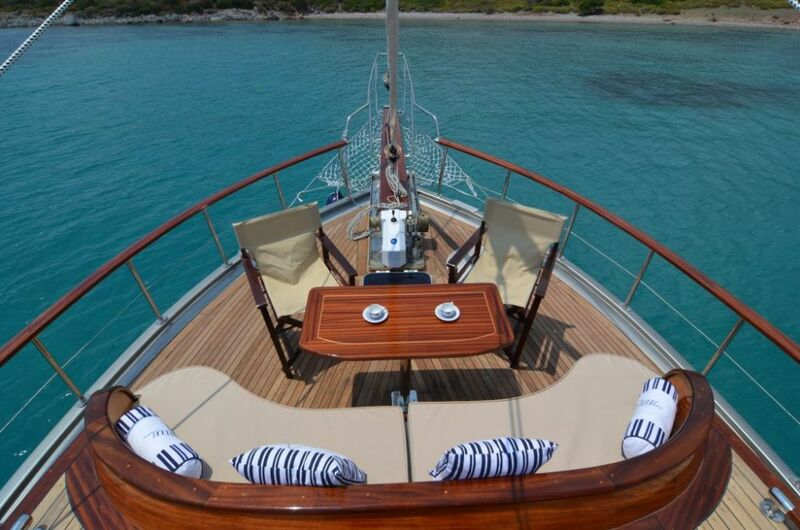 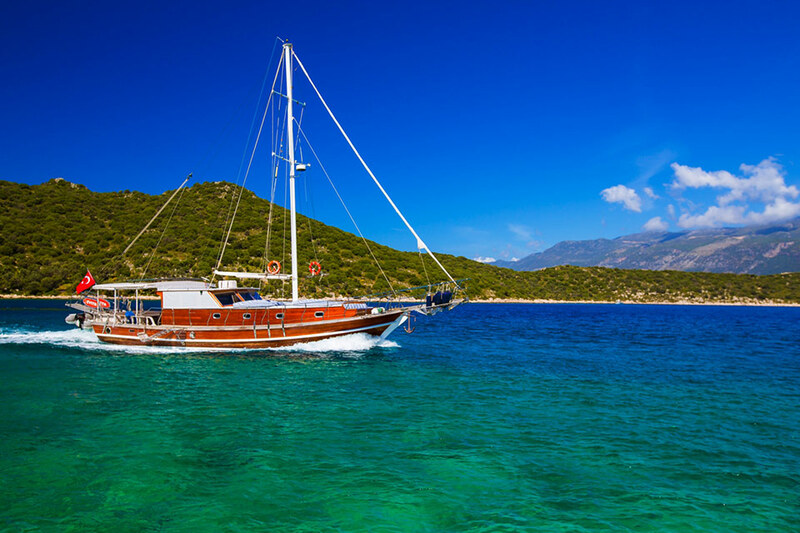 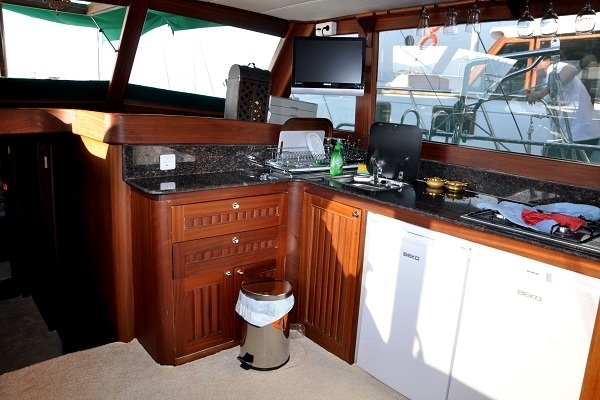 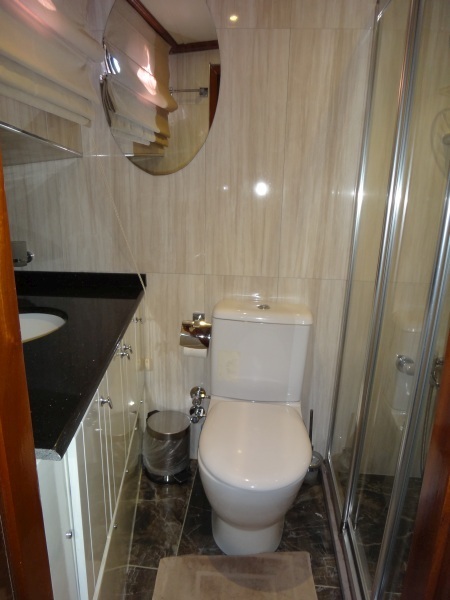 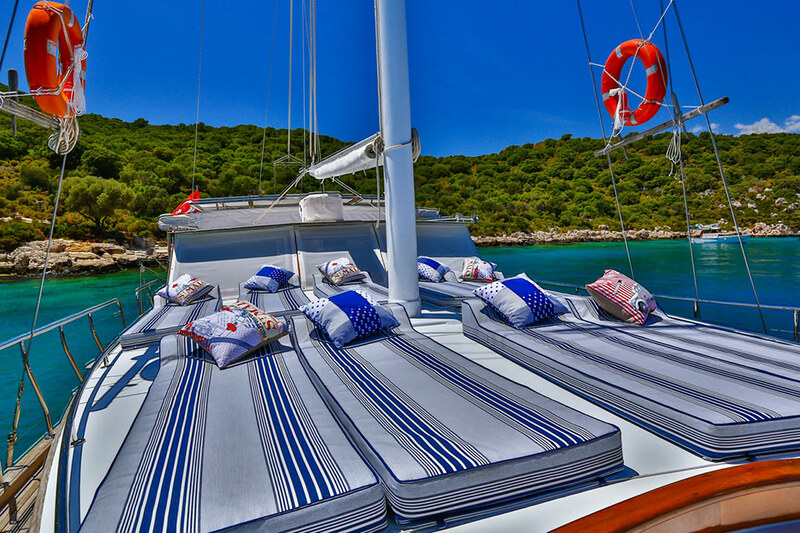 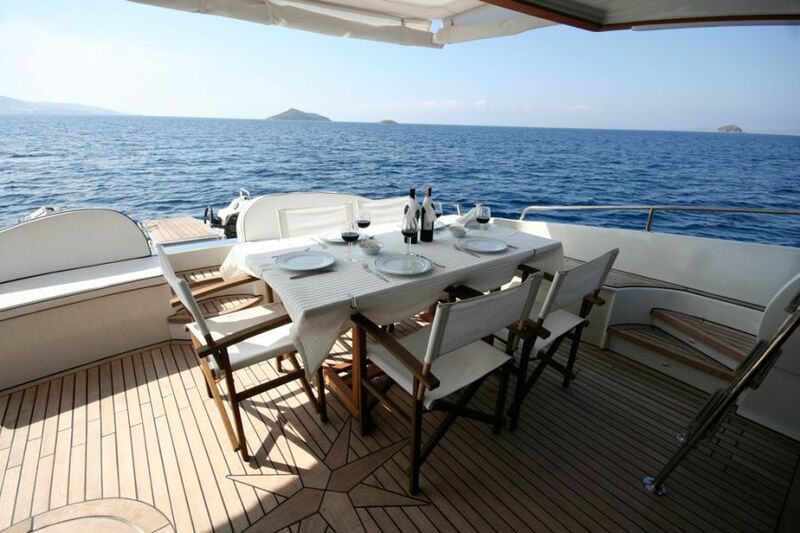 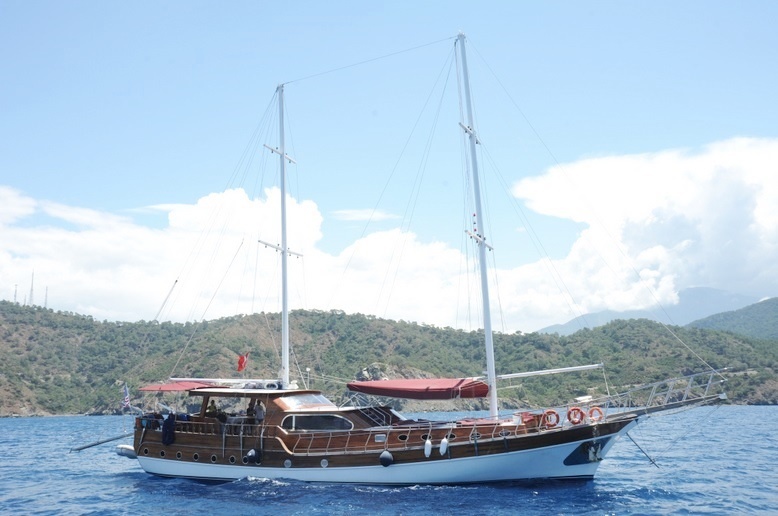 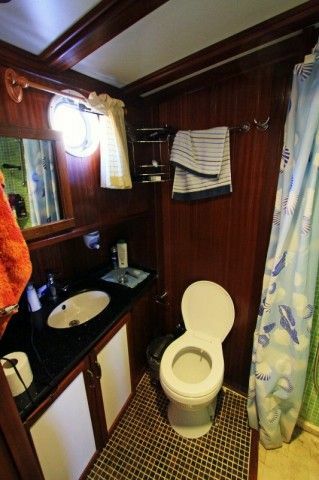 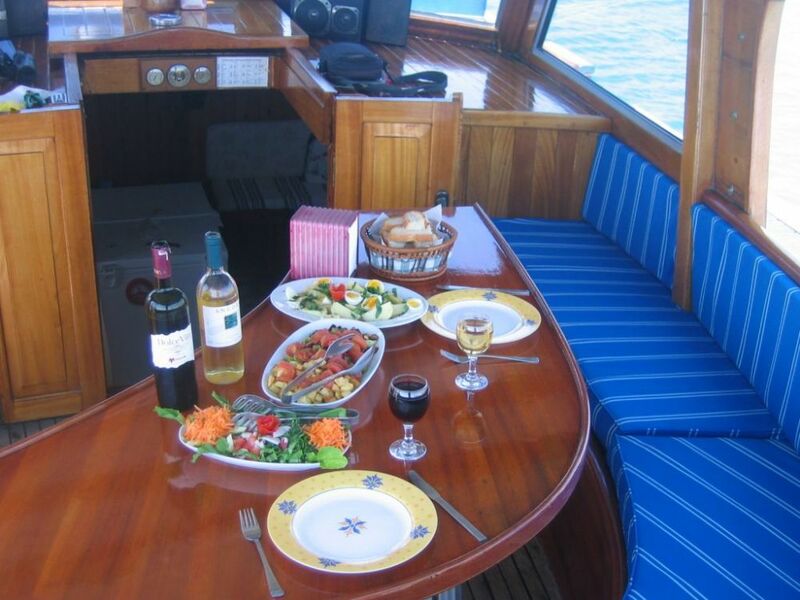 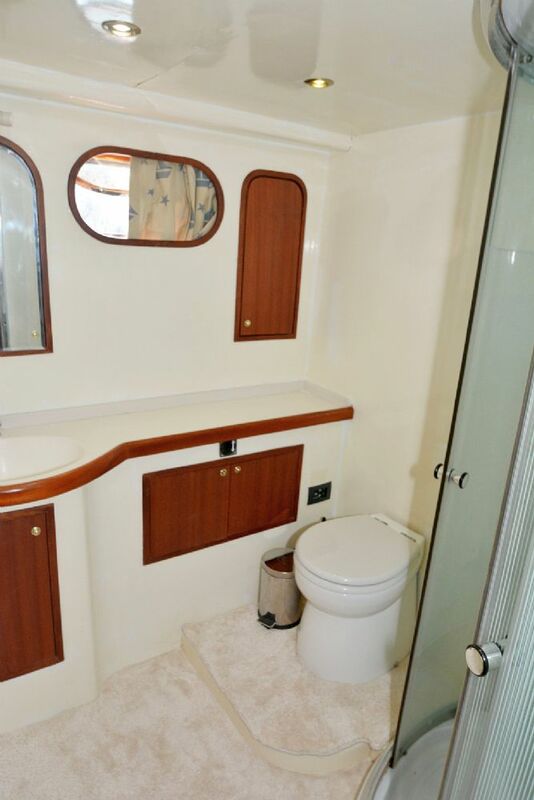 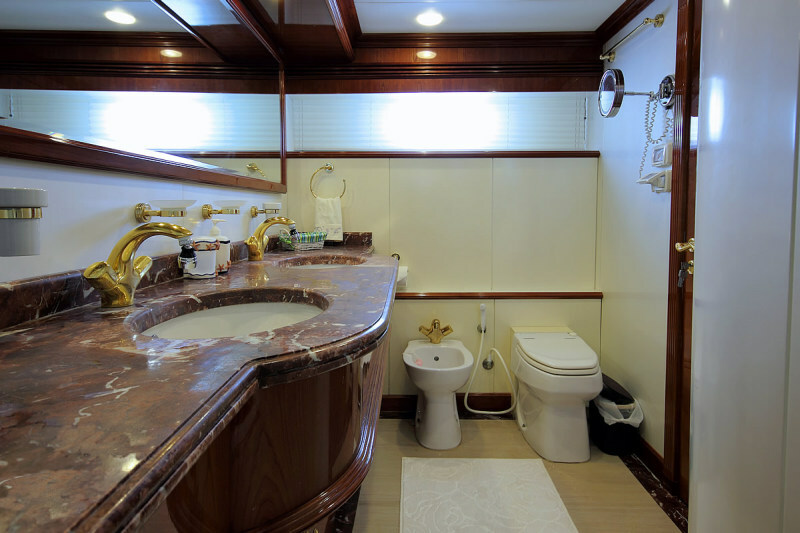 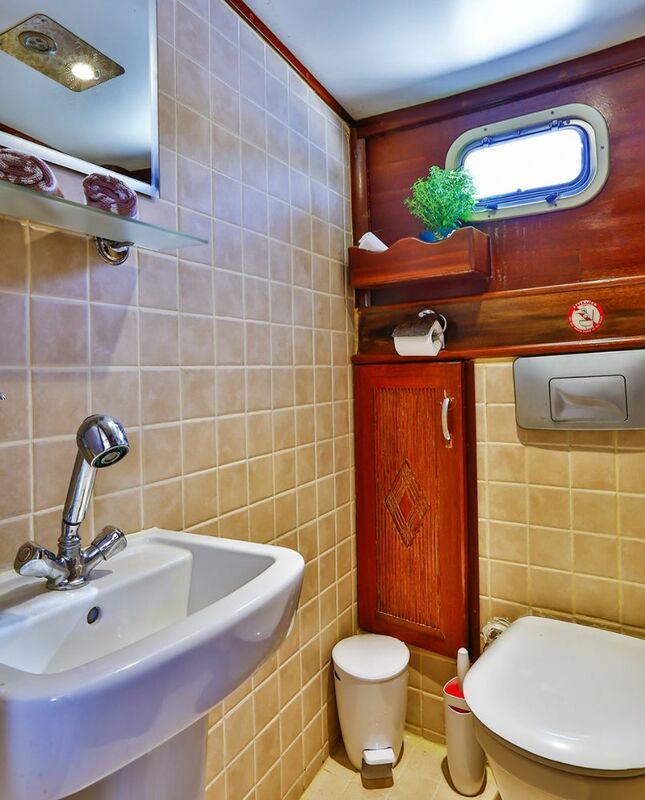 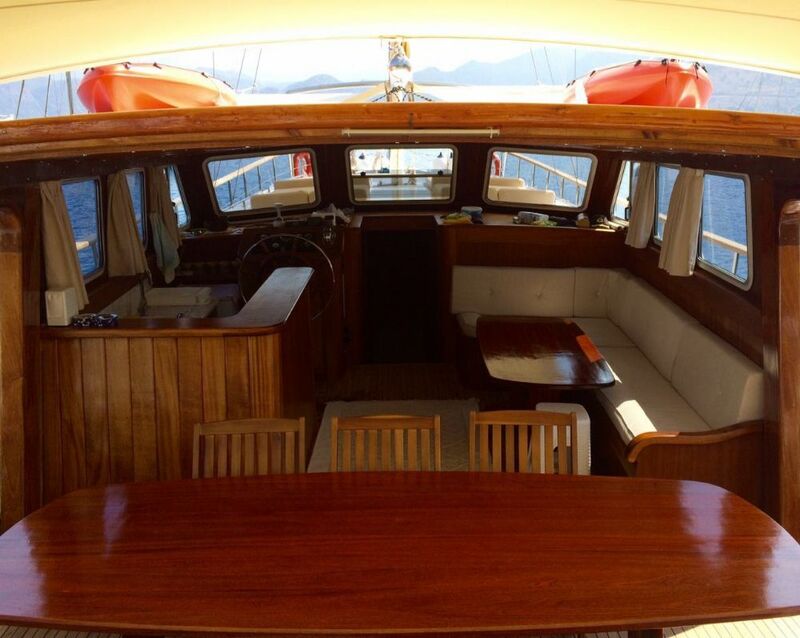 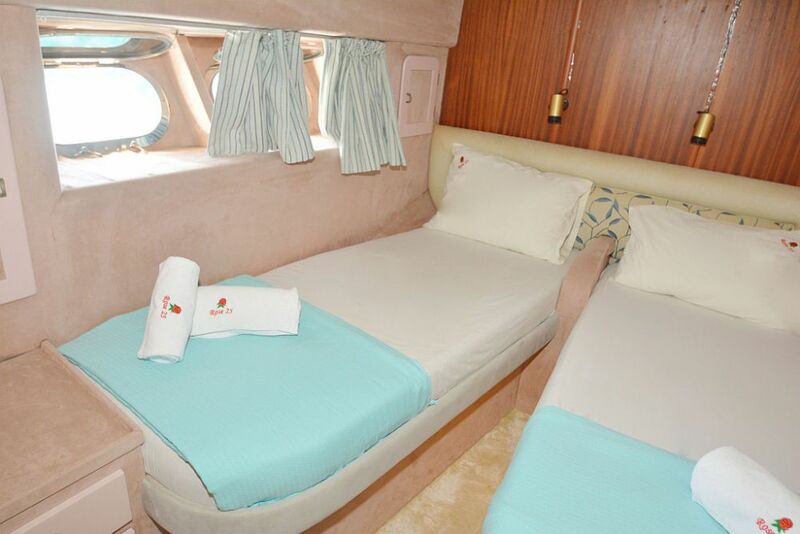 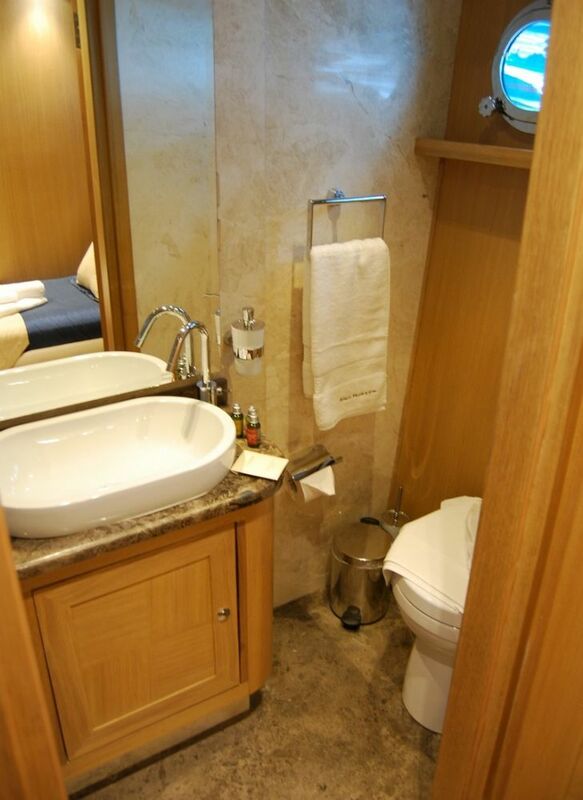 Sunbathing mattrasses, Outdoor dining table, Seating area in galley, Separate crew cabin, Crew area. 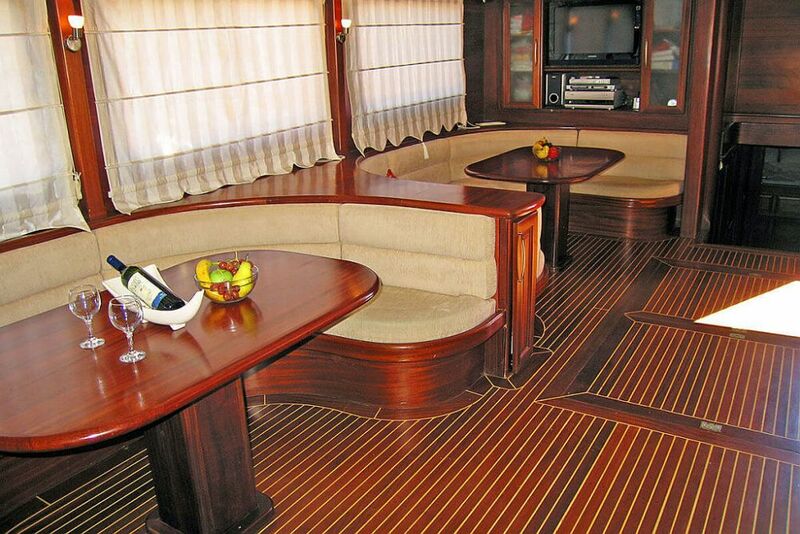 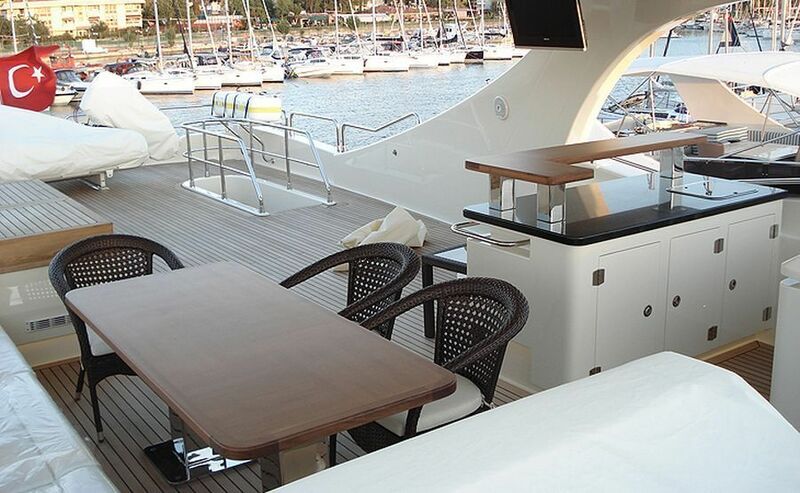 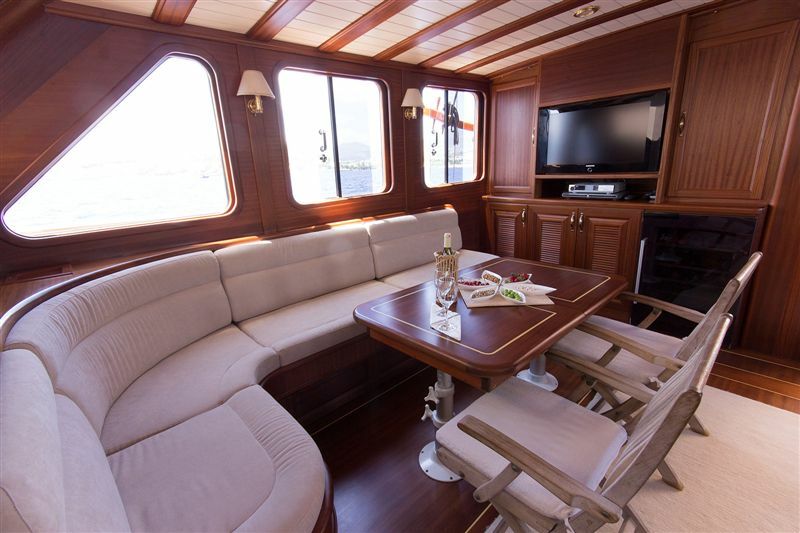 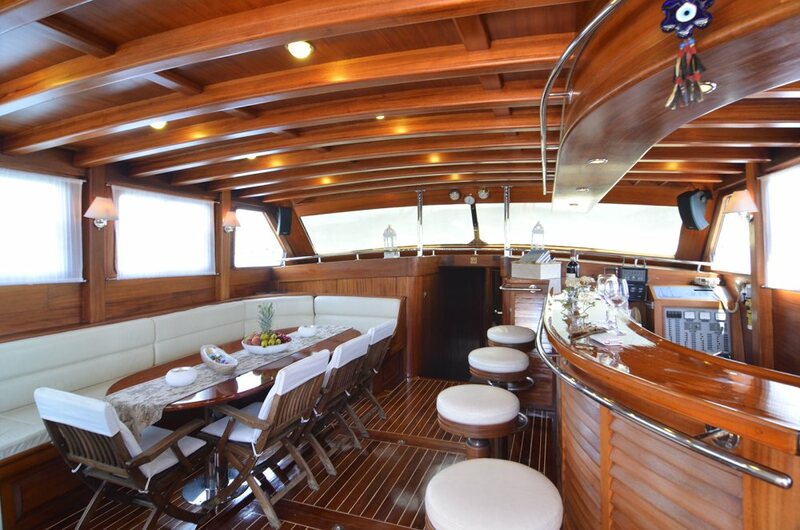 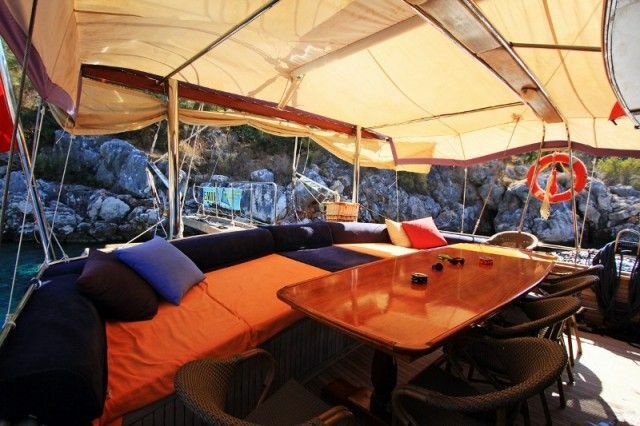 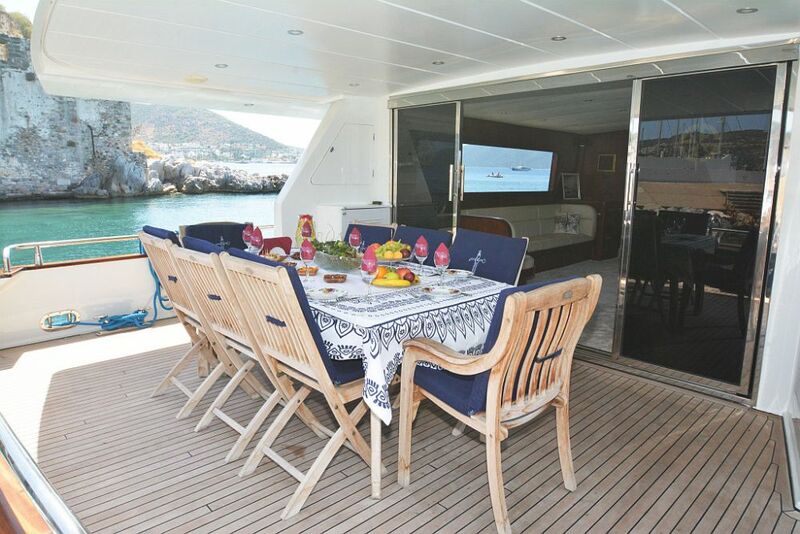 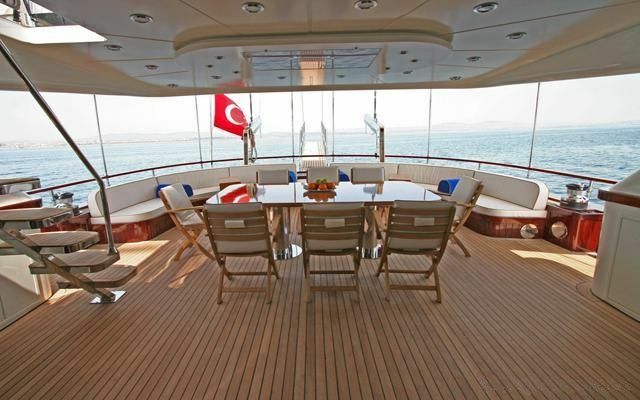 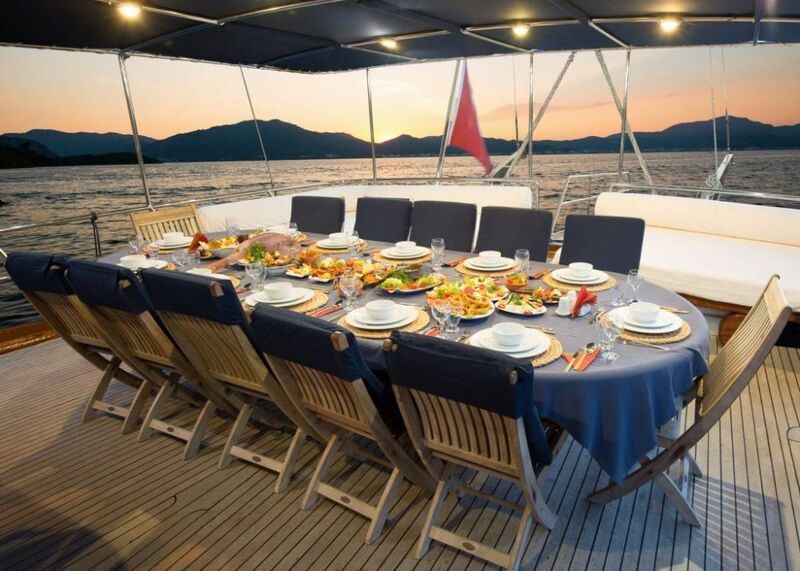 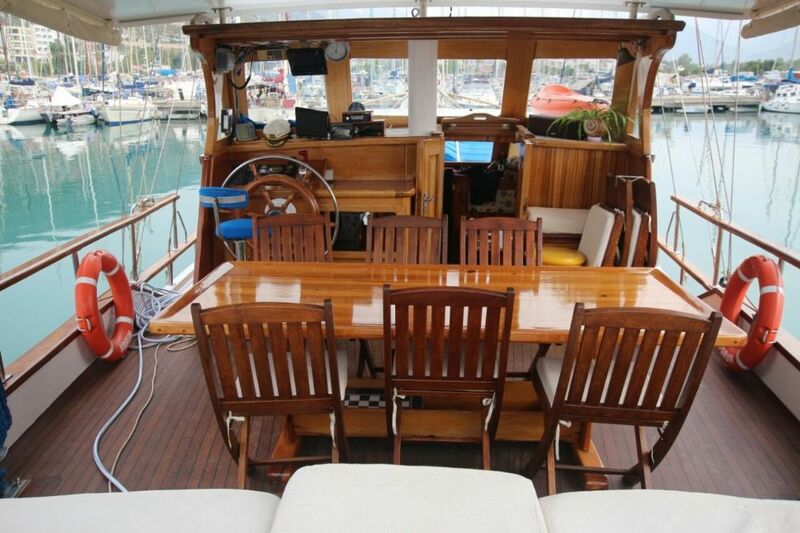 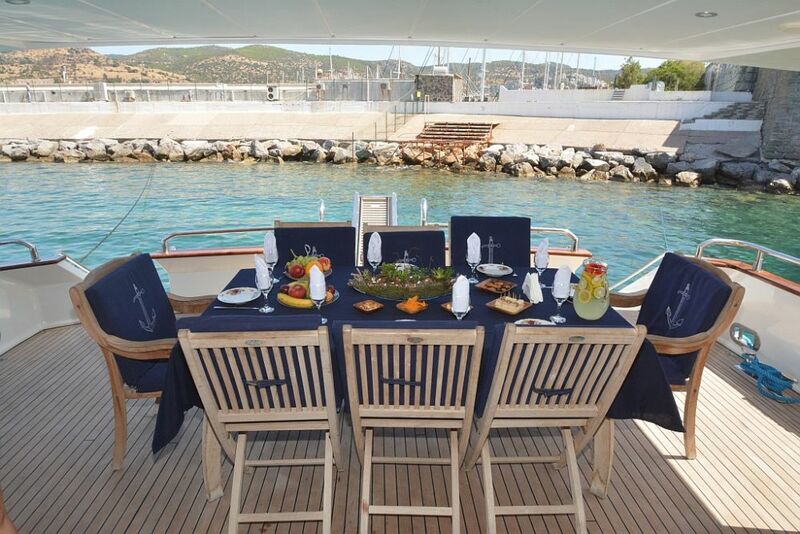 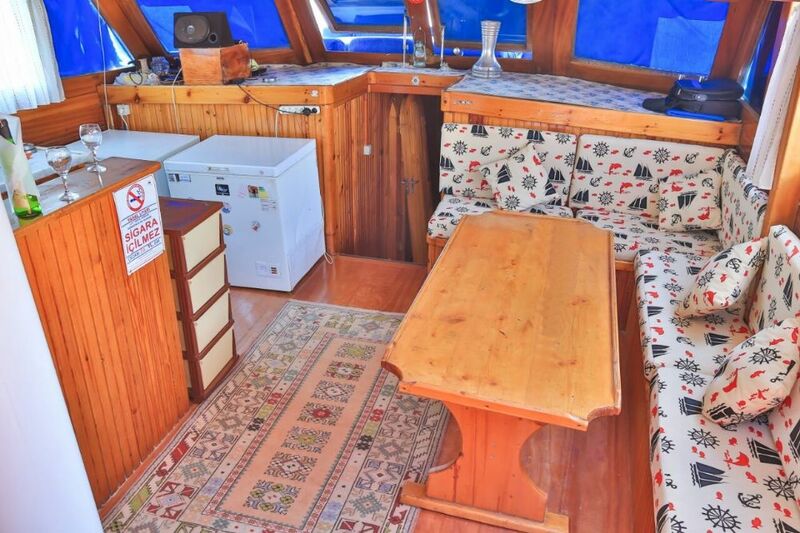 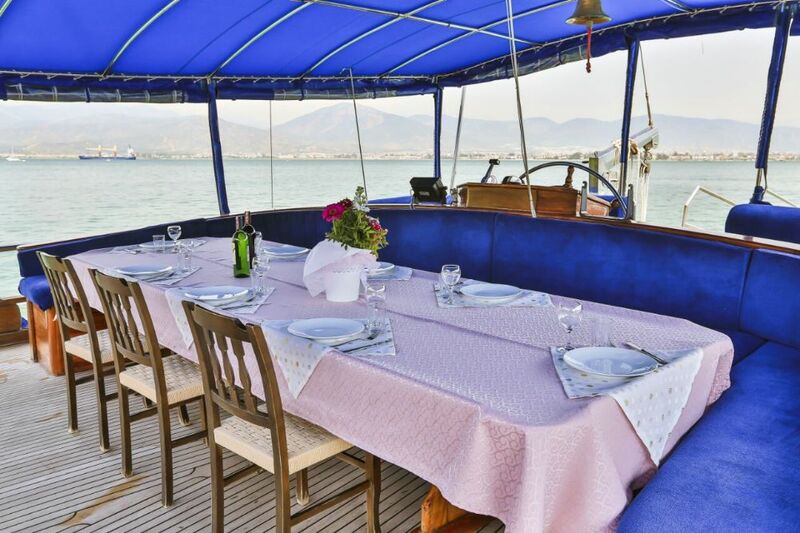 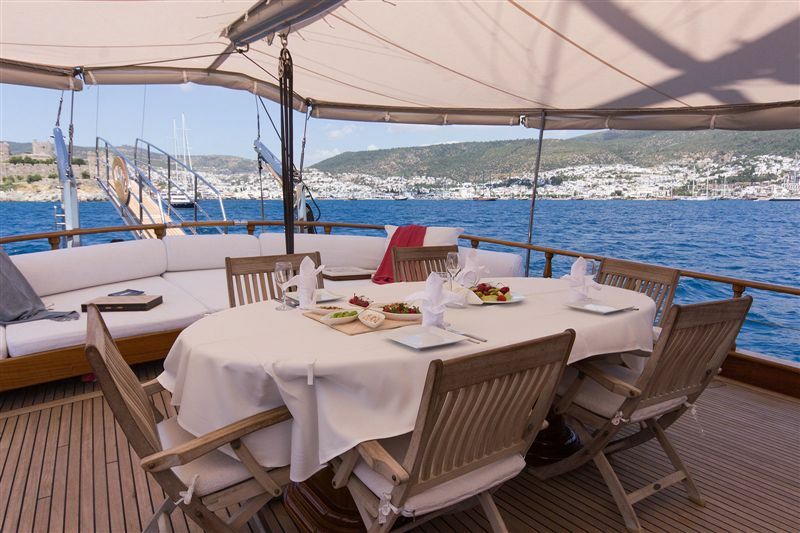 Sunbathing mattrasses, Outdoor dining table, Dining table in saloon, Separate crew cabin. 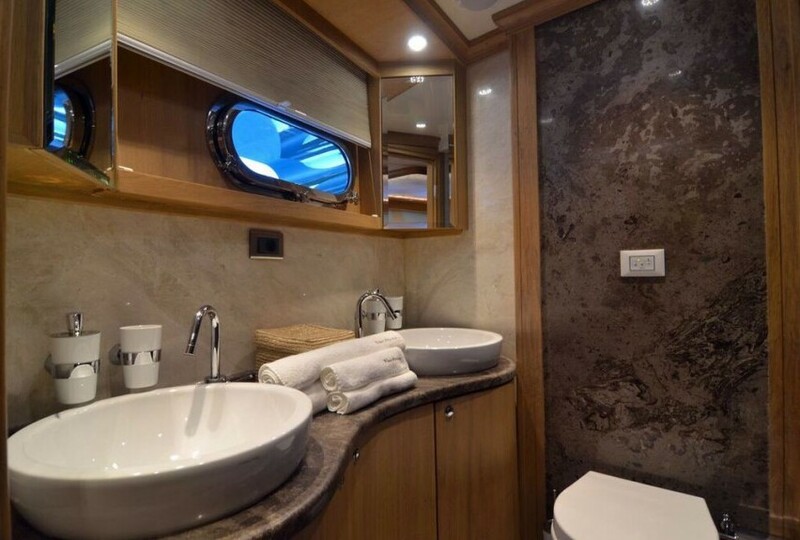 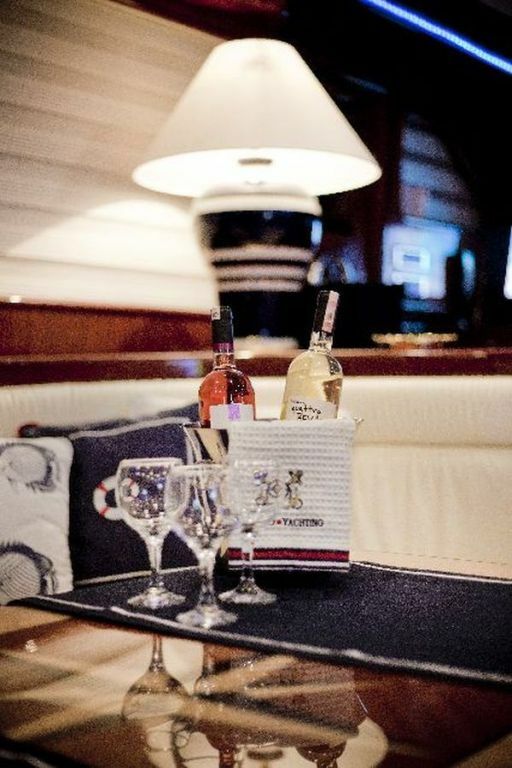 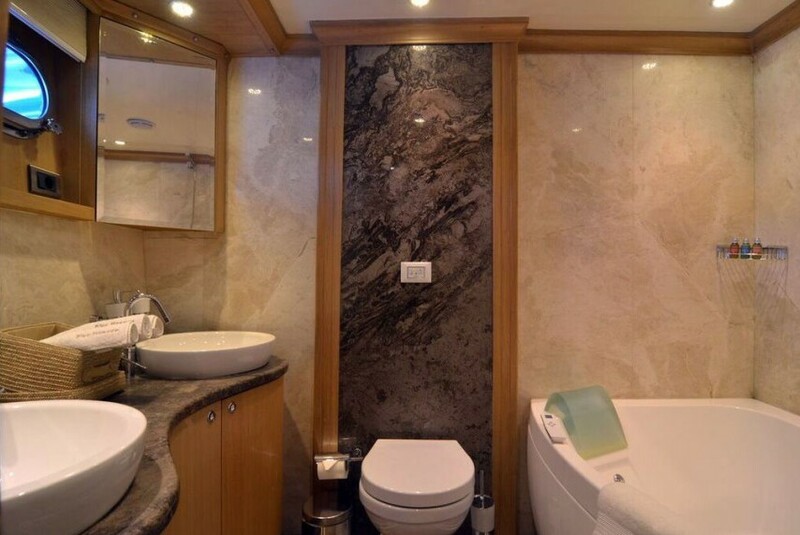 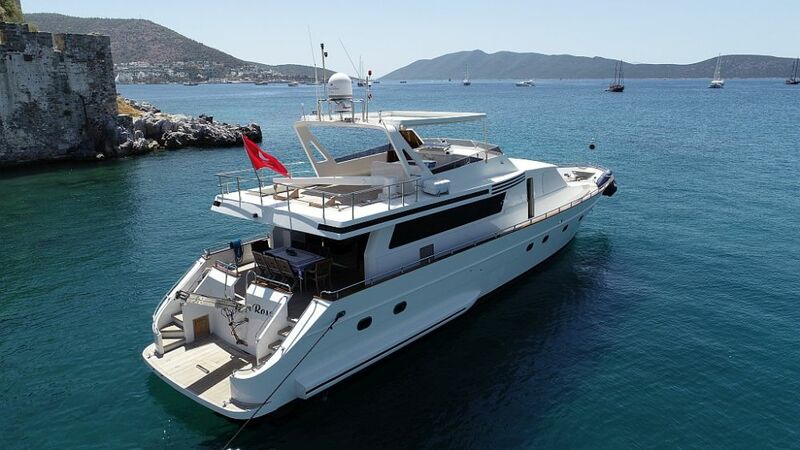 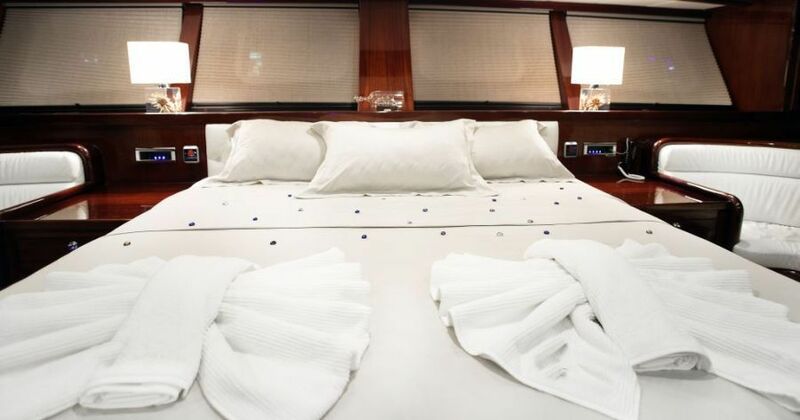 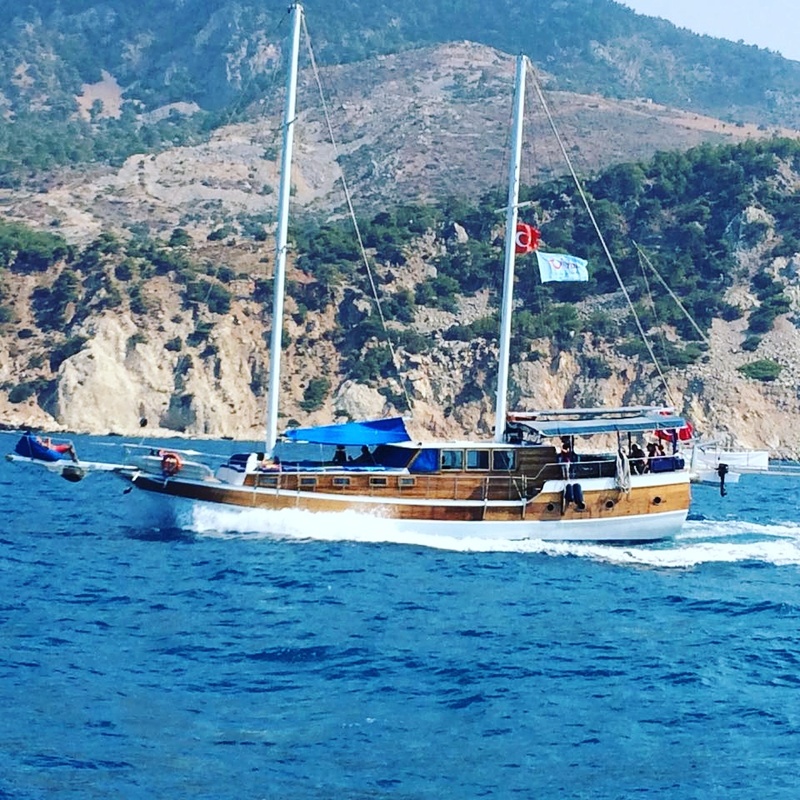 Flybridge, Jacuzzi on flybridge, Sunbathing mattrasses, Outdoor dining table, Dining table in saloon, Music system in saloon, Separate crew cabin, Crew area. 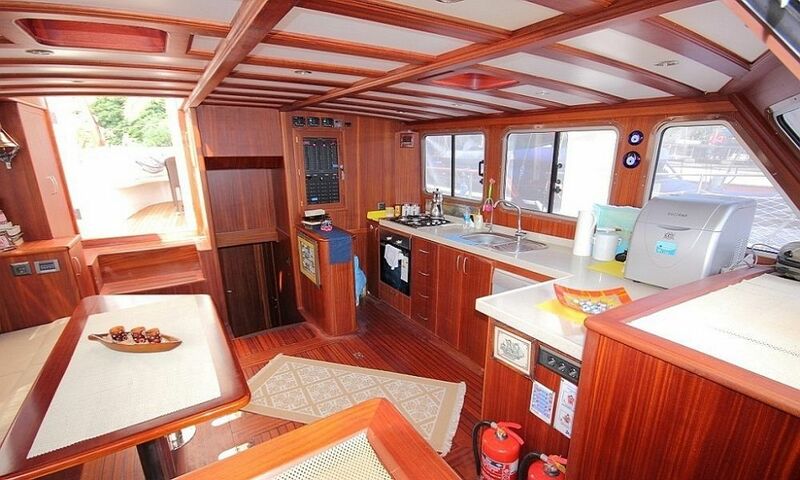 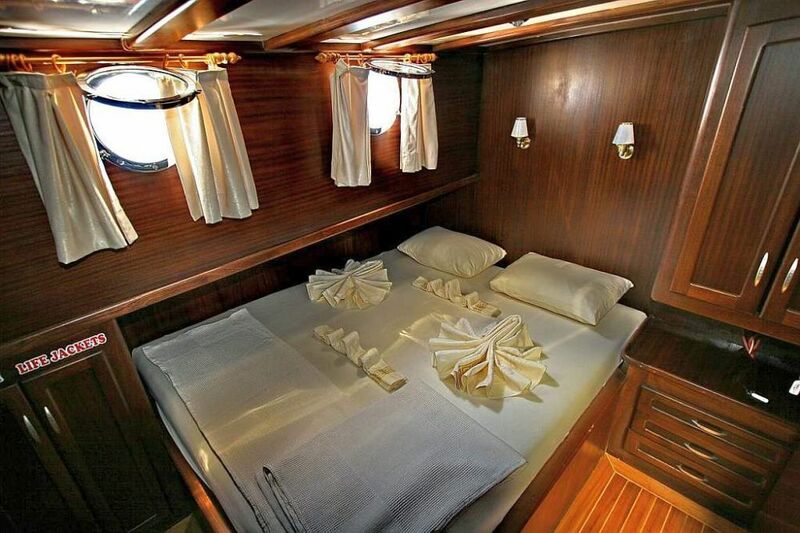 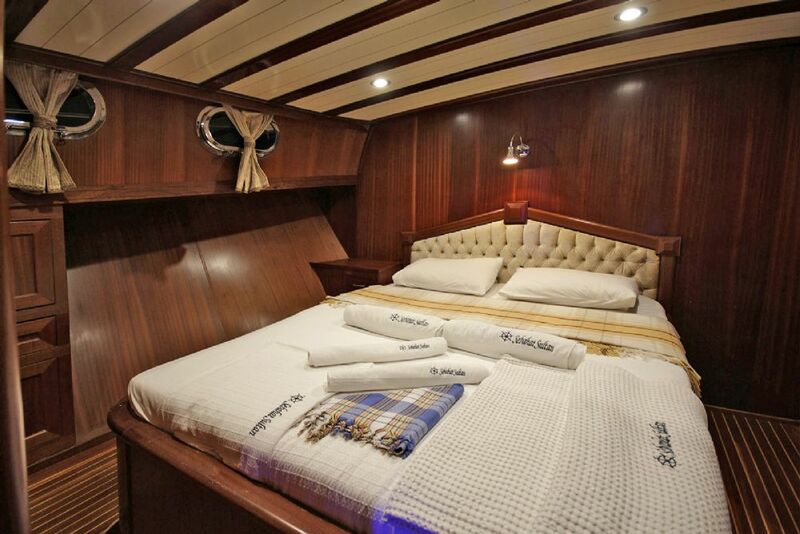 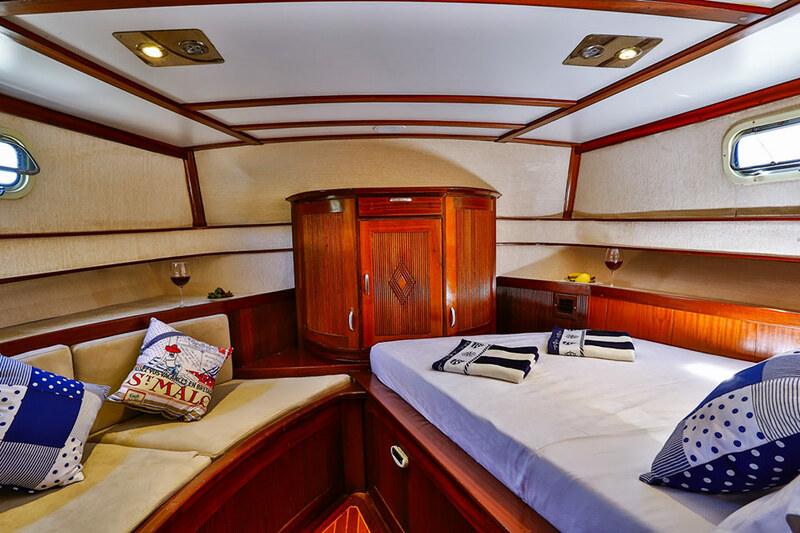 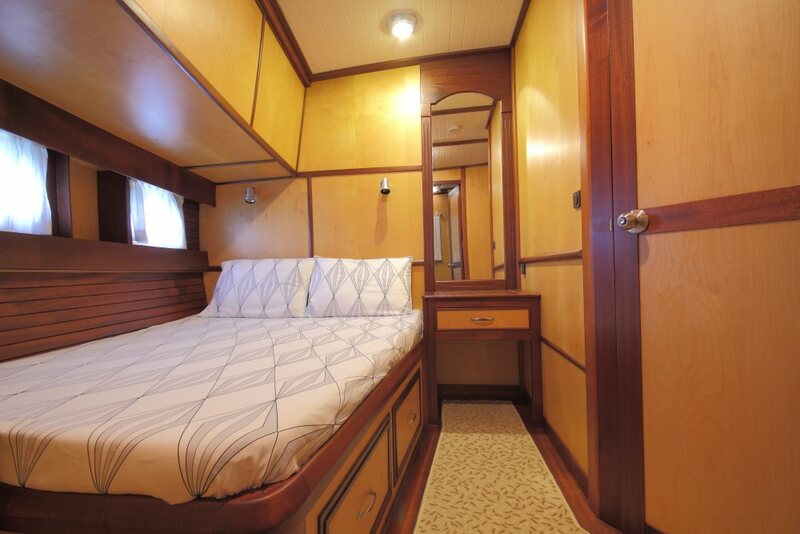 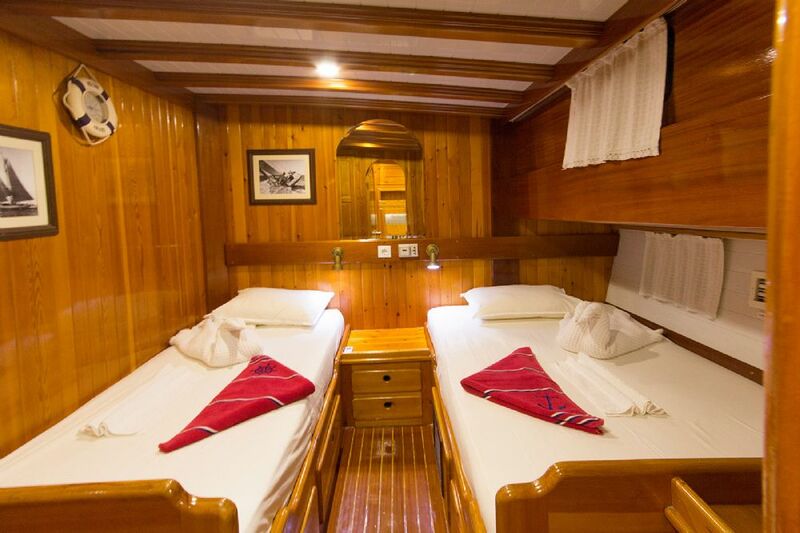 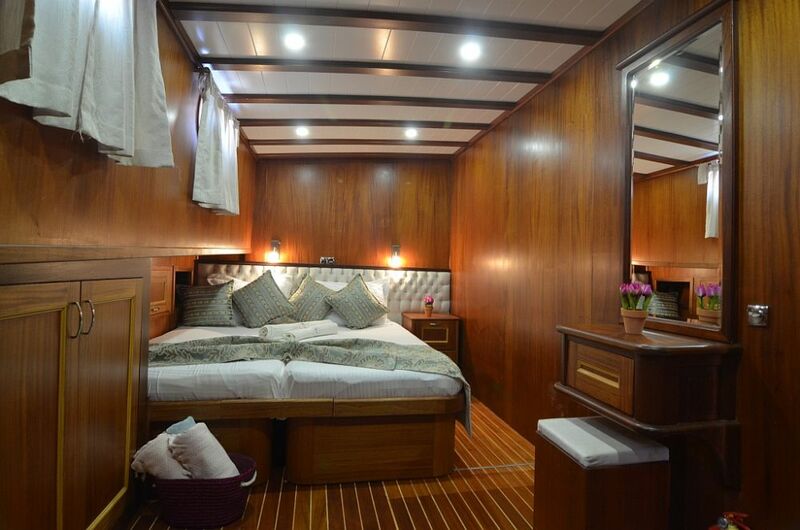 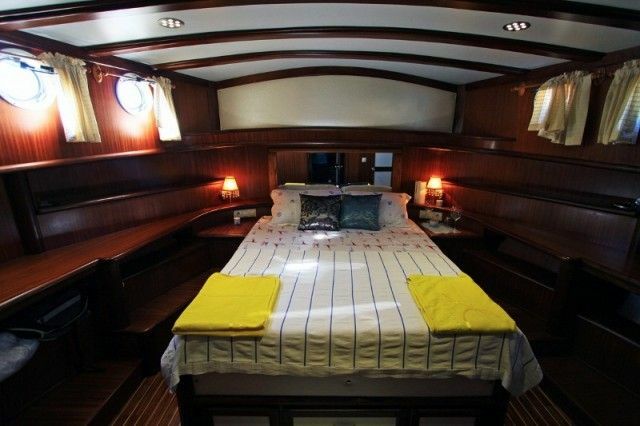 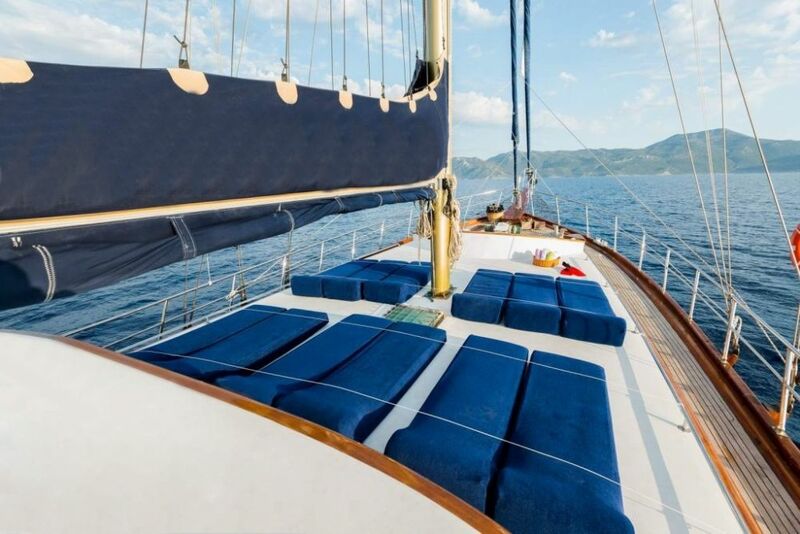 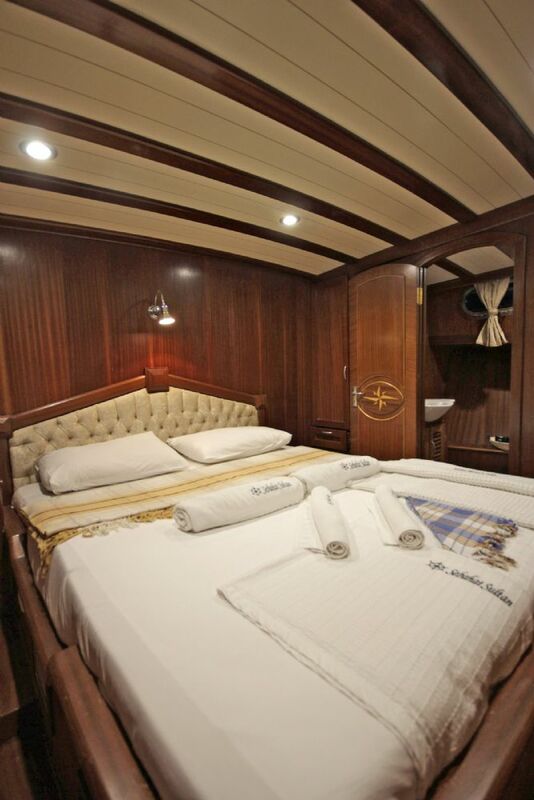 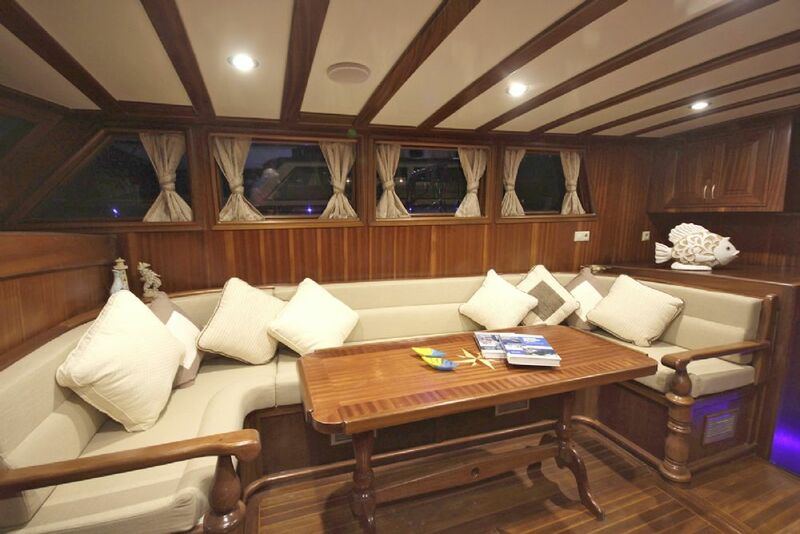 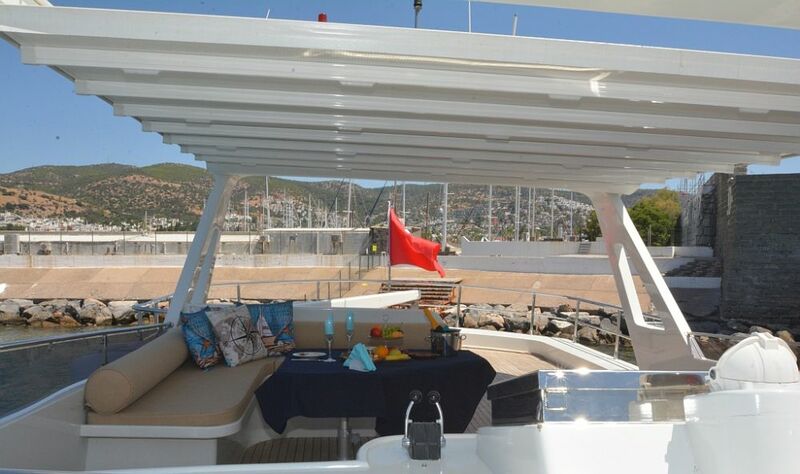 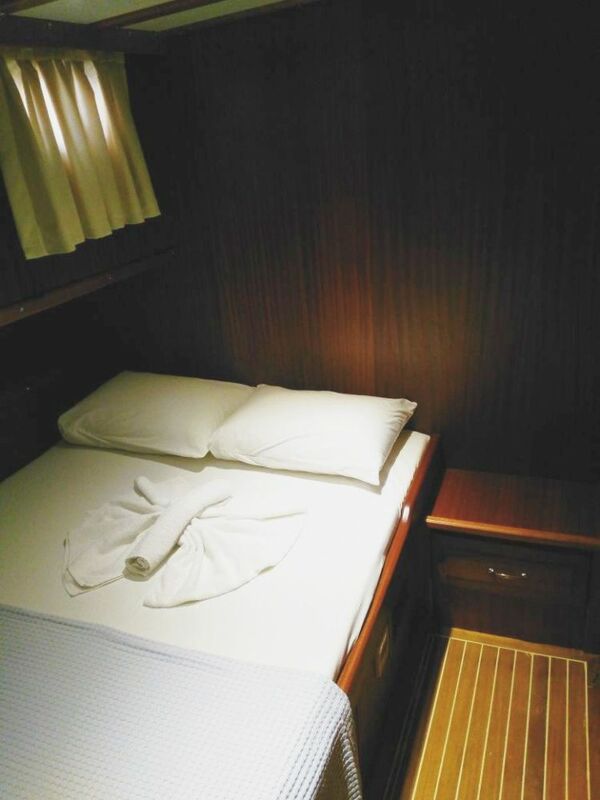 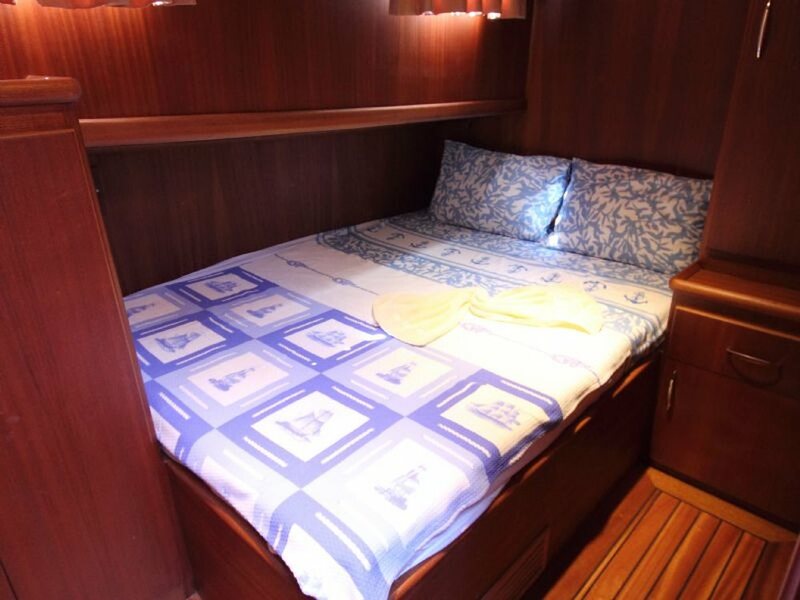 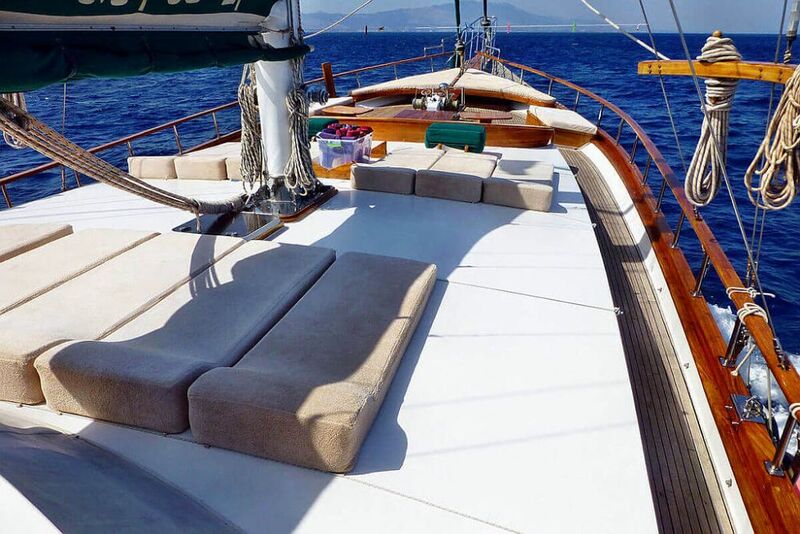 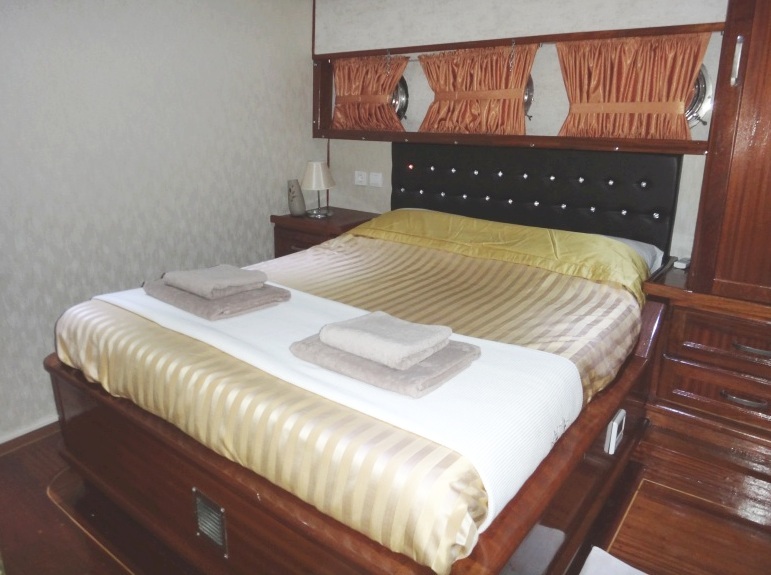 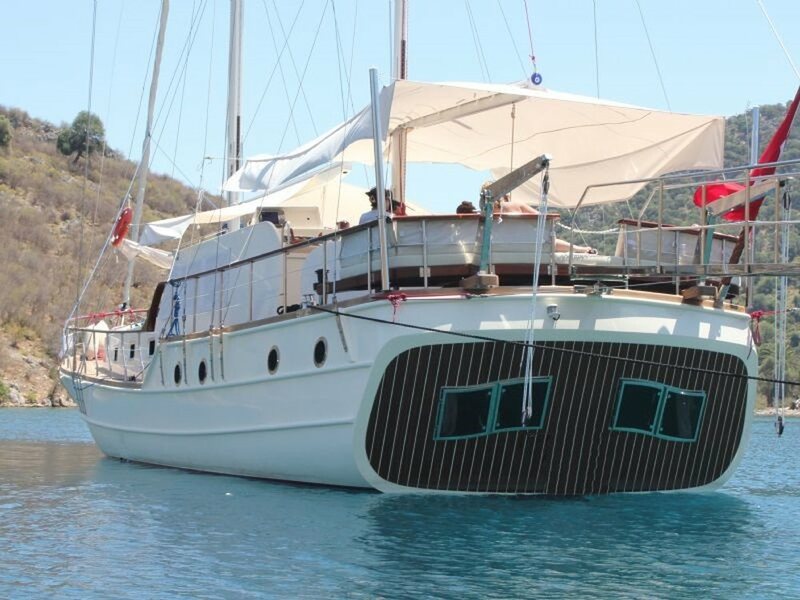 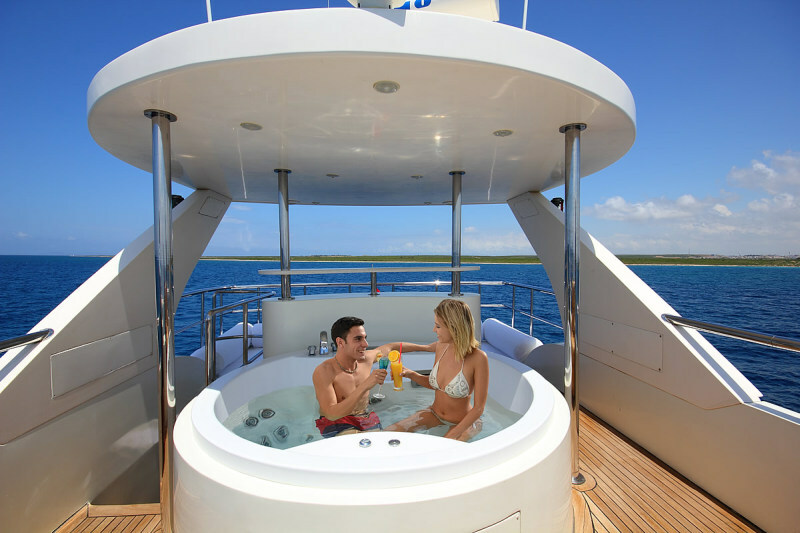 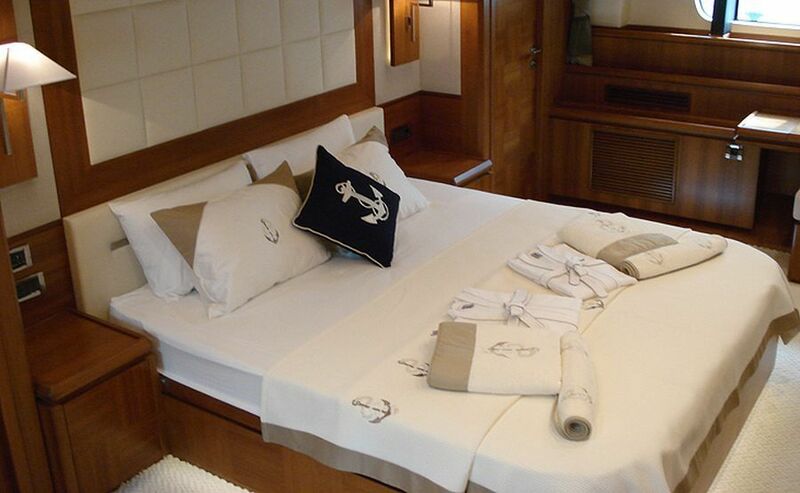 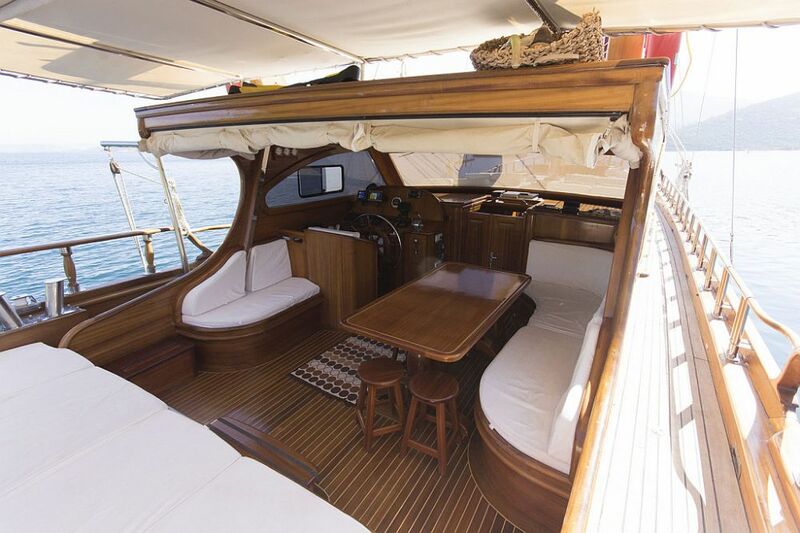 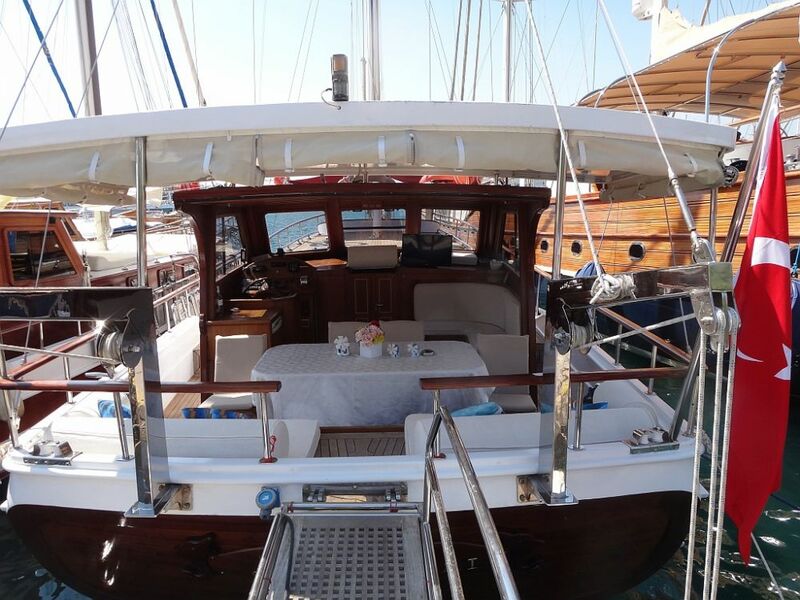 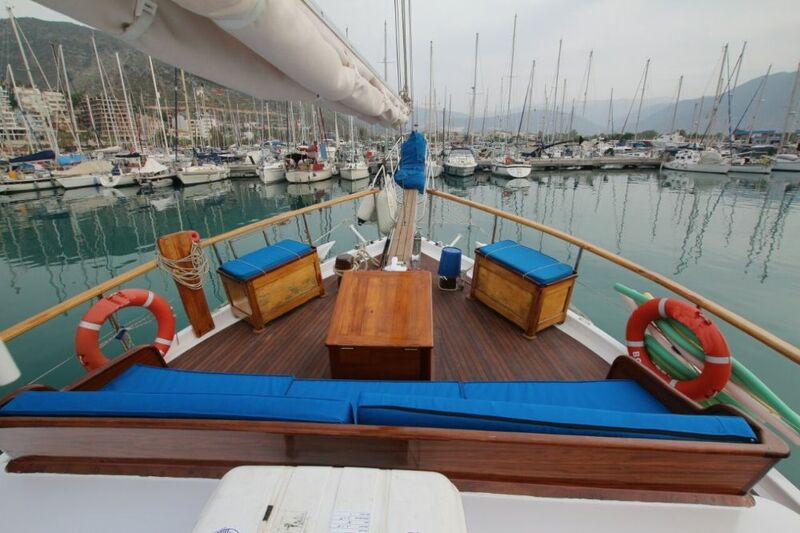 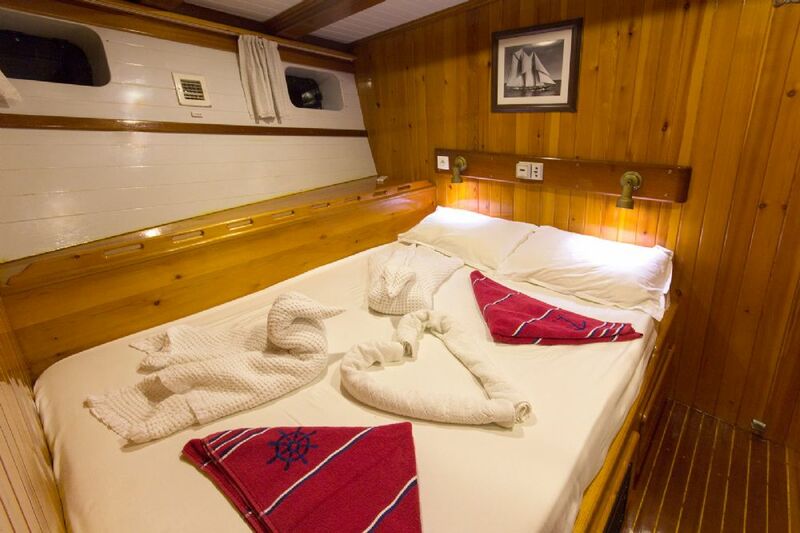 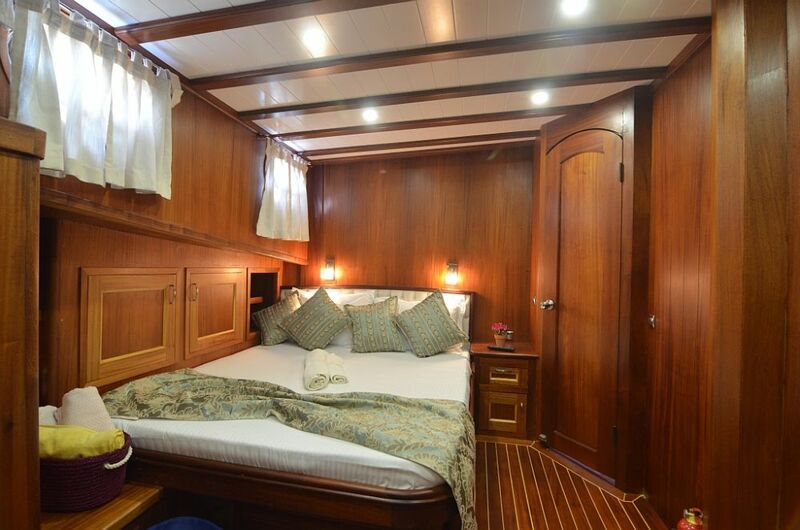 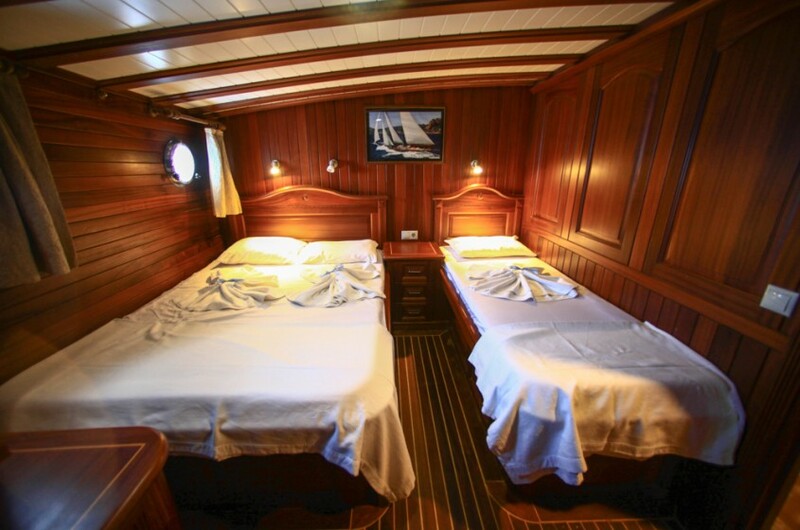 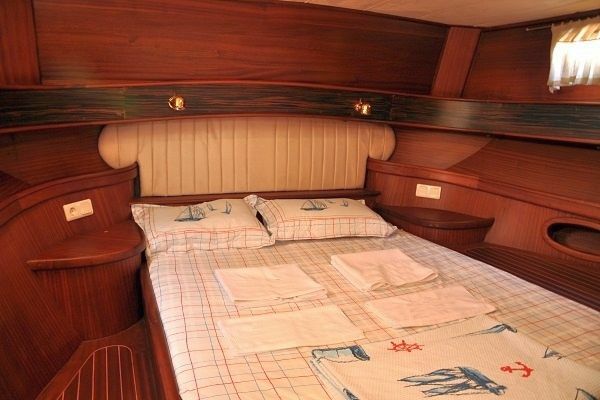 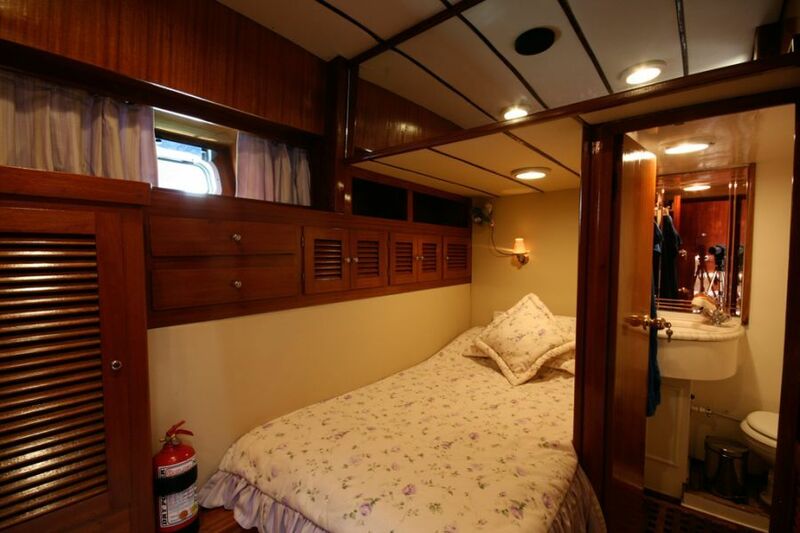 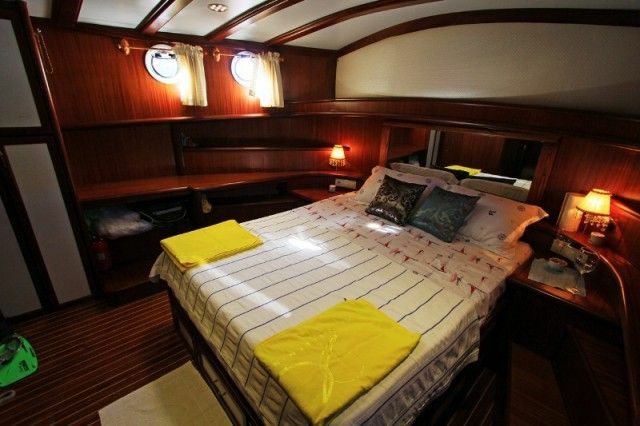 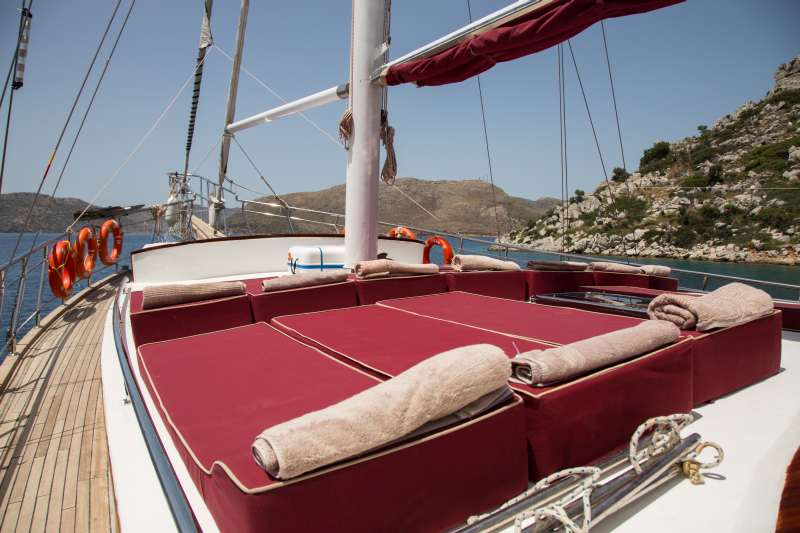 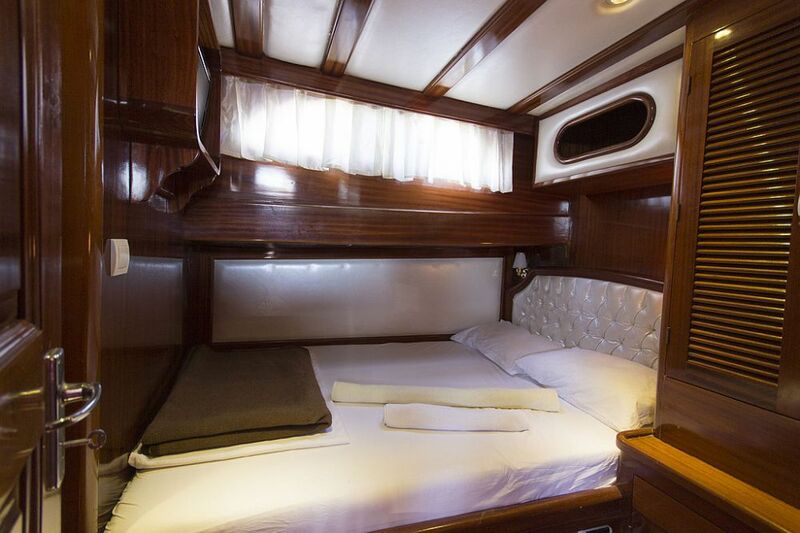 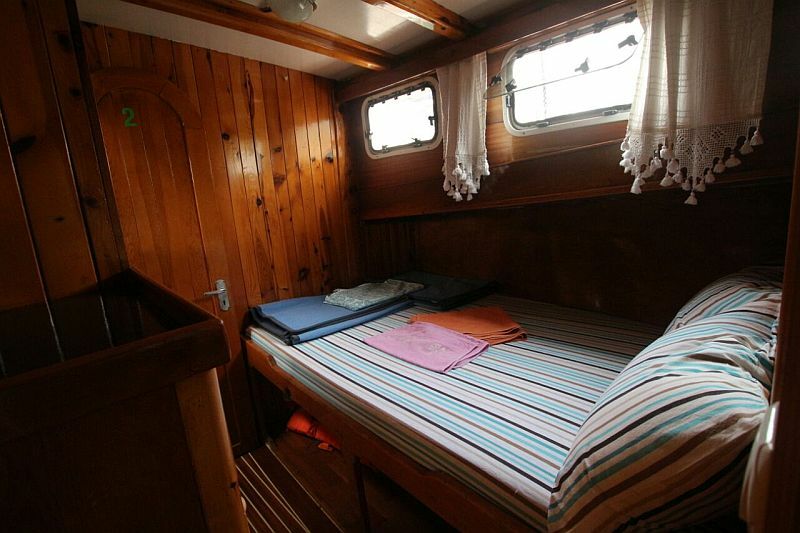 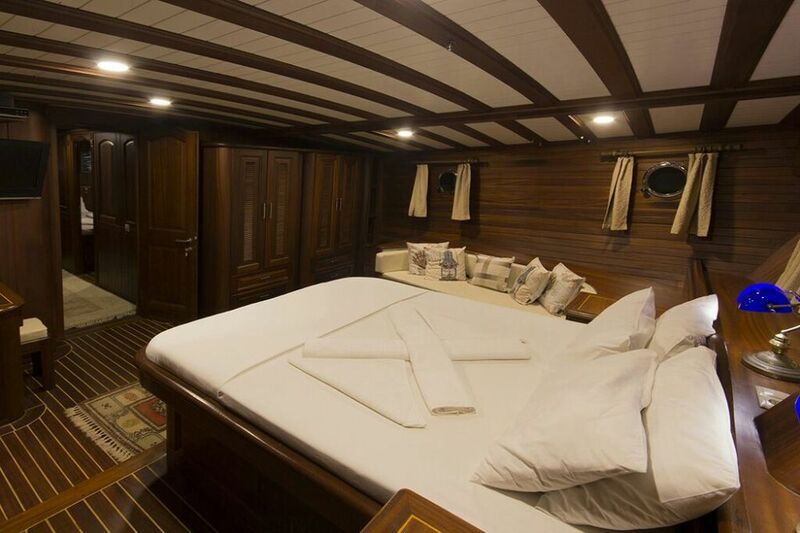 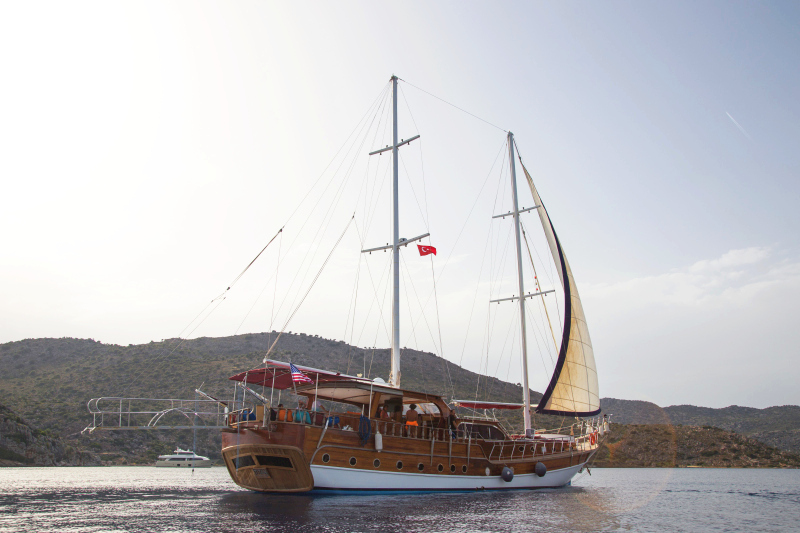 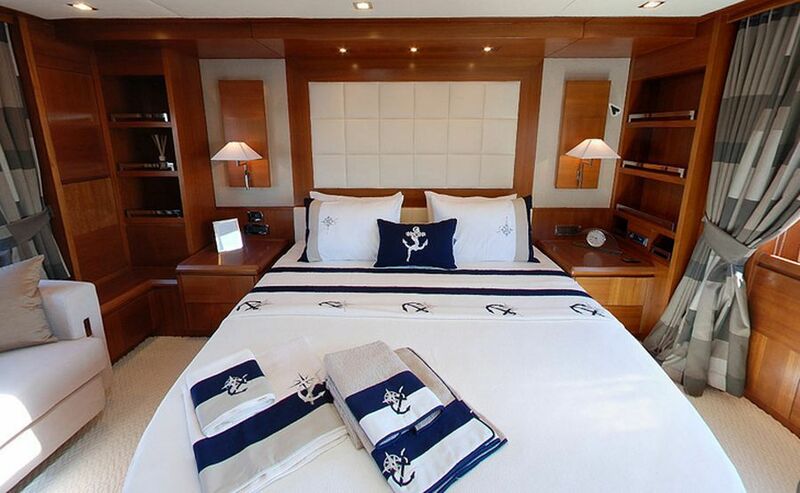 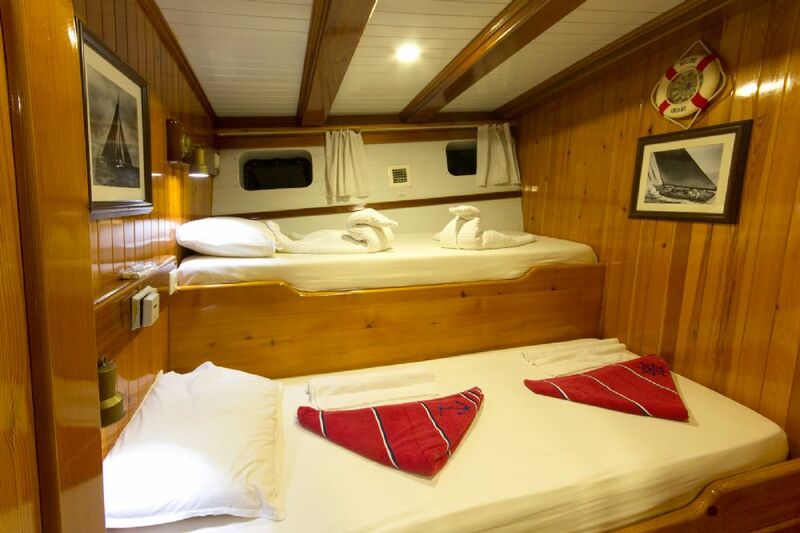 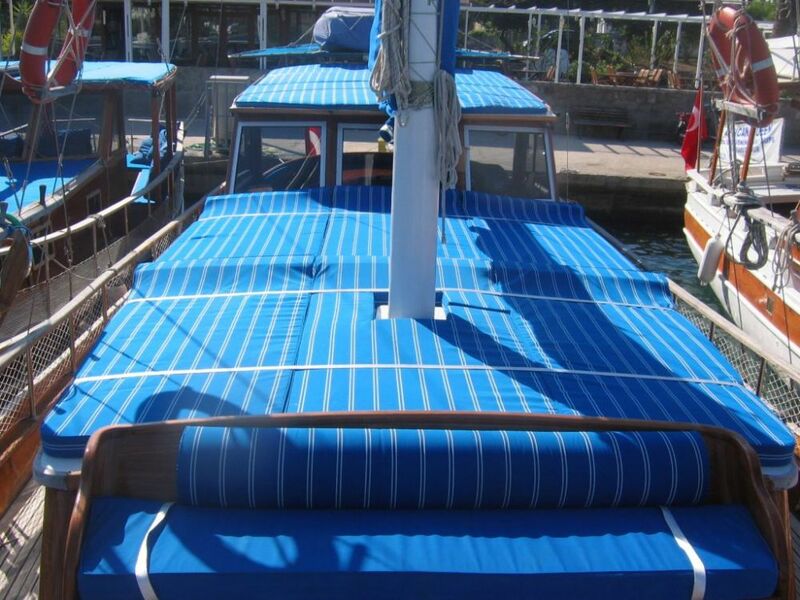 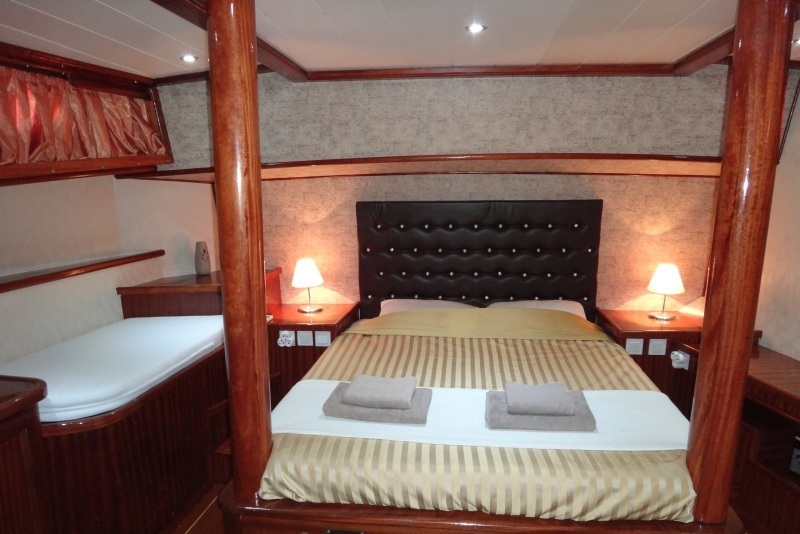 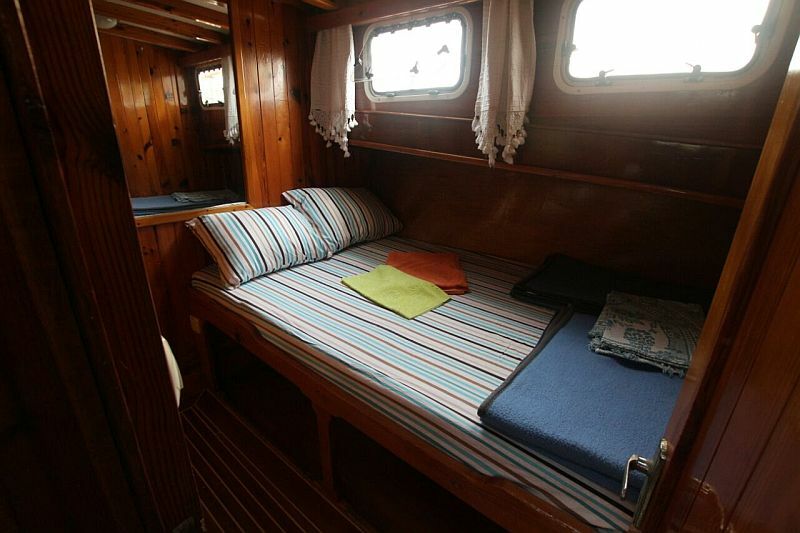 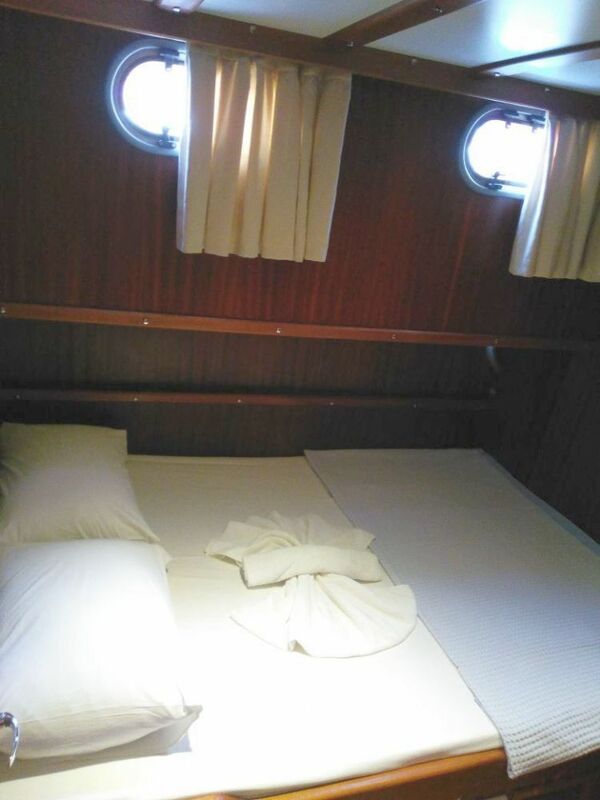 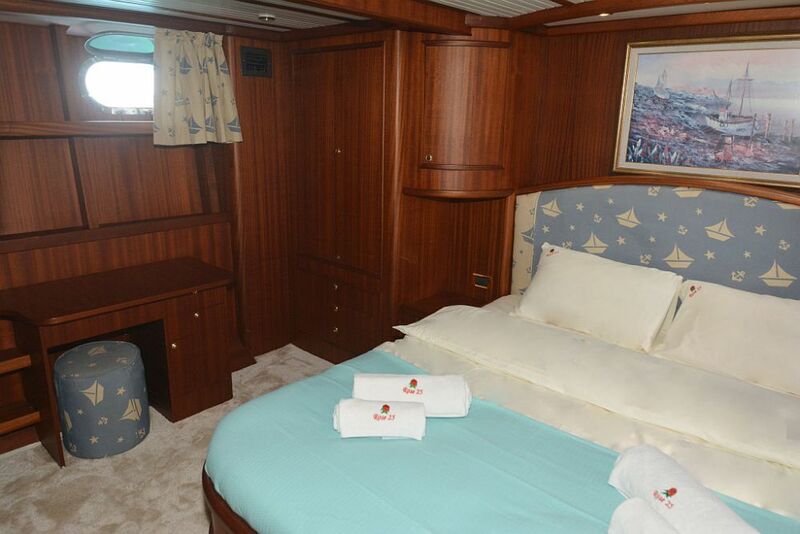 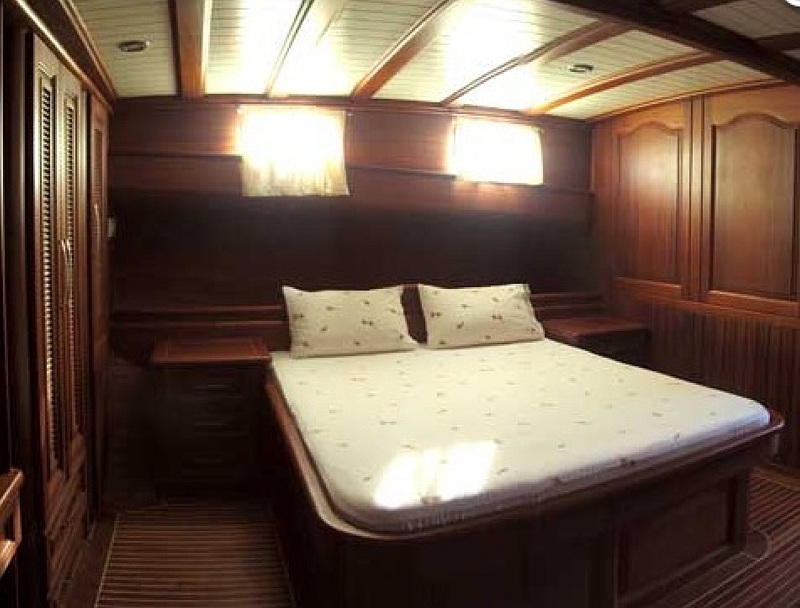 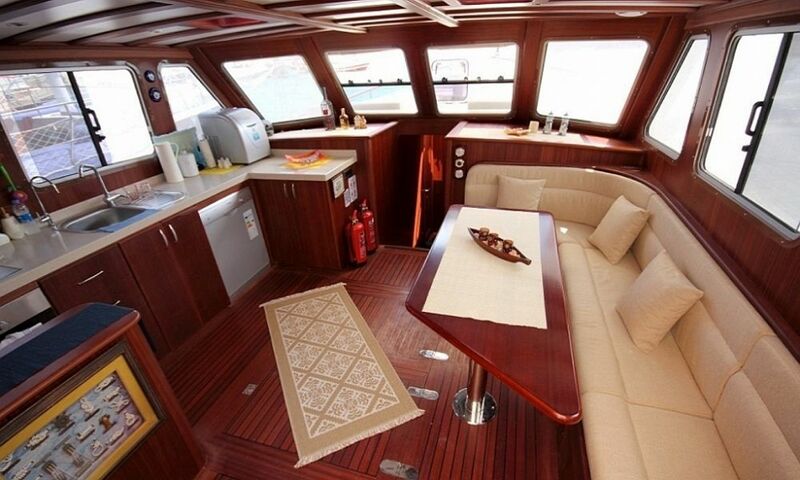 Sunbathing mattrasses, Front deck seating area, Outdoor dining table, Dining table in saloon, Separate crew cabin. 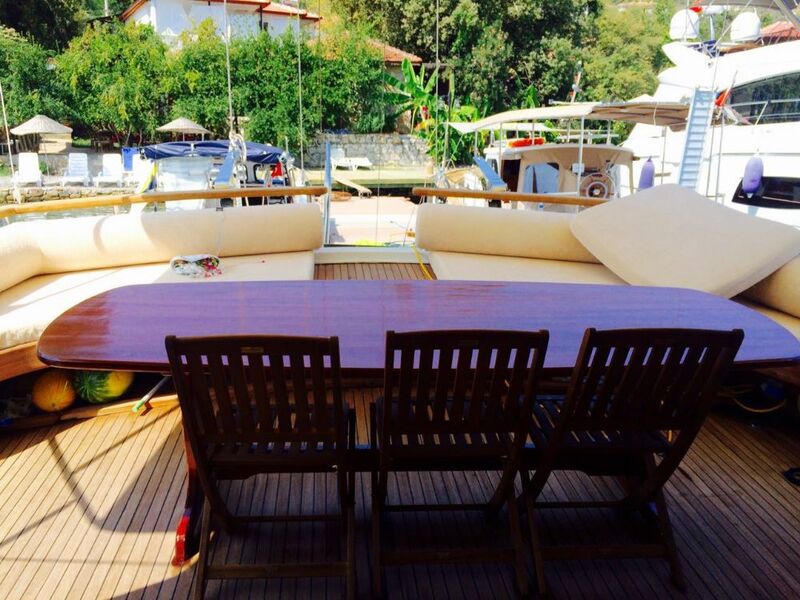 Sunbathing mattrasses, Outdoor dining table, Dining table in saloon. 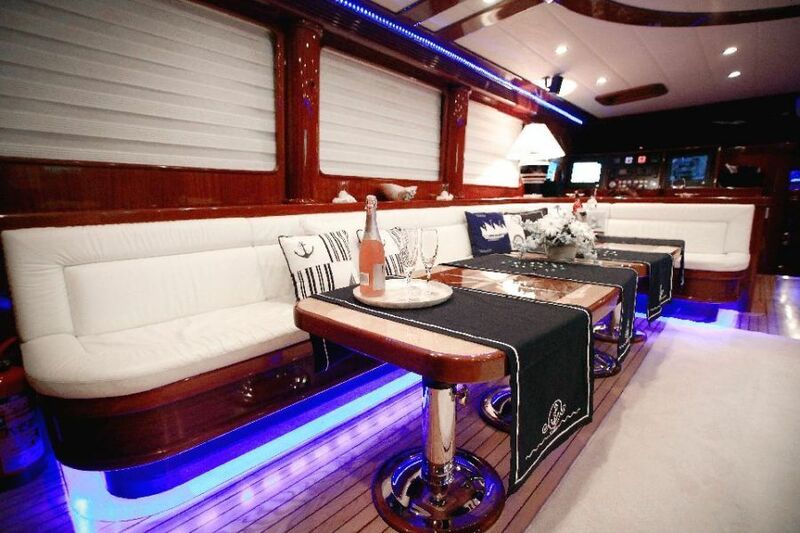 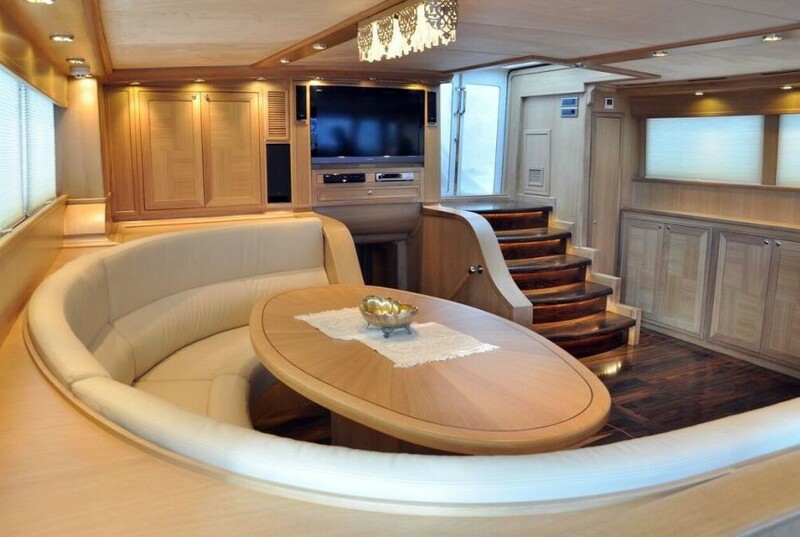 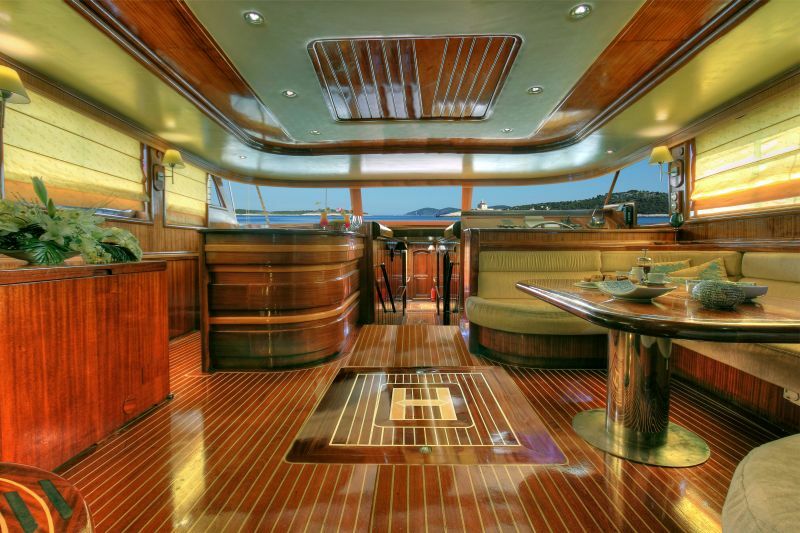 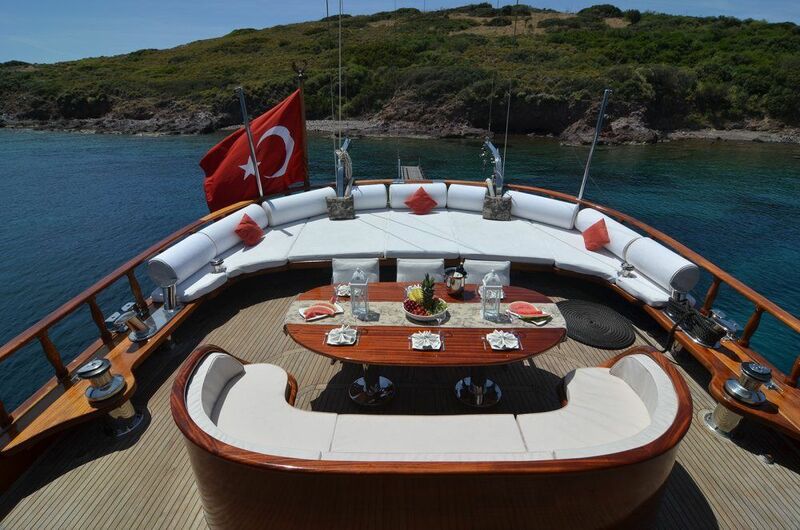 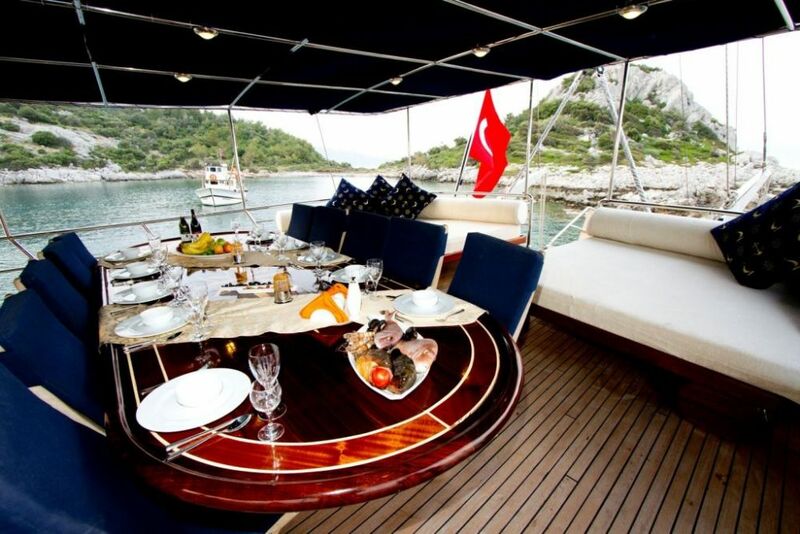 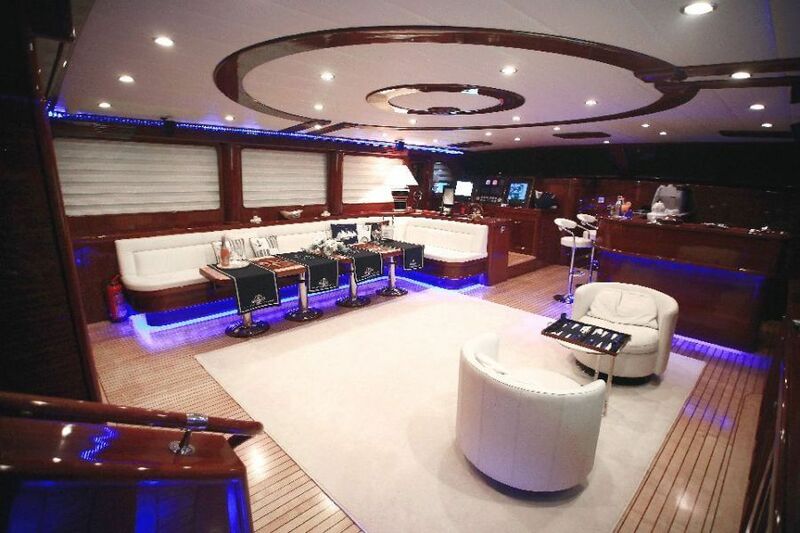 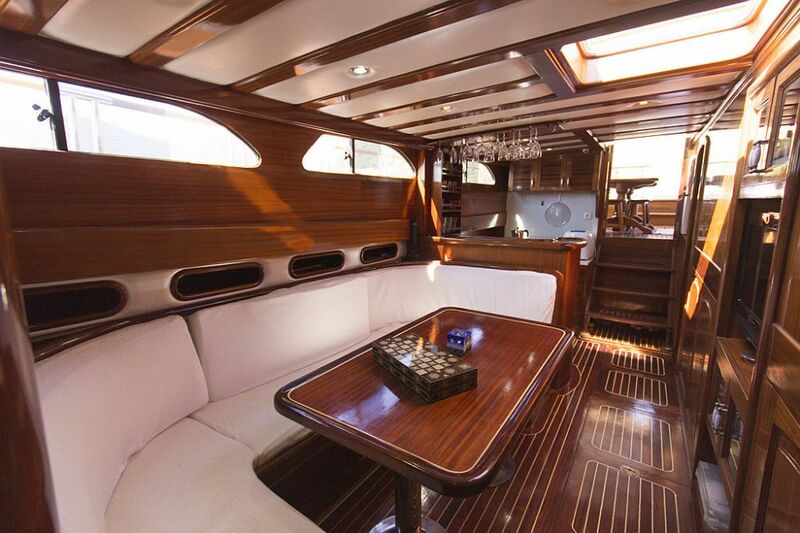 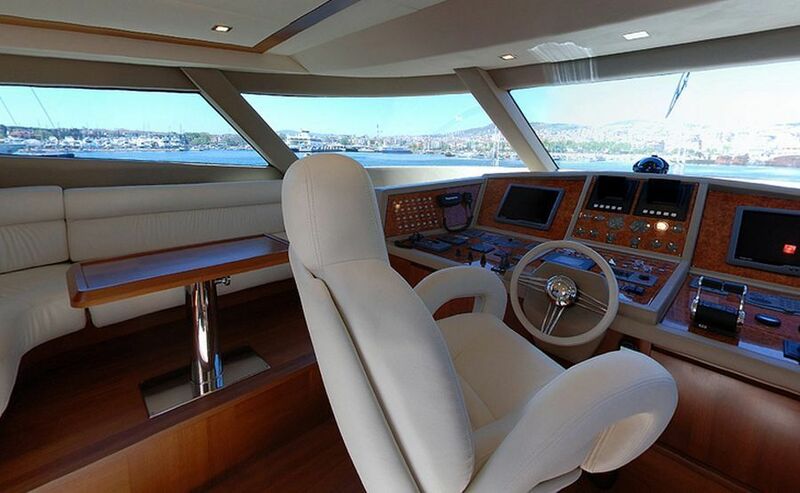 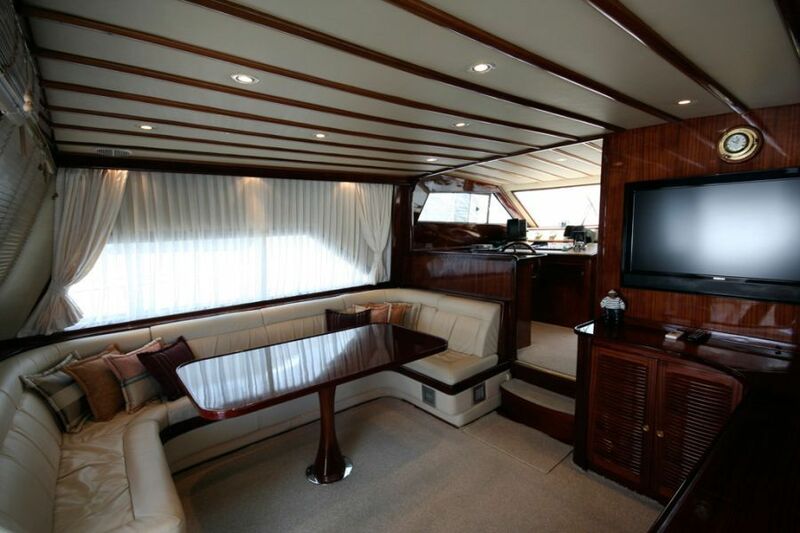 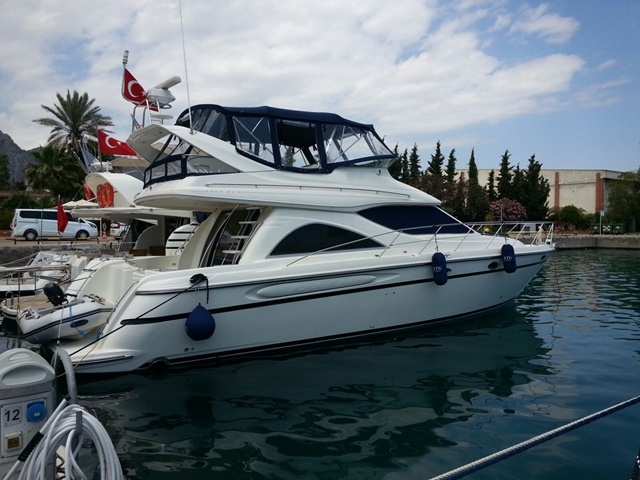 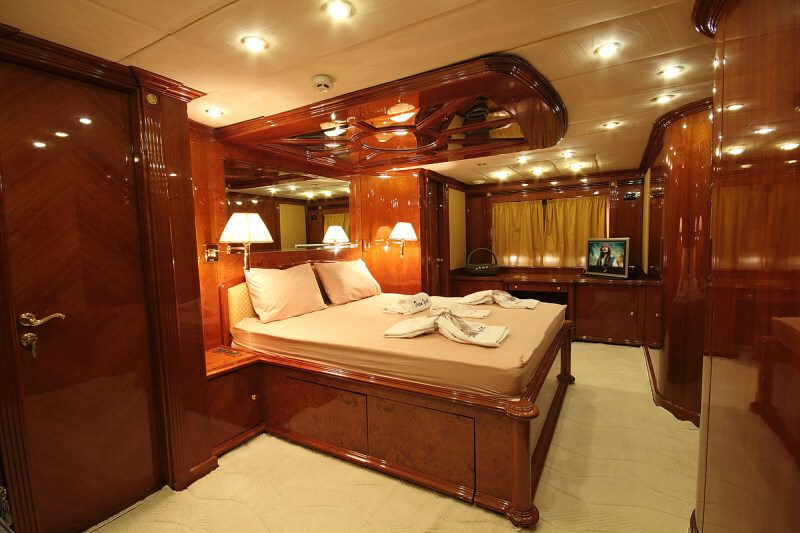 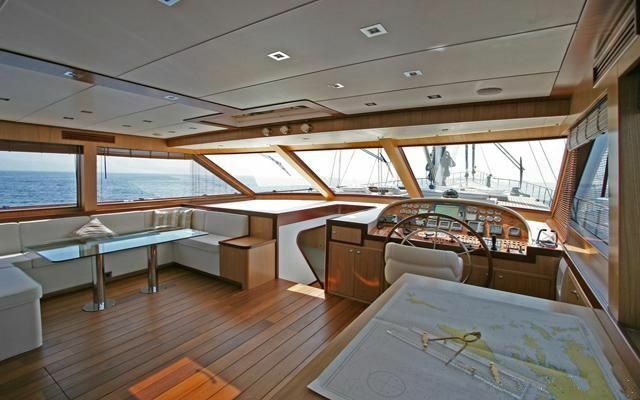 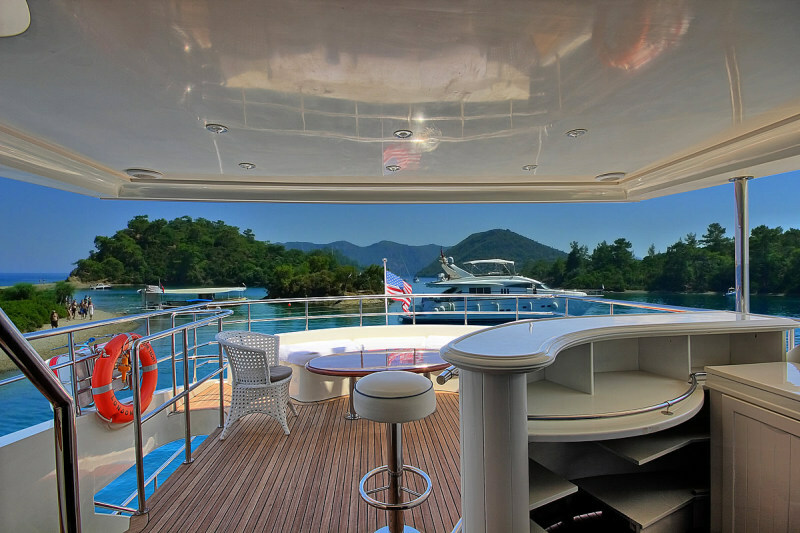 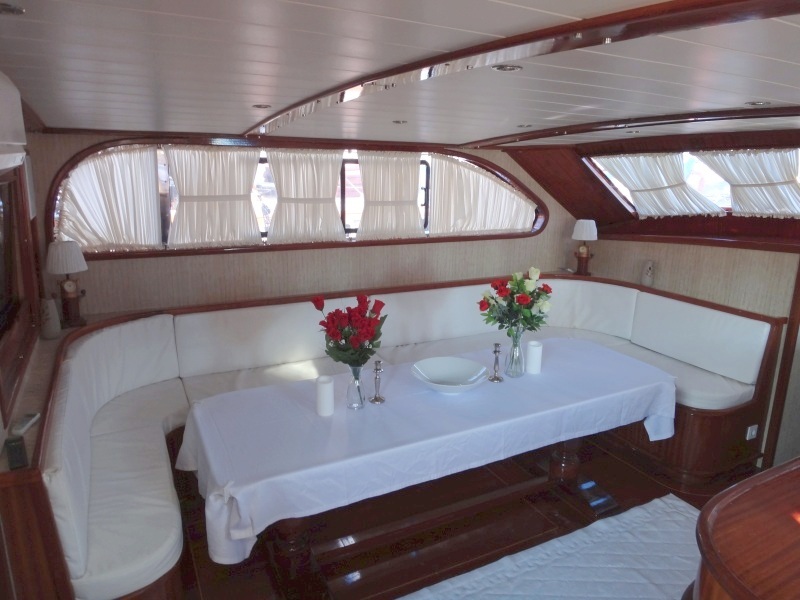 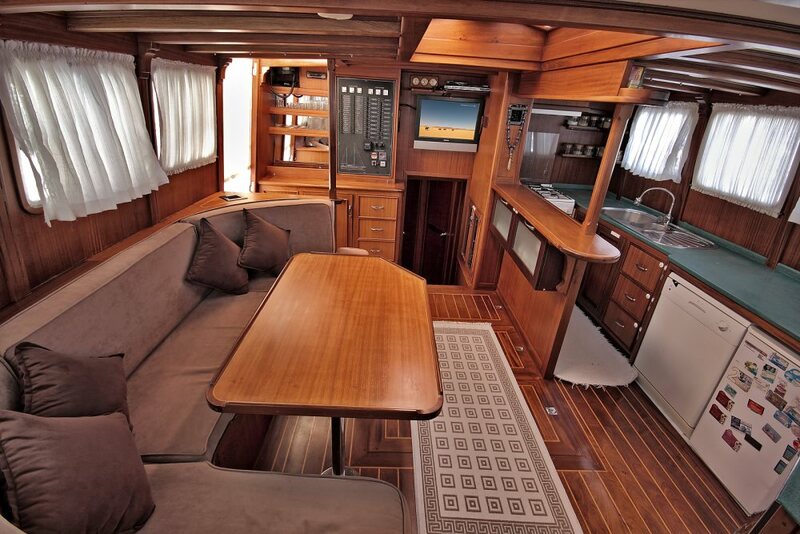 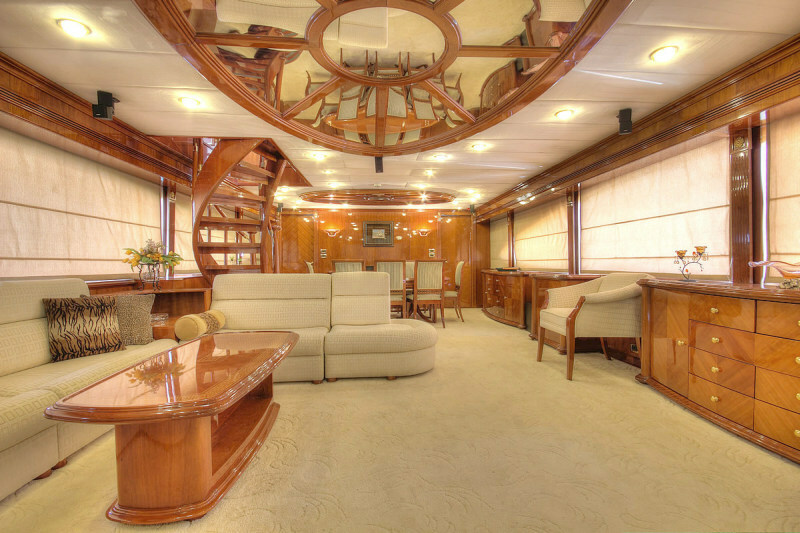 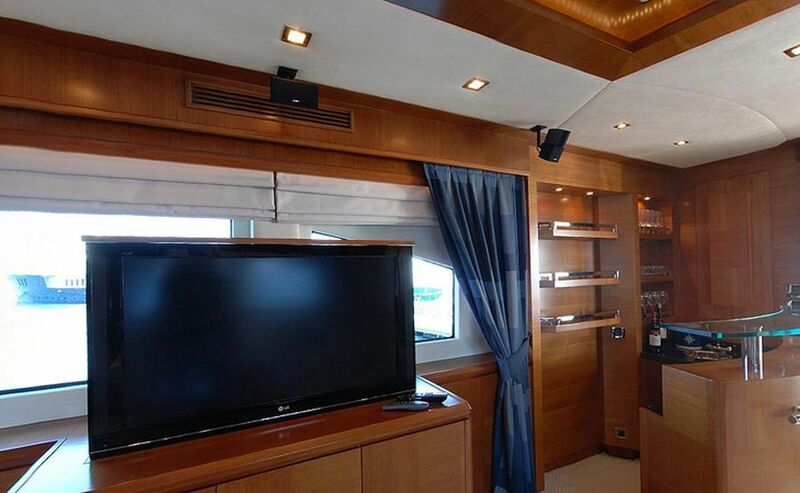 Sunbathing mattrasses, Dining table on Flybridge, Dining table in saloon, Music system in saloon. 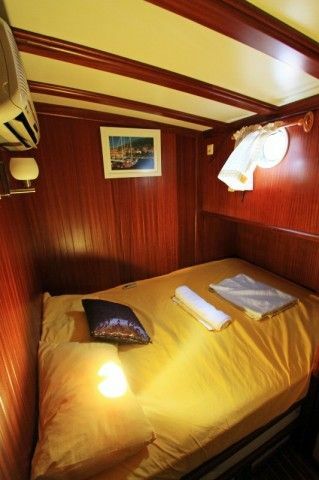 Sunbathing mattrasses, Front deck seating area, Outdoor dining table, Dining table in saloon, Music system in saloon, Separate crew cabin. 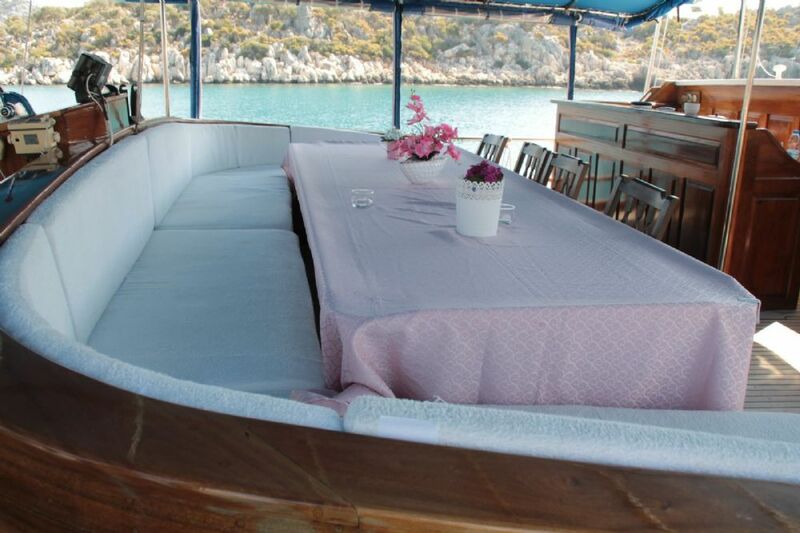 Sunbathing mattrasses, Outdoor dining table, Separate crew cabin. 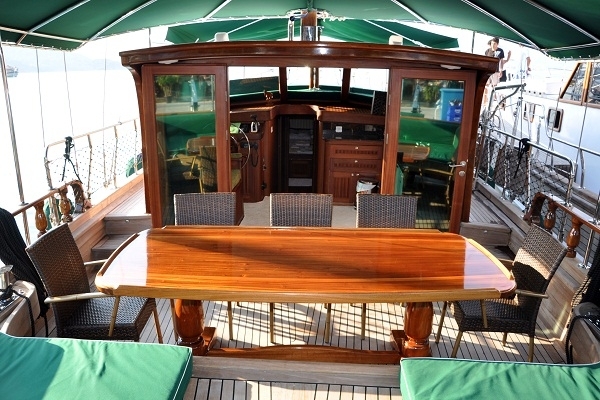 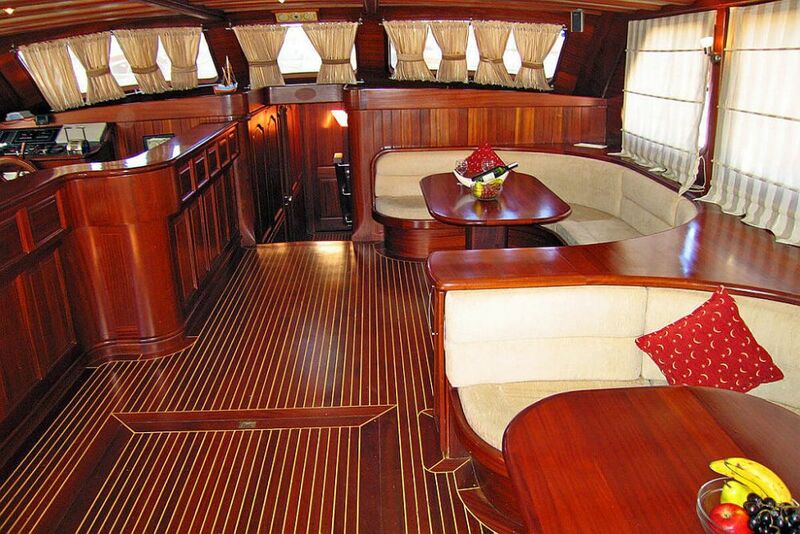 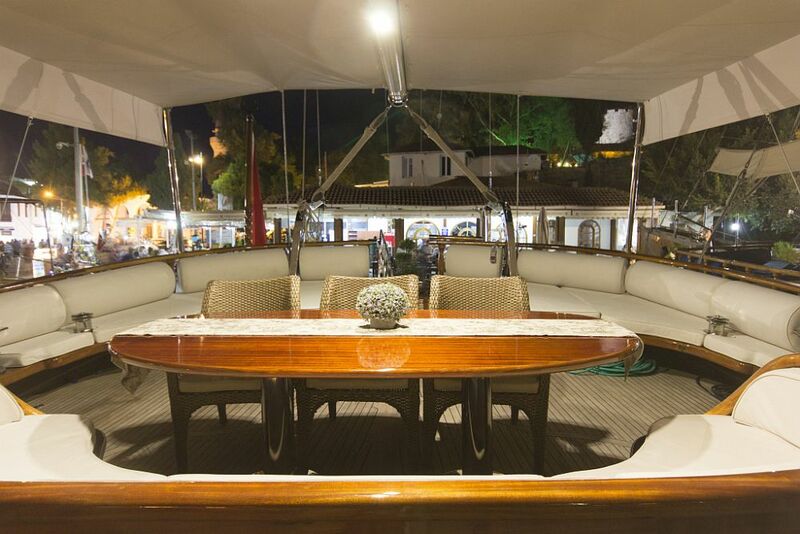 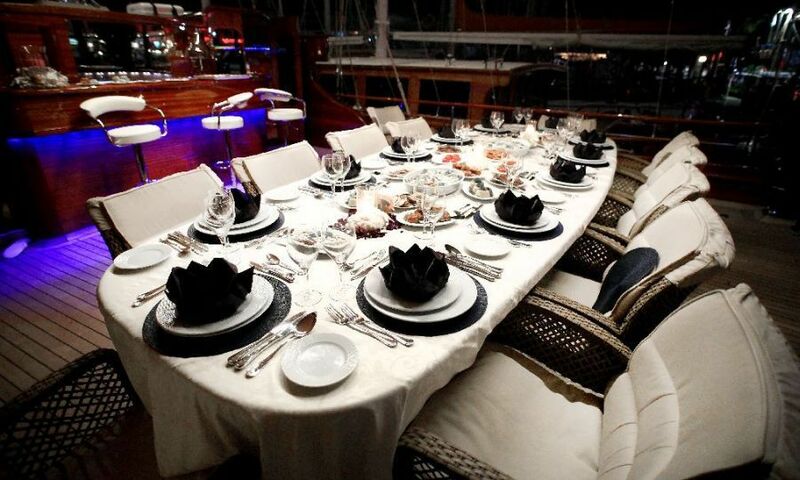 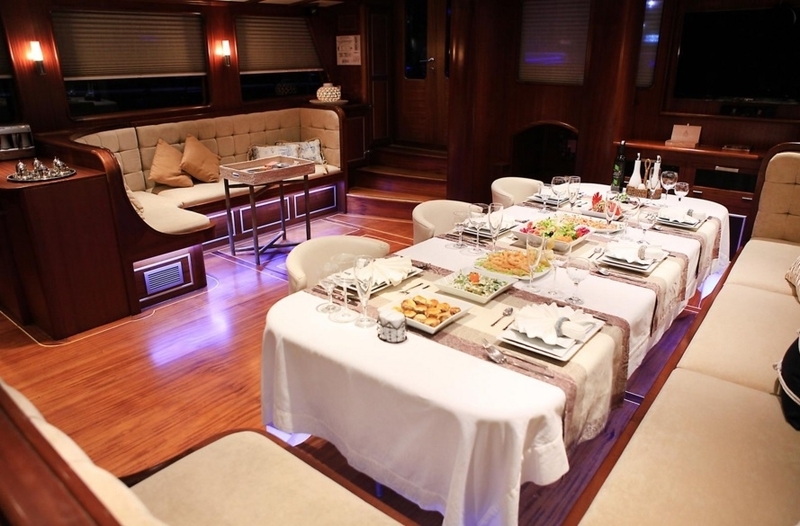 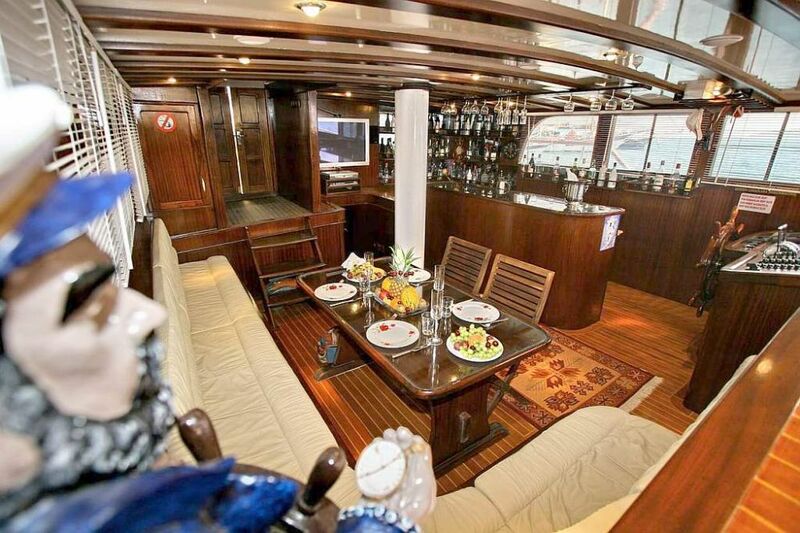 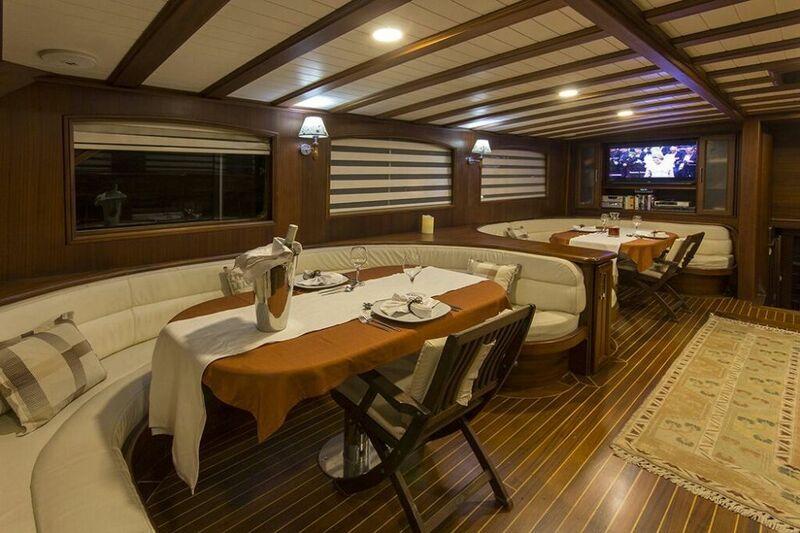 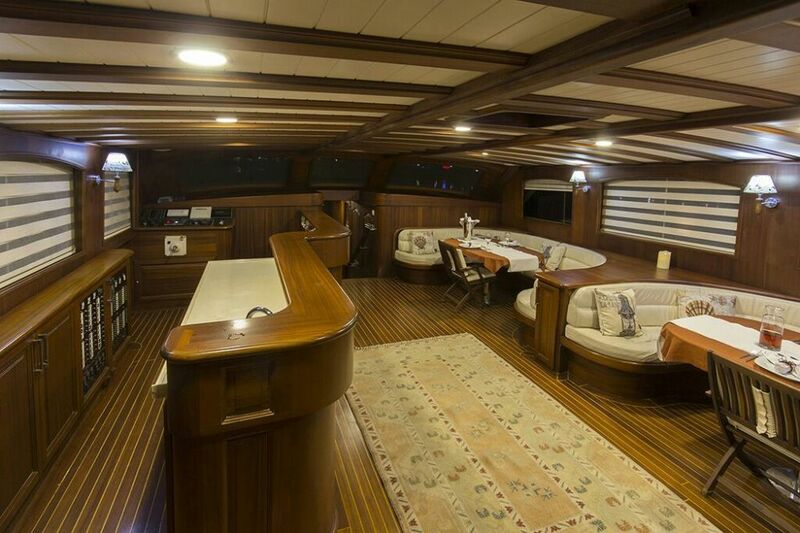 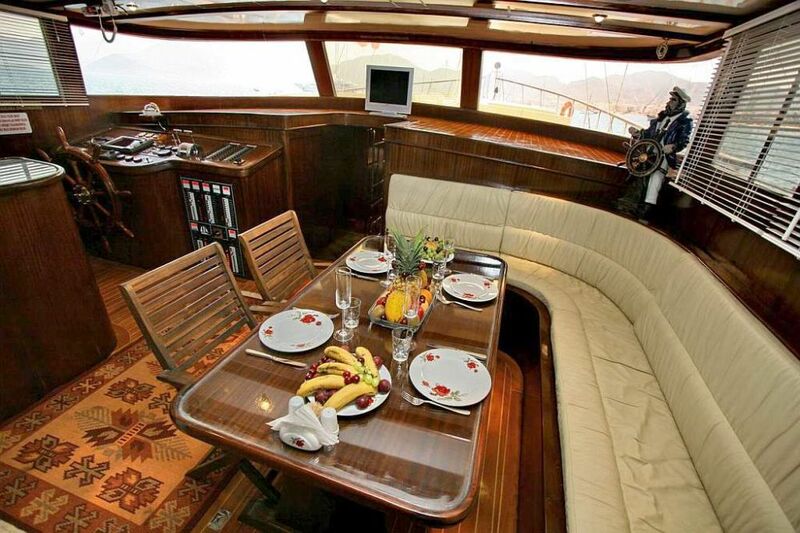 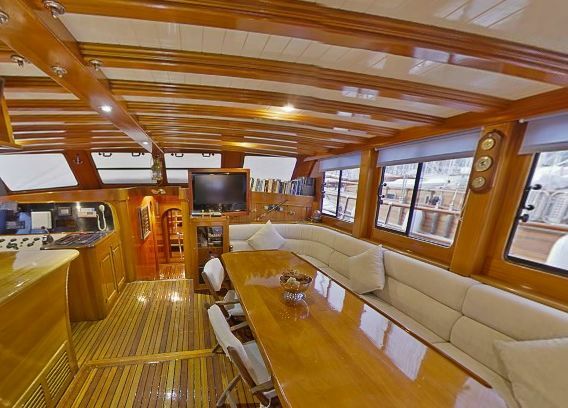 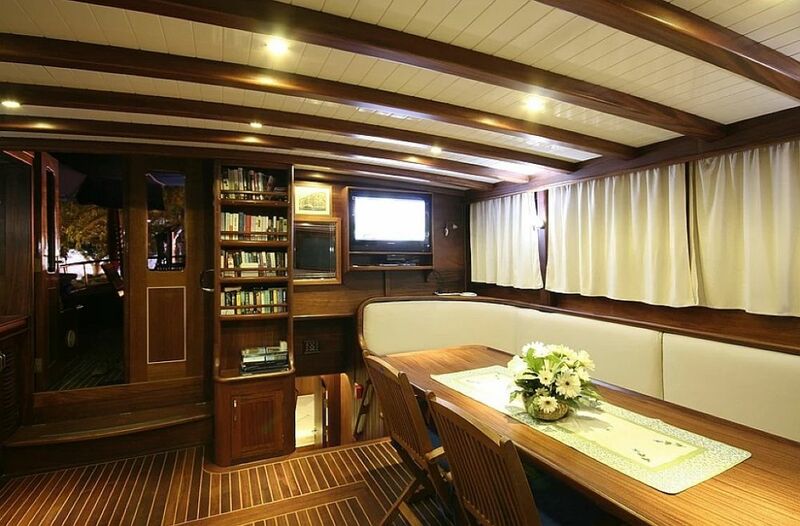 Flybridge, Dining table in saloon. 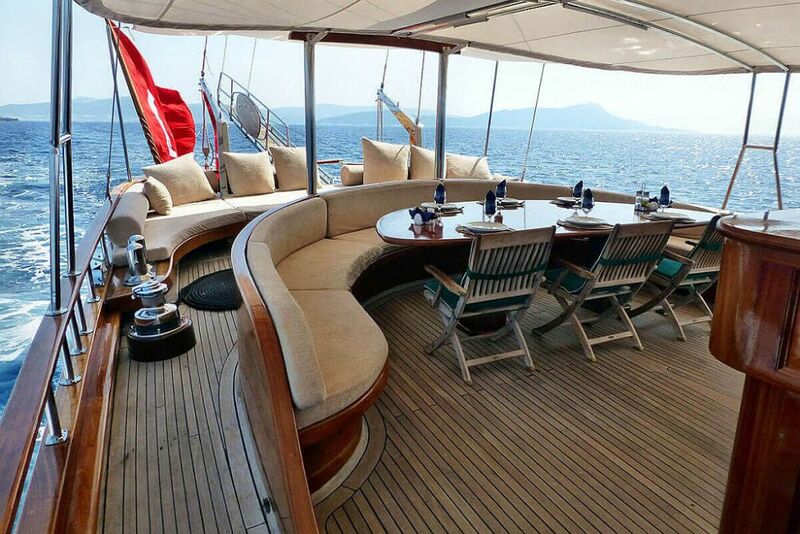 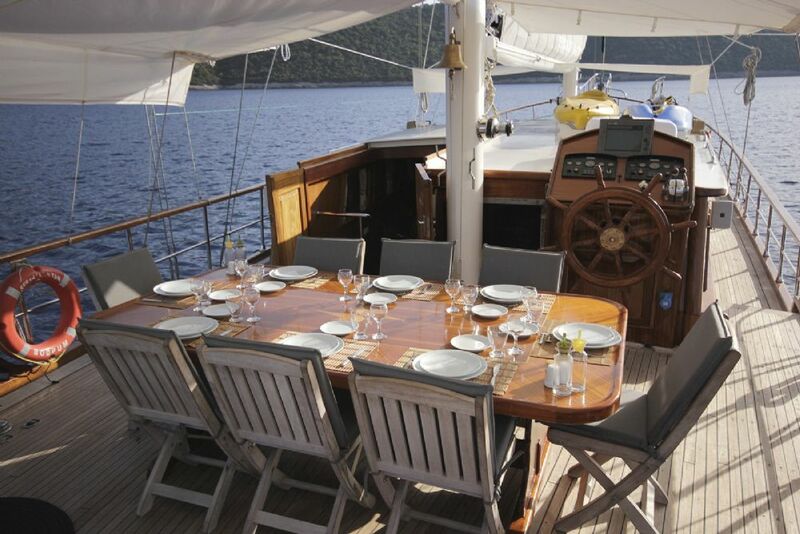 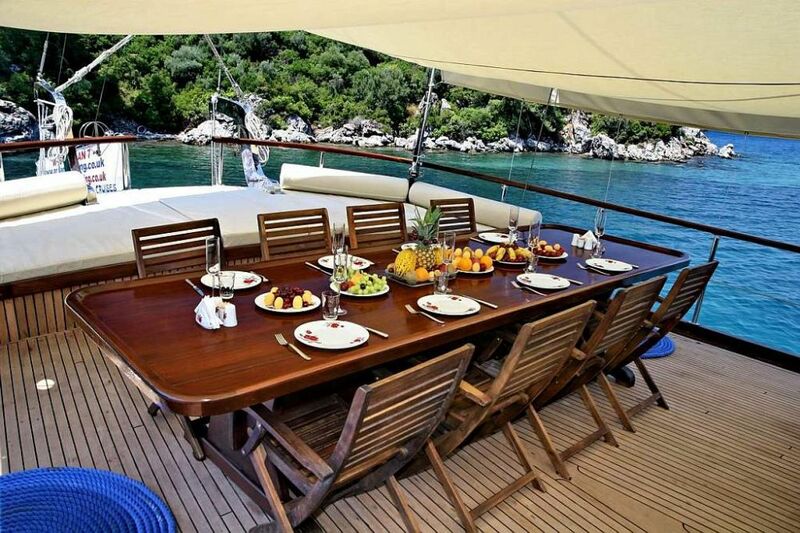 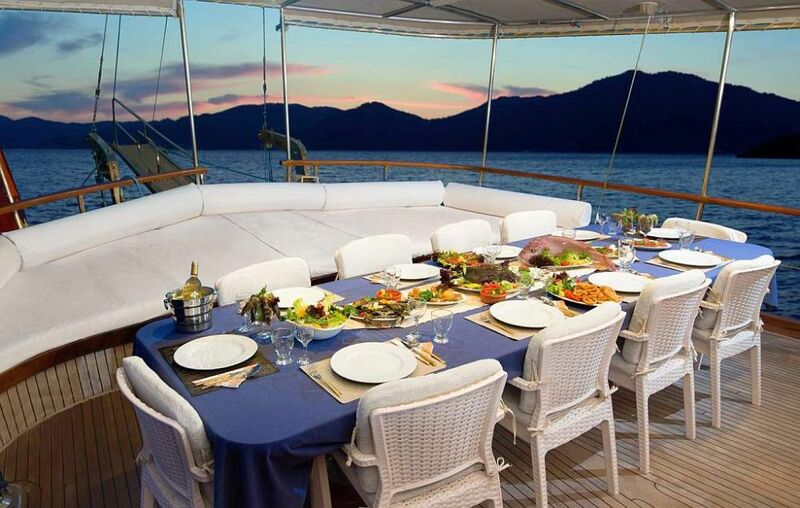 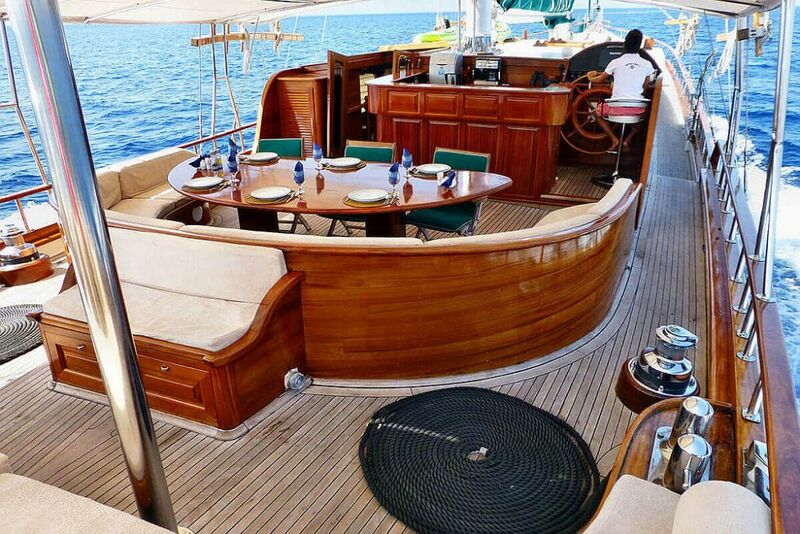 Outdoor dining table, Separate crew cabin. 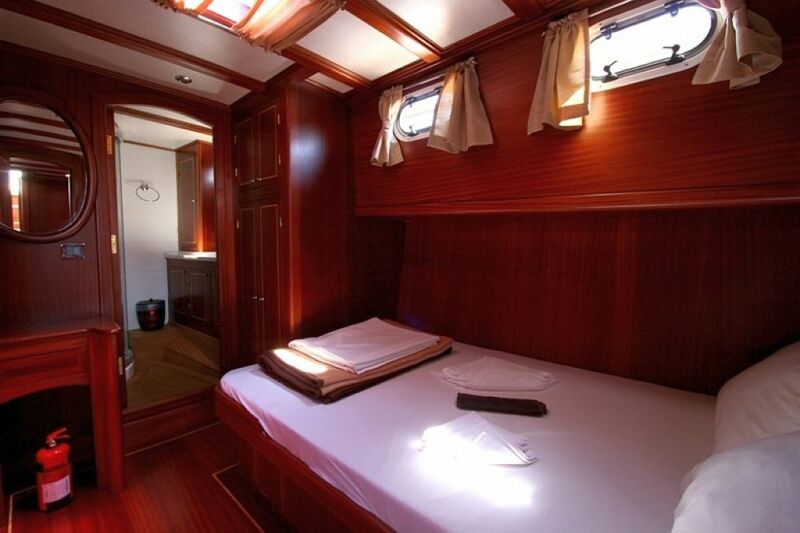 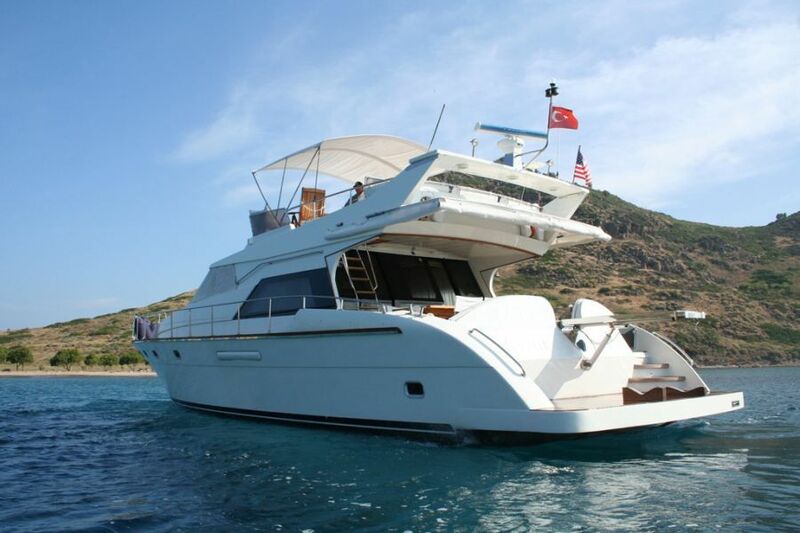 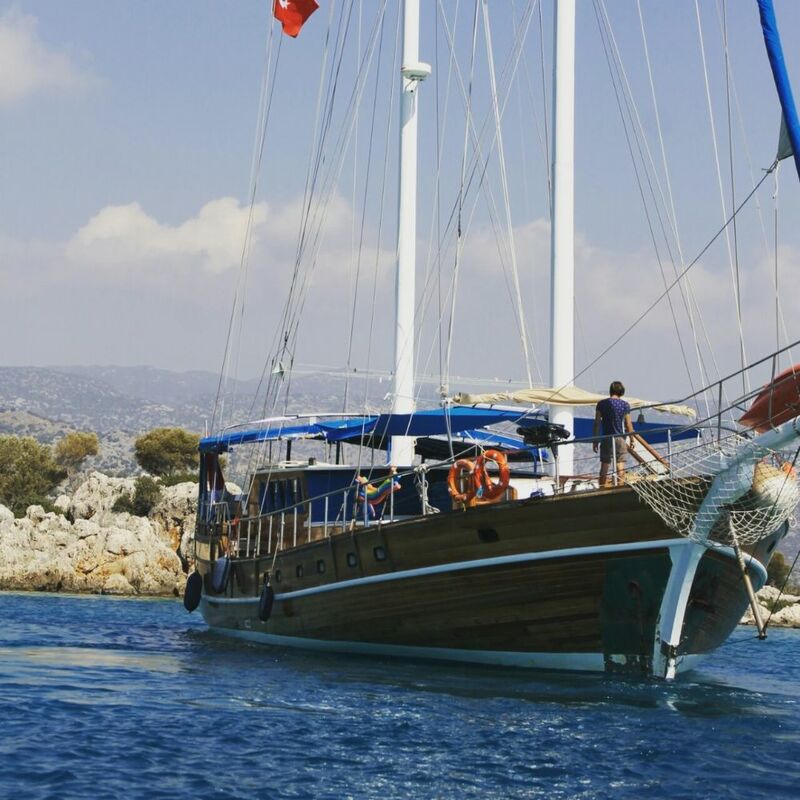 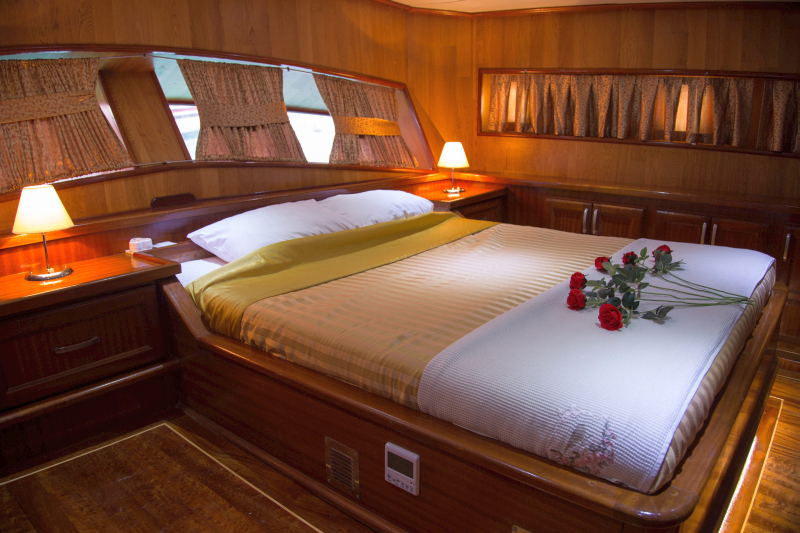 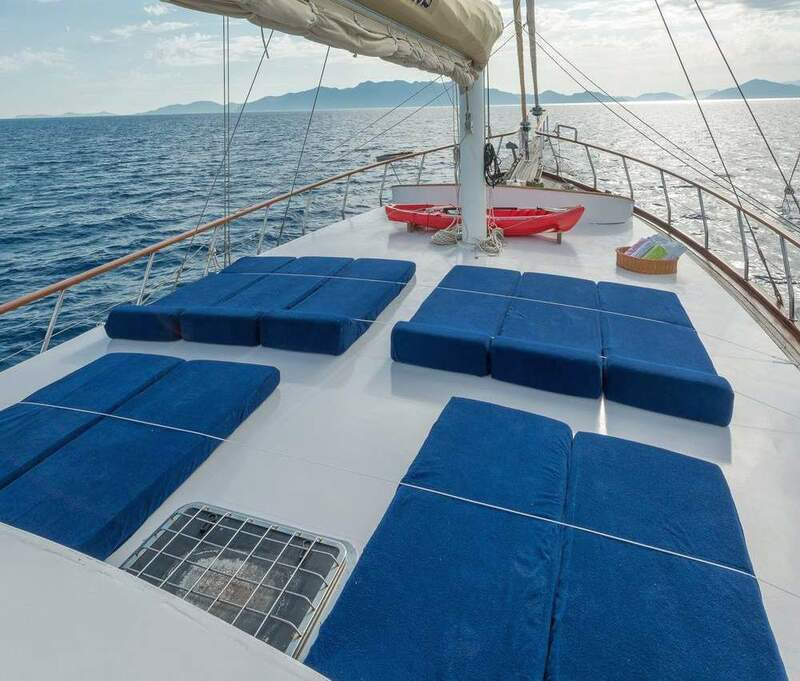 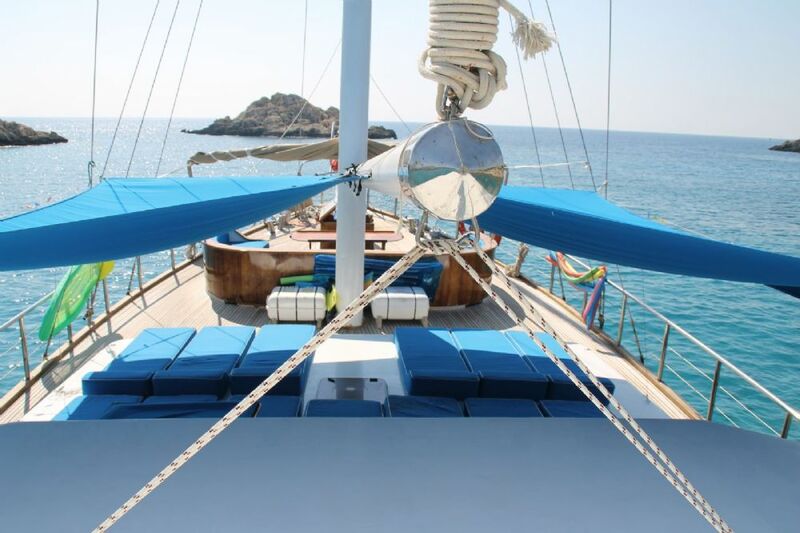 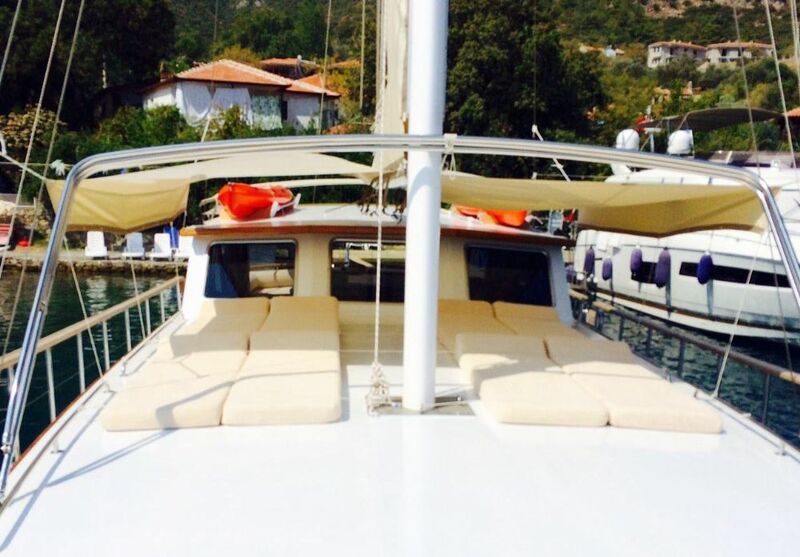 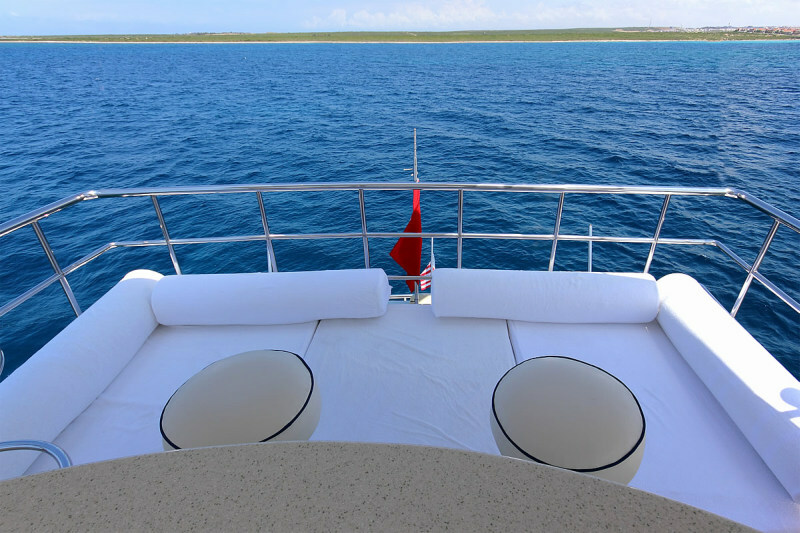 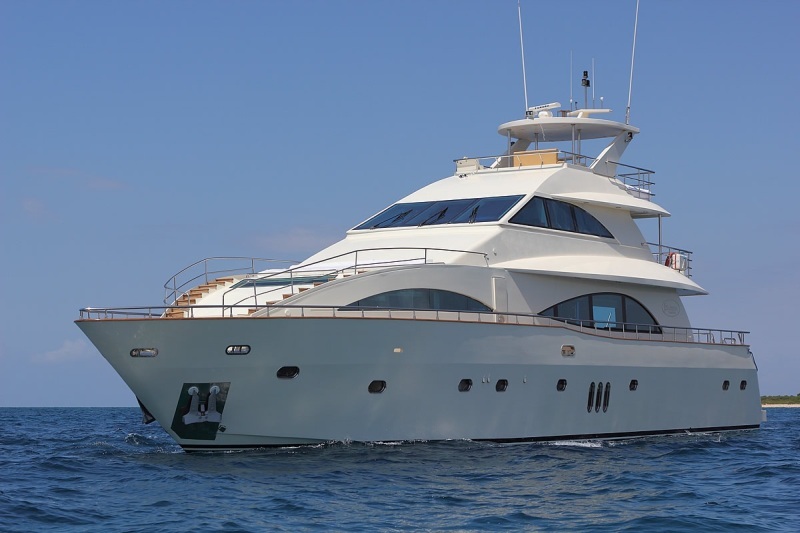 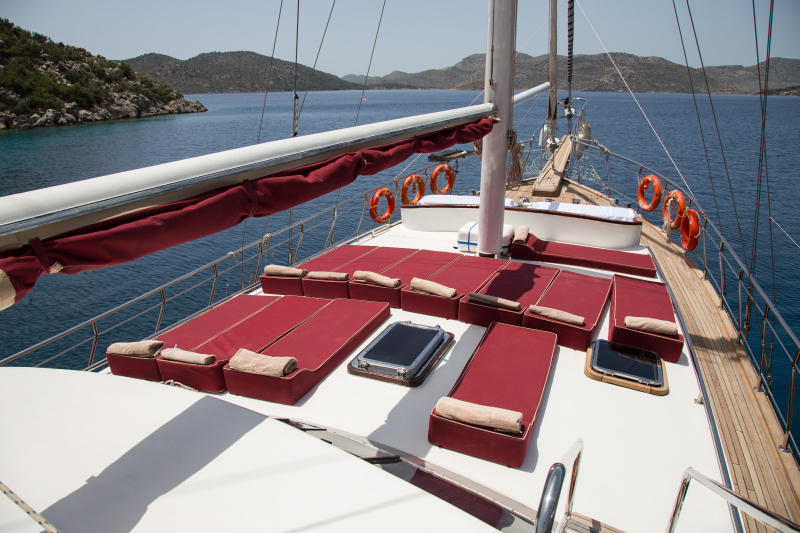 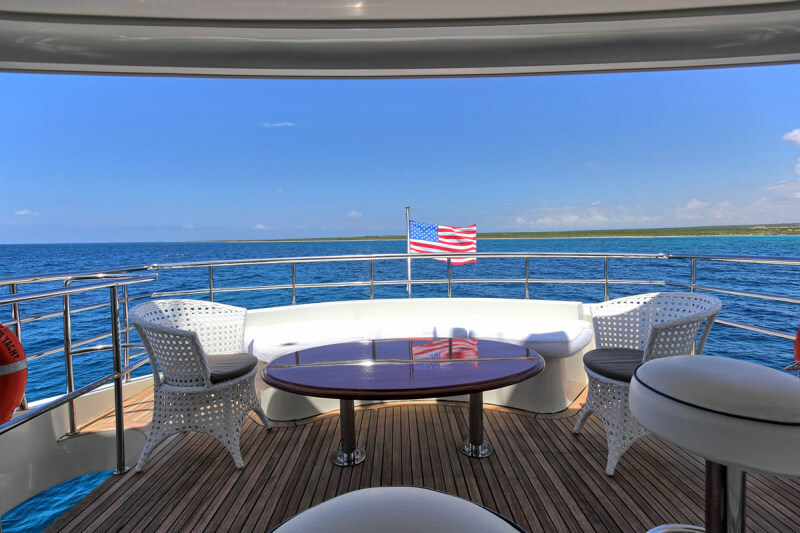 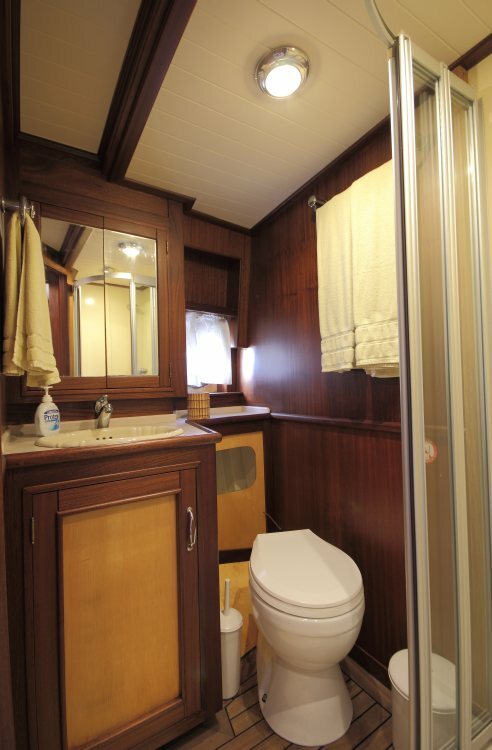 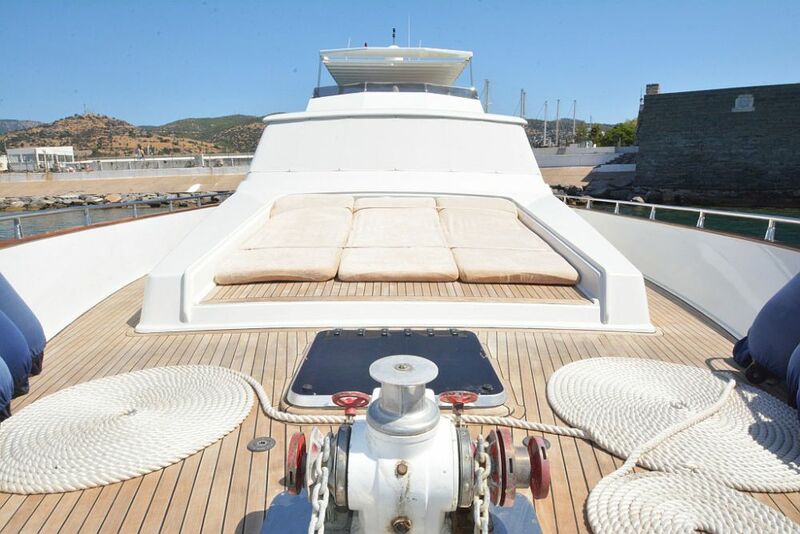 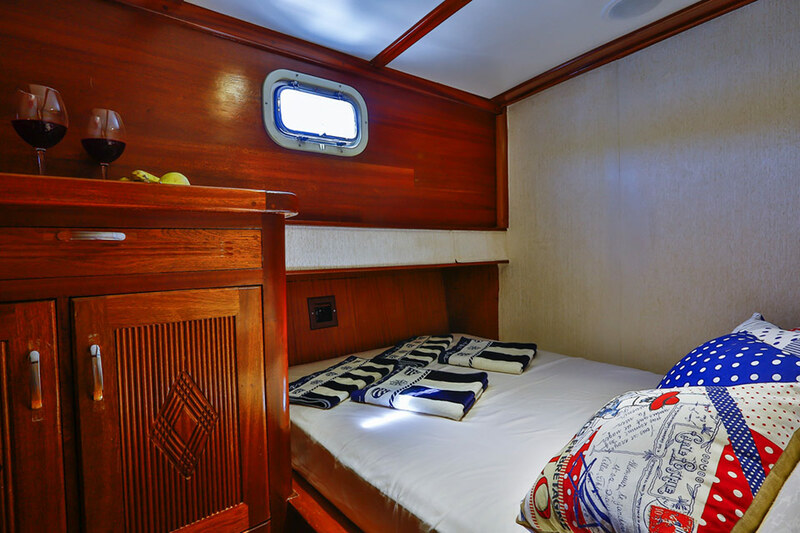 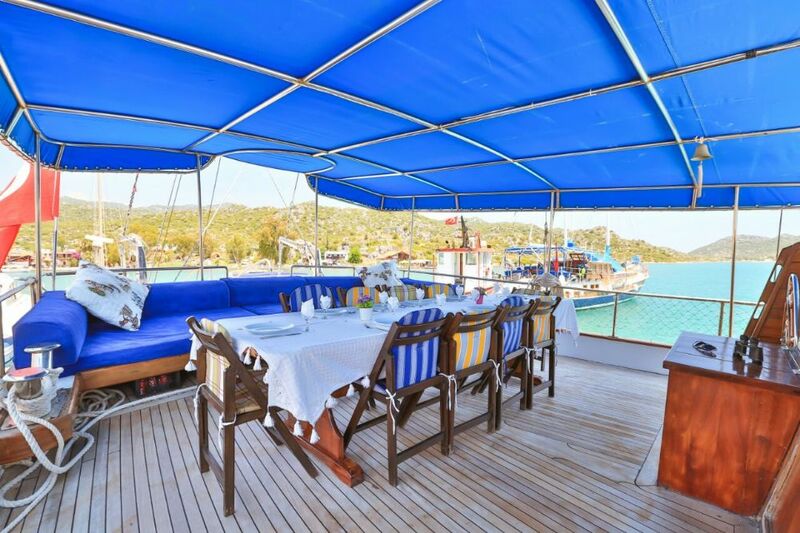 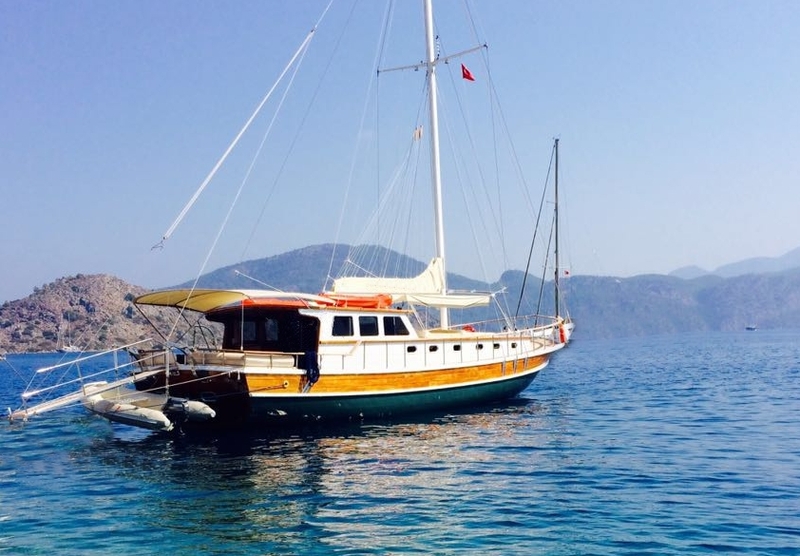 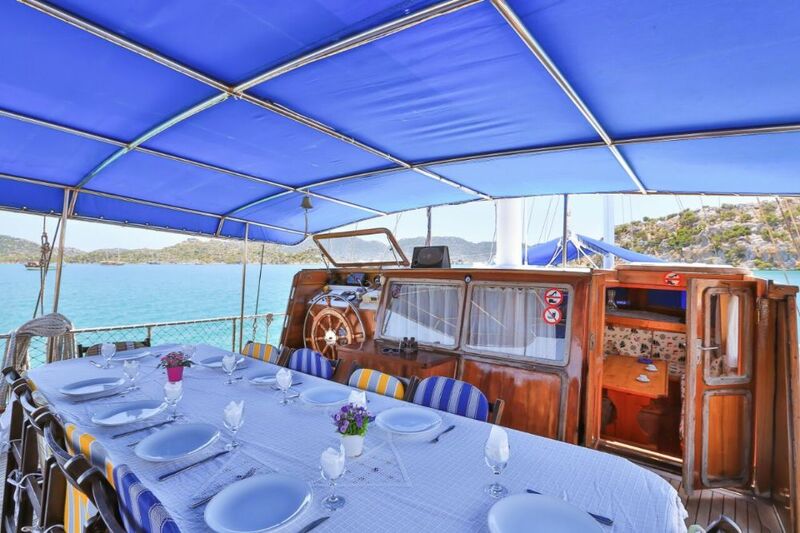 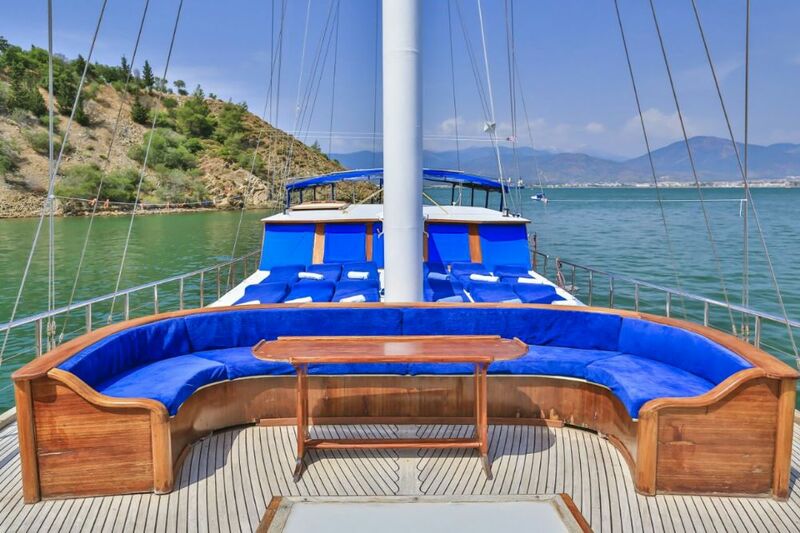 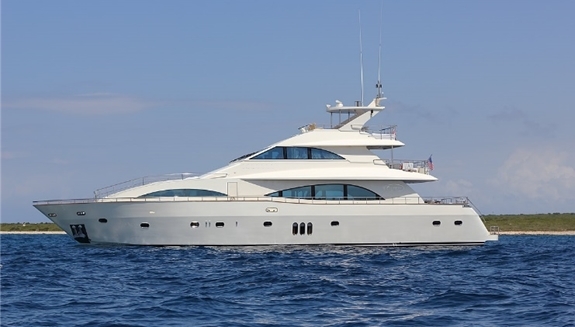 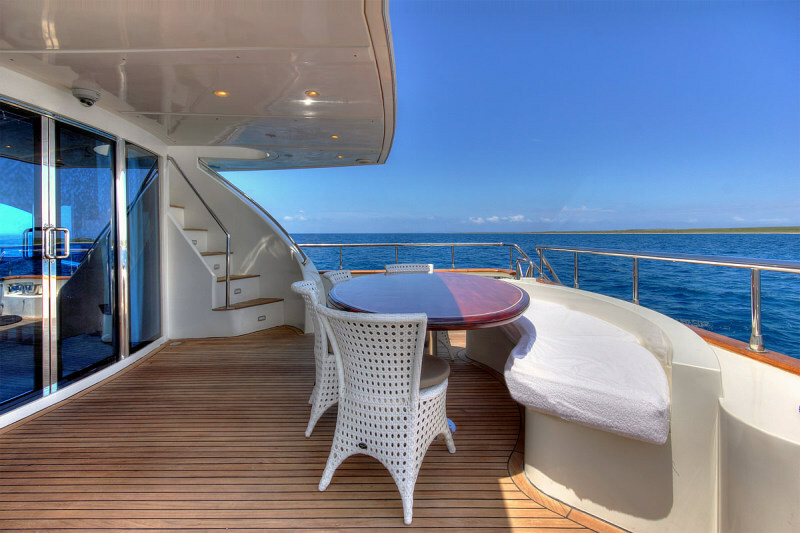 Sunbathing mattrasses, Front deck seating area, Outdoor dining table, Separate crew cabin. 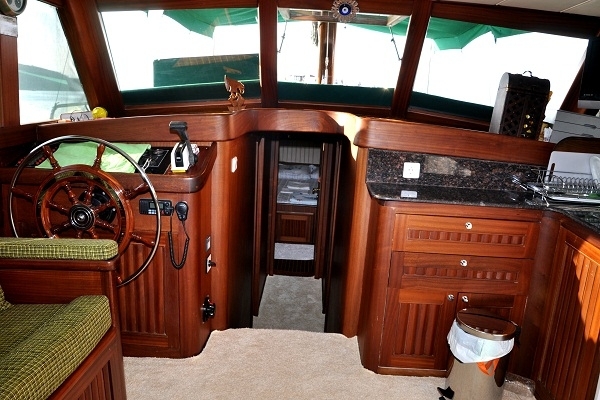 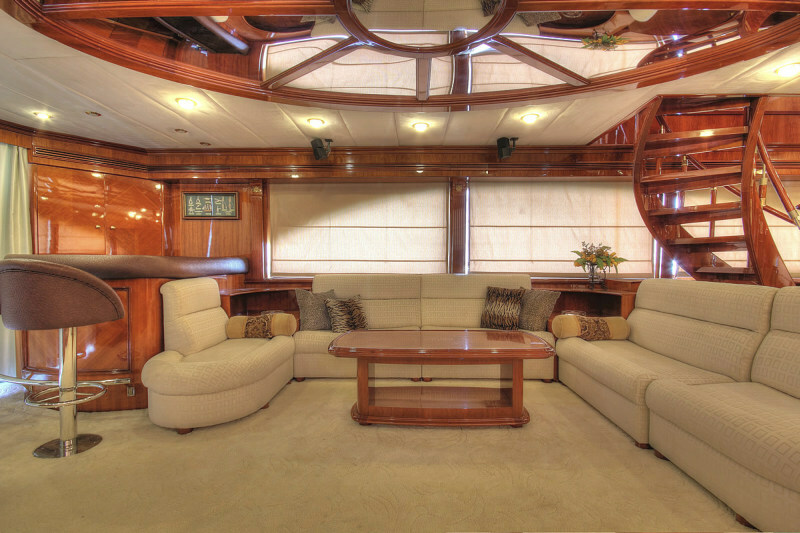 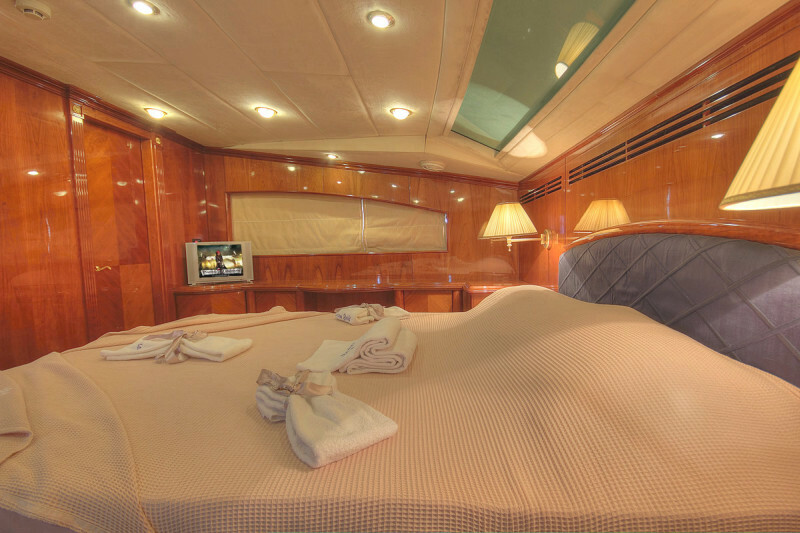 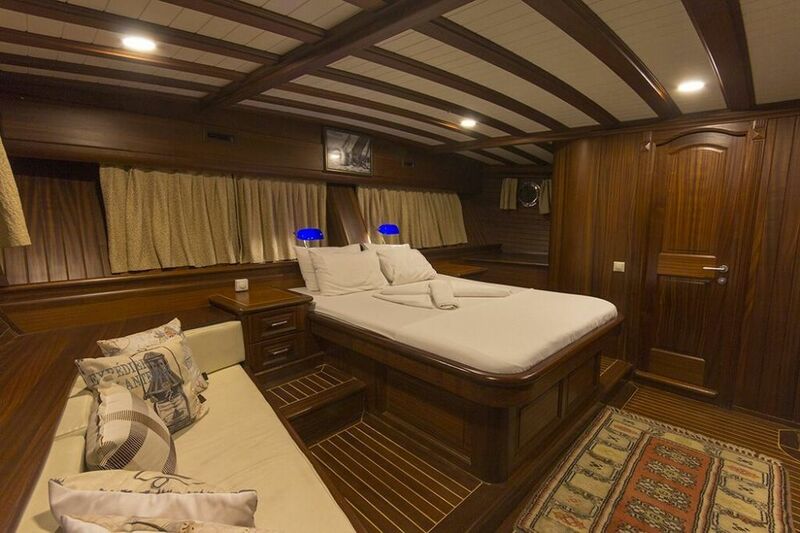 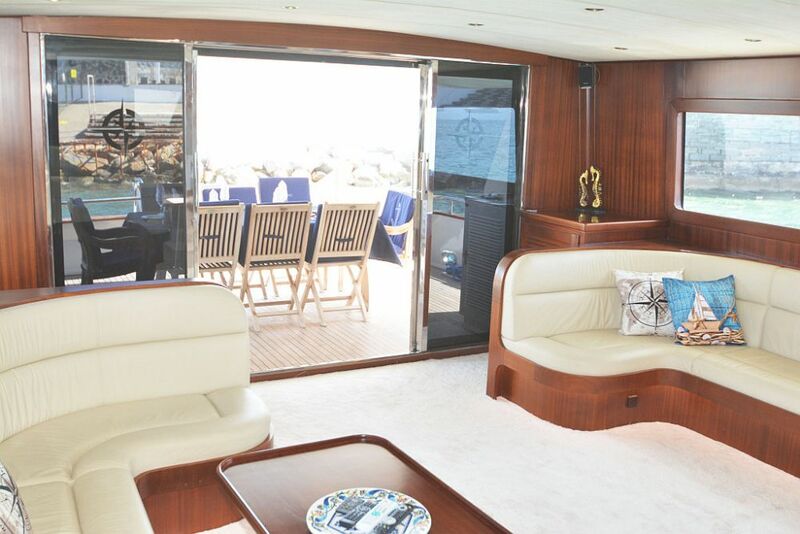 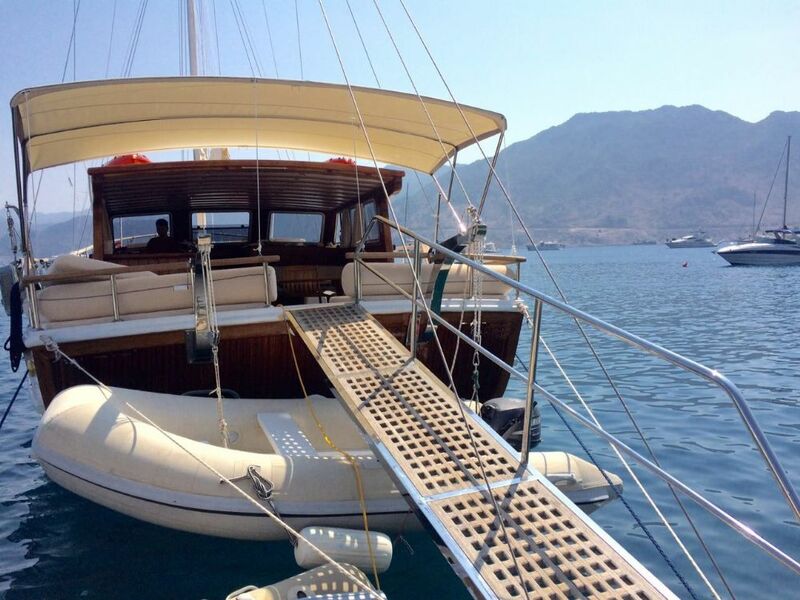 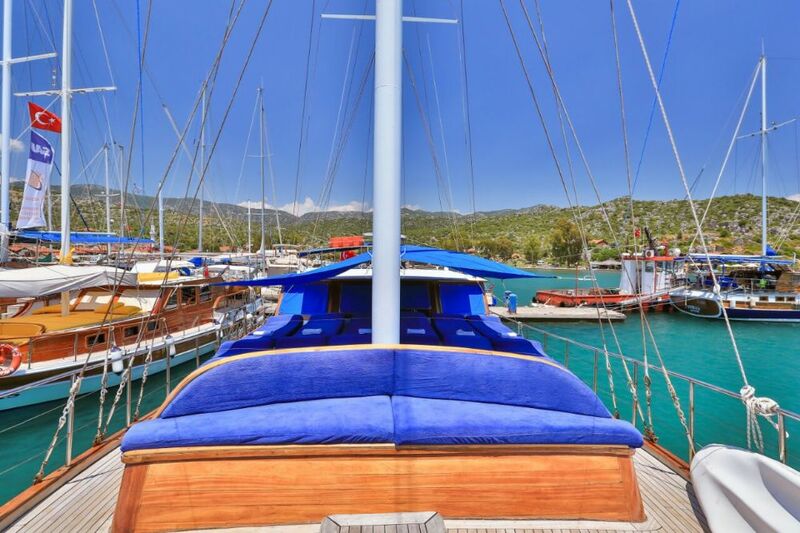 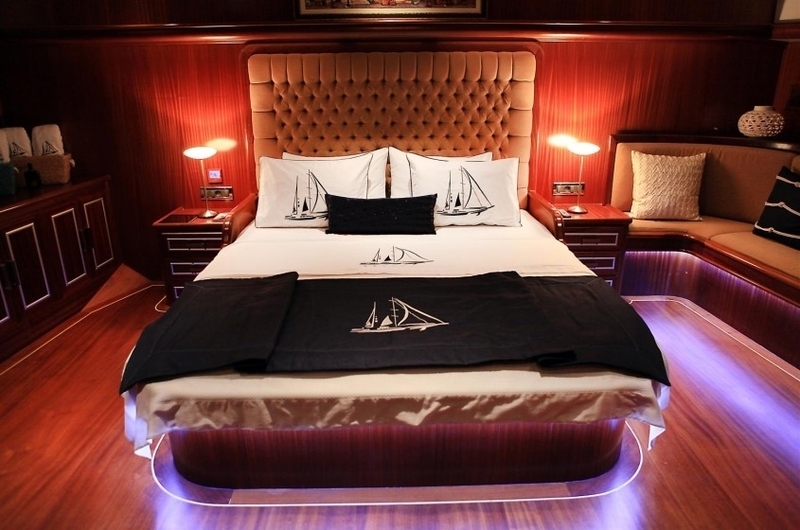 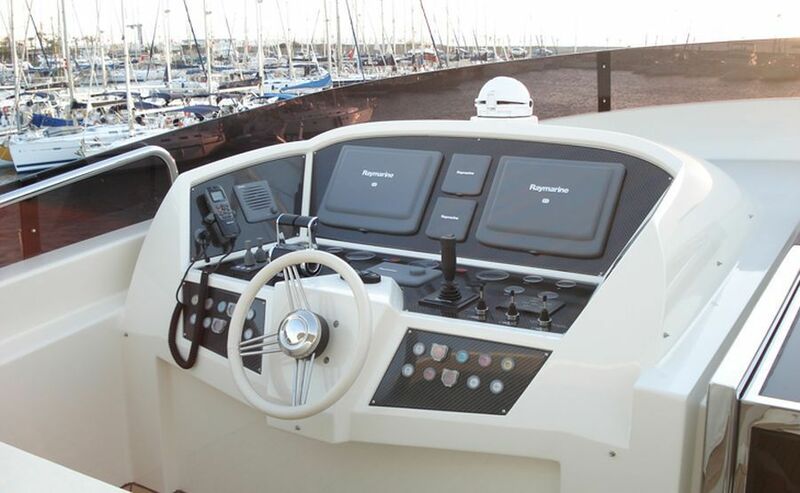 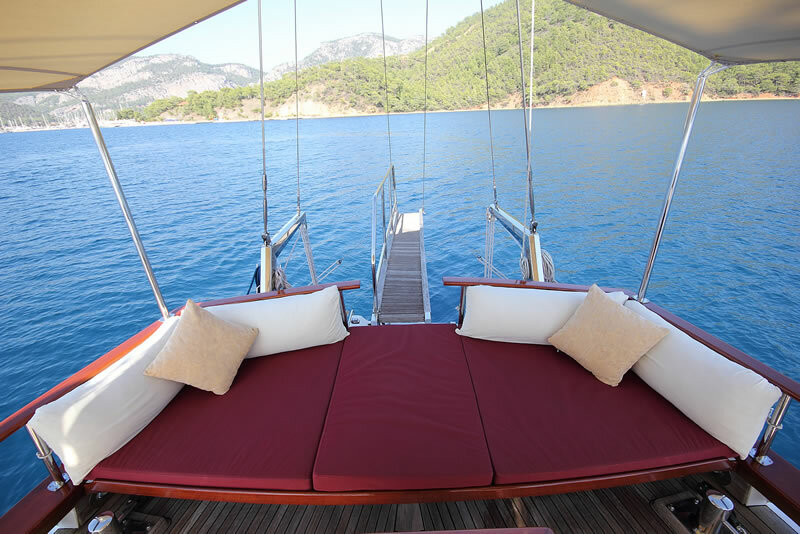 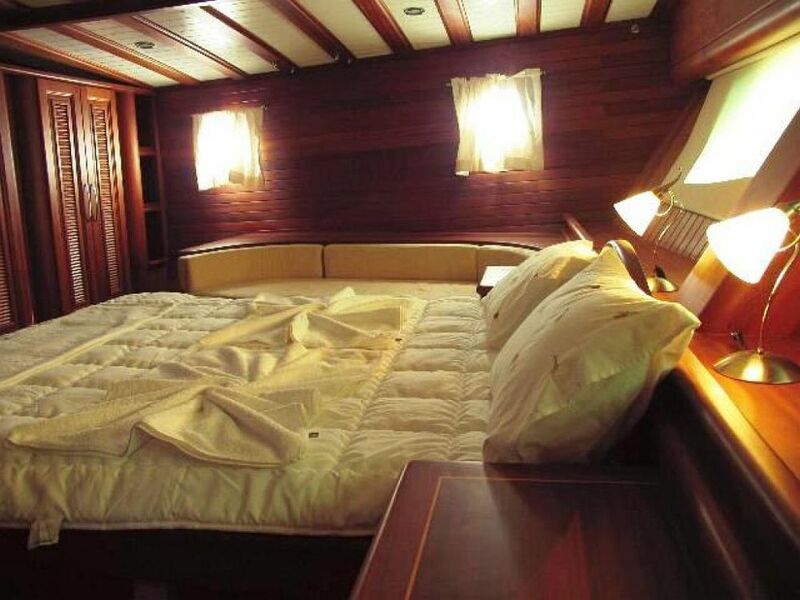 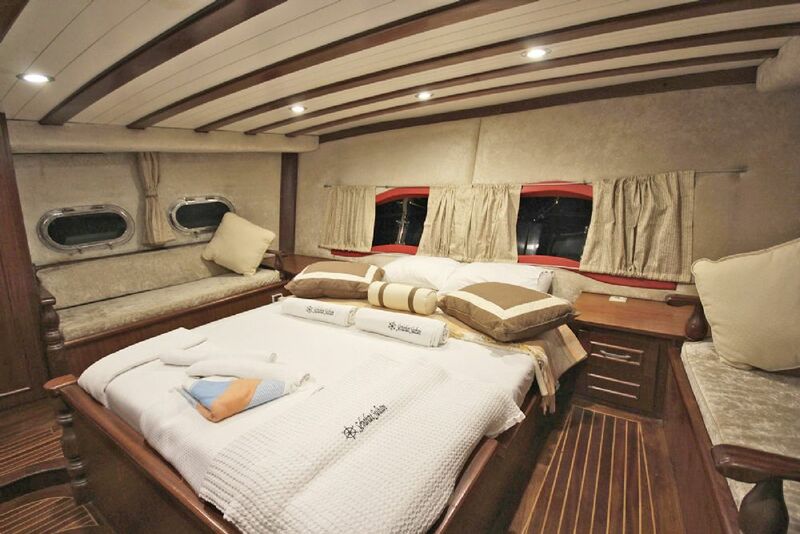 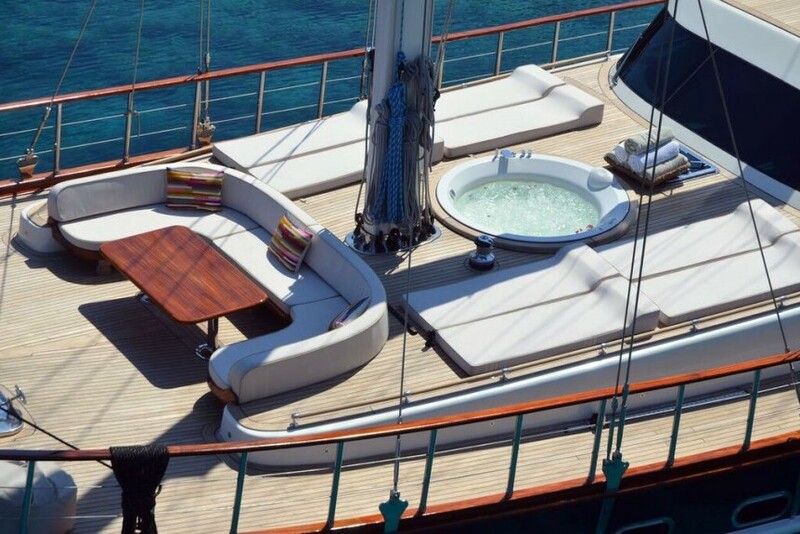 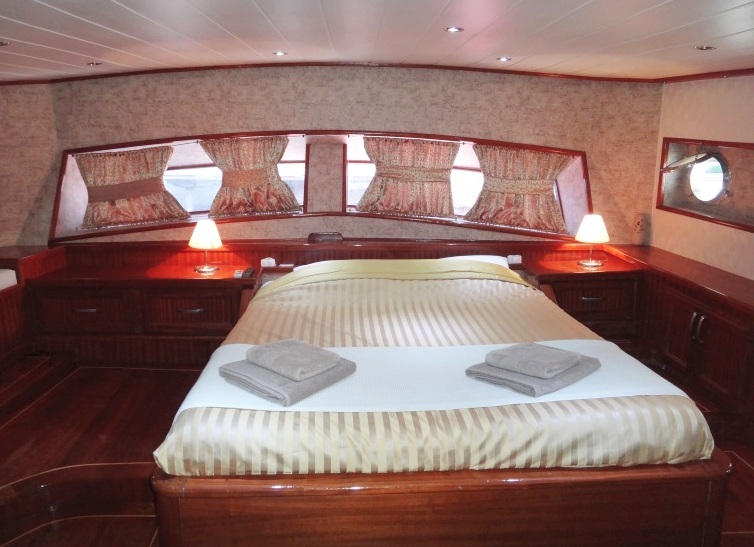 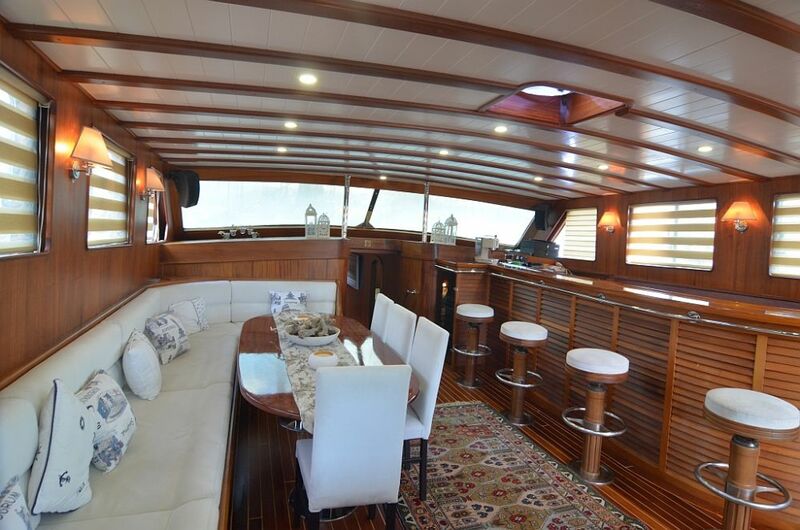 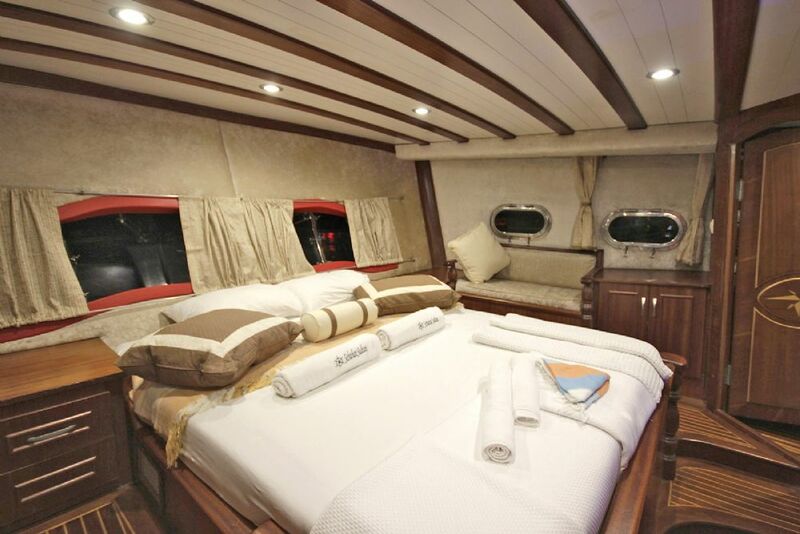 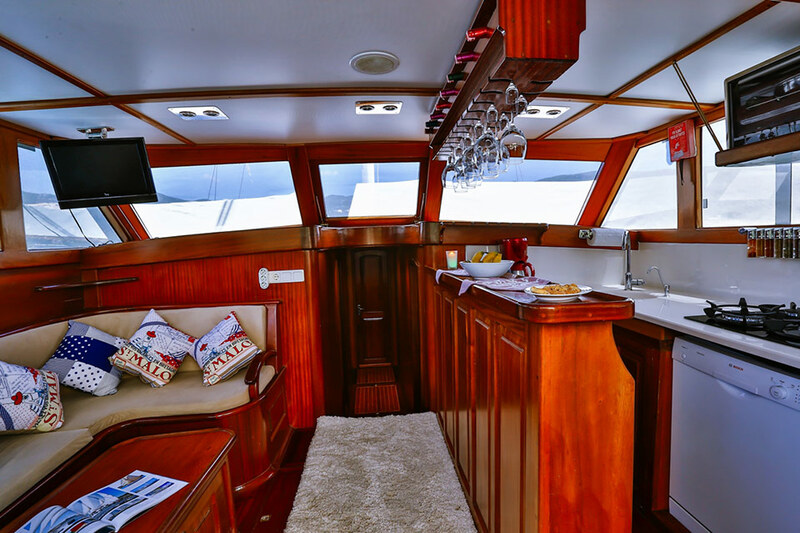 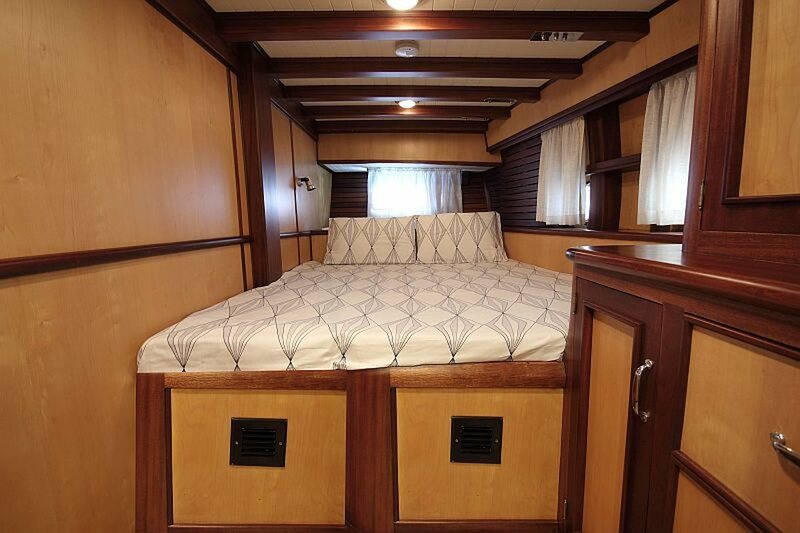 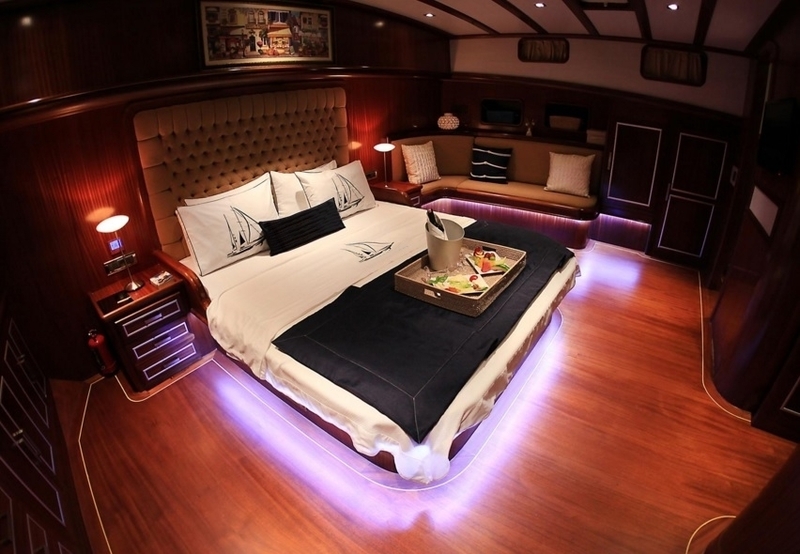 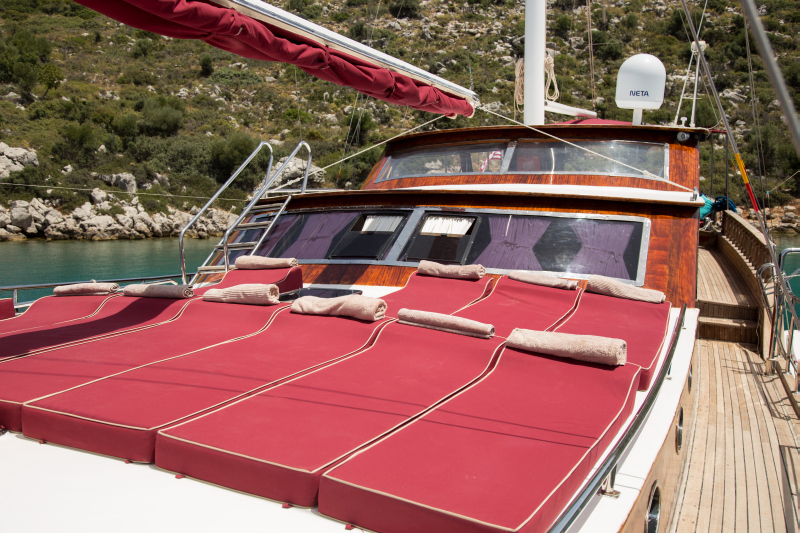 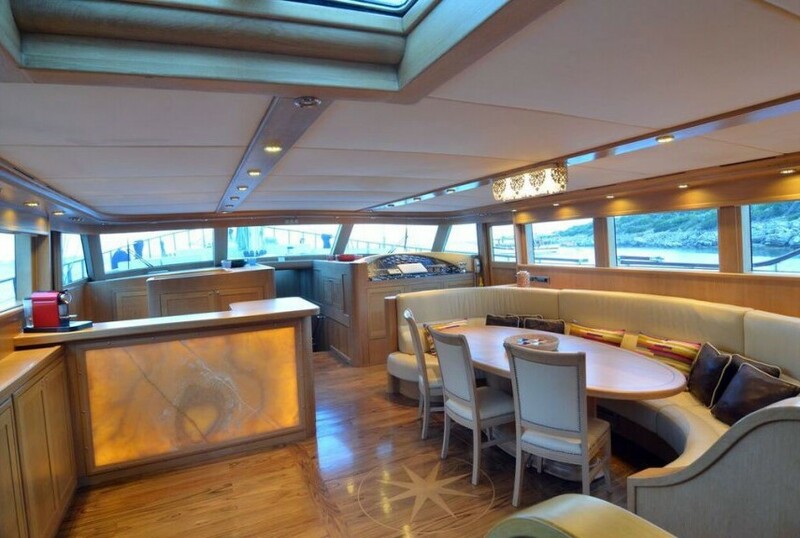 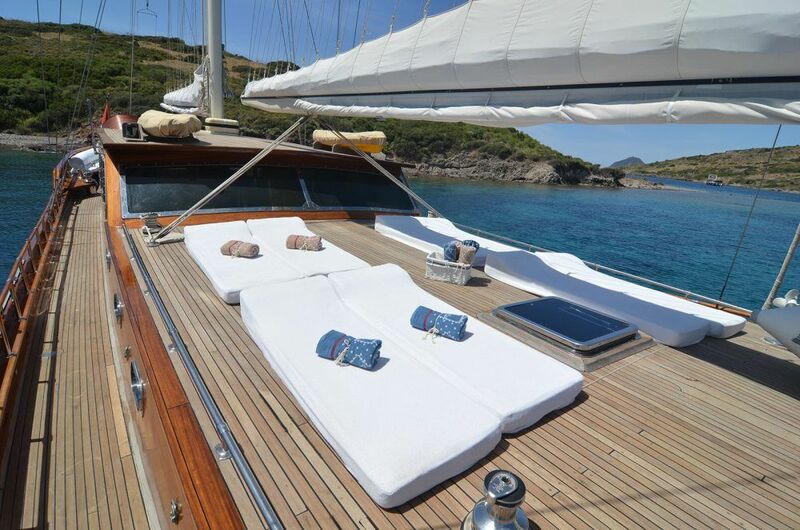 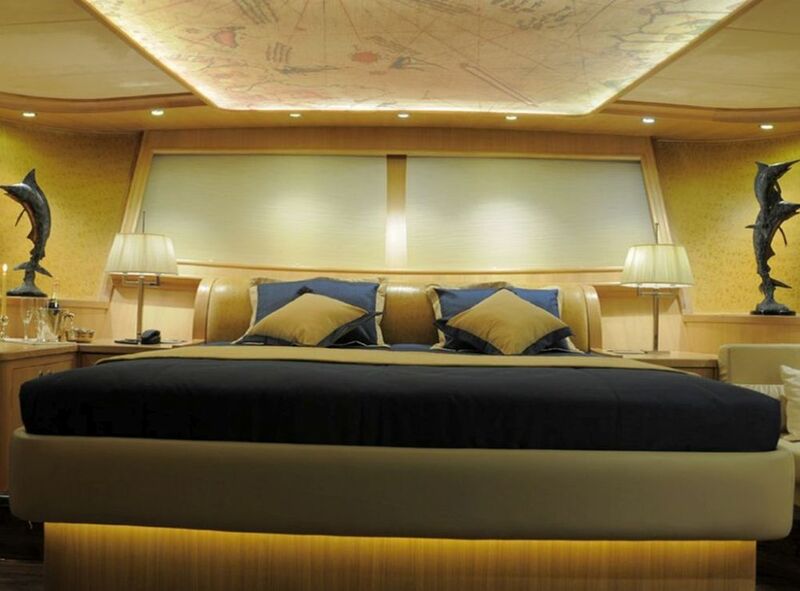 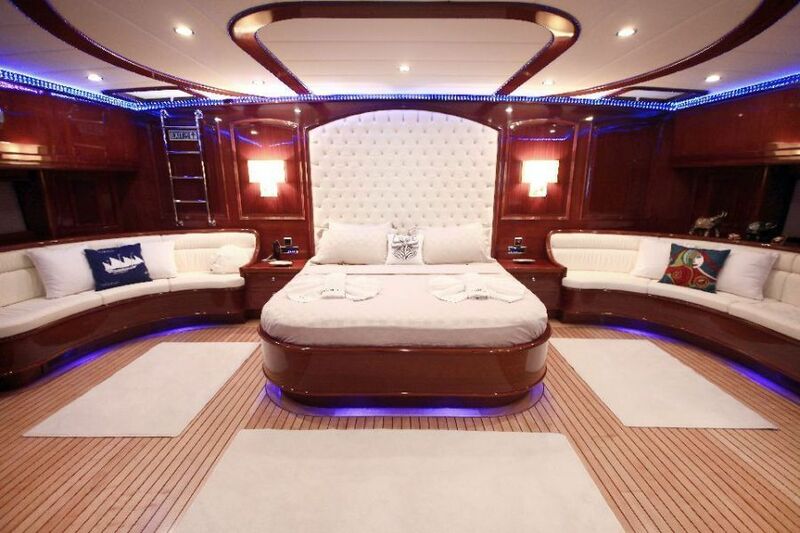 Flybridge, Sunbathing mattrasses, Music system in saloon. 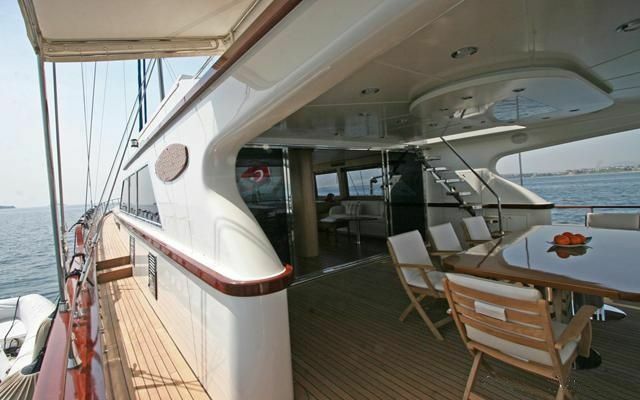 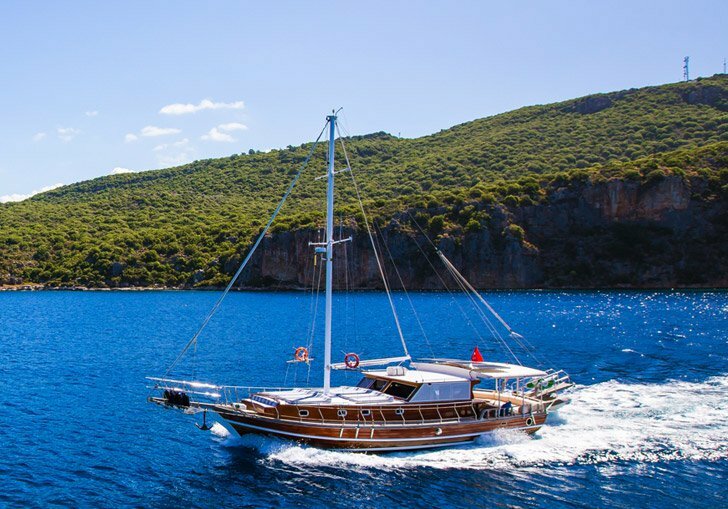 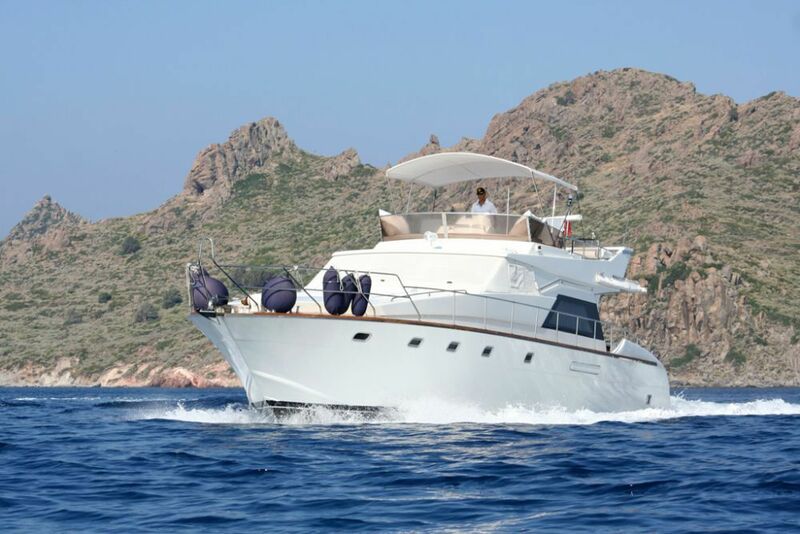 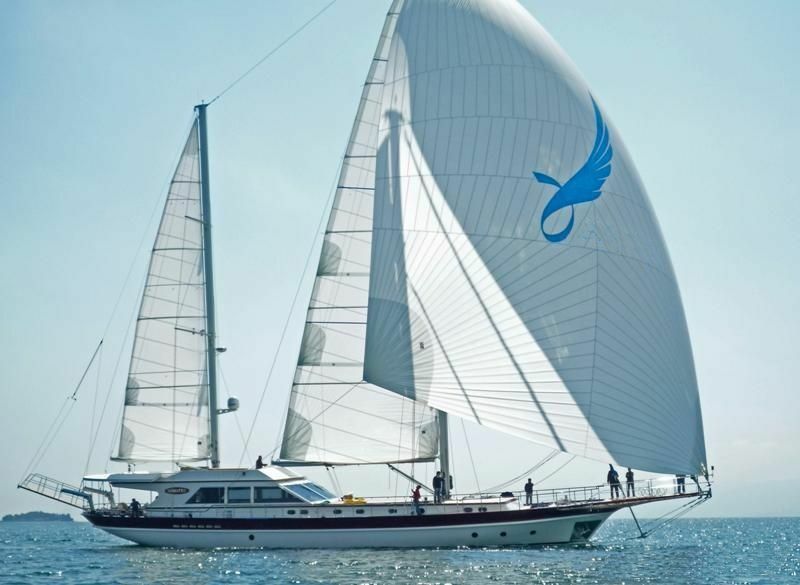 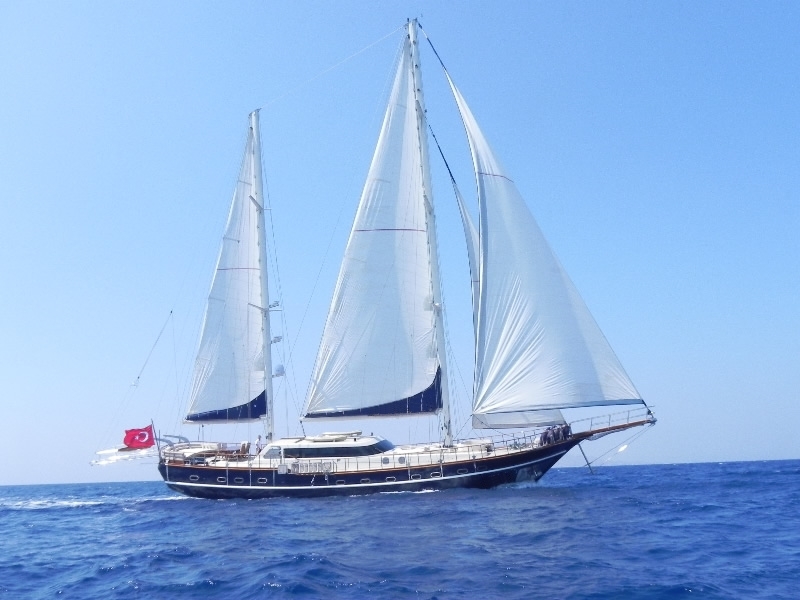 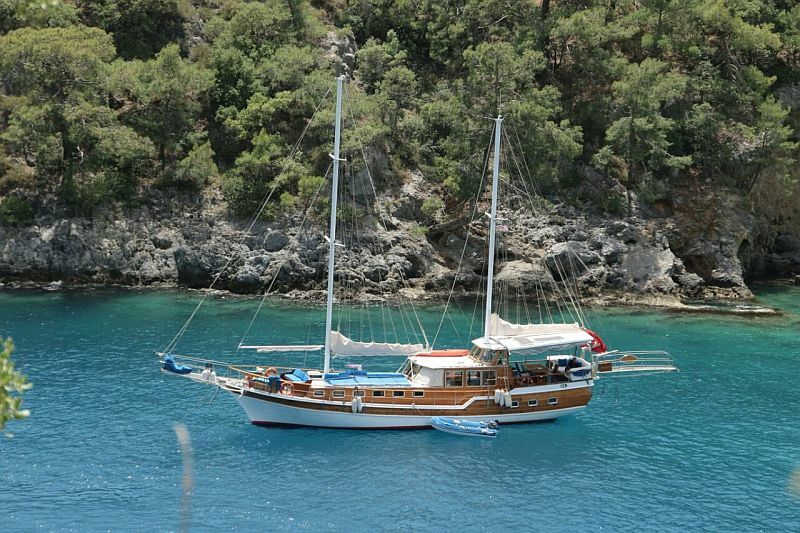 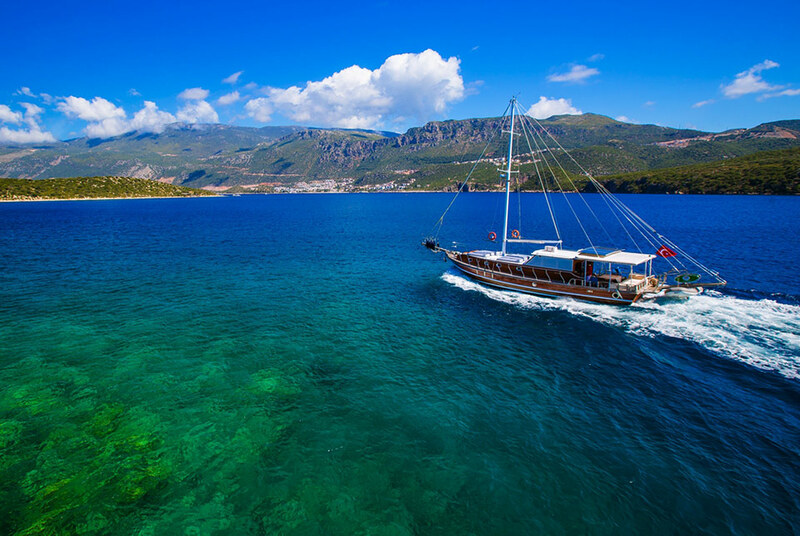 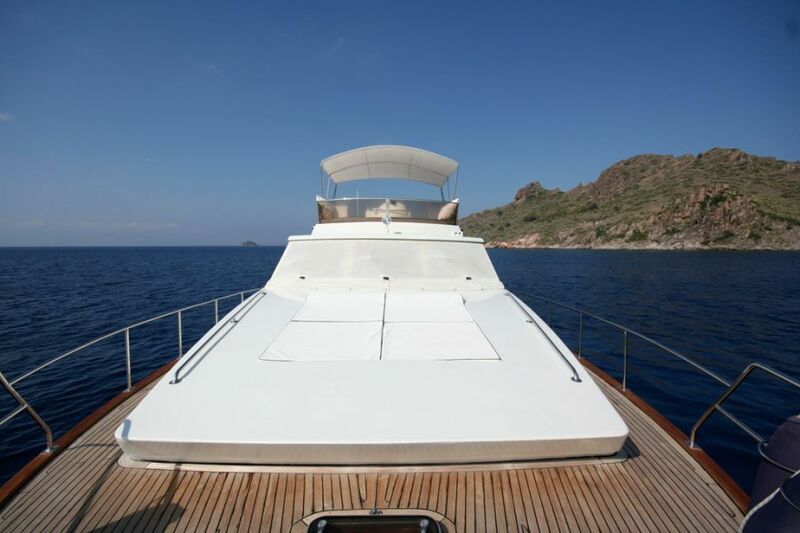 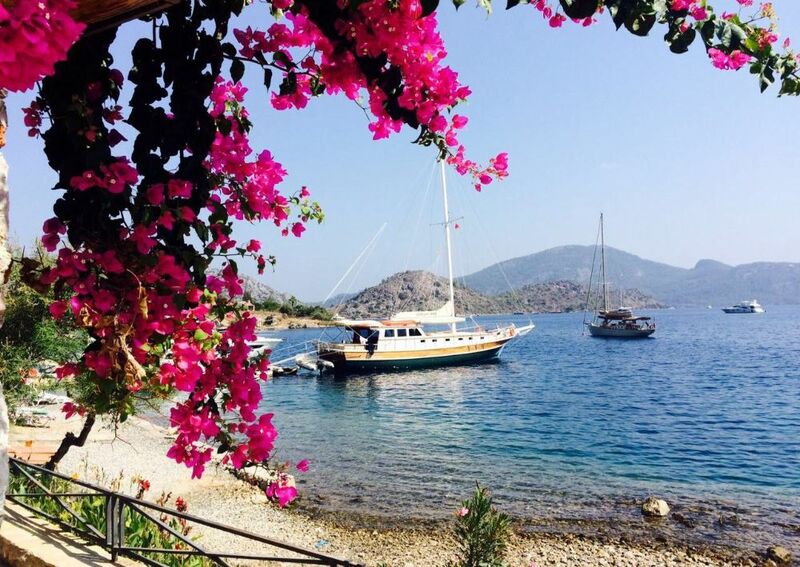 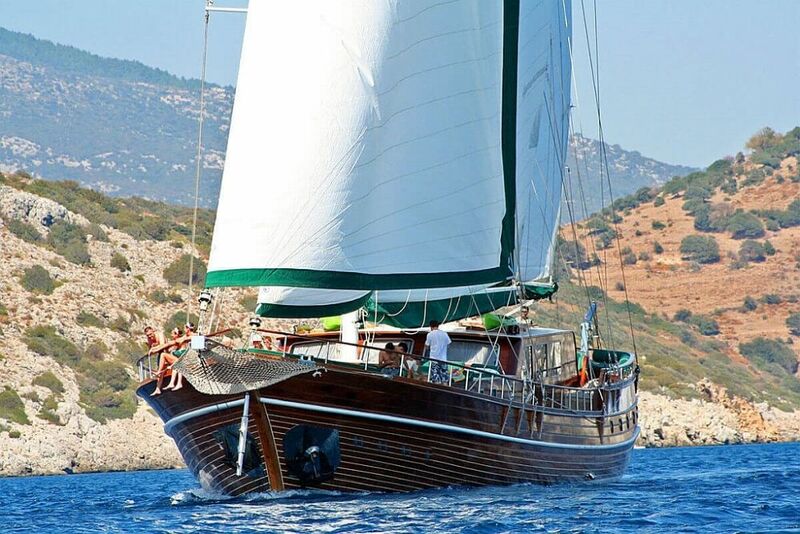 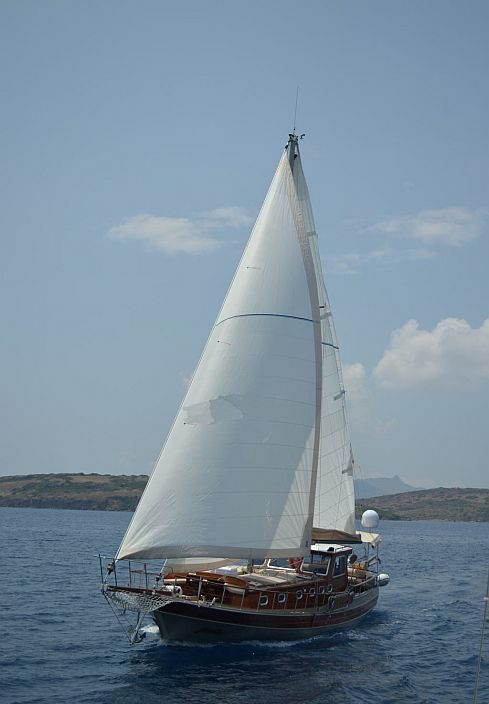 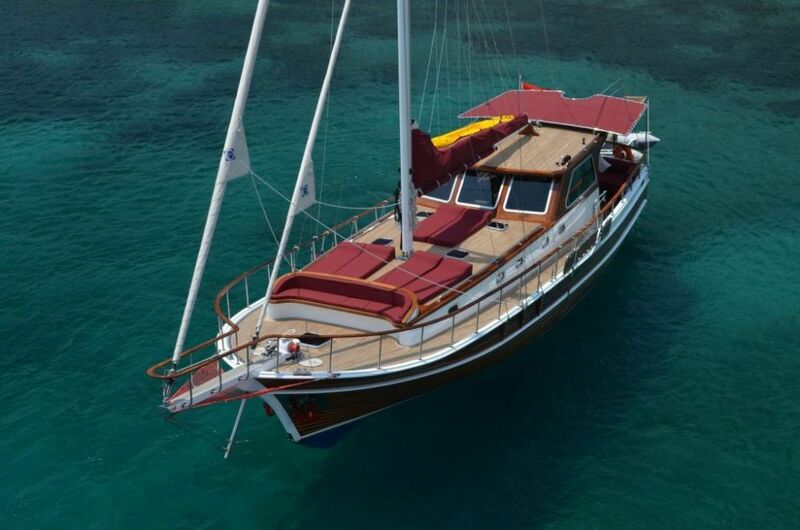 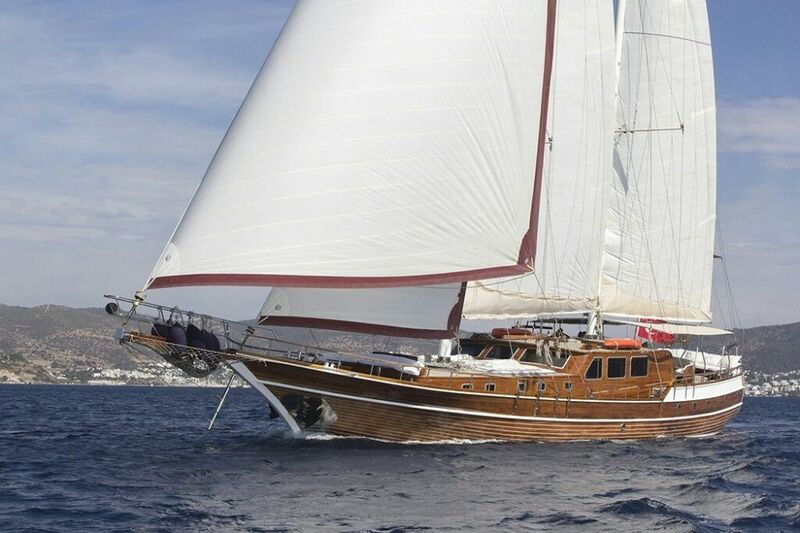 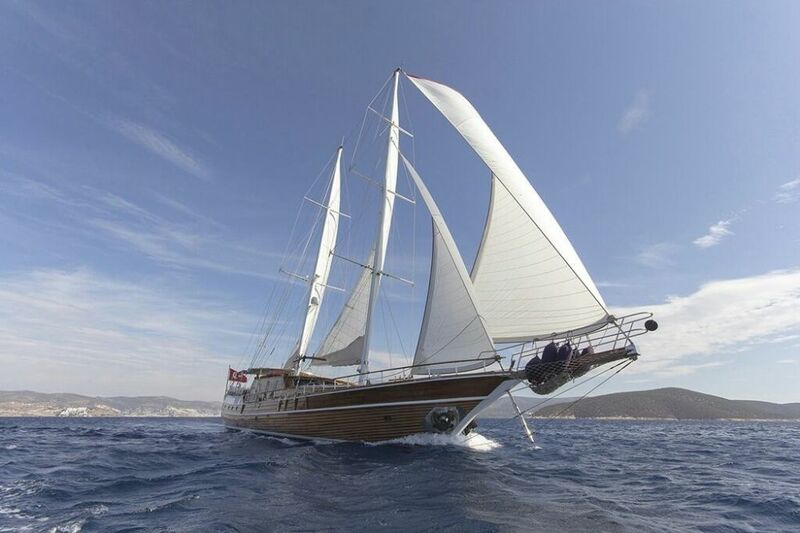 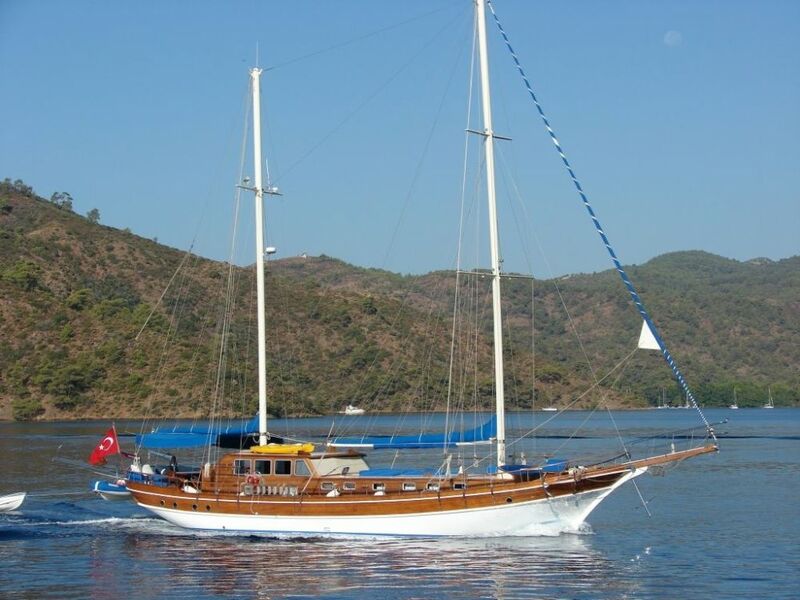 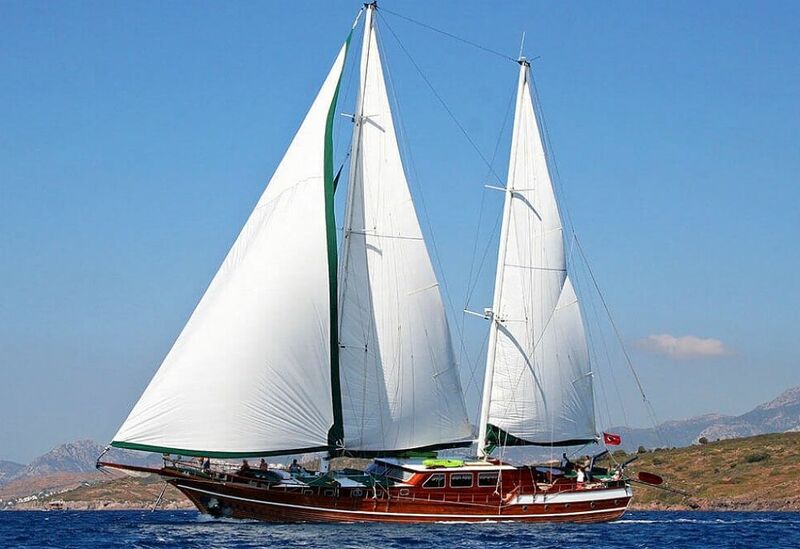 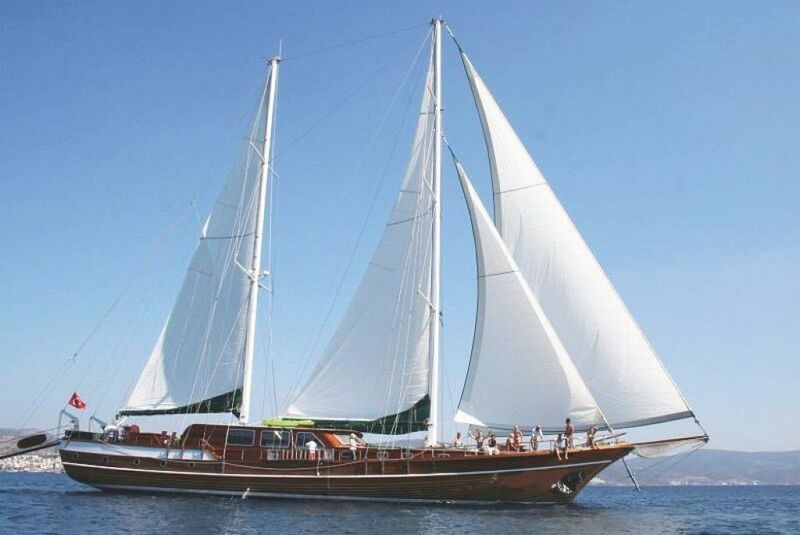 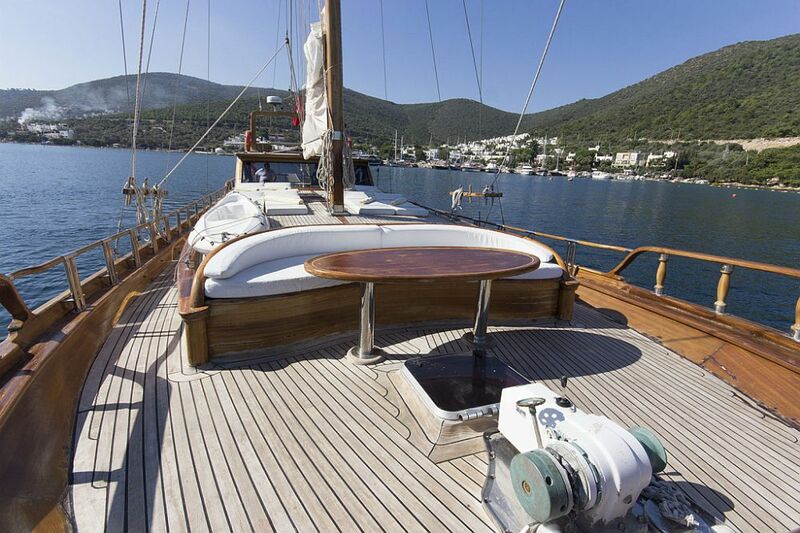 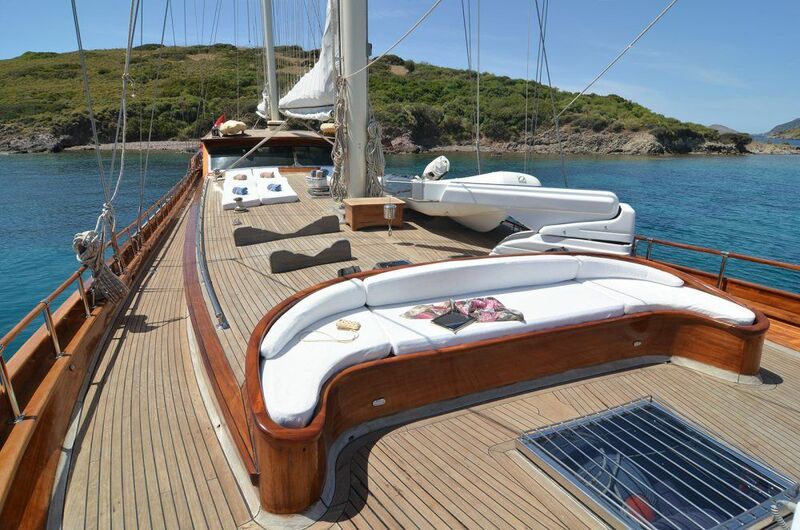 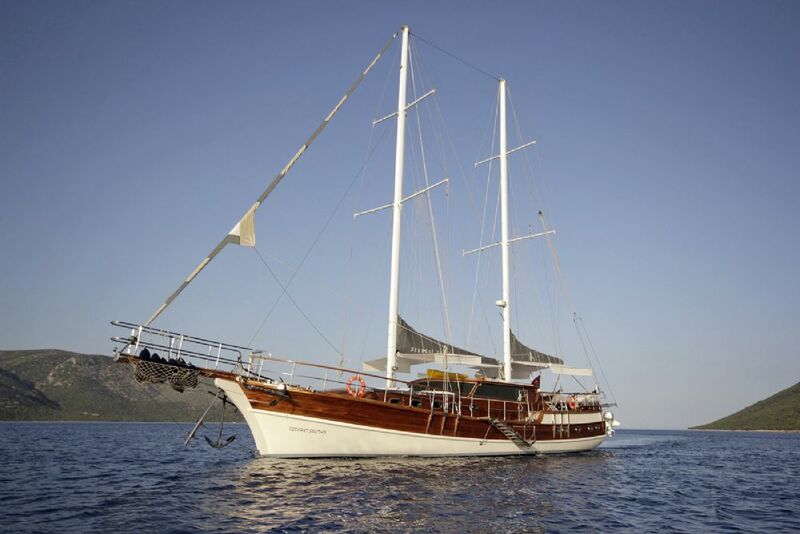 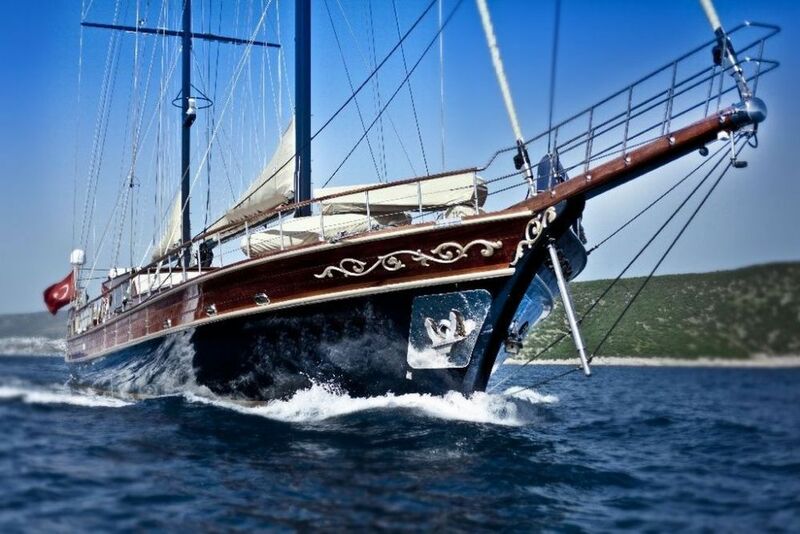 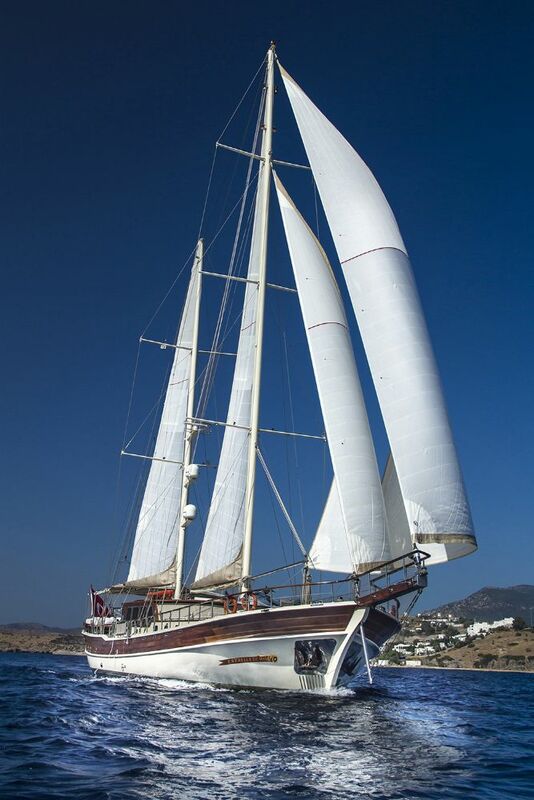 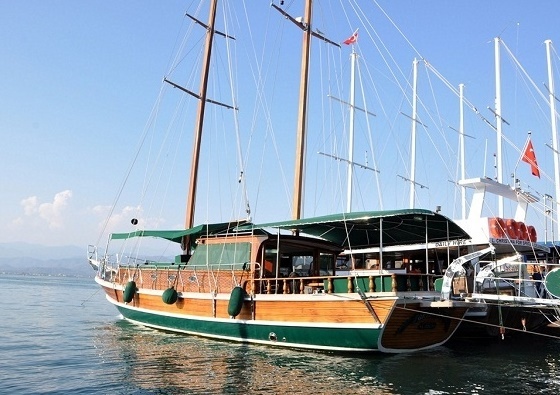 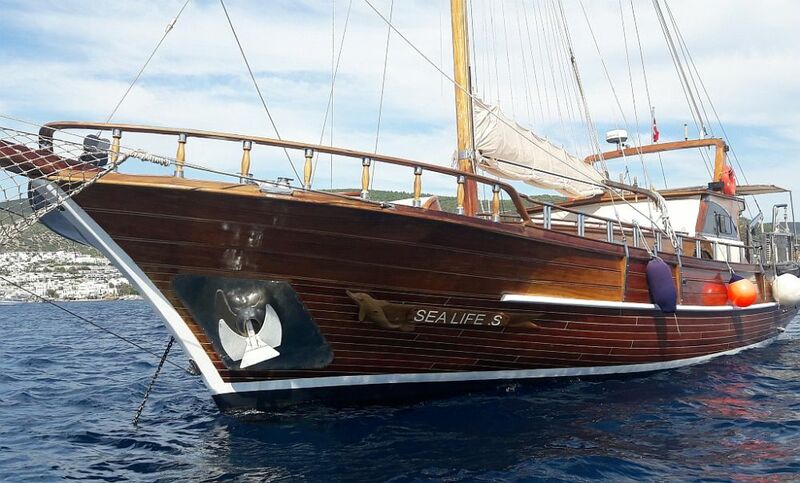 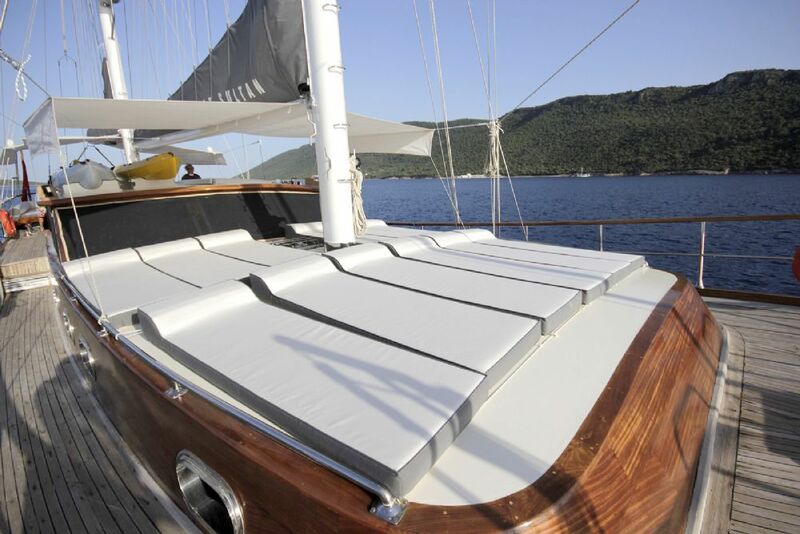 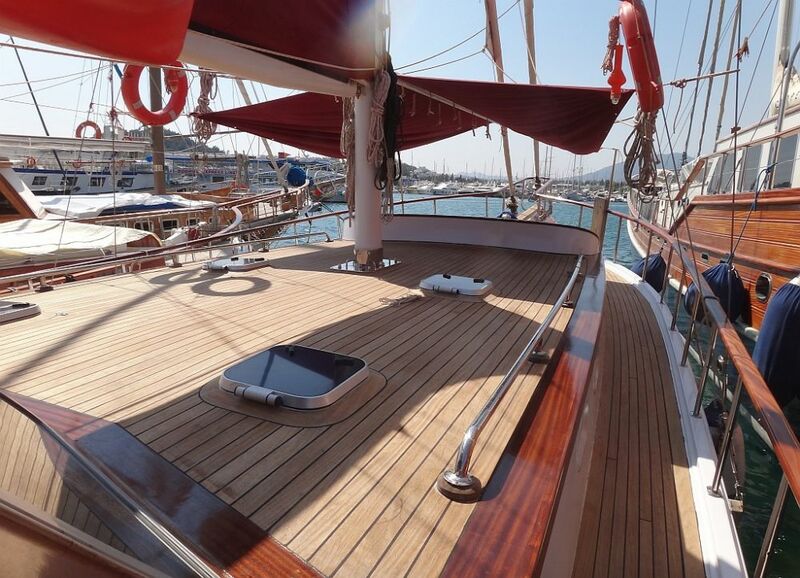 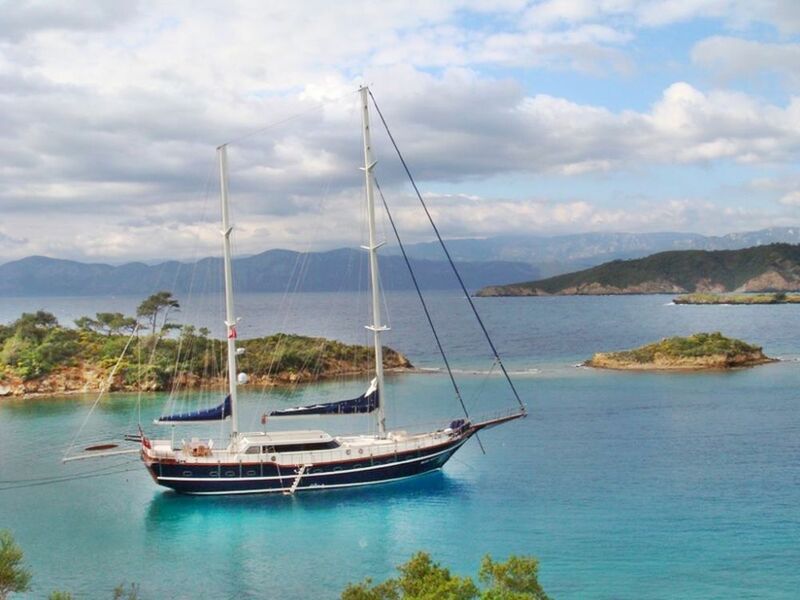 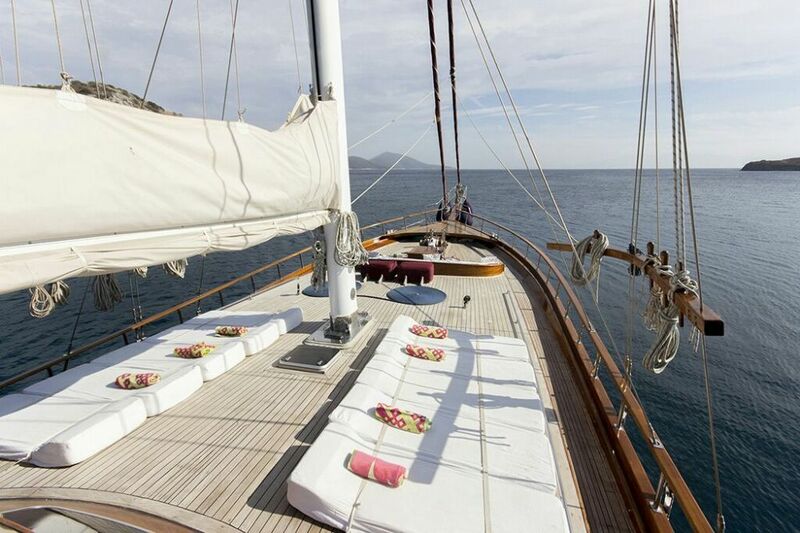 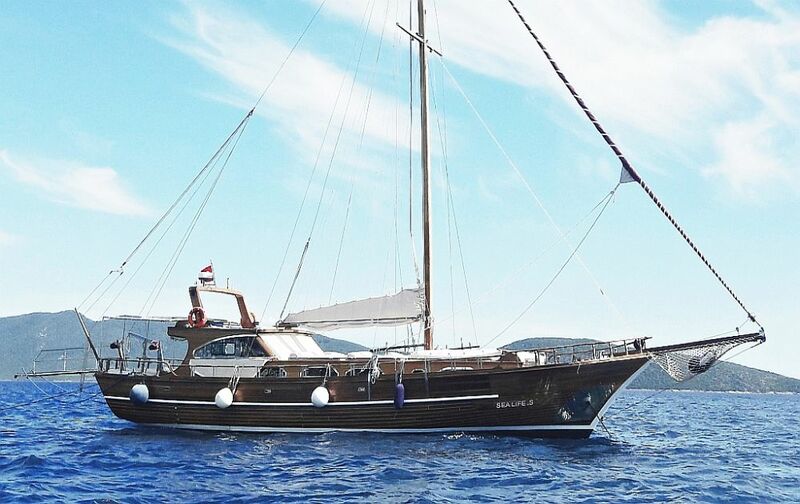 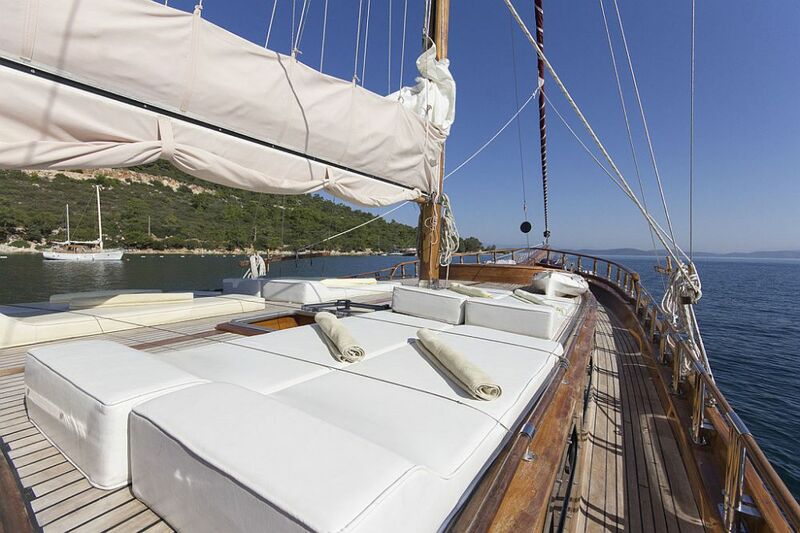 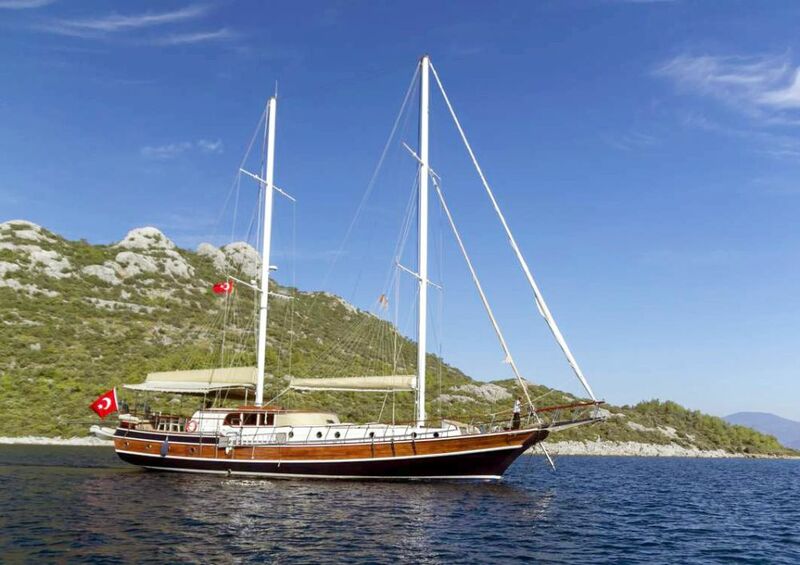 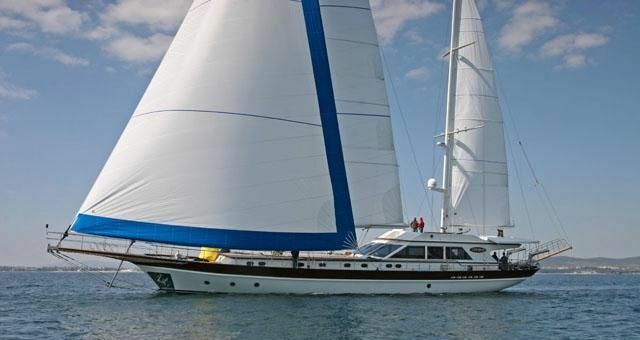 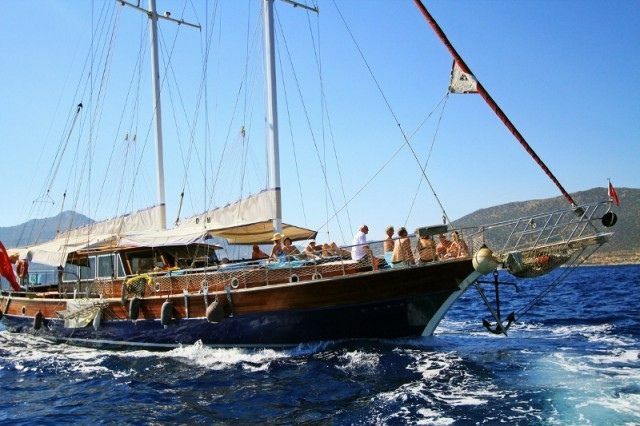 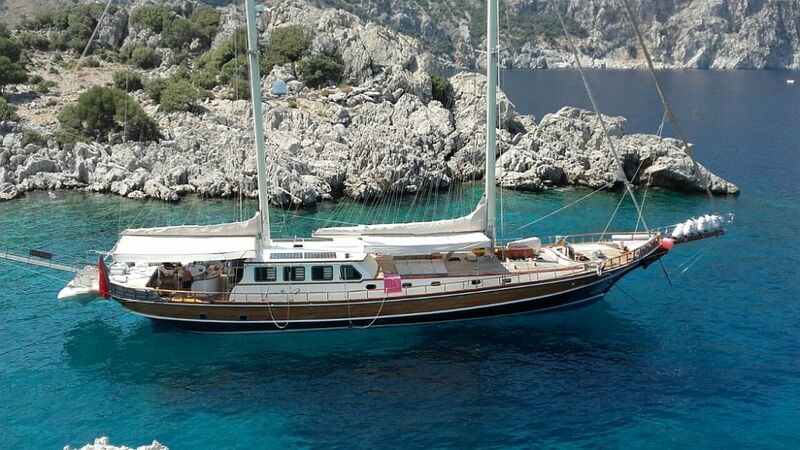 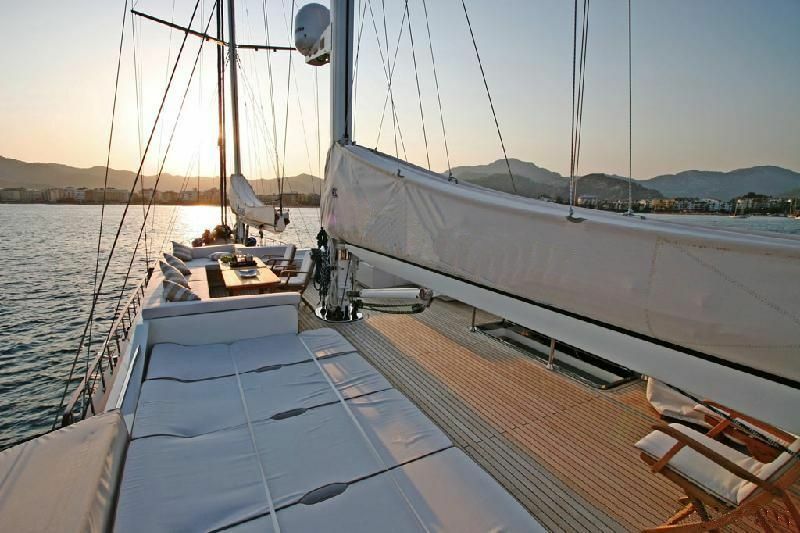 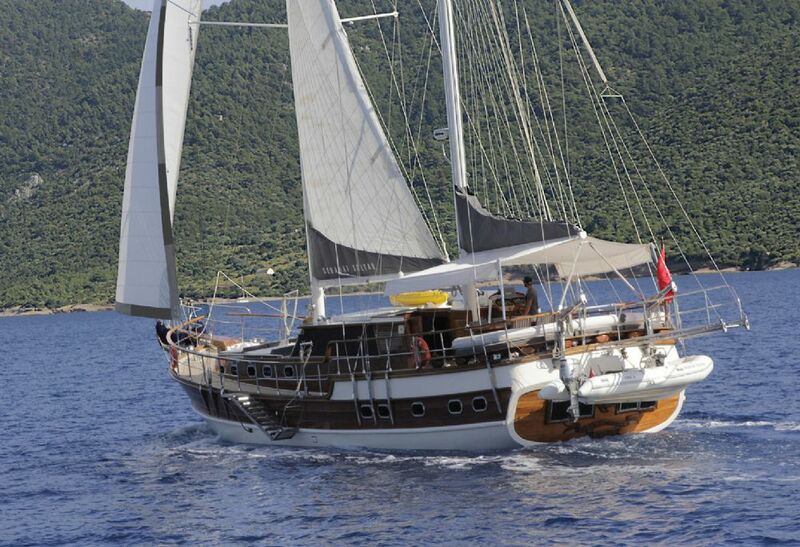 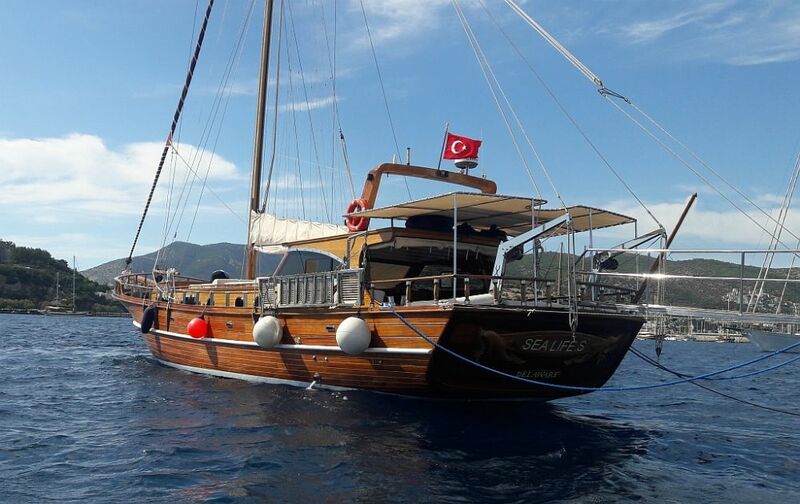 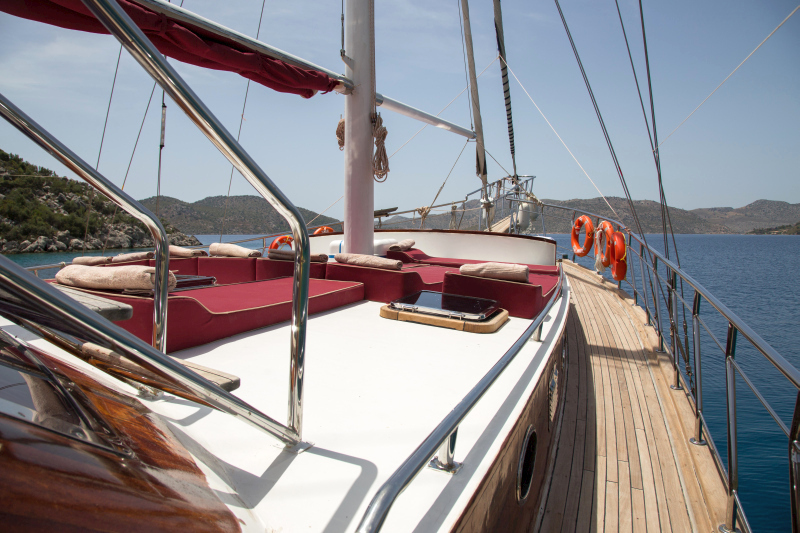 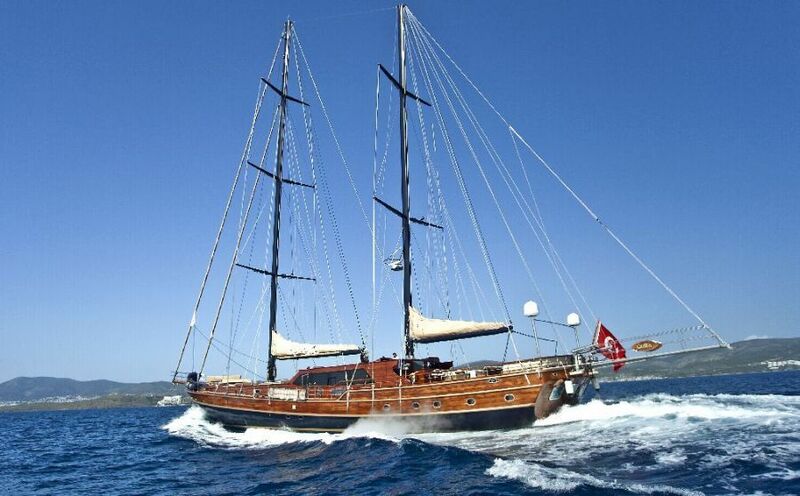 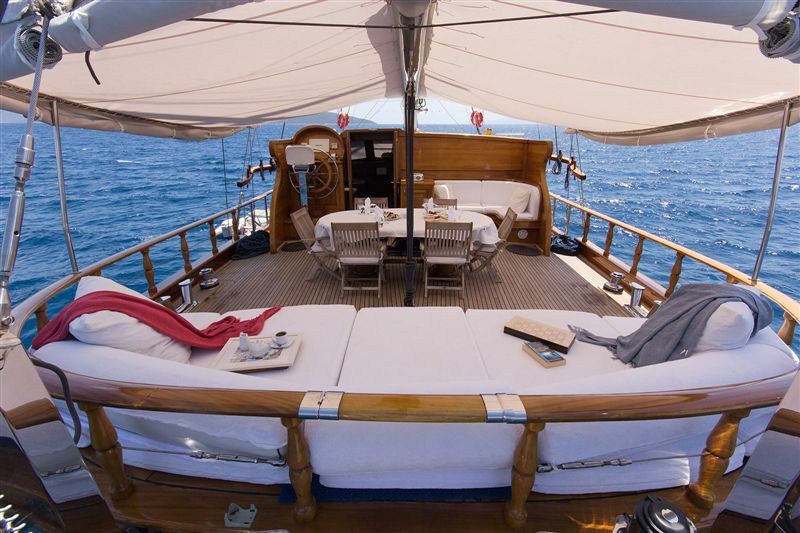 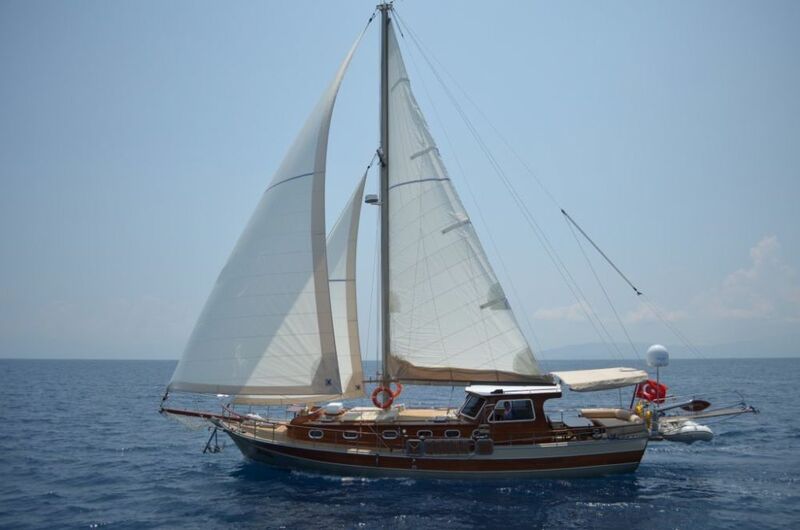 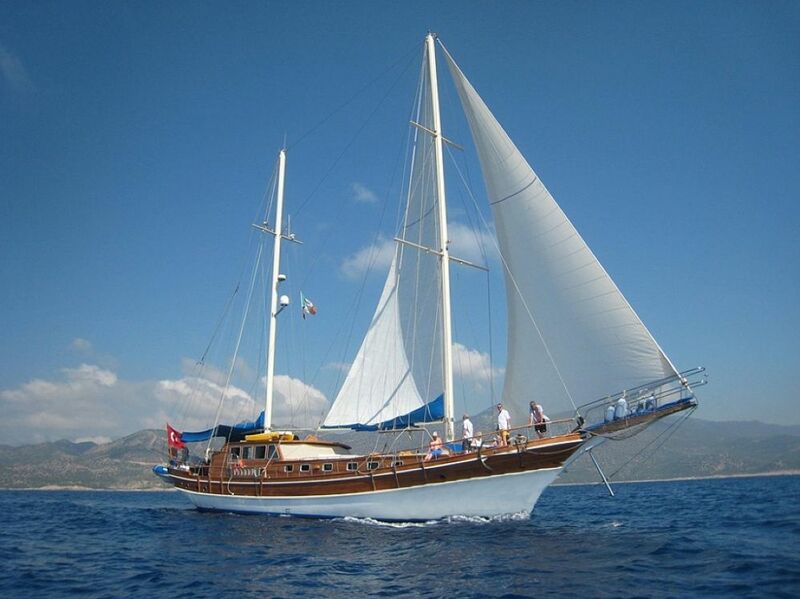 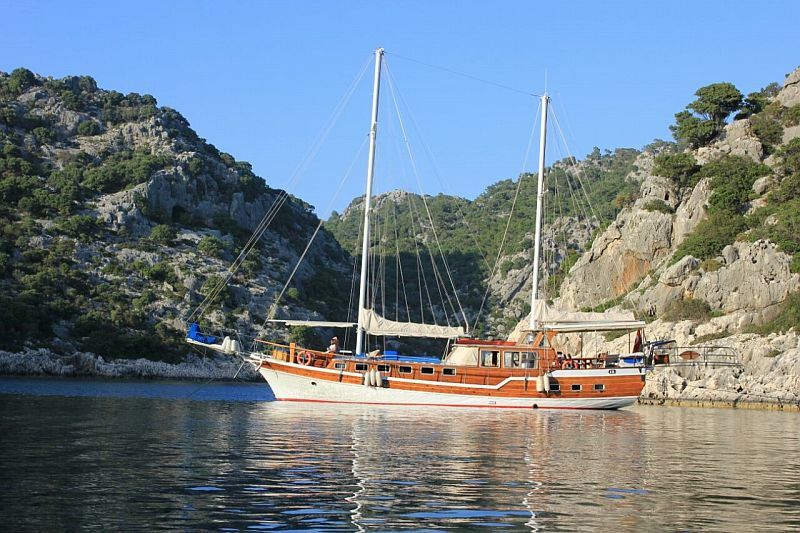 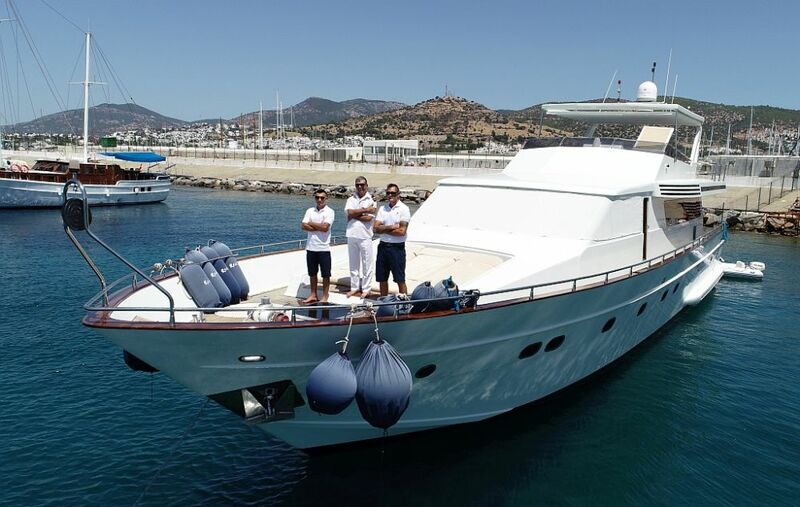 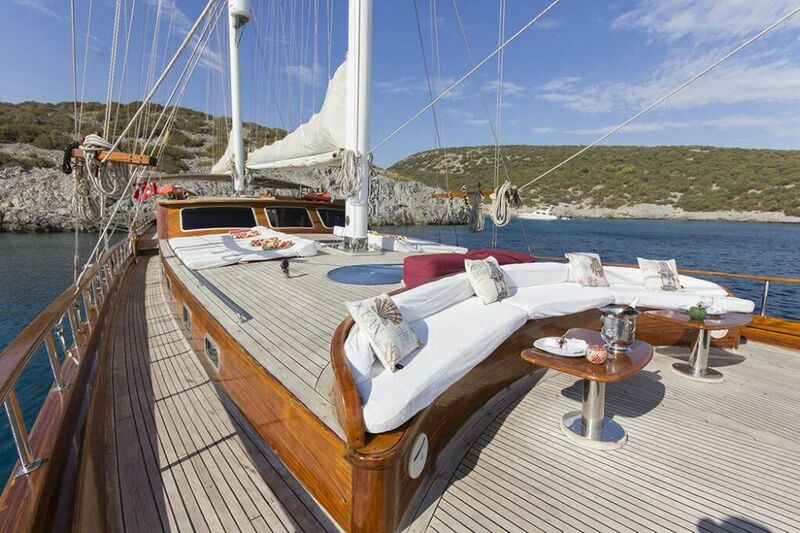 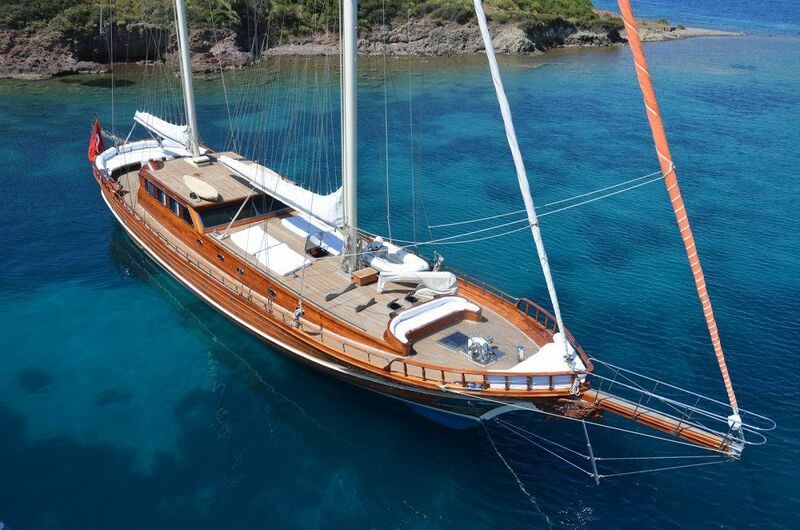 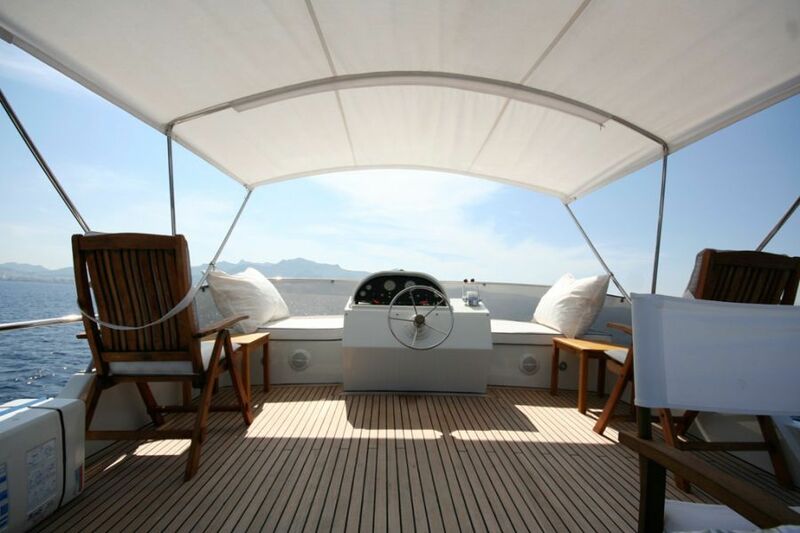 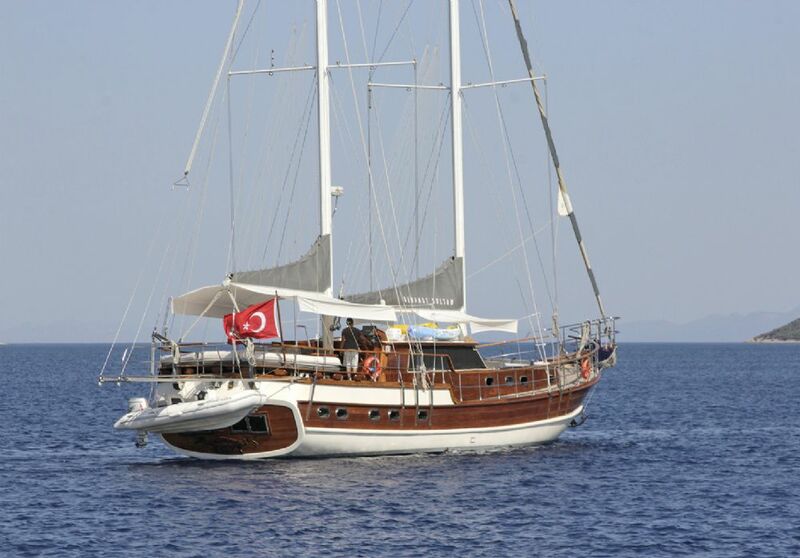 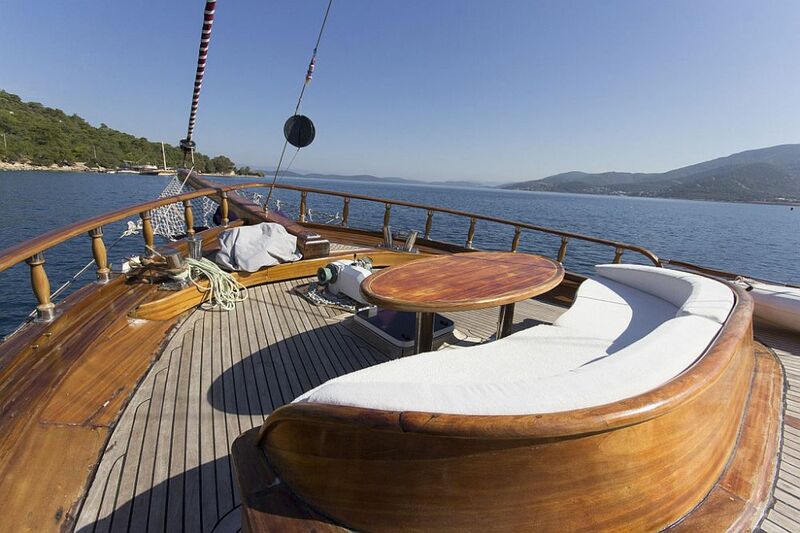 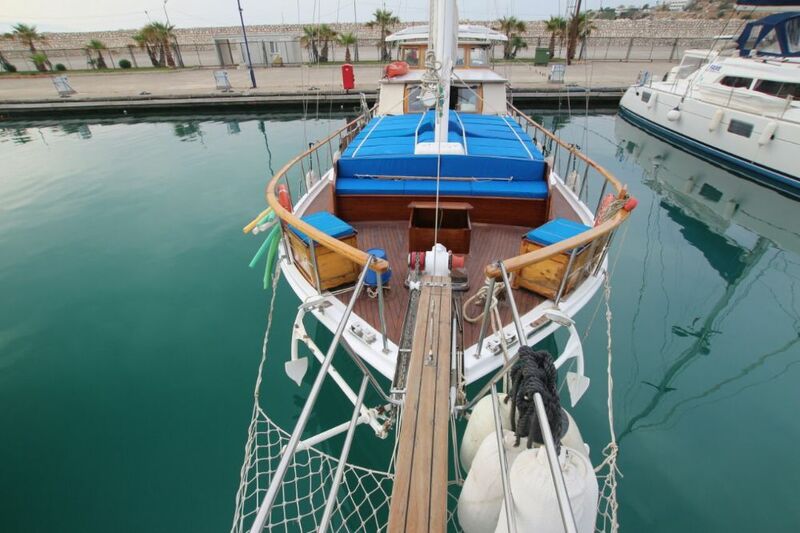 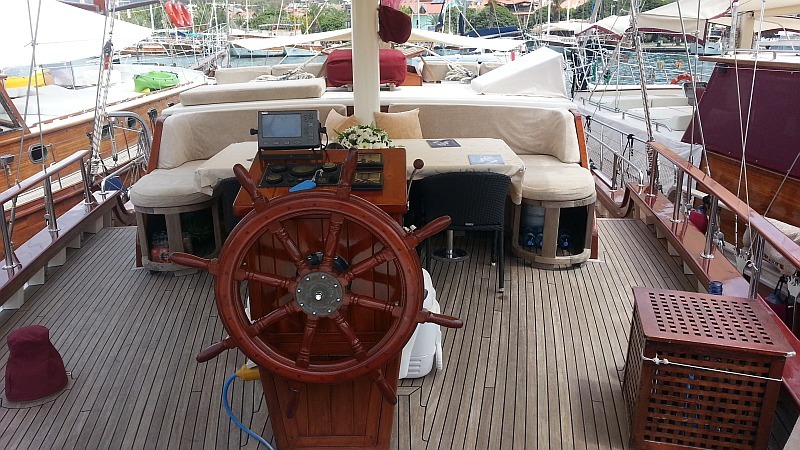 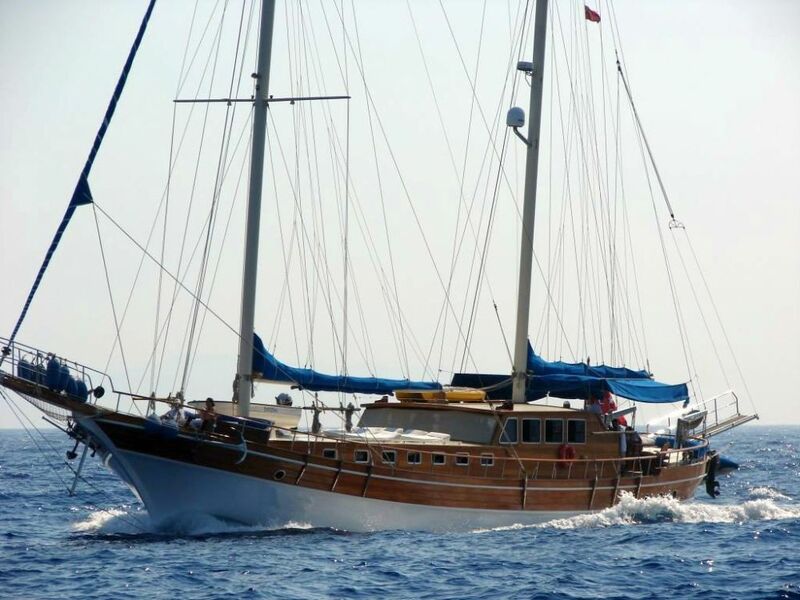 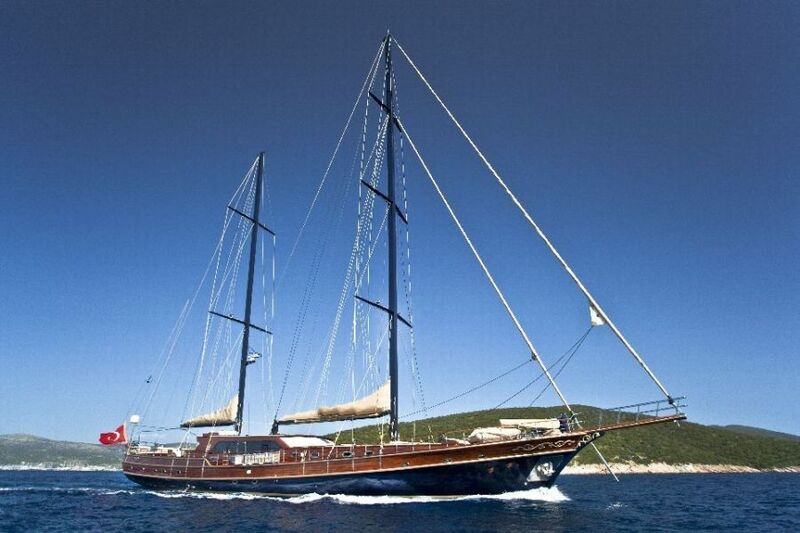 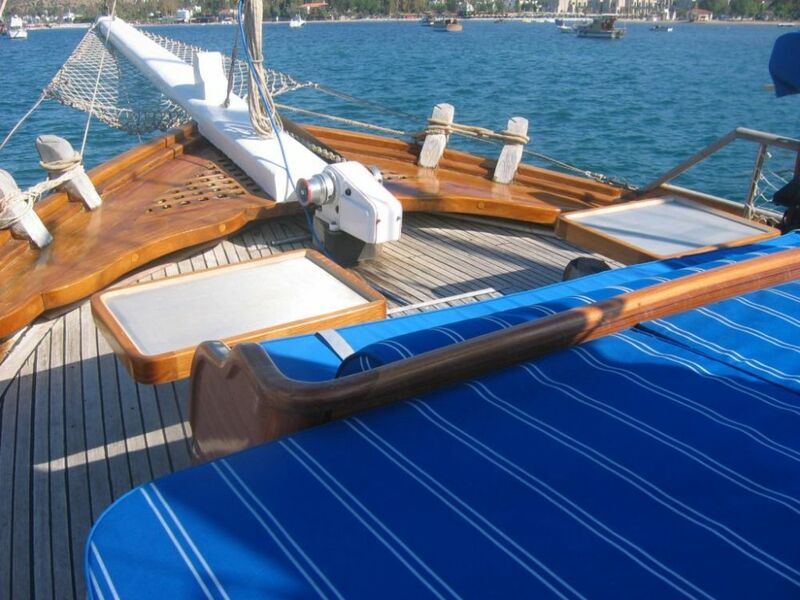 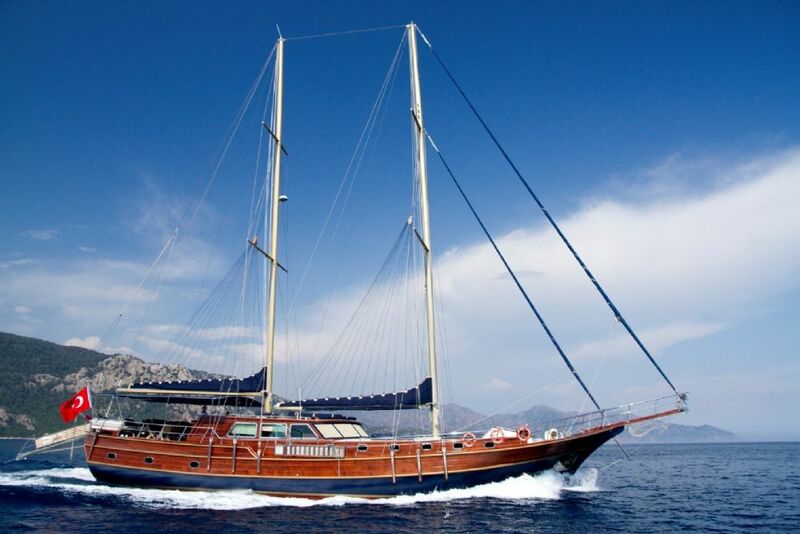 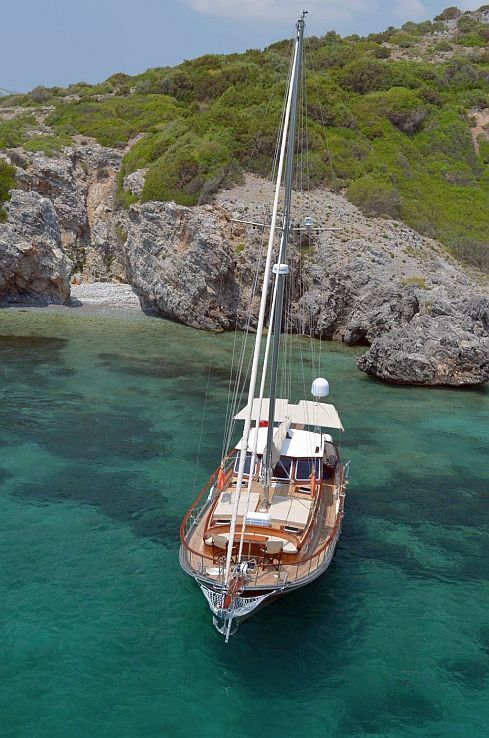 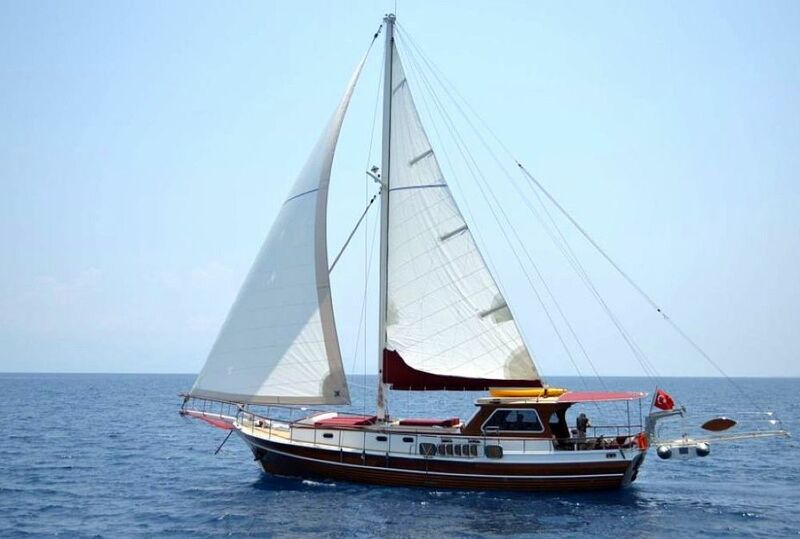 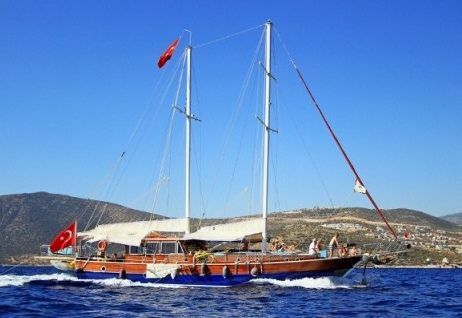 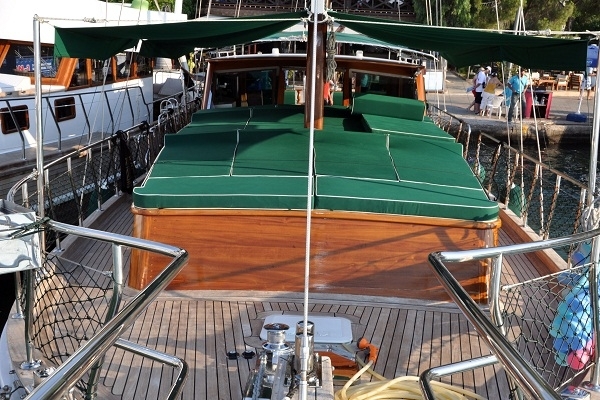 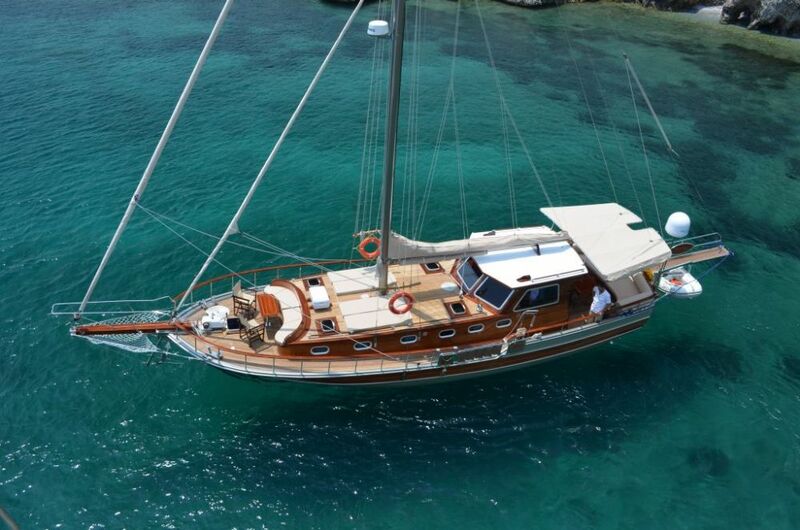 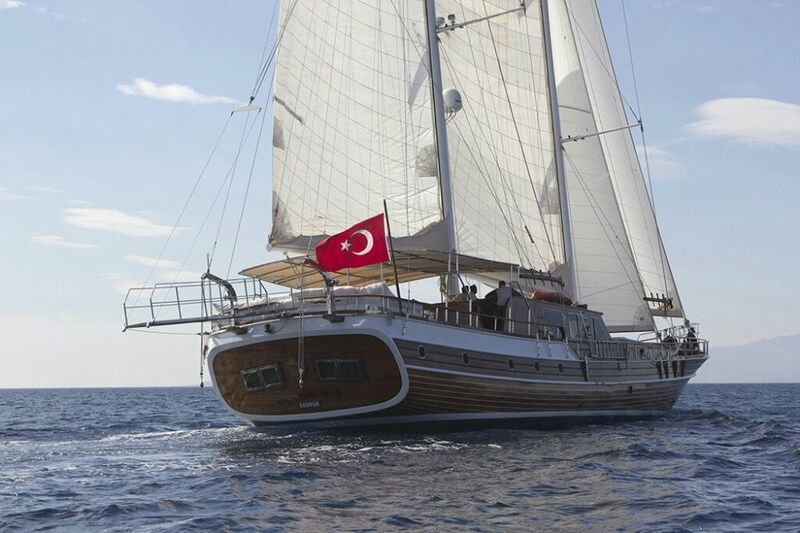 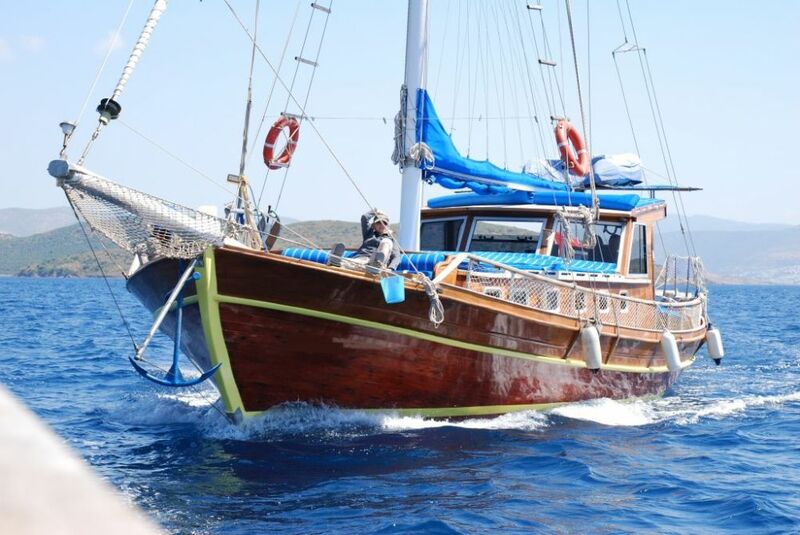 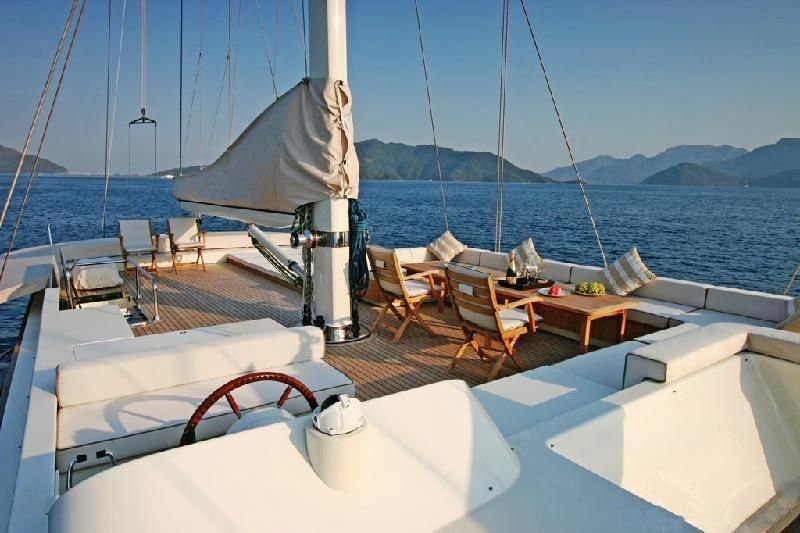 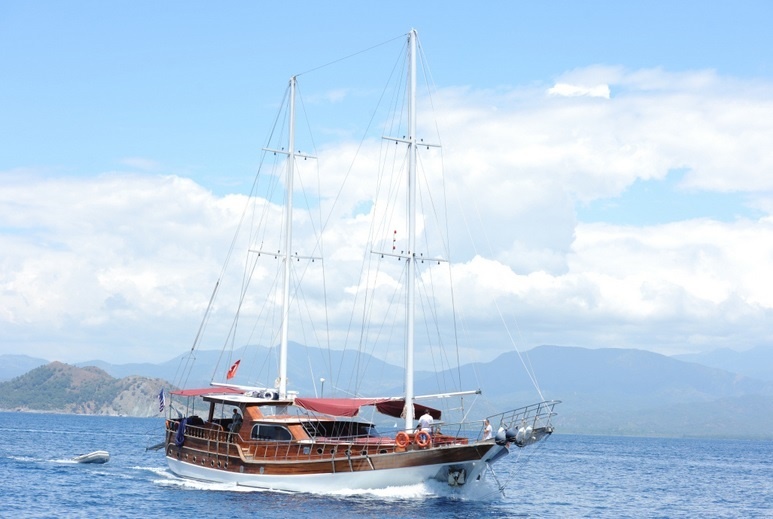 Contents of this web site and all original works are copyright © 2011 Sungulets Yacht Charter - All rights reserved.